Please select the home you wish to tour. Once selected, choose the date and time you wish to schedule the tour. 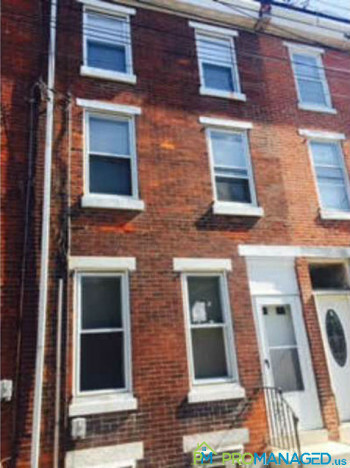 Come see this beautiful townhome located directly across the street from the Tacony Library! 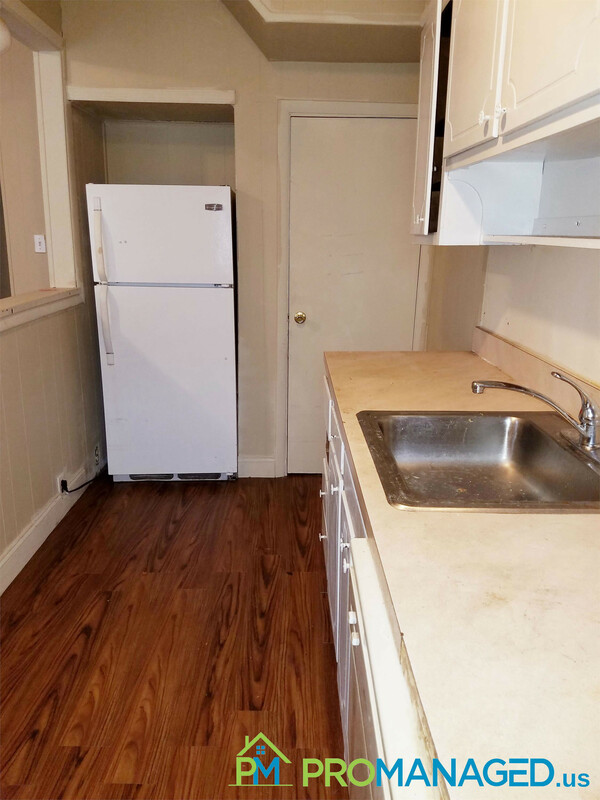 It features 2 bedrooms, 1 bathroom, a large kitchen with appliances and a window seat, a washer and dryer, and a spacious living room. Schedule a showing to make this your new home today! 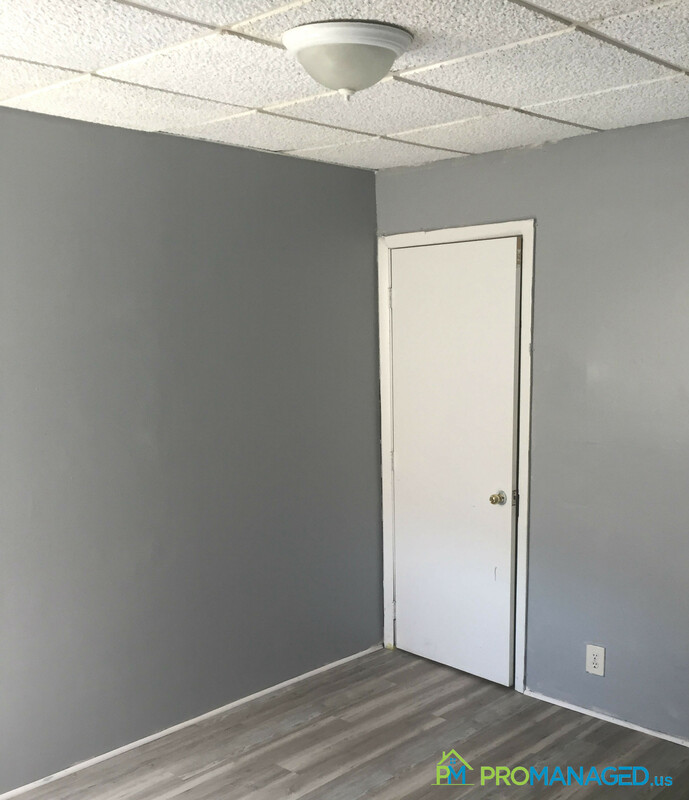 To schedule a showing for this property, click this link: http://tour.promanaged.us/schedule/?p=221 - Move in cost: $2,175 for first and last month's rent and security deposit. - Pet-friendly. $250 pet fee. Some dog breed restrictions. - 600 credit score required. Lower score may be accepted along with a co-signer. - No Section 8 - Utilities not included Questions? 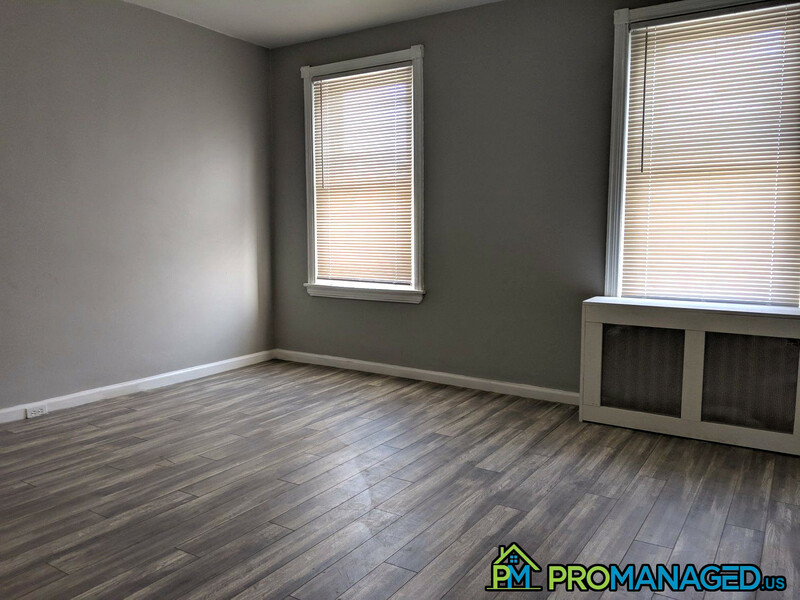 Call or text us at 856-222-1220 or email us at Promanagedinc@gmail.com Be sure to mention the address of the property! 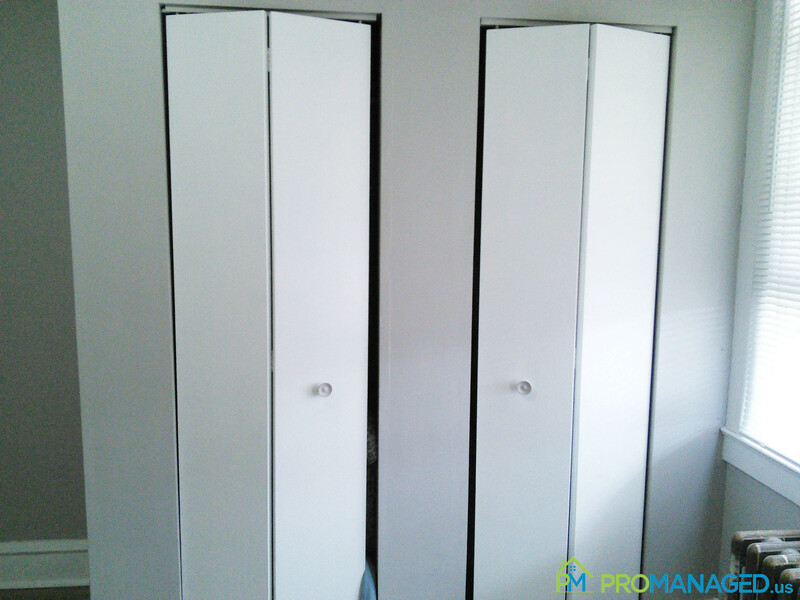 Need some extra space for storage? 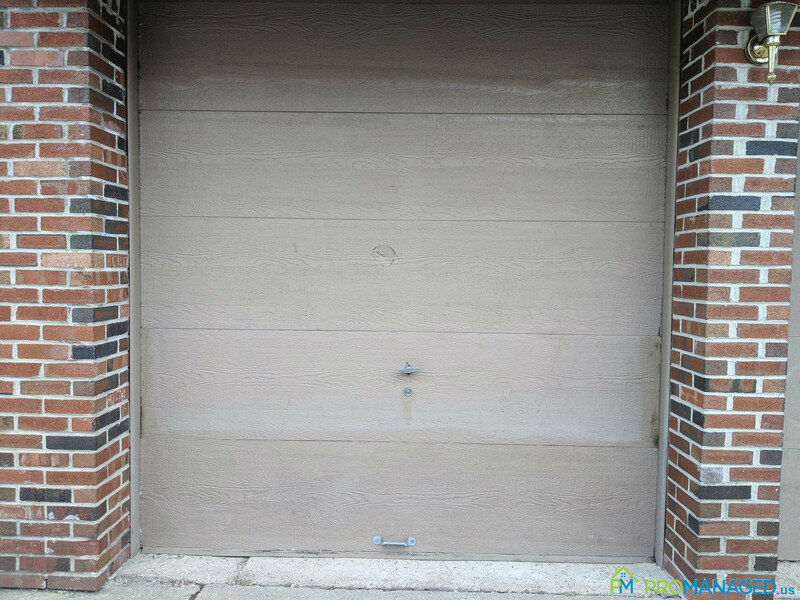 This garage is the answer you've been looking for! With 200 square feet of space, there's plenty of room for storing home furnishing, rarely used items, tools, and more. To submit an application for this garage, click this link: https://docs.google.com/forms/d/e/1FAIpQLSeX4a-7IwqU9a06yXI7hsEQ7vdFjKLNOW85m0MYJNdbi8KJfw/viewform - Move in cost: $375 for first and last month's rent and security deposit. - 600 credit score required. Lower score may be accepted along with a co-signer. - No Section 8 - Utilities not included Questions? 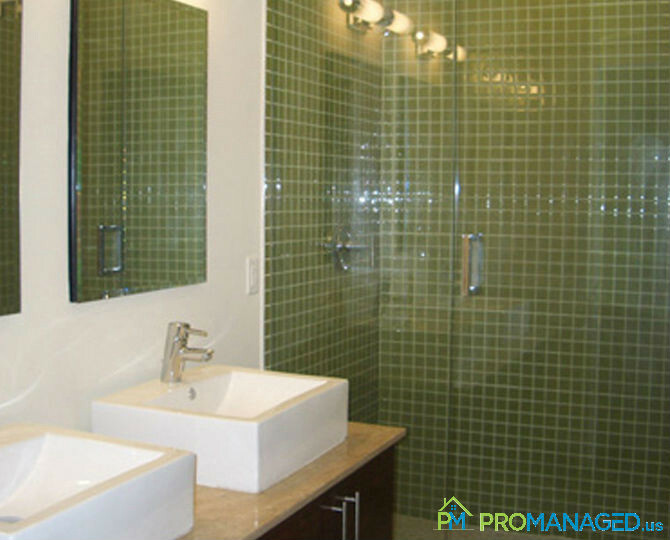 Call or text us at 856-222-1220 or email us at Promanagedinc@gmail.com Be sure to mention the address of the property! Welcome to 601 Morton Avenue! 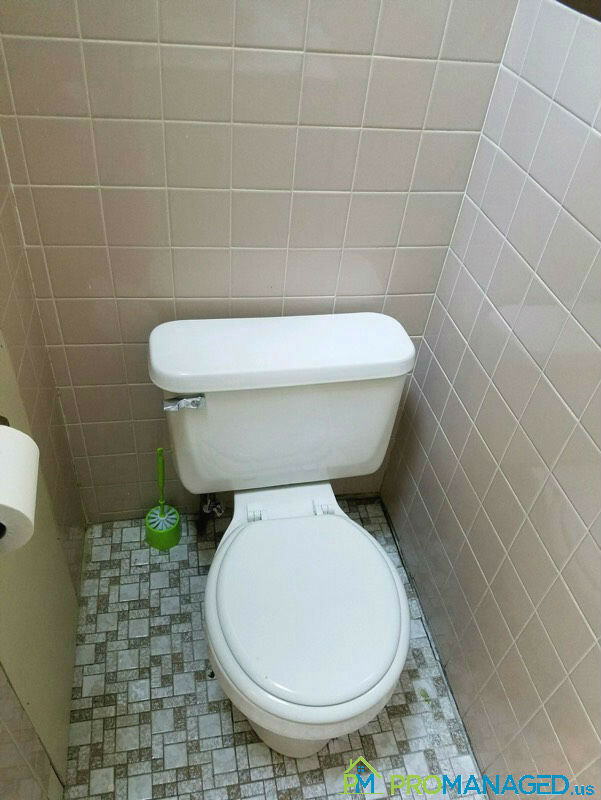 This first-floor apartment has 1 bedroom and 1 bathroom. 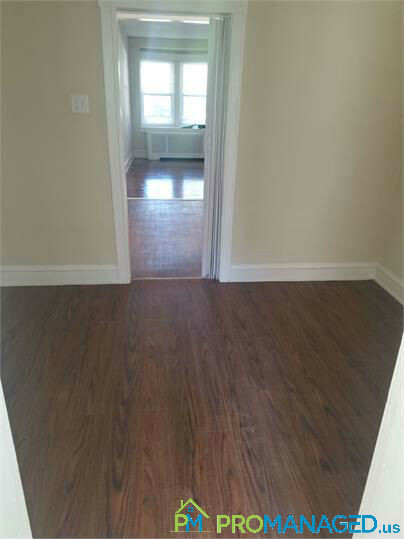 It features vinyl hardwood look plank flooring, fresh paint, and kitchen appliances. 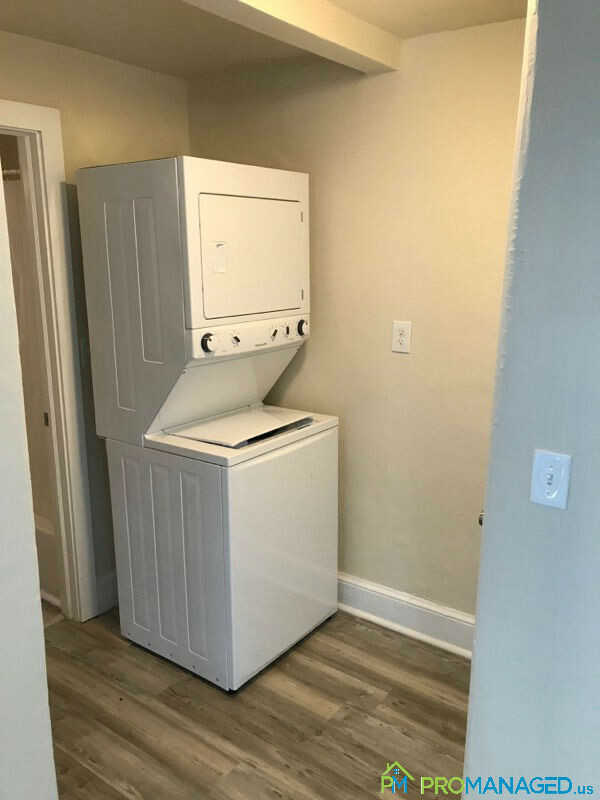 A coin-operated laundry room is located on-site for your convenience. 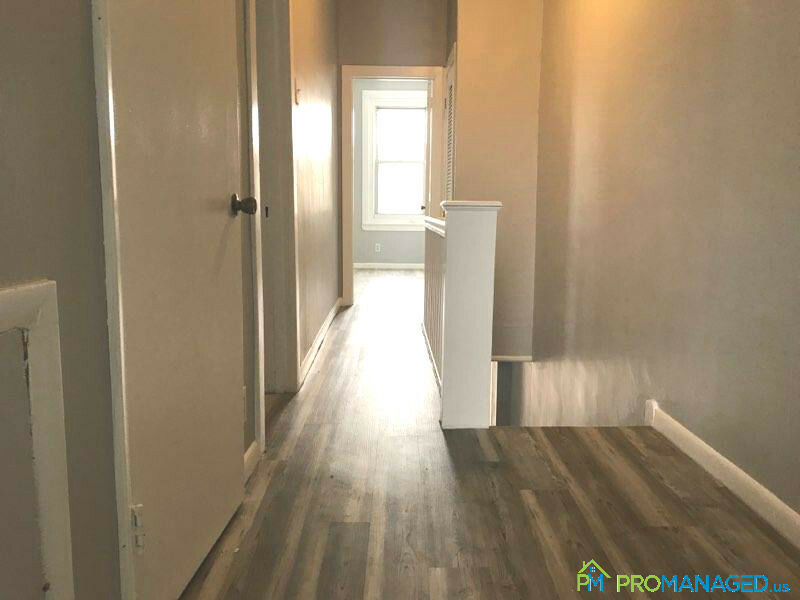 If you're ready to call 601 Morton Avenue home, you can schedule a showing here: http://tour.promanaged.us/schedule/?p=105 - Move in cost: $2,625 for first and last month's rent and security deposit. - Pet-friendly. $250 pet fee. Some dog breed restrictions. - 600 credit score required. Lower score may be accepted along with a co-signer. - No Section 8 - Utilities not included Questions? 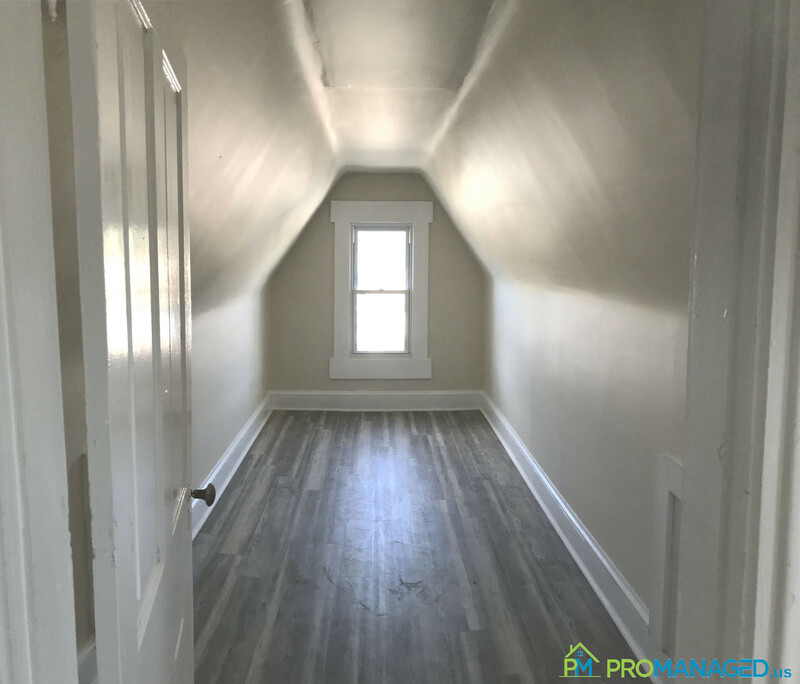 Call or text us at 856-222-1220 or email us at Promanagedinc@gmail.com Be sure to mention the address of the property! This 2 bedroom, 1 bathroom townhome is located in the Tacony neighborhood of Philadelphia. It features a living room, dining room, basement with washer and dryer, and a nicely tiled kitchen and 3-piece bathroom. 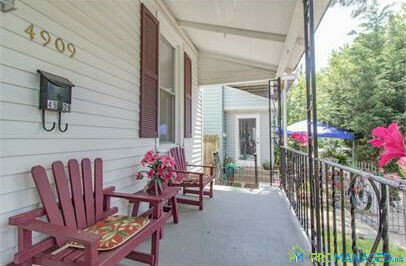 There is also a nice sized front porch and backyard space. 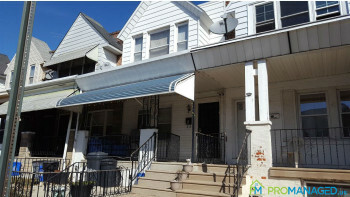 To schedule a showing for this property, click this link: http://tour.promanaged.us/schedule/?p=116 - Move in cost: $3,300 for first and last month's rent and security deposit. - Pet-friendly. $250 pet fee. Some dog breed restrictions. - 600 credit score required. Lower score may be accepted along with a co-signer. - No Section 8 - Utilities not included Questions? 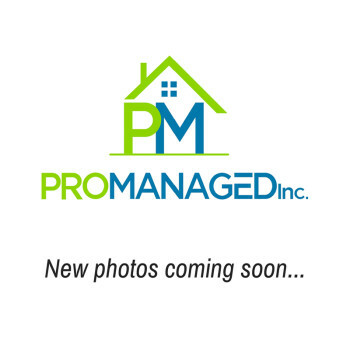 Call or text us at 856-222-1220 or email us at Promanagedinc@gmail.com Be sure to mention the address of the property! 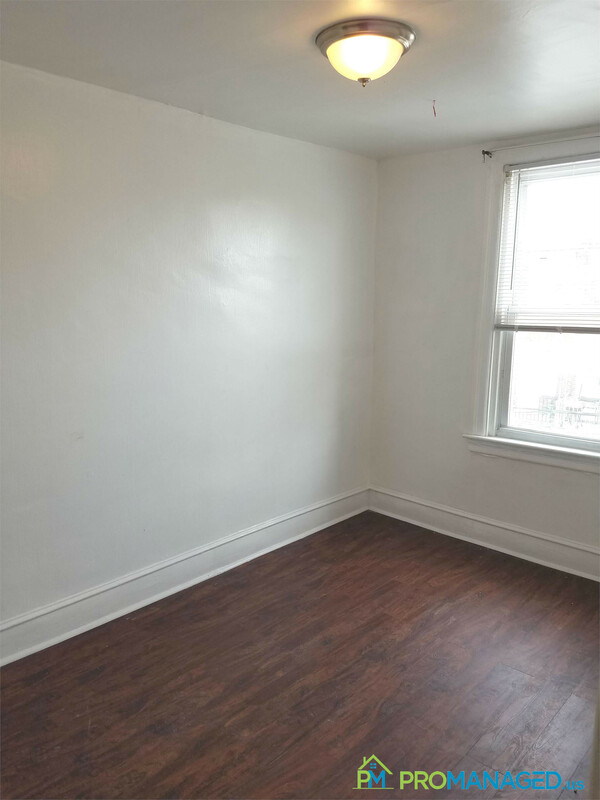 Newly renovated 1 bedroom for rent!! This unit is in an excellent location, close to 95, two bridges and only a 15 minute ride into town! 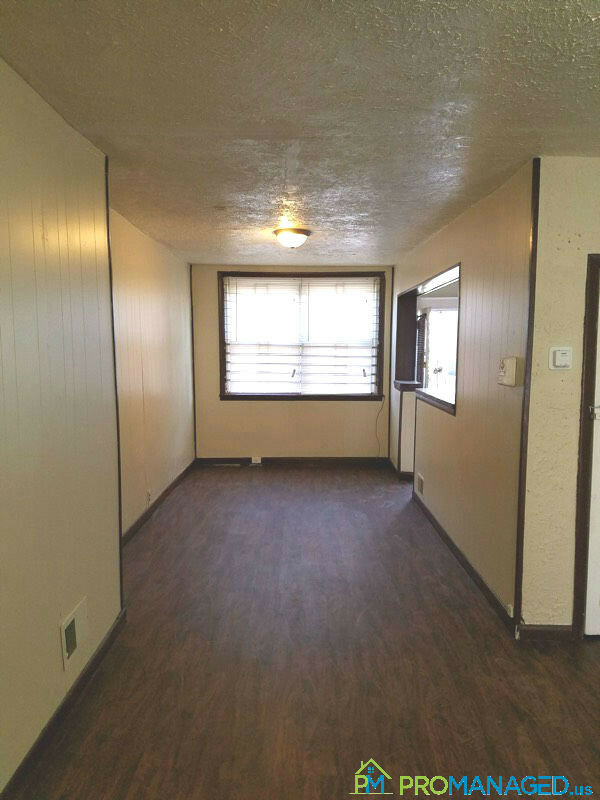 This unit is bi-level with an open layout on the main floor with living room, kitchen and full bath. 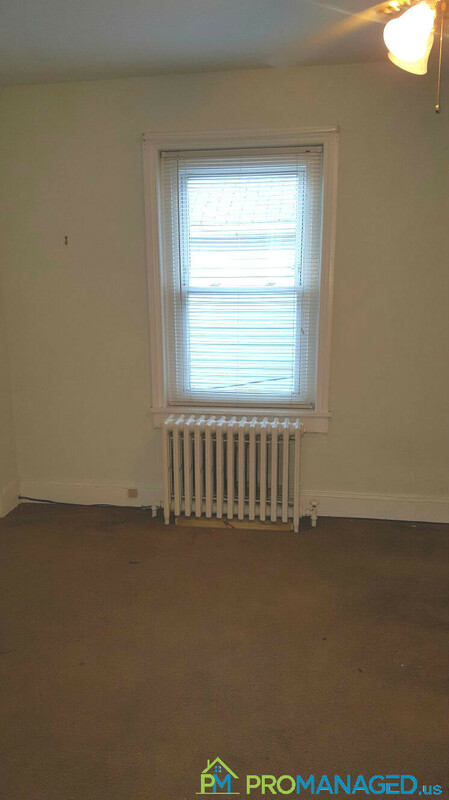 There are two large bay windows for all the natural light that you could want. There are two air conditioners in the unit already, no need to buy your own. This unit won't last, make an appointment today! To schedule a showing for this property, click this link: http://tour.promanaged.us/schedule/?p=164 - Move in cost: $2,100 for first and last month's rent and security deposit. - Pet-friendly. $250 pet fee. Some dog breed restrictions. - 600 credit score required. Lower score may be accepted along with a co-signer. - No Section 8 - Utilities not included Questions? 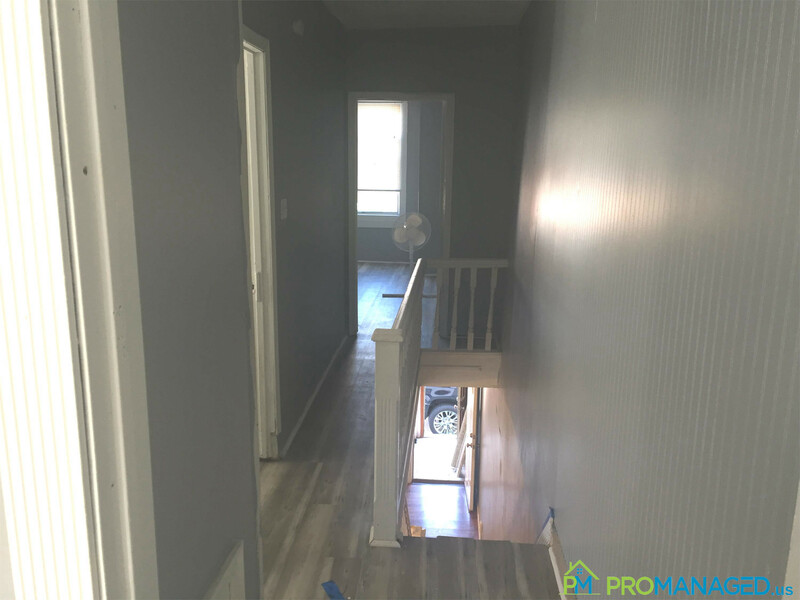 Call or text us at 856-222-1220 or email us at Promanagedinc@gmail.com Be sure to mention the address of the property! 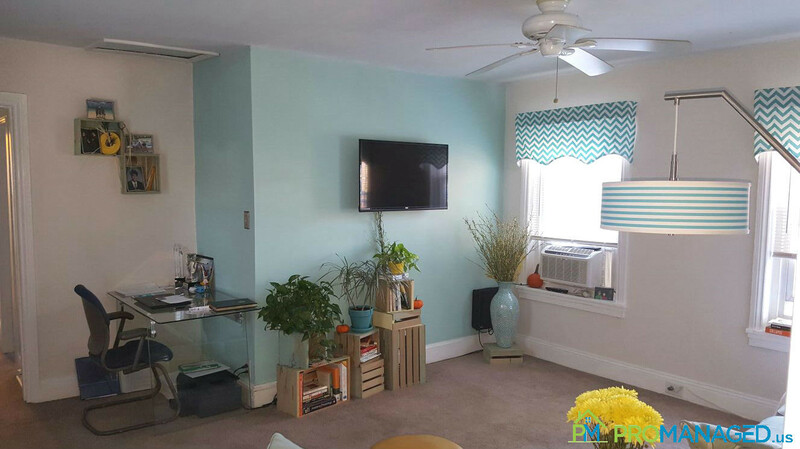 Check out this spacious 1 bedroom, 1 bathroom apartment in Historic Bristol Borough! 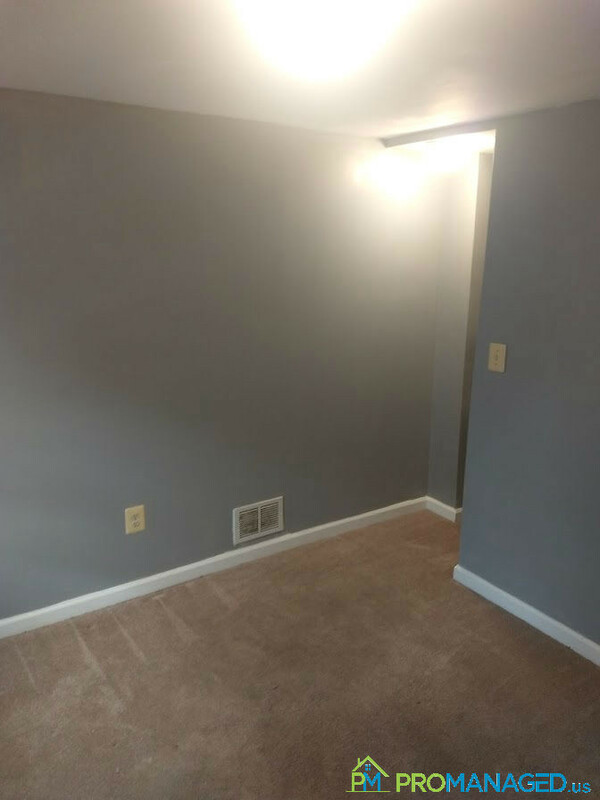 This apartment features wall to wall carpet, a large shared yard space, and is located across the street from the Delaware River and a short walk from great shopping and dining on Mill Street. No pets allowed. 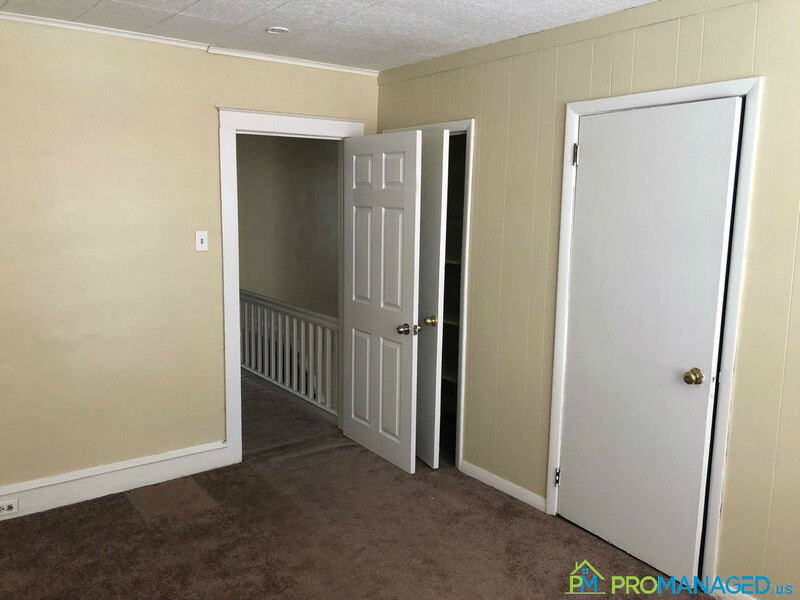 To schedule a showing for this property, click this link: http://tour.promanaged.us/schedule/?p=204 - Move in cost: first and last month's rent and security deposit. - Pet-friendly. $250 pet fee. Some dog breed restrictions. - 600 credit score required. Lower score may be accepted along with a co-signer. - No Section 8 - Utilities not included Questions? 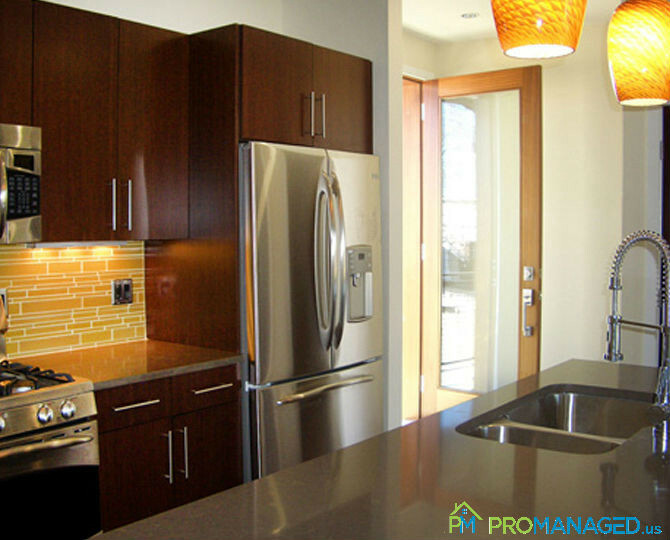 Call or text us at 856-222-1220 or email us at Promanagedinc@gmail.com Be sure to mention the address of the property! This home is located in the Tacony neighborhood of Northeast Philadelphia very close to Frankford, Torresdale, and Cottman Avenues. Public transportation is available within walking distance and it's only 2 minutes from I-95. 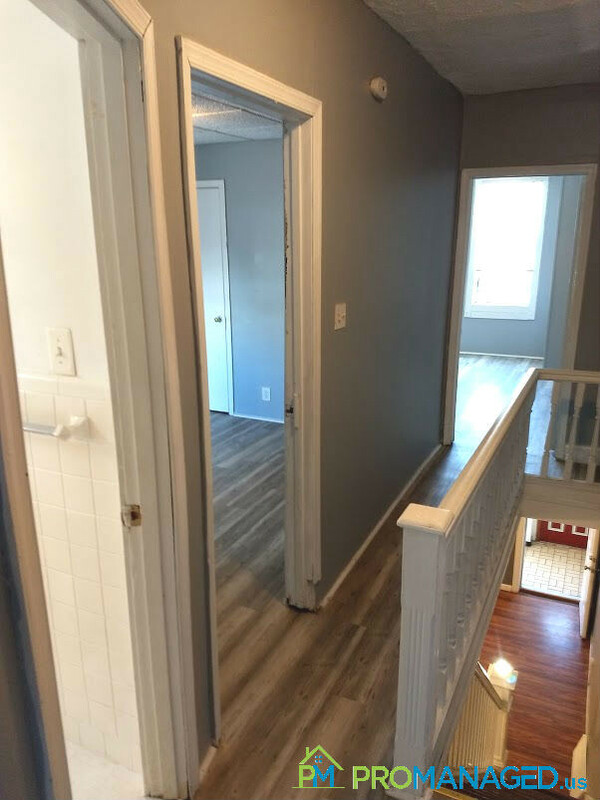 It's been completely renovated with all new flooring, fresh paint, a new kitchen with brand new stainless steel appliances and a beautiful new bathroom. Ready to make this your new home? Schedule a showing here: http://tour.promanaged.us/schedule/?p=82 - Move in cost: $3,300 for first and last month's rent and security deposit. - Pet-friendly. $250 pet fee. Some dog breed restrictions. - 600 credit score required. Lower score may be accepted along with a co-signer. - No Section 8 - Utilities not included Questions? 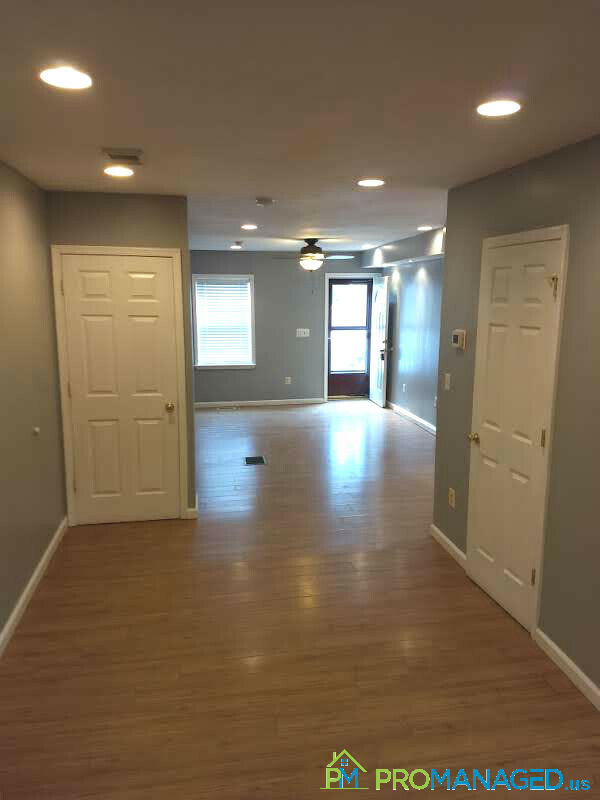 Call or text us at 856-222-1220 or email us at Promanagedinc@gmail.com Be sure to mention the address of the property! 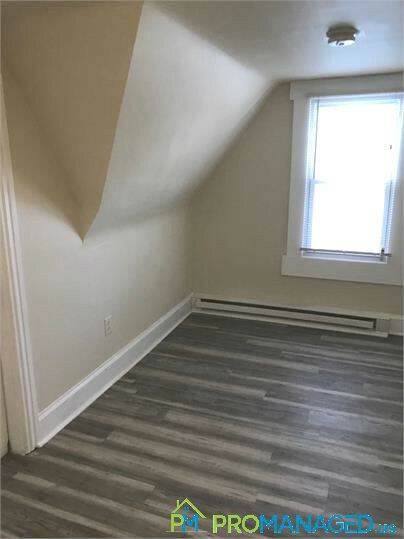 Come check out this cozy, newly rehabbed 2 bedroom, 1 bathroom apartment located on the upstairs level of a quaint townhome. 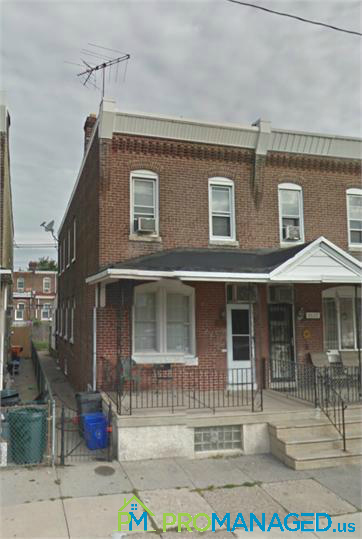 This apartment is located on one of the nicest blocks in Tacony! 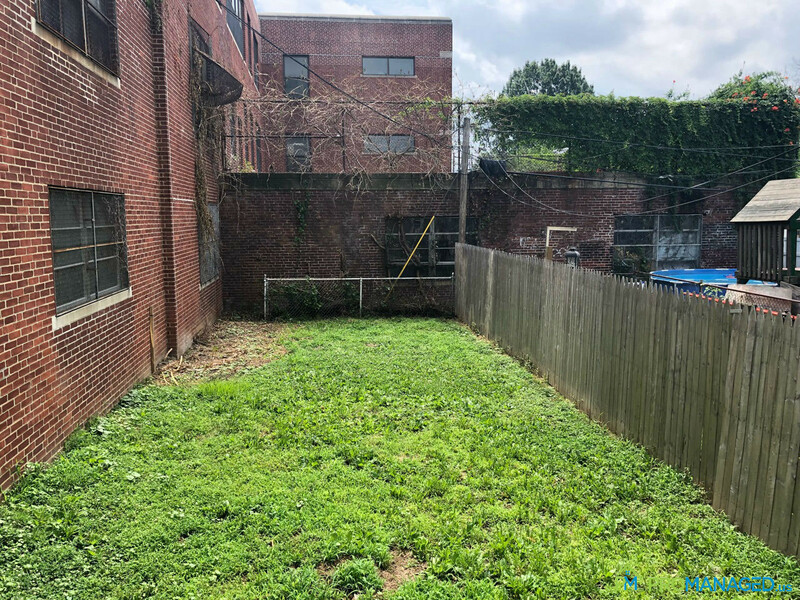 Unit 2 is spacious with lots of natural sunlight, a nice yard, and laundry located in the basement. 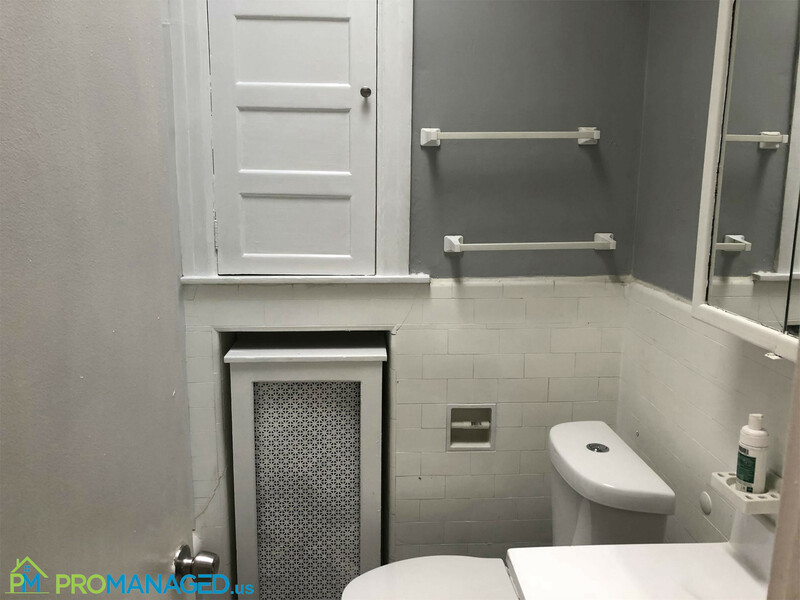 To schedule a showing for this property, click this link: http://tour.promanaged.us/schedule/?p=114 - Move in cost: $2,700 for first and last month's rent and security deposit. - Pet-friendly. $250 pet fee. Some dog breed restrictions. - 600 credit score required. Lower score may be accepted along with a co-signer. - No Section 8 - Utilities not included Questions? 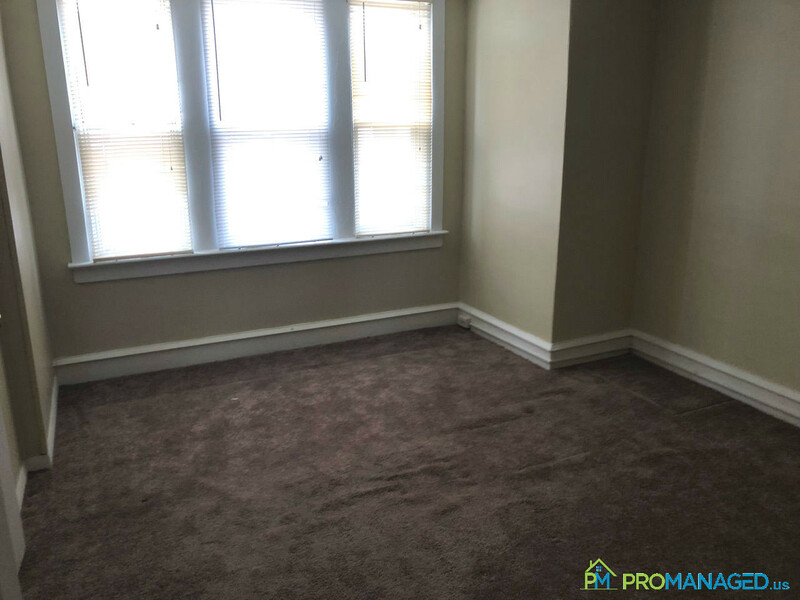 Call or text us at 856-222-1220 or email us at Promanagedinc@gmail.com Be sure to mention the address of the property! 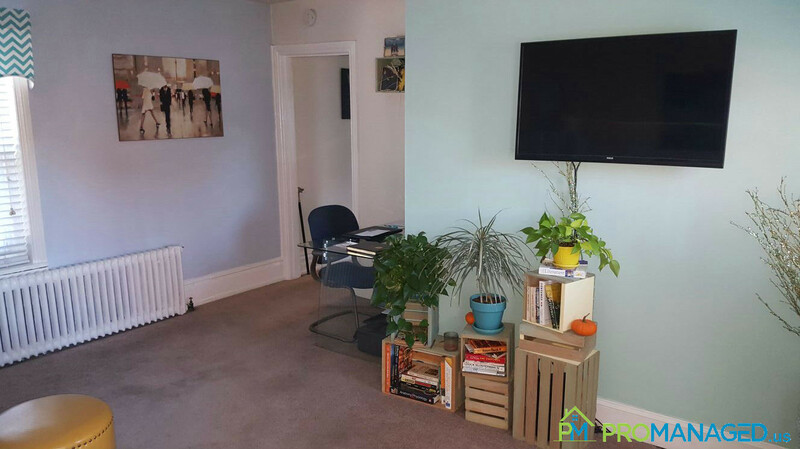 This unit is in an excellent location, close to 95, two bridges and only a 15-minute ride into town! 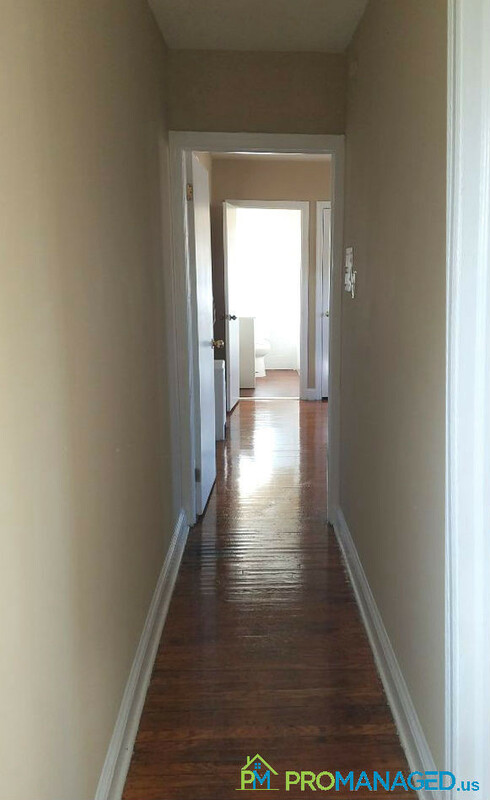 This unit is an open layout on the second floor with a living room, kitchen, and full bath. There are large bay windows for all the natural light that you could want. 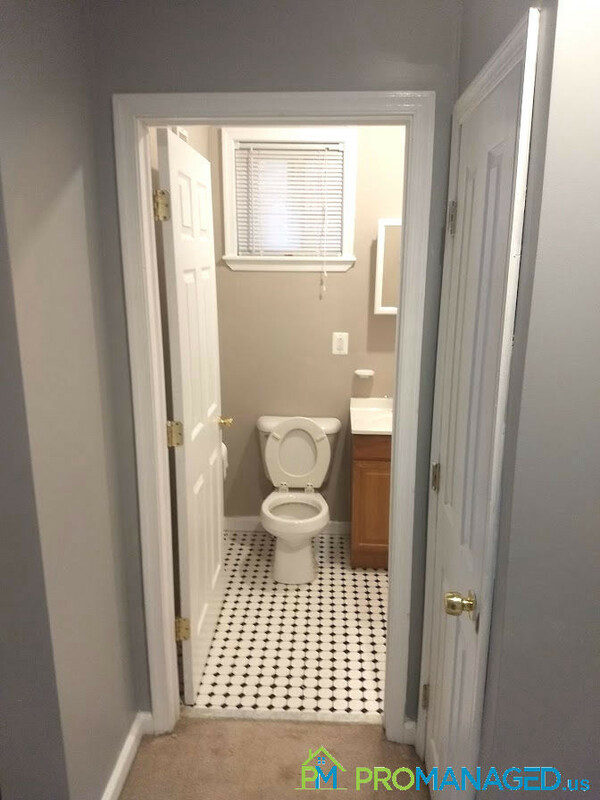 This unit won't last, so make an appointment today! 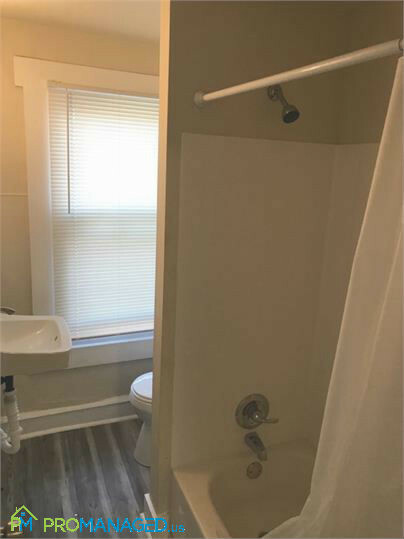 To schedule a showing for this property, click this link: http://tour.promanaged.us/schedule/?p= - Move in cost: $2,700 for first and last month's rent and security deposit. - Pet-friendly. $250 pet fee. Some dog breed restrictions. - 600 credit score required. Lower score may be accepted along with a co-signer. - No Section 8 - Utilities not included Questions? 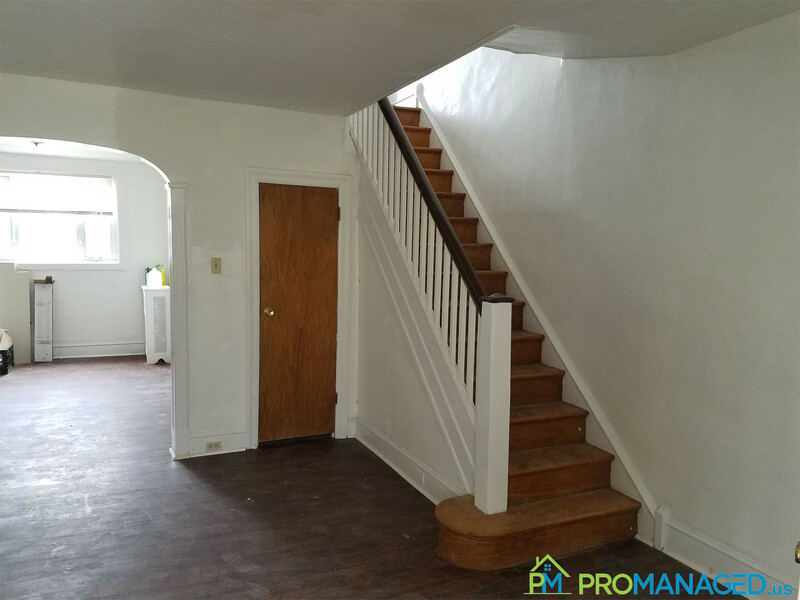 Call or text us at 856-222-1220 or email us at Promanagedinc@gmail.com Be sure to mention the address of the property! 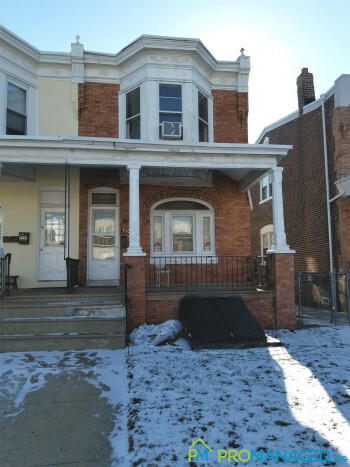 This second-floor apartment is located in the Tacony neighborhood of Northeast Philadelphia very close to Frankford, Torresdale, and Cottman Avenues. Public transportation is available within walking distance and it's only 2 minutes from I-95. 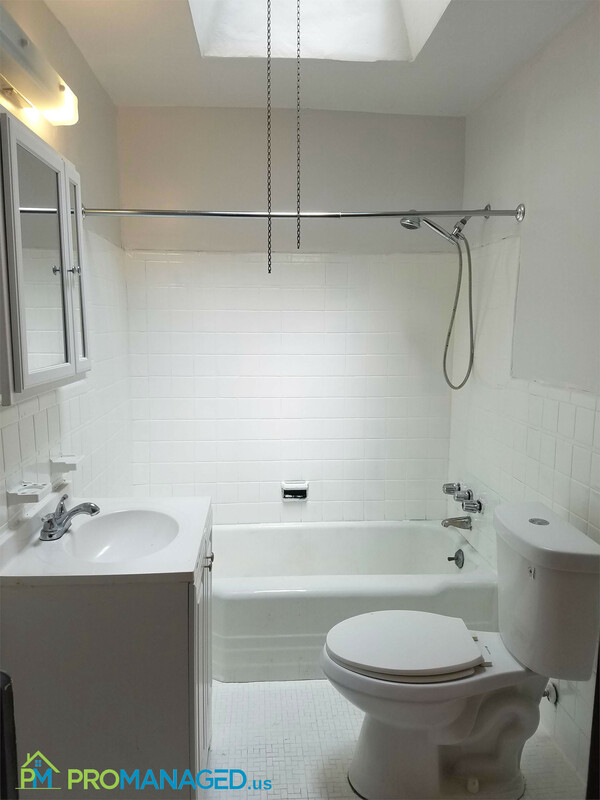 The apartment features a private entrance and a washer and dryer in unit. Ready to make this your new home? 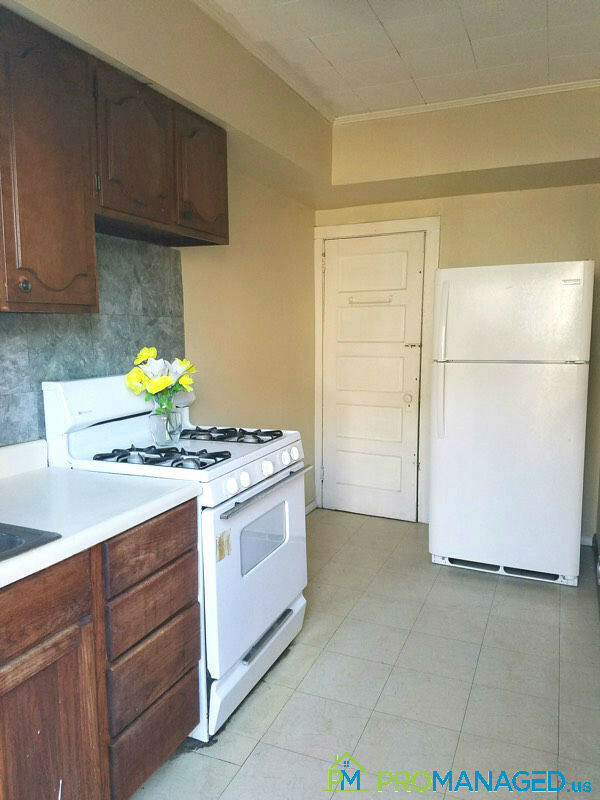 Schedule a showing here: http://tour.promanaged.us/schedule/?p= Move in cost: $ for first and last month's rent and security deposit. Pet-friendly. $250 pet fee. Some dog breed restrictions. 600 credit score required. Lower score may be accepted along with a co-signer. No Section 8 Utilities not included Questions? 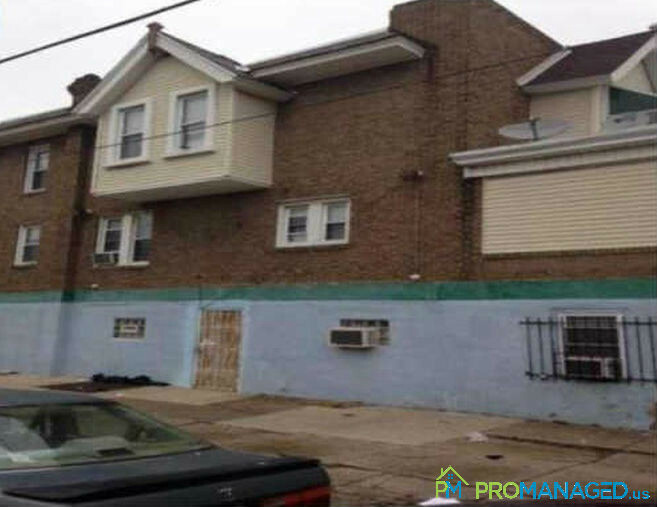 Call or text us at 856-222-1220 or email us at Promanagedinc@gmail.com Be sure to mention the address of the property! This spacious 4 bedroom, 1.5 bathroom single-family home is located in the heart of the Fishtown neighborhood in Philadelphia. It's the perfect home for raising a family in or for a group of young professionals to share. The home features new kitchen appliances and bathroom fixtures as well as a backyard patio space for entertaining. 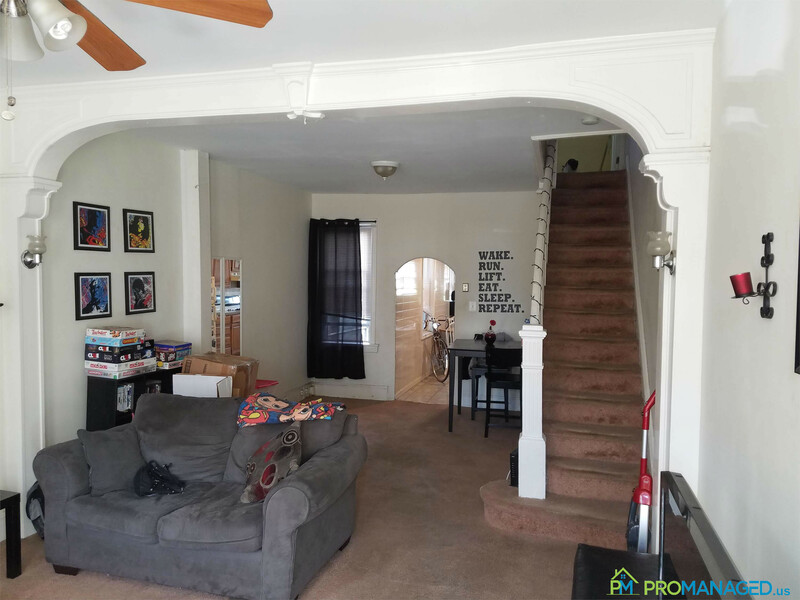 To schedule a showing for this property, click this link: http://tour.promanaged.us/schedule/?p= - Move in cost: $6,000 for first and last month's rent and security deposit. - Pet-friendly. $250 pet fee. Some dog breed restrictions. - 600 credit score required. Lower score may be accepted along with a co-signer. - No Section 8 - Utilities not included Questions? 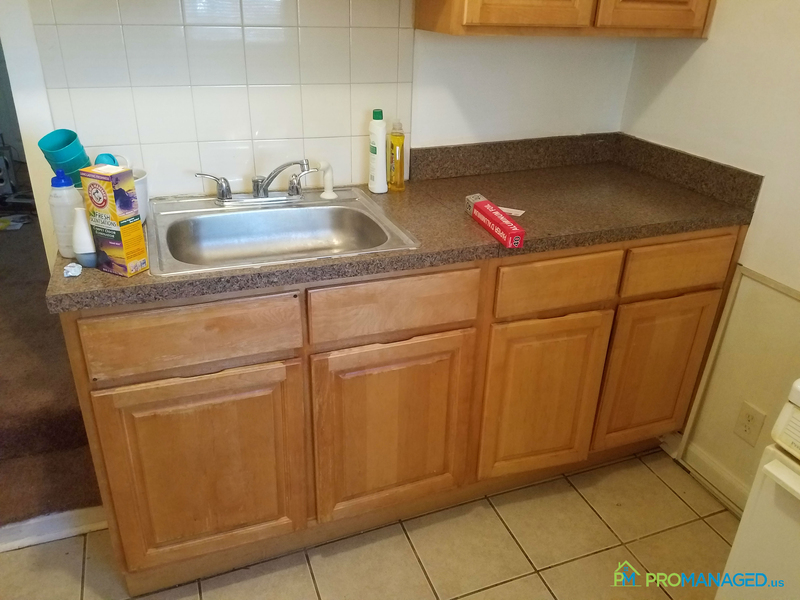 Call or text us at 856-222-1220 or email us at Promanagedinc@gmail.com Be sure to mention the address of the property! 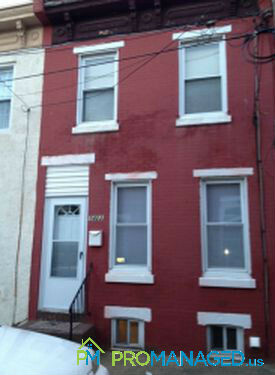 815 Livingston Street is a 2-story single family home in the Fishtown neighborhood of Philadelphia. The first floor of the home features a living room, separate dining room, kitchen at the back of the house, and a powder room. The basement of the home is unfinished but would work for additional storage and has a full sized washer & dryer for added convenience. 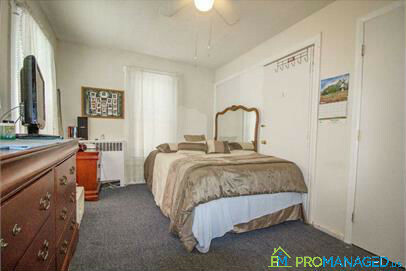 The 2nd floor has wall-to-wall carpeting throughout both bedrooms and a full bathroom. There is ample street parking available at this location and it's within walking distance to many shopping, dining, and grocery options. Check it out for yourself, schedule your showing today! 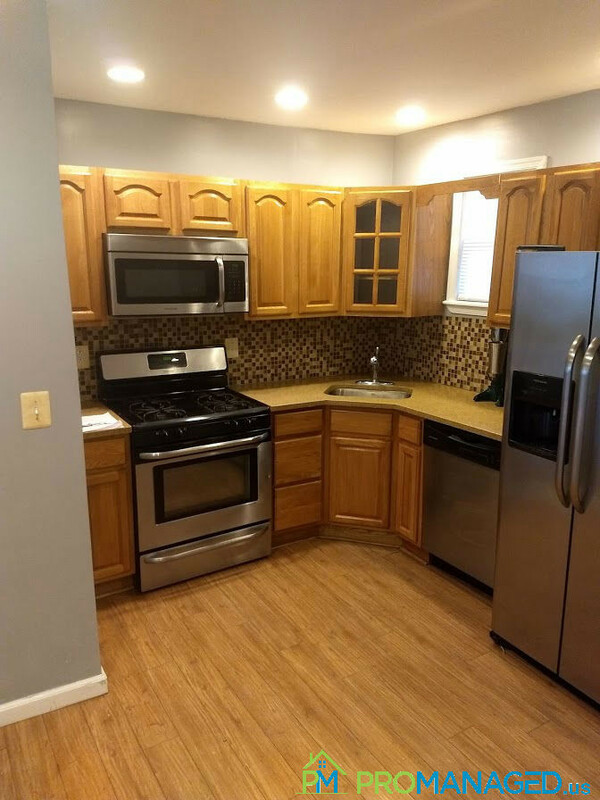 To schedule a showing for this property, click this link: http://tour.promanaged.us/schedule/?p=31 - Move in cost: $4,350 for first and last month's rent and security deposit. - Pet-friendly. $250 pet fee. Some dog breed restrictions. - 600 credit score required. Lower score may be accepted along with a co-signer. - No Section 8 - Utilities not included Questions? 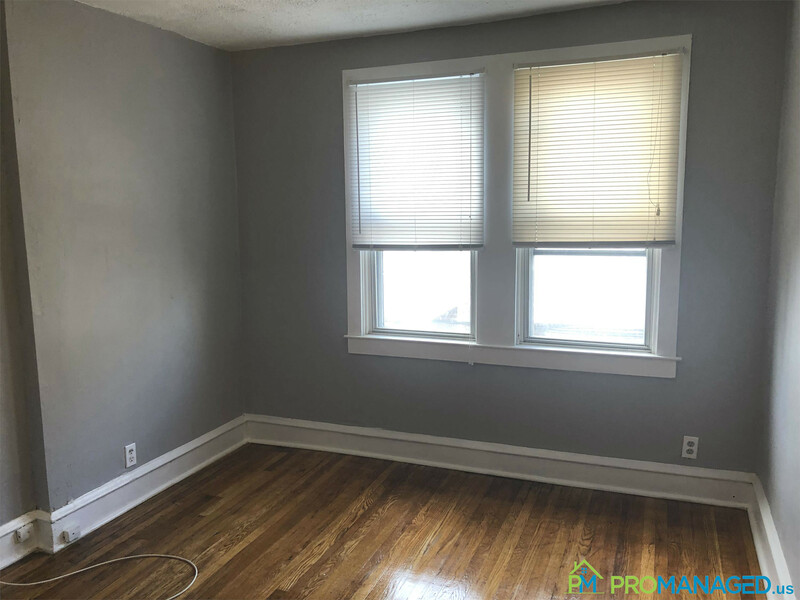 Call or text us at 856-222-1220 or email us at Promanagedinc@gmail.com Be sure to mention the address of the property! You don't want to miss out on this 2 bedroom, 1 bathroom home located in Port Richmond, Philadelphia! 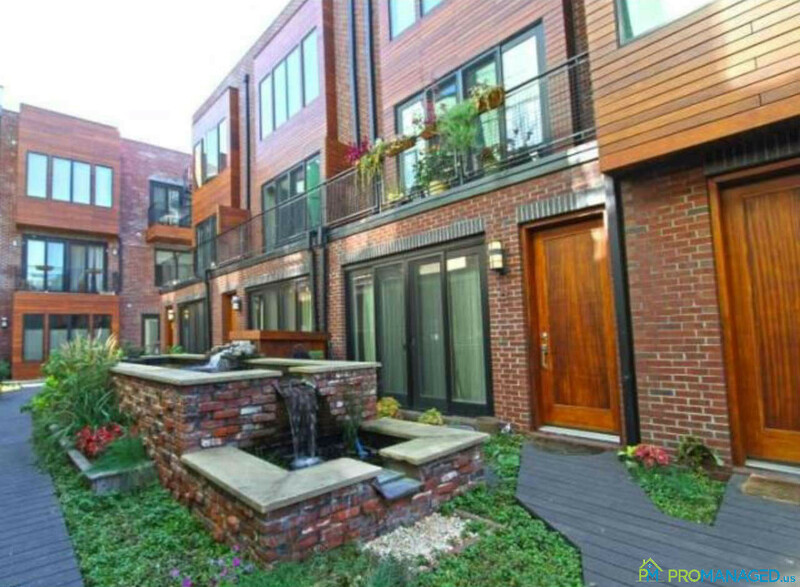 This unit is move-in ready with washer/dryer, full kitchen, and private patio space. Don't hesitate to make this your new home as it's sure to rent fast! 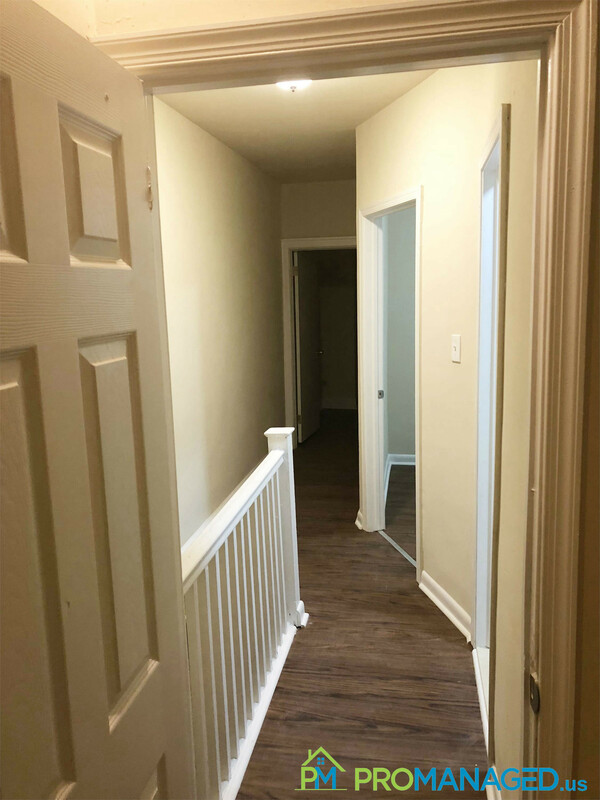 To schedule a showing for this property, click this link: http://tour.promanaged.us/schedule/?p= - Move in cost: $3,300 for first and last month's rent and security deposit. - Pet-friendly. $250 pet fee. Some dog breed restrictions. - 600 credit score required. Lower score may be accepted along with a co-signer. - No Section 8 - Utilities not included Questions? 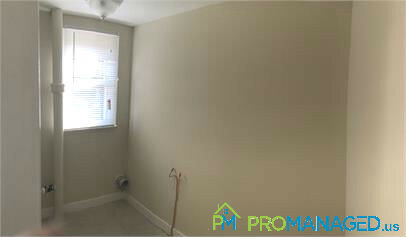 Call or text us at 856-222-1220 or email us at Promanagedinc@gmail.com Be sure to mention the address of the property! 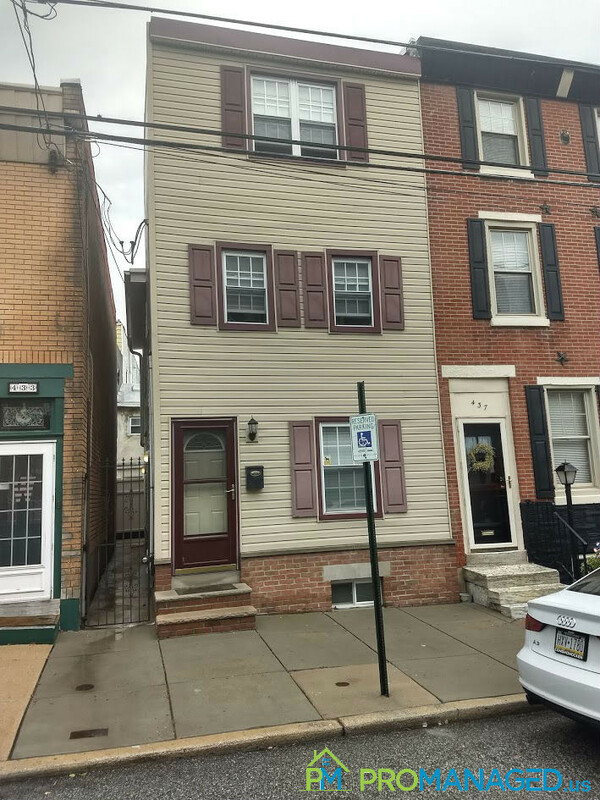 This 1,200 square foot townhome is located in the Tacony section of Philadelphia and features 3 bedrooms, 1 bathroom and is 1,200 square feet. It's newly renovated and includes an ALL New Appliance Package, central air and a washer and dryer in the unit, It is also conveniently located within walking distance of many schools, parks, restaurants, and grocery stores. Ready to make this your new home? Schedule a showing here: http://tour.promanaged.us/schedule/?p= - Move in cost: $3,300 for first and last month's rent and security deposit. - Pet-friendly. $250 pet fee. Some dog breed restrictions. - 600 credit score required. Lower score may be accepted along with a co-signer. - No Section 8 - Utilities not included Questions? Call or text us at 856-222-1220 or email us at Promanagedinc@gmail.com Be sure to mention the address of the property! 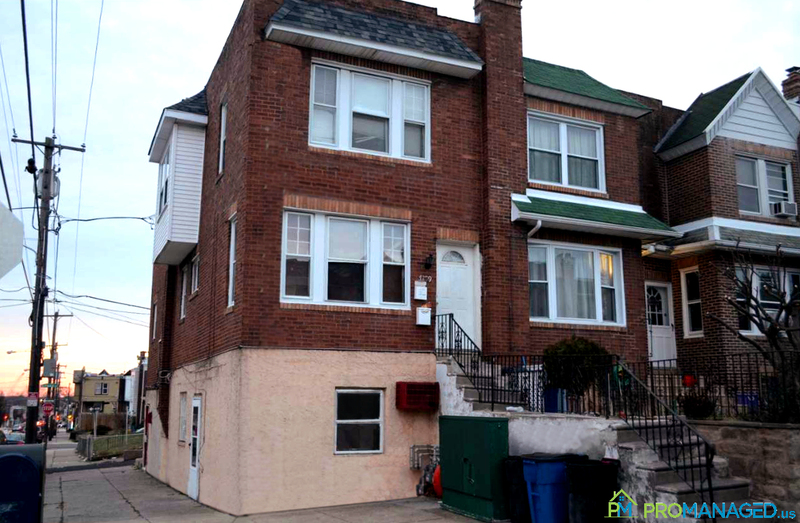 You can call this lovely Point Breeze home your very own! 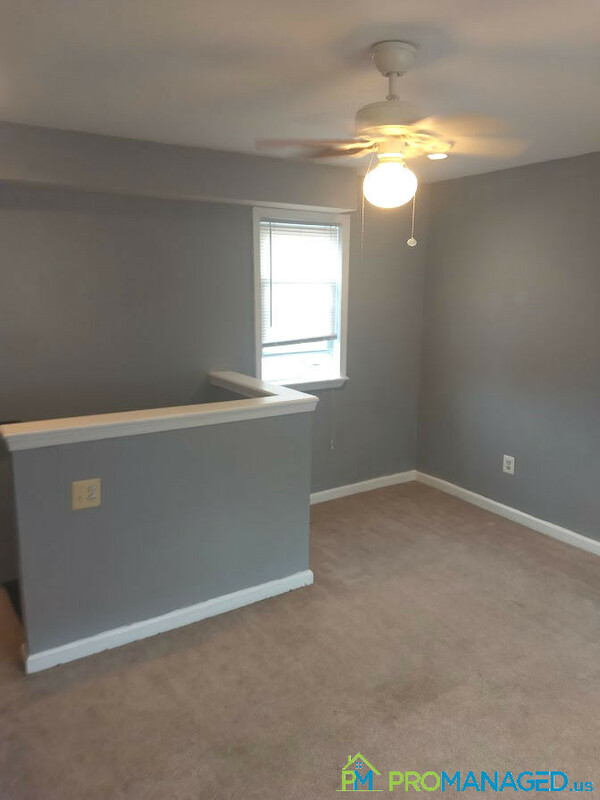 With 3 bedrooms, 1 bathroom, a living room, dining room, and full basement there's enough room for a family or a great place to move into with roommates. 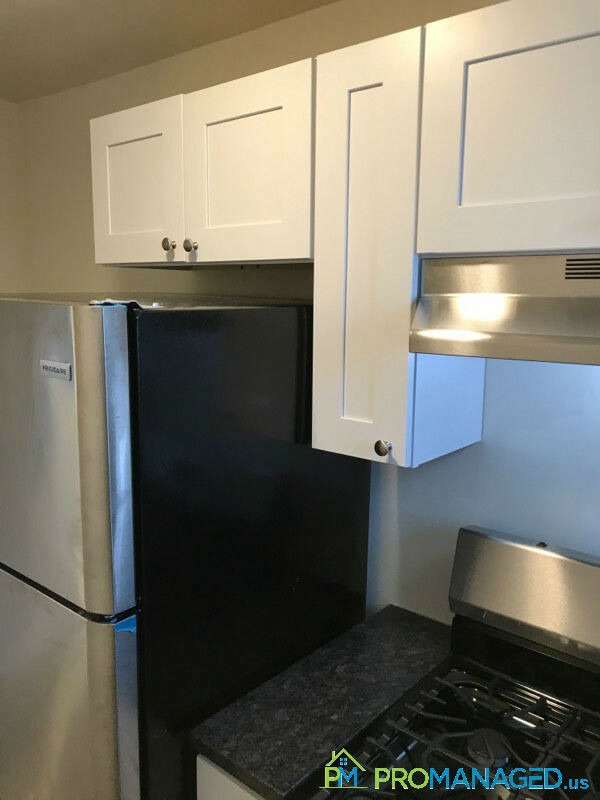 The eat-in kitchen features new appliances and gas cooking while the home features fresh paint and updated décor throughout. To schedule a showing for this property, click this link: http://tour.promanaged.us/schedule/?p=41 - Move in cost: $4,950 for first and last month's rent and security deposit. - Pet-friendly. $250 pet fee. Some dog breed restrictions. - 600 credit score required. Lower score may be accepted along with a co-signer. - No Section 8 - Utilities not included Questions? 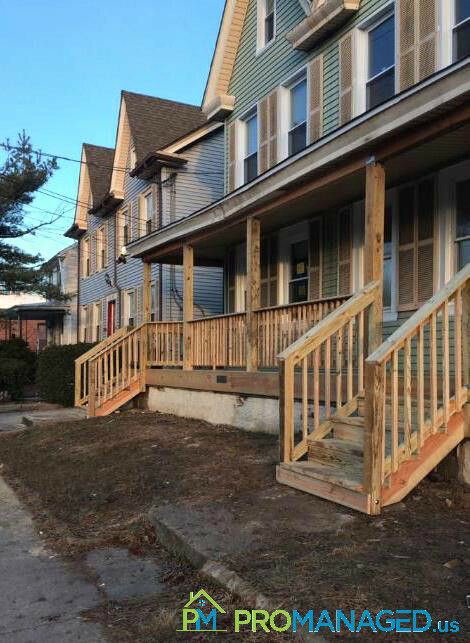 Call or text us at 856-222-1220 or email us at Promanagedinc@gmail.com Be sure to mention the address of the property! 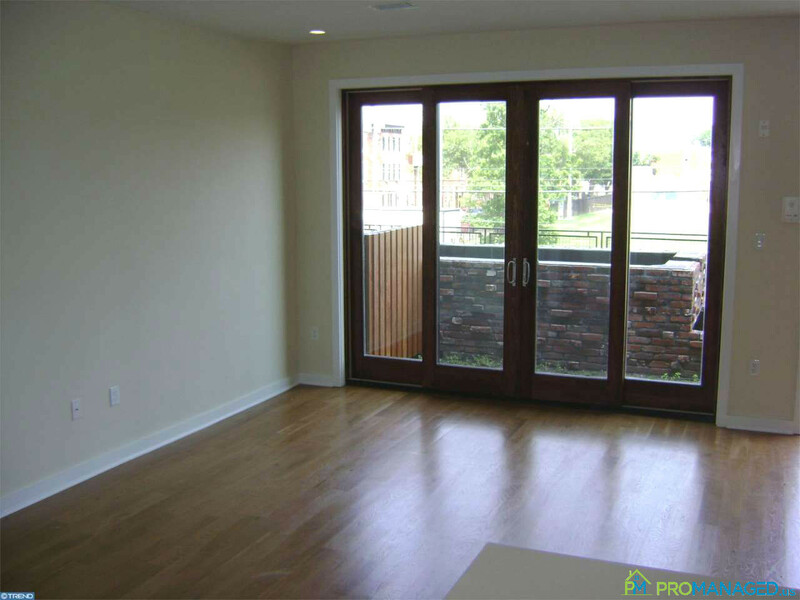 This two-story townhome located in Philadelphia's Fishtown neighborhood features 2 bedrooms, one bathroom. It also has a nice size yard, spacious rooms, a washer and dryer, a stove/oven and refrigerator. 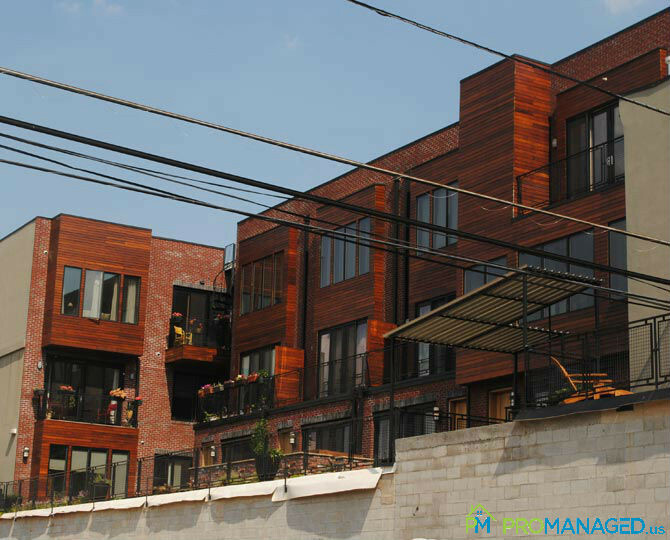 Fishtown is Philadelphia's hottest up and coming neighborhood and features a vibrant nightlife full of hip bistros, beer gardens and a variety of entertainment options. Rental homes in this area are extremely popular, so don't hesitate to schedule a showing for this property today. It won't last long! 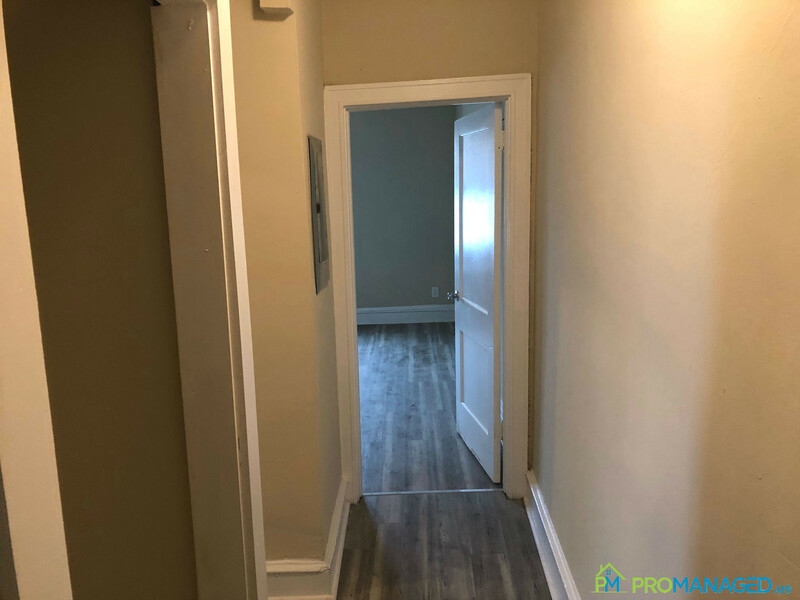 To schedule a showing for this property, click this link: http://tour.promanaged.us/schedule/?p=42 - Move in cost: $3,900 for first and last month's rent and security deposit. - Pet-friendly. $250 pet fee. Some dog breed restrictions. - 600 credit score required. Lower score may be accepted along with a co-signer. - No Section 8 - Utilities not included Questions? 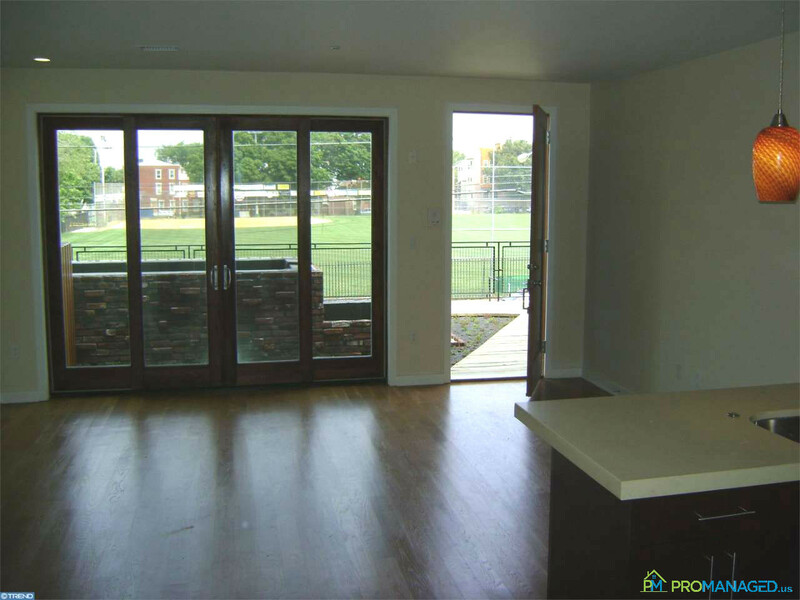 Call or text us at 856-222-1220 or email us at Promanagedinc@gmail.com Be sure to mention the address of the property! 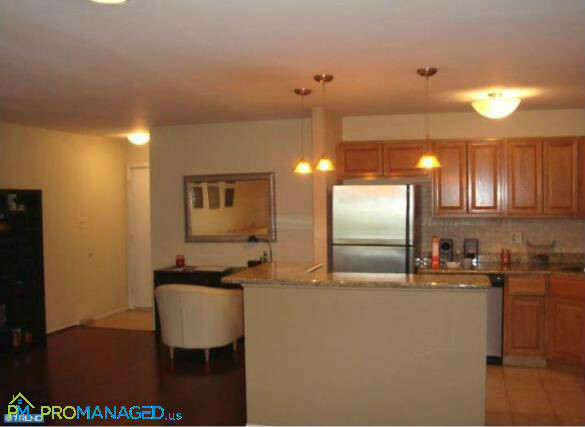 Don't miss your opportunity to call this 3 Bedroom, 1.5 bath townhome your new home! 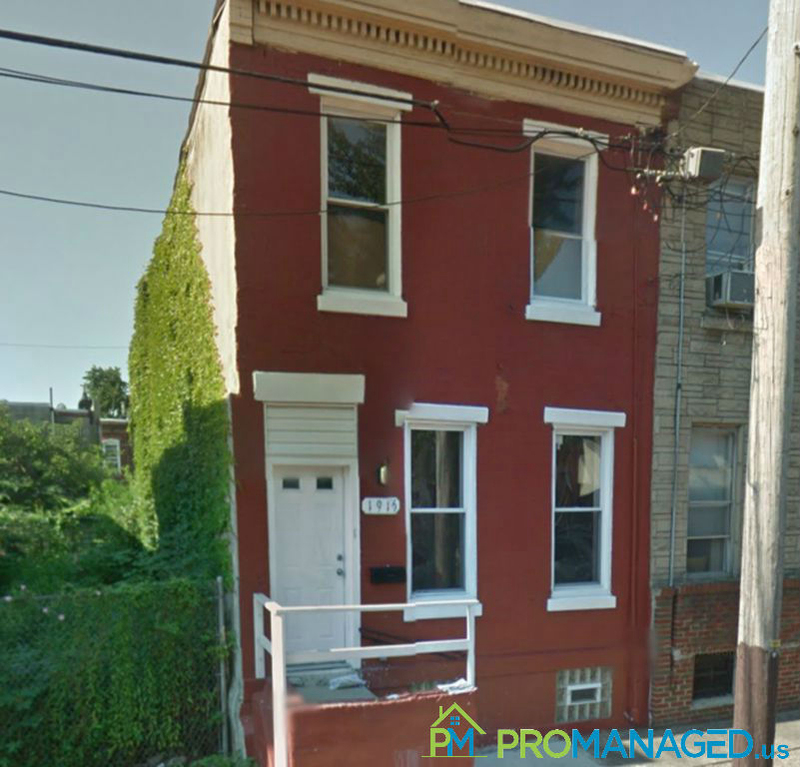 This property is located on the "Riverside" of the Girard Avenue Corridor. It features a basement, living room, dining room, eat-in kitchen, mudroom and a 20 foot rear yard. 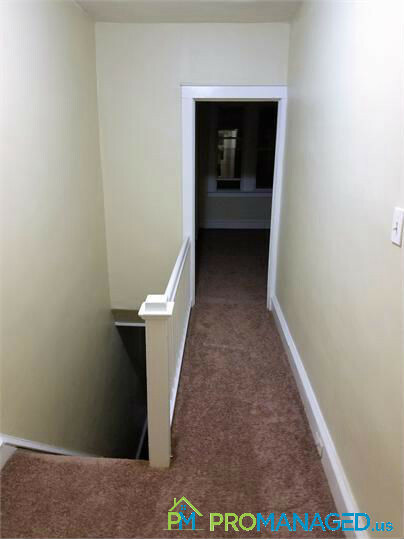 There are two bedrooms and a full bathroom on the 2nd floor and one bedroom on the 3rd floor. Check it out for yourself by scheduling your showing today! Ready to make this your new home? Schedule a showing here: http://tour.promanaged.us/schedule/?p=45 - Move in cost: $6,000 for first and last month's rent and security deposit. - Pet-friendly. $250 pet fee. Some dog breed restrictions. - 600 credit score required. Lower score may be accepted along with a co-signer. - No Section 8 - Utilities not included Questions? 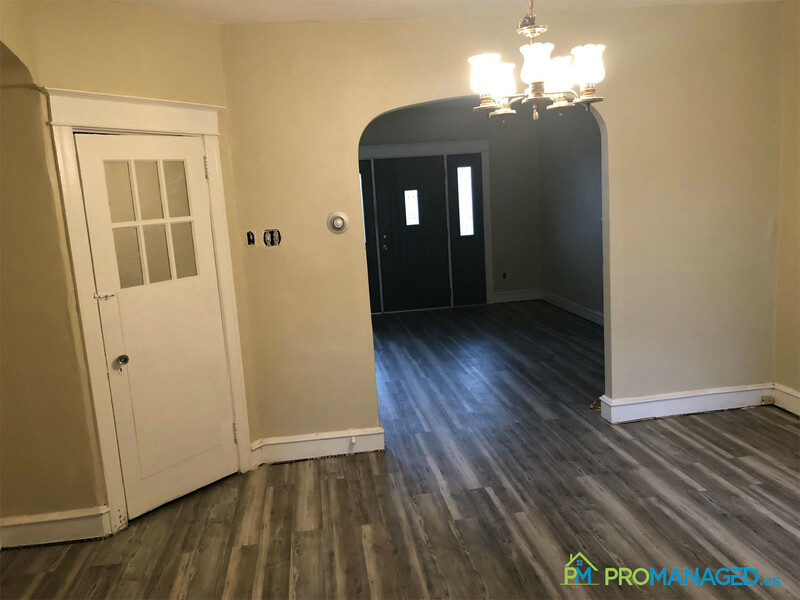 Call or text us at 856-222-1220 or email us at Promanagedinc@gmail.com Be sure to mention the address of the property! Located in Tacony Philadelphia in the best, well-maintained block!! 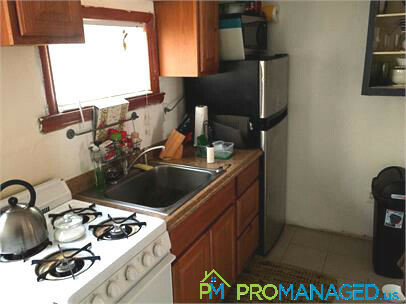 There is an eat-in kitchen with pantry, 2 bedrooms, 1 bathroom, a basement with a laundry area, and CENTRAL AIR. All freshly painted walls! Hurry and call for a showing today.. won't last long! Ready to make this your new home? Schedule a showing here: http://tour.promanaged.us/schedule/?p=61 - Move in cost: $2,850 for first and last month's rent and security deposit. - Pet-friendly. $250 pet fee. Some dog breed restrictions. - 600 credit score required. Lower score may be accepted along with a co-signer. - No Section 8 - Utilities not included Questions? 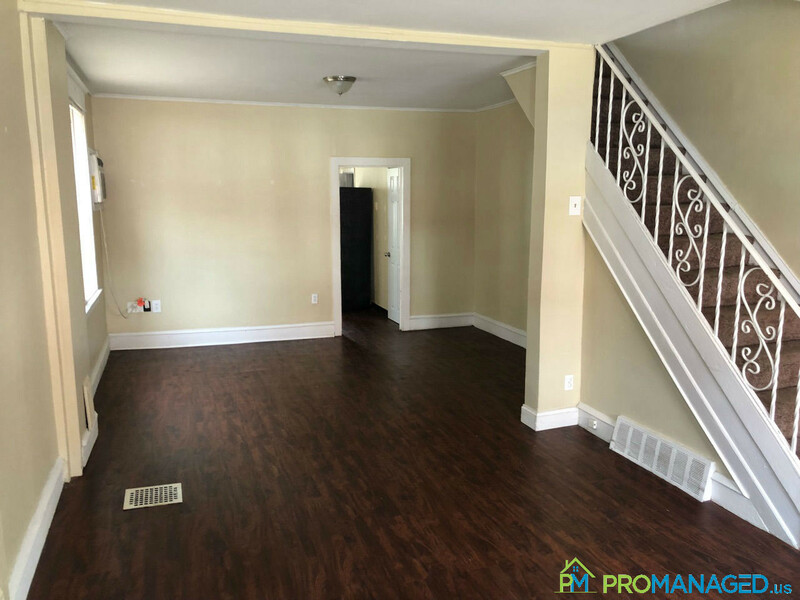 Call or text us at 856-222-1220 or email us at Promanagedinc@gmail.com Be sure to mention the address of the property! You're going to love this large 3 bedroom, 1 bathroom home that features a front porch, fenced in grass backyard, and rear patio. 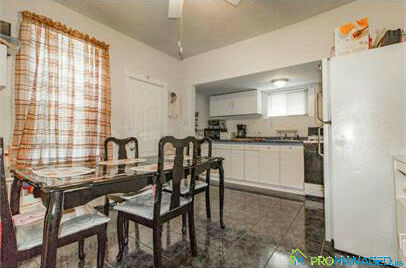 There is also a living room, dining room, spacious eat-in kitchen with newer cabinets and a lot of counter space. 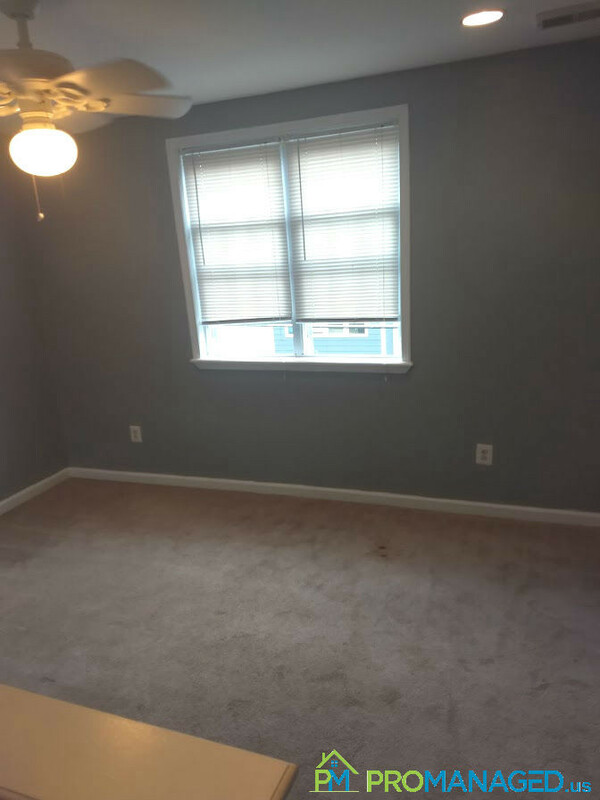 The bedrooms are fully carpeted and the rest of the home has hardwood floors. 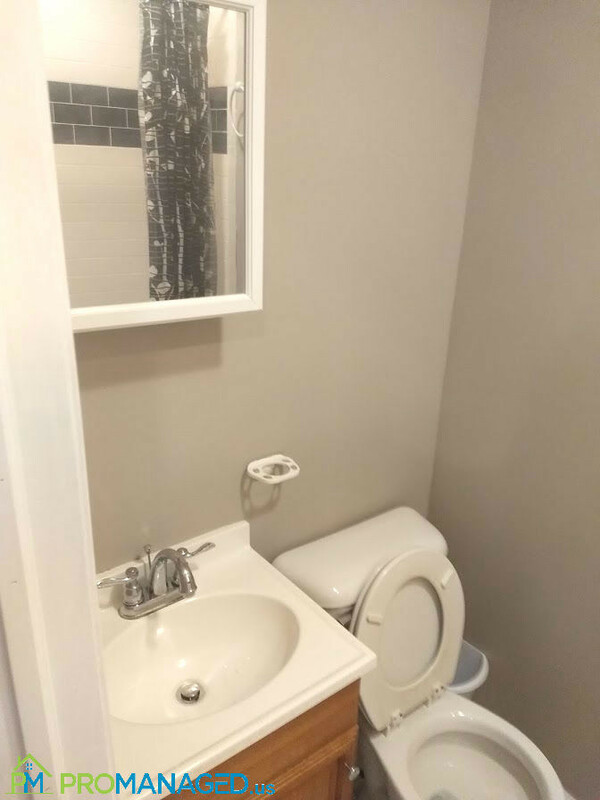 The bathroom has a newer vanity, sink, medicine cabinet, and toilet. 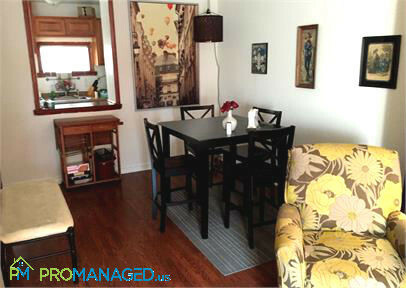 Walking distance to public transportation and shopping. Available August 1st. Ready to make this property your new home? 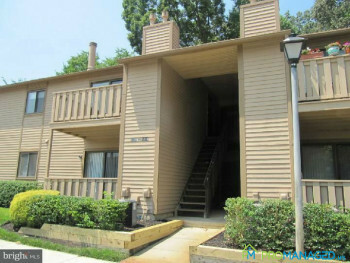 Click this link to schedule a showing: http://tour.promanaged.us/schedule/?p=81 - Move in cost: $3,600 for first and last month's rent and security deposit. - Pet-friendly. $250 pet fee. Some dog breed restrictions. - 600 credit score required. Lower score may be accepted along with a co-signer. - No Section 8 - Utilities not included Questions? 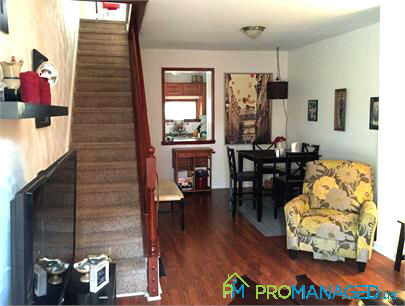 Call or text us at 856-222-1220 or email us at Promanagedinc@gmail.com Be sure to mention the address of the property! 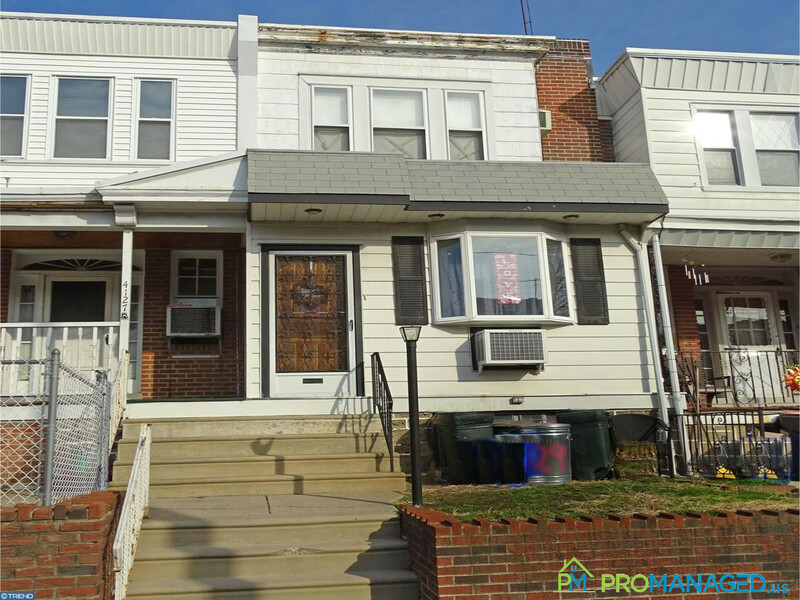 Don't miss out on your opportunity to make this single family townhome in the Tacony neighborhood of Philadelphia your family's new home! 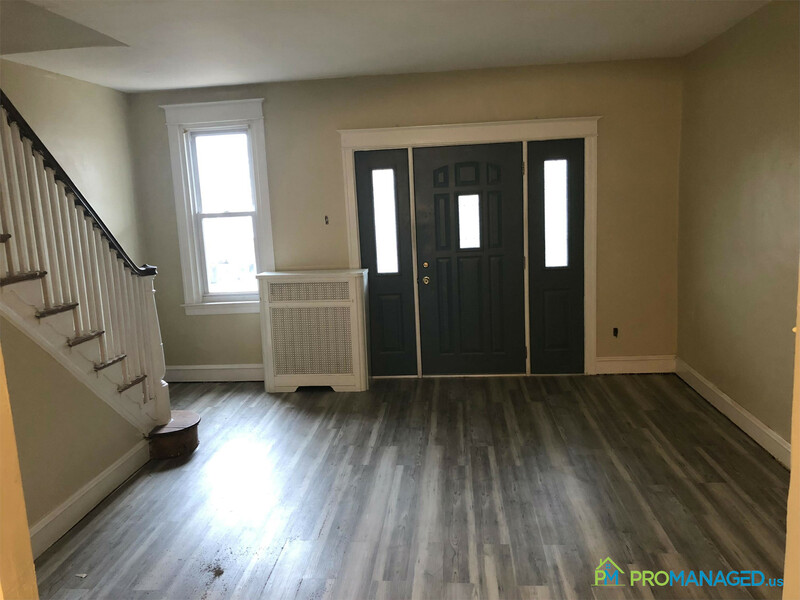 This lovely home is newly renovated and features 2 bedrooms, 1.5 bathrooms, an All-New Kitchen Appliance package, first floor laundry, a nice backyard, and is within walking distance of shopping, restaurants, schools and more. Ready to make this your new home? Schedule a showing here: http://tour.promanaged.us/schedule/?p=138 - Move in cost: $3,300 for first and last month's rent and security deposit. - Pet-friendly. $250 pet fee. Some dog breed restrictions. - 600 credit score required. Lower score may be accepted along with a co-signer. - No Section 8 - Utilities not included Questions? 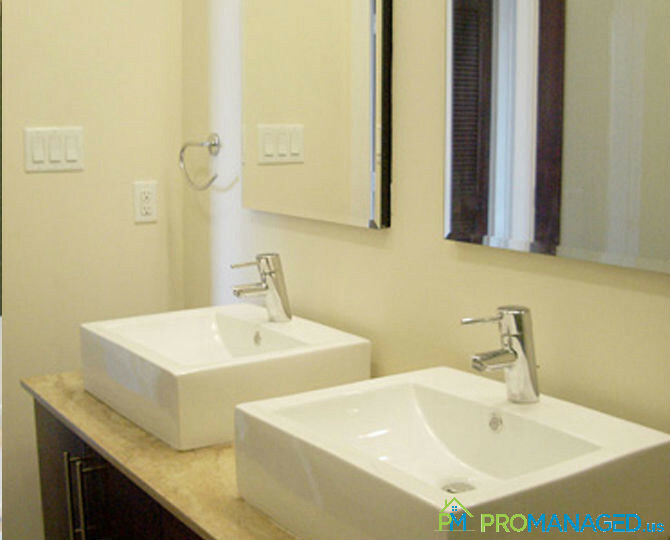 Call or text us at 856-222-1220 or email us at Promanagedinc@gmail.com Be sure to mention the address of the property! Welcome to 601 Morton Avenue! This third-floor apartment has 2 bedrooms, 1 bathroom. It is currently undergoing renovations and will feature brand new faux-hardwood plank flooring, fresh paint, and kitchen appliances. A coin-operated laundry room is located on-site for your convenience. 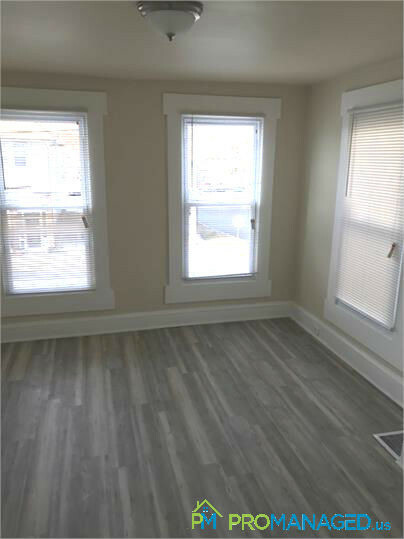 If you're ready to call 601 Morton Avenue home, you can schedule a showing here: http://tour.promanaged.us/schedule/?p=141 - Move in cost: $2,985 for first and last month's rent and security deposit. - Pet-friendly. $250 pet fee. Some dog breed restrictions. - 600 credit score required. Lower score may be accepted along with a co-signer. - No Section 8 - Utilities not included Questions? 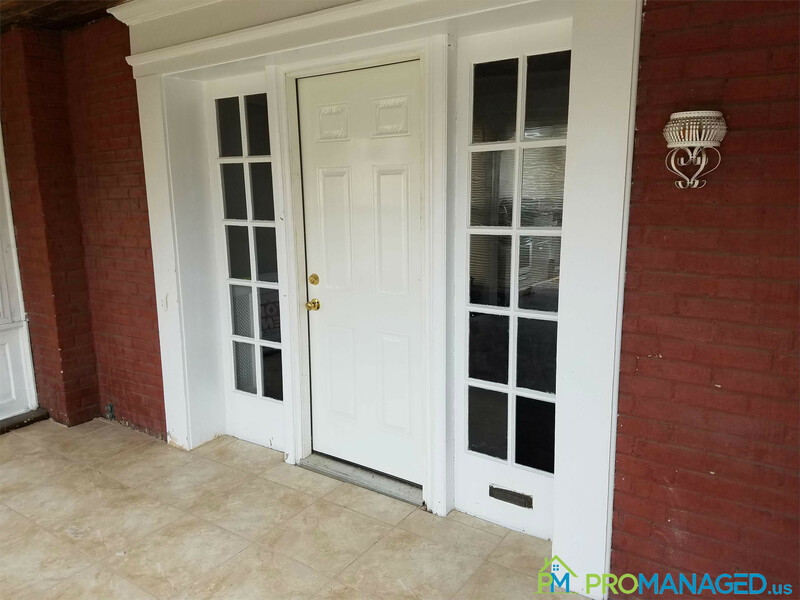 Call or text us at 856-222-1220 or email us at Promanagedinc@gmail.com Be sure to mention the address of the property! Welcome to 601 Morton Avenue! 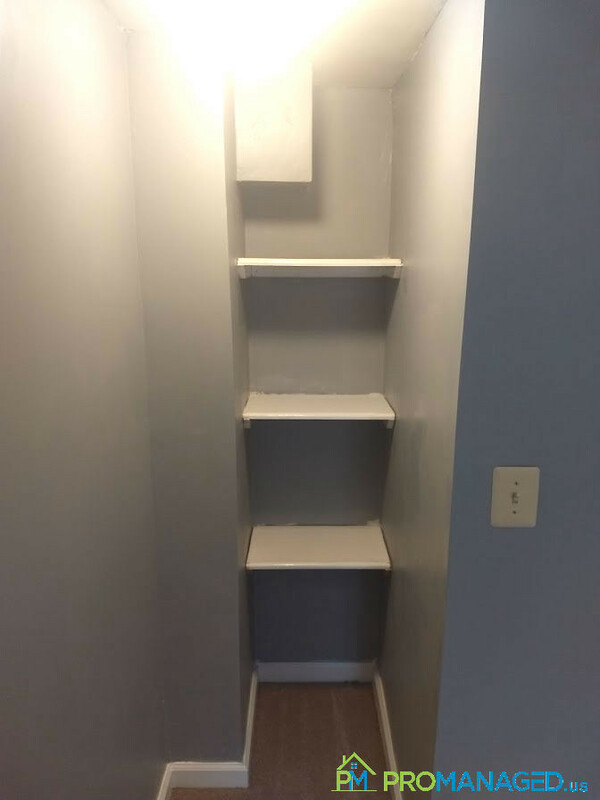 This third-floor apartment has 1 bedroom, 1 bathroom. 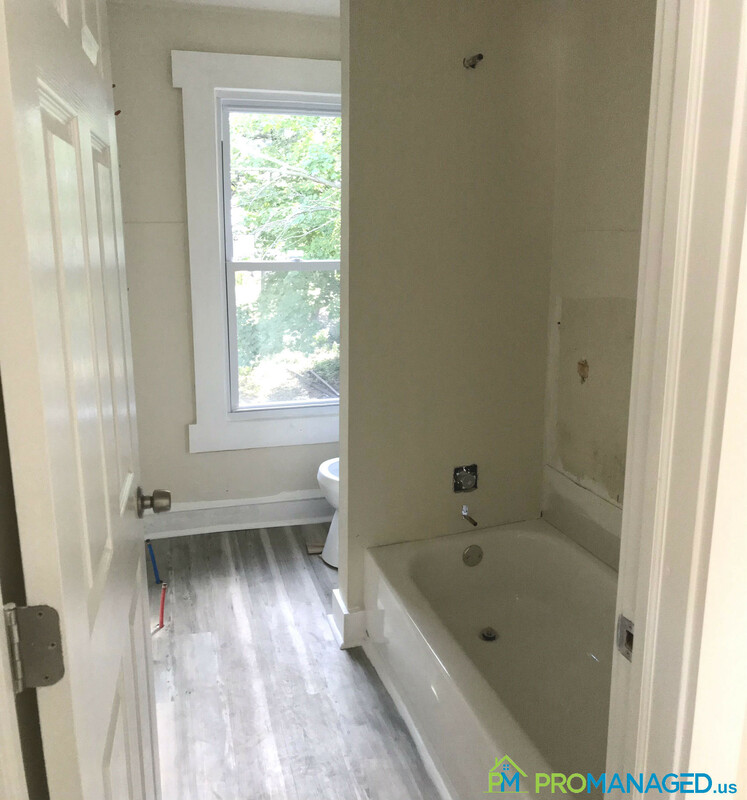 It is currently undergoing renovations and will feature brand new faux-hardwood plank flooring, fresh paint, and kitchen appliances. A coin-operated laundry room is located on-site for your convenience. 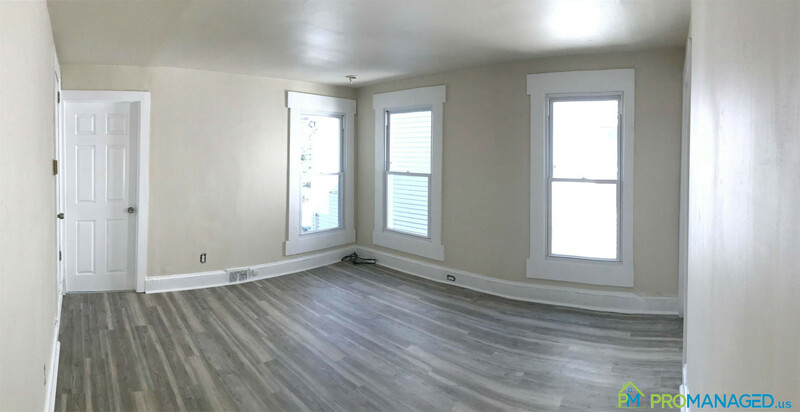 If you're ready to call 601 Morton Avenue home, you can schedule a showing here: http://tour.promanaged.us/schedule/?p=147 - Move in cost: $ for first and last month's rent and security deposit. - Pet-friendly. $250 pet fee. Some dog breed restrictions. - 600 credit score required. Lower score may be accepted along with a co-signer. - No Section 8 - Utilities not included Questions? 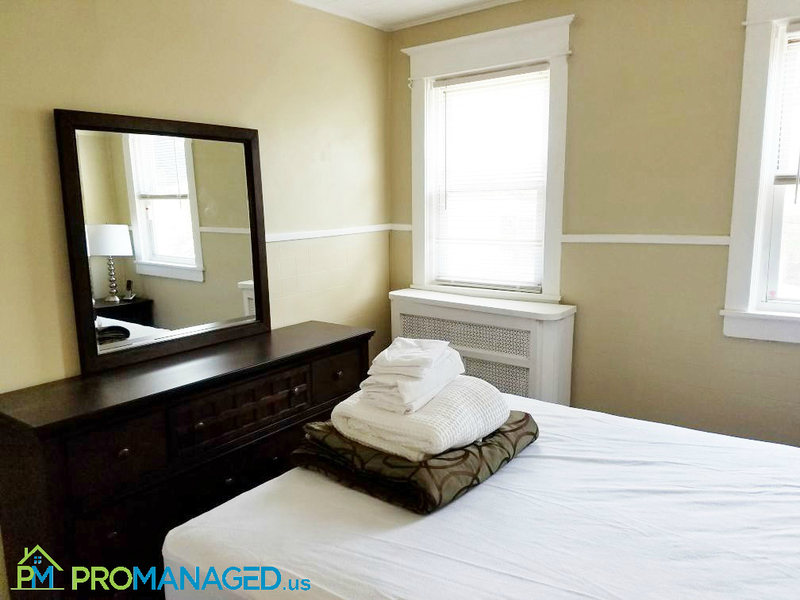 Call or text us at 856-222-1220 or email us at Promanagedinc@gmail.com Be sure to mention the address of the property! Welcome to 601 Morton Avenue! 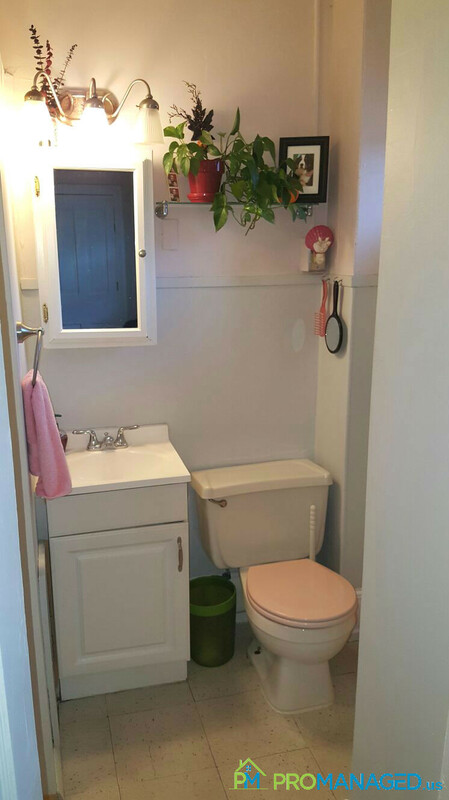 This first-floor apartment has 2 bedrooms, 1 bathroom. 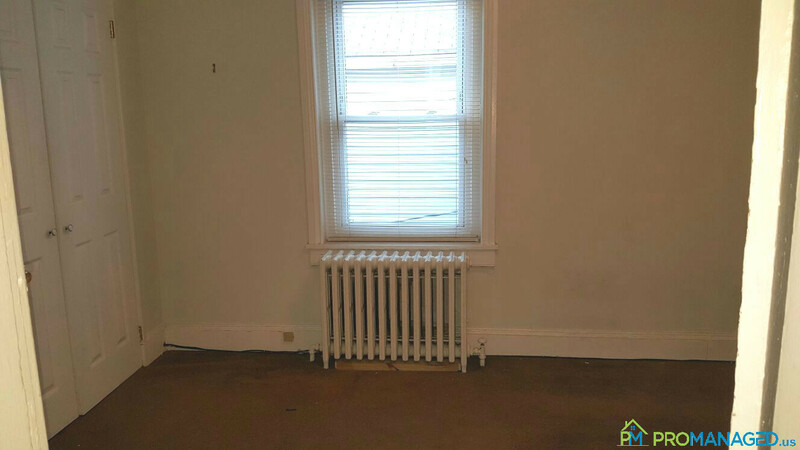 It is currently undergoing renovations and will feature brand new faux-hardwood plank flooring, fresh paint, and kitchen appliances. 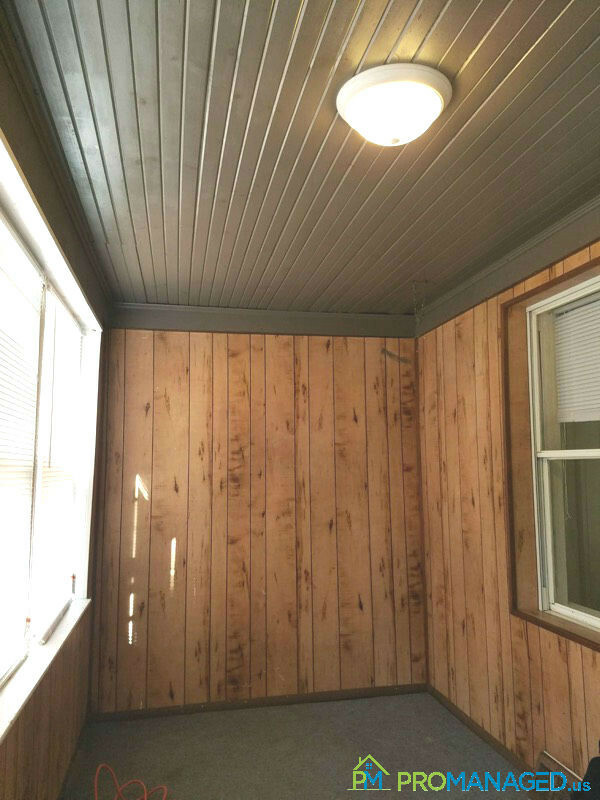 A coin-operated laundry room is located on-site for your convenience. 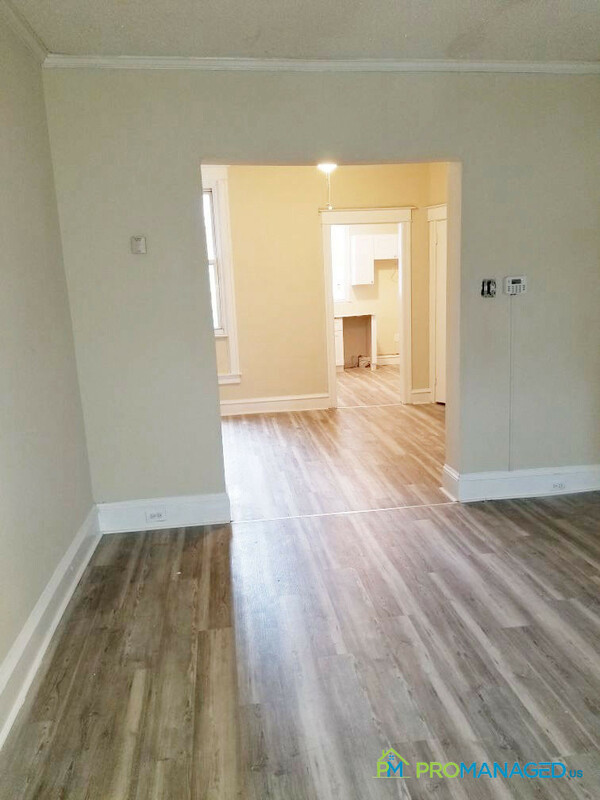 If you're ready to call 601 Morton Avenue home, you can schedule a showing here: http://tour.promanaged.us/schedule/?p=148 - Move in cost: $ for first and last month's rent and security deposit. - Pet-friendly. $250 pet fee. Some dog breed restrictions. - 600 credit score required. Lower score may be accepted along with a co-signer. - No Section 8 - Utilities not included Questions? 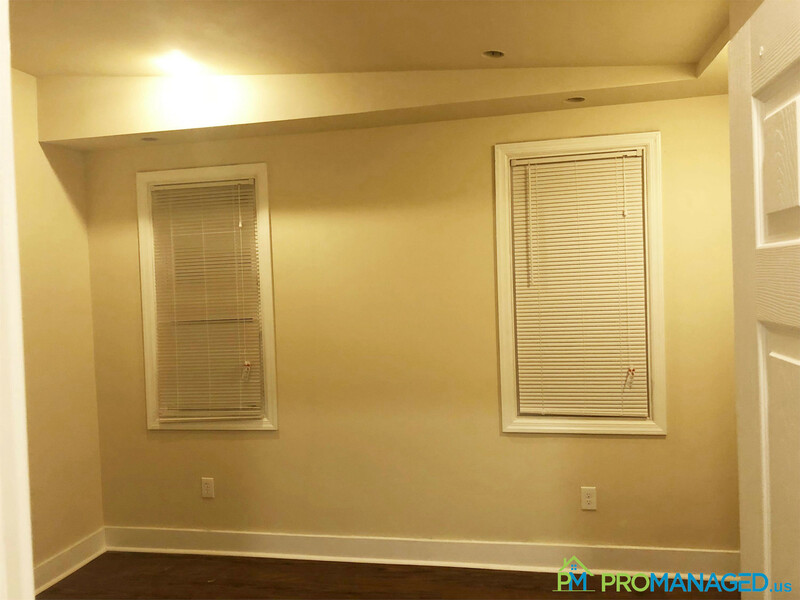 Call or text us at 856-222-1220 or email us at Promanagedinc@gmail.com Be sure to mention the address of the property! Welcome to 601 Morton Avenue! 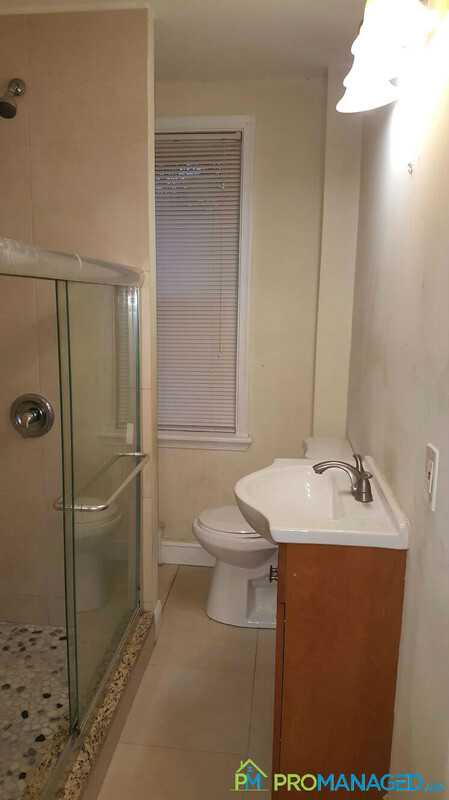 This first-floor apartment has 2 bedrooms, 1 bathroom. It is currently undergoing renovations and will feature brand new faux-hardwood plank flooring, fresh paint, and kitchen appliances. 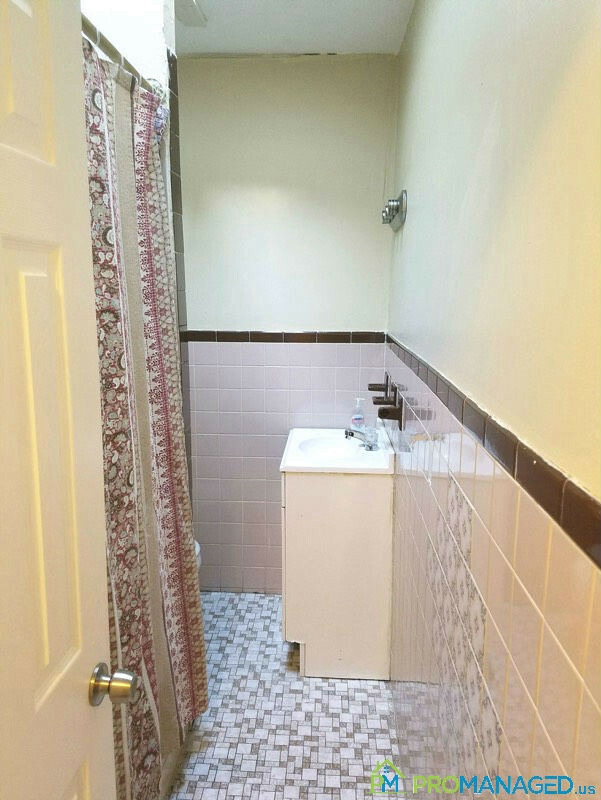 A coin-operated laundry room is located on-site for your convenience. 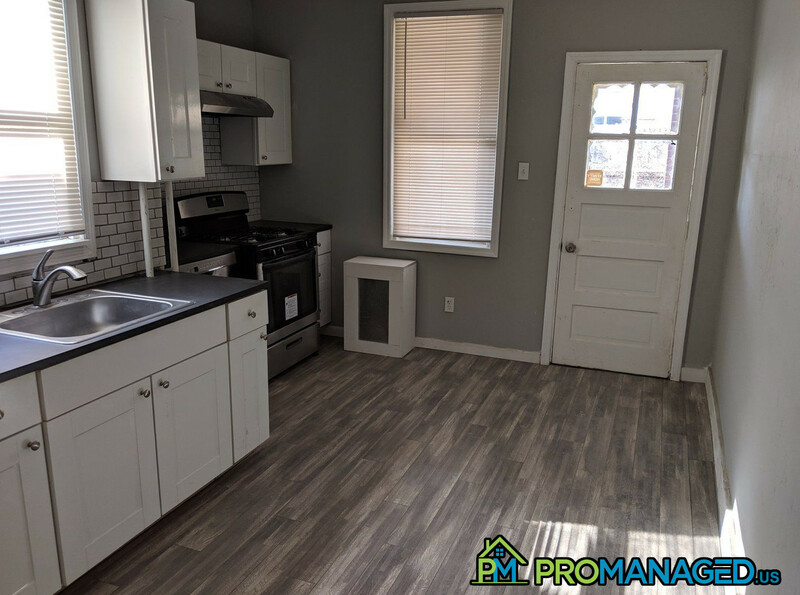 If you're ready to call 601 Morton Avenue home, you can schedule a showing here: http://tour.promanaged.us/schedule/?p=151 - Move in cost: $ for first and last month's rent and security deposit. - Pet-friendly. $250 pet fee. Some dog breed restrictions. - 600 credit score required. Lower score may be accepted along with a co-signer. - No Section 8 - Utilities not included Questions? 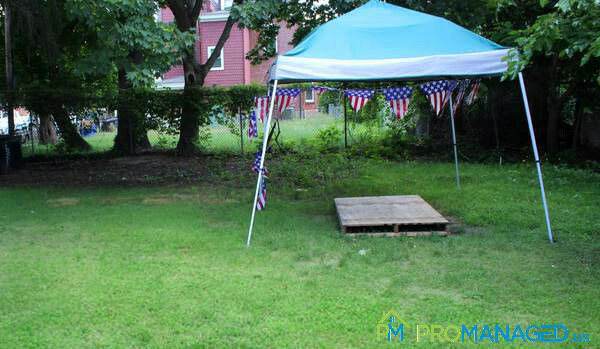 Call or text us at 856-222-1220 or email us at Promanagedinc@gmail.com Be sure to mention the address of the property! Welcome to 601 Morton Avenue! 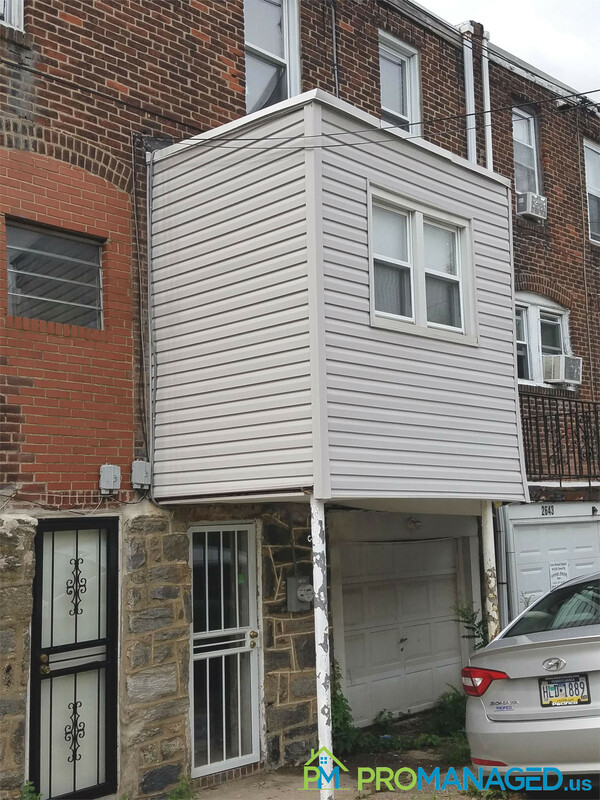 This second-floor apartment has 1 bedroom, 1 bathroom. It is currently undergoing renovations and will feature brand new faux-hardwood plank flooring, fresh paint, and kitchen appliances. A coin-operated laundry room is located on-site for your convenience. 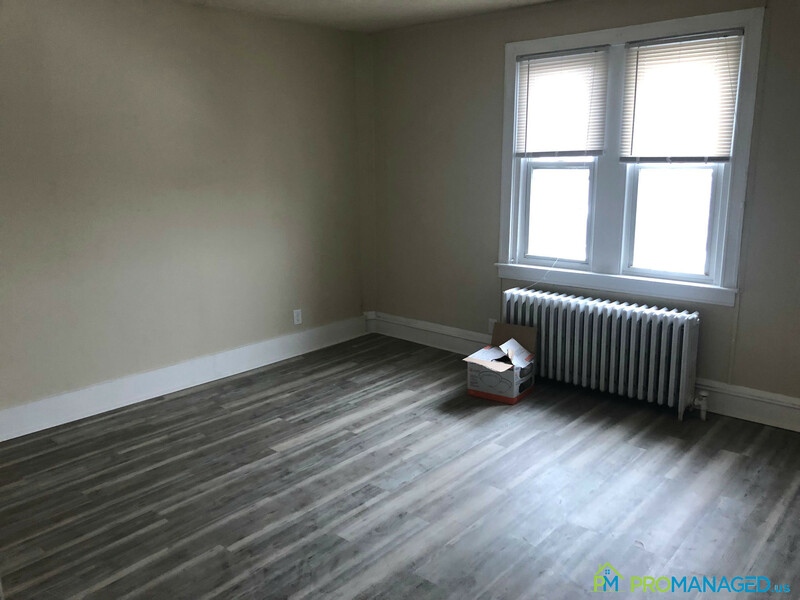 If you're ready to call 601 Morton Avenue home, you can schedule a showing here: http://tour.promanaged.us/schedule/?p=152 - Move in cost: $ for first and last month's rent and security deposit. - Pet-friendly. $250 pet fee. Some dog breed restrictions. - 600 credit score required. Lower score may be accepted along with a co-signer. - No Section 8 - Utilities not included Questions? 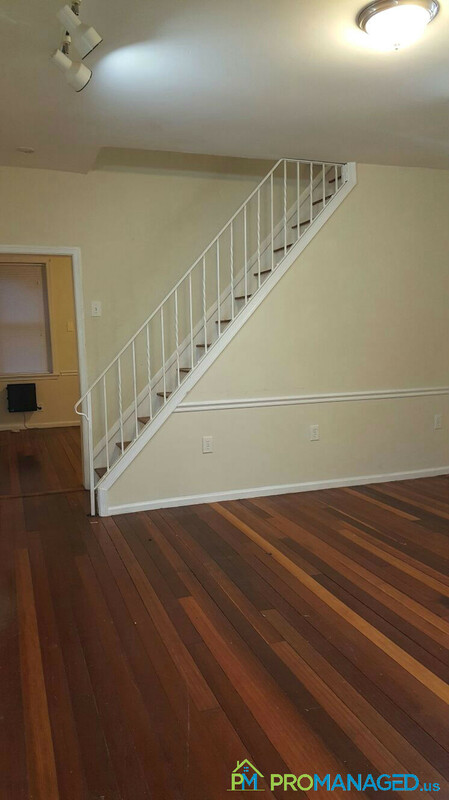 Call or text us at 856-222-1220 or email us at Promanagedinc@gmail.com Be sure to mention the address of the property! Welcome to 601 Morton Avenue! This first-floor apartment has 2 bedrooms, 1 bathroom. It is currently undergoing renovations and will feature brand new faux-hardwood plank flooring, fresh paint, and kitchen appliances. A coin-operated laundry room is located on-site for your convenience. 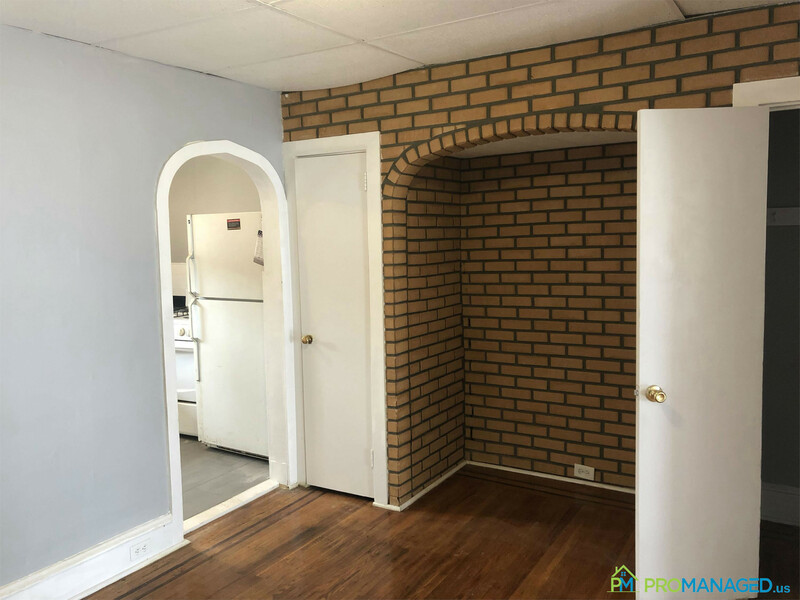 If you're ready to call 601 Morton Avenue home, you can schedule a showing here: http://tour.promanaged.us/schedule/?p=153 - Move in cost: $ for first and last month's rent and security deposit. - Pet-friendly. $250 pet fee. Some dog breed restrictions. - 600 credit score required. Lower score may be accepted along with a co-signer. - No Section 8 - Utilities not included Questions? 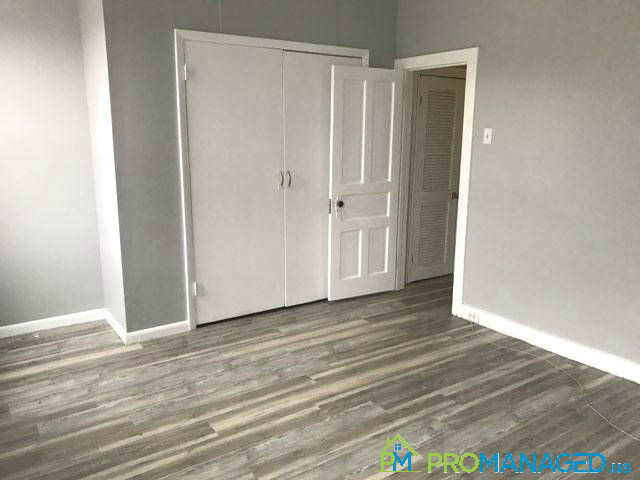 Call or text us at 856-222-1220 or email us at Promanagedinc@gmail.com Be sure to mention the address of the property! 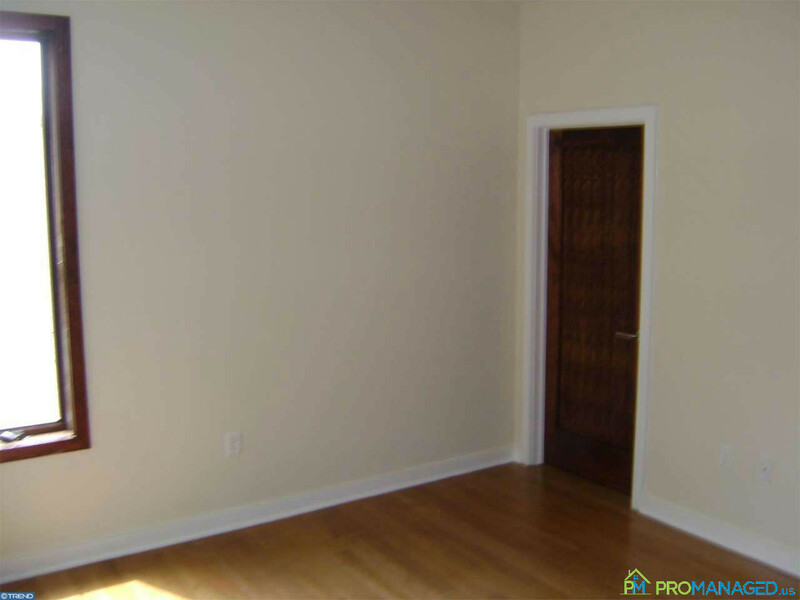 This spacious apartment has 2 bedrooms, 1 bathroom. It also features a welcoming entryway and eat-in kitchen. 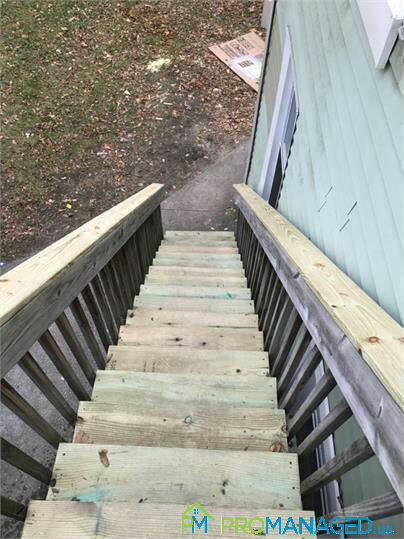 It is currently undergoing renovations and will feature brand new vinyl hardwood look plank flooring, fresh paint, and kitchen appliances. 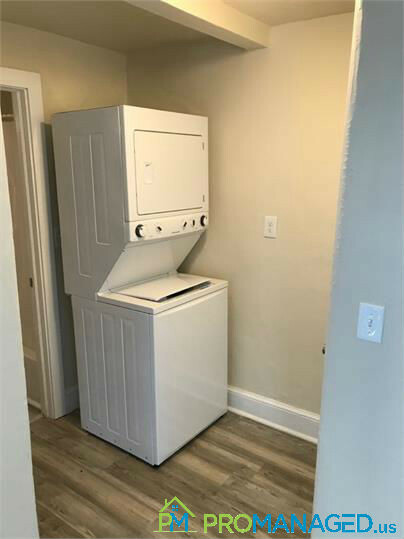 A coin-operated laundry room is located on-site for your convenience. This property will be available on September 1st. 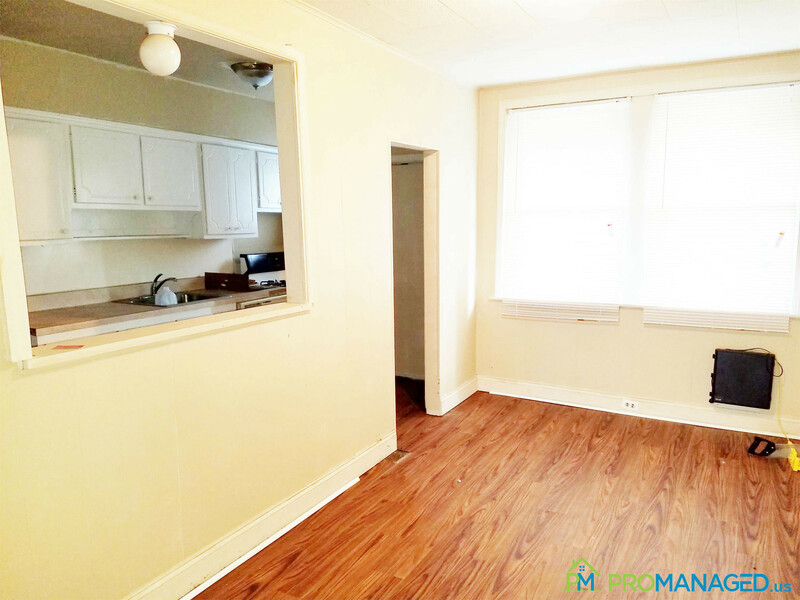 If you're ready to call 601 Morton Avenue home, you can schedule a showing here: http://tour.promanaged.us/schedule/?p=154 - Move in cost: $ for first and last month's rent and security deposit. - Pet-friendly. $250 pet fee. Some dog breed restrictions. - 600 credit score required. Lower score may be accepted along with a co-signer. - No Section 8 - Utilities not included Questions? 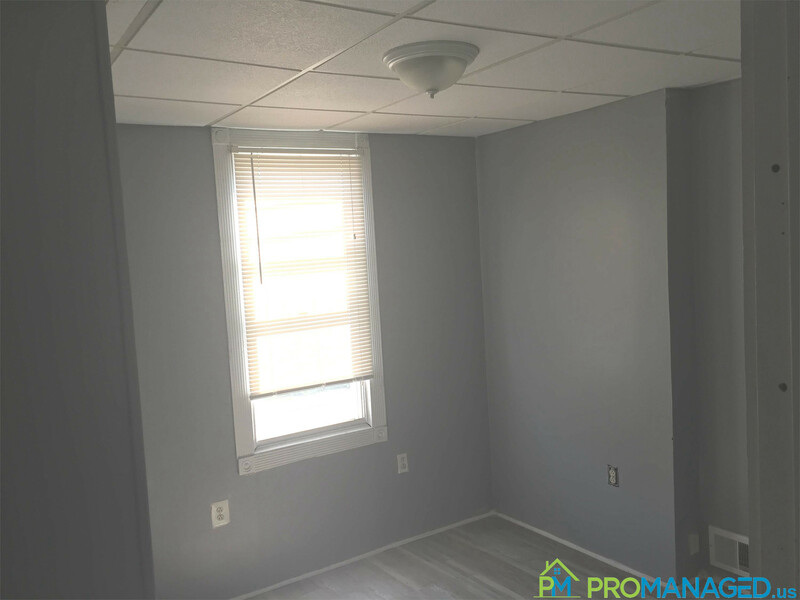 Call or text us at 856-222-1220 or email us at Promanagedinc@gmail.com Be sure to mention the address of the property! 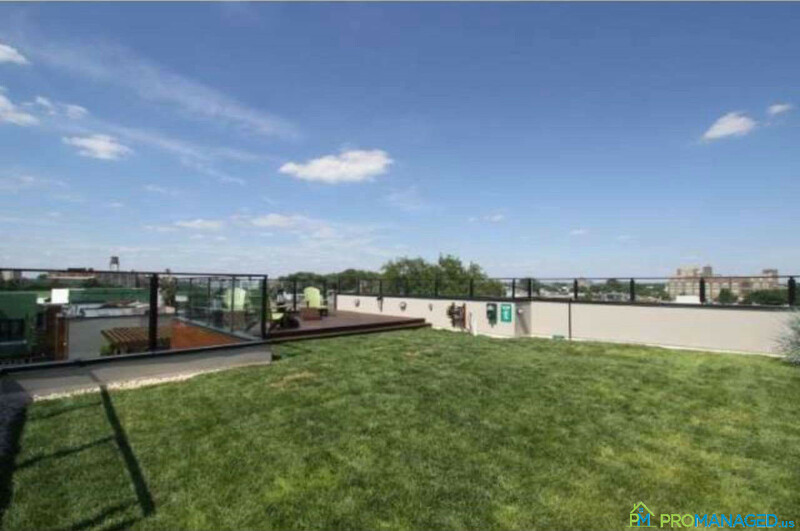 This premier Fishtown unit is available offers a spectacular private green roof, tankless hot water heater, fresh paint, and was built using sustainable and locally sourced materials and no construction waste! 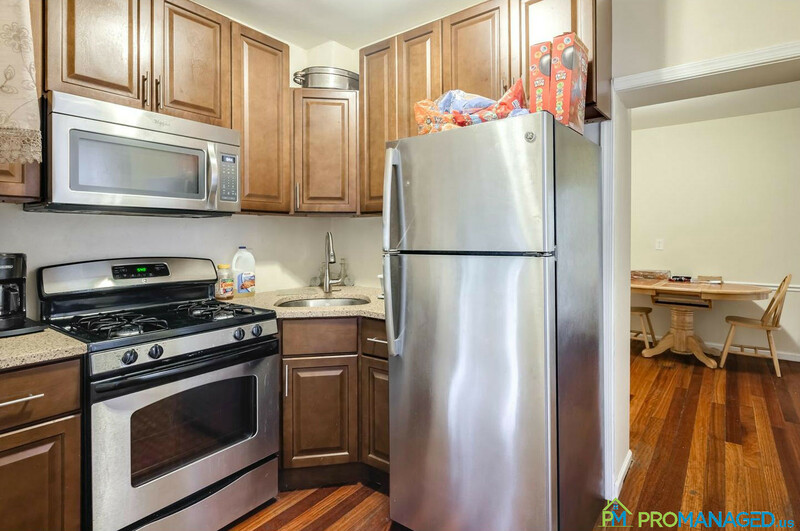 This 1 bedroom 1 bath condo features, oak floors throughout, stunning floating steel stairs, large casement windows, custom kitchen with upscale stainless appliances, Slider doors lead to a deck off of the dining area. There are incredible panoramic rooftop views of Center City and the river. The common grounds include a beautiful fountain serviced by the property's runoff management system. 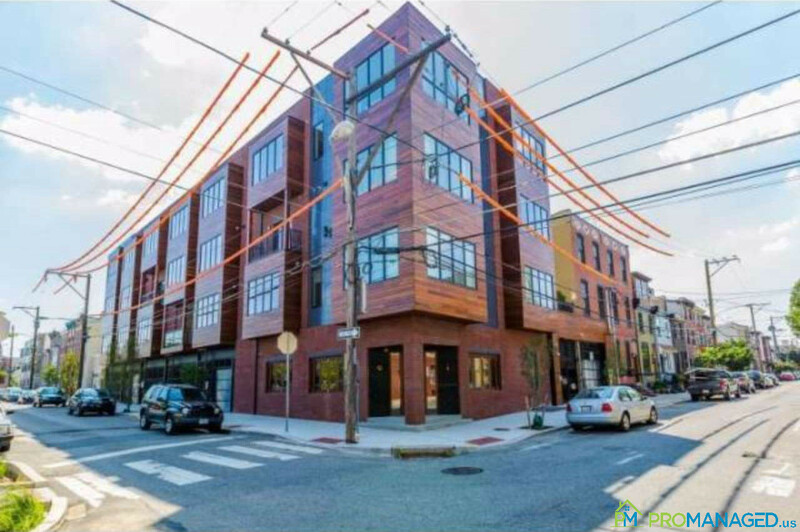 Located within walking distance to everything the Frankford Arts and Girard Avenue corridors have to offer including cafes, shopping, fitness, restaurants, and galleries. 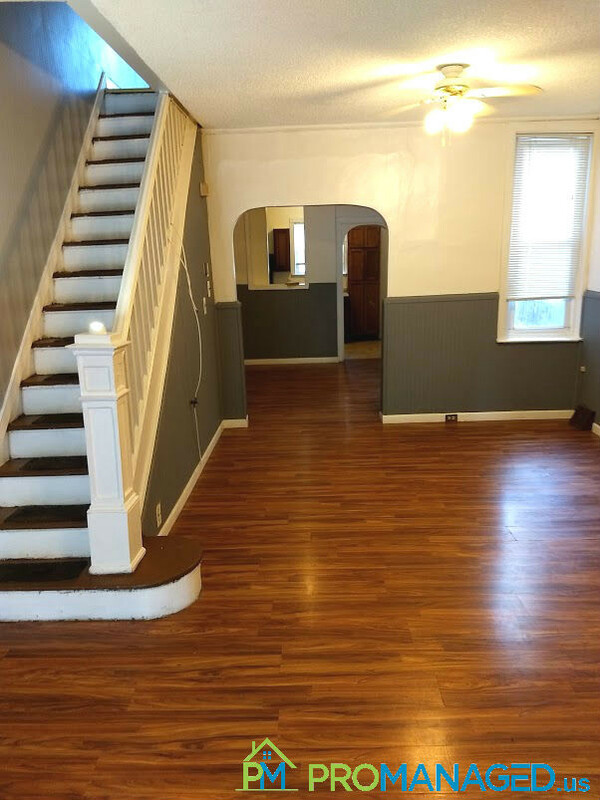 To schedule a showing for this property, click this link: http://tour.promanaged.us/schedule/?p= - Move in cost: $ for first and last month's rent and security deposit. - Pet-friendly. $250 pet fee. Some dog breed restrictions. - 600 credit score required. Lower score may be accepted along with a co-signer. - No Section 8 - Utilities not included Questions? 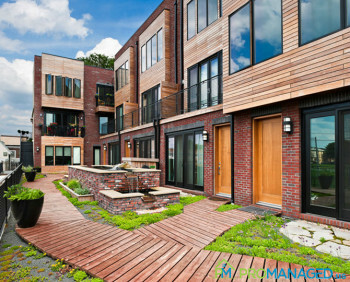 Call or text us at 856-222-1220 or email us at Promanagedinc@gmail.com Be sure to mention the address of the property! Come see this beautiful townhome located directly across the street from the Tacony Library! 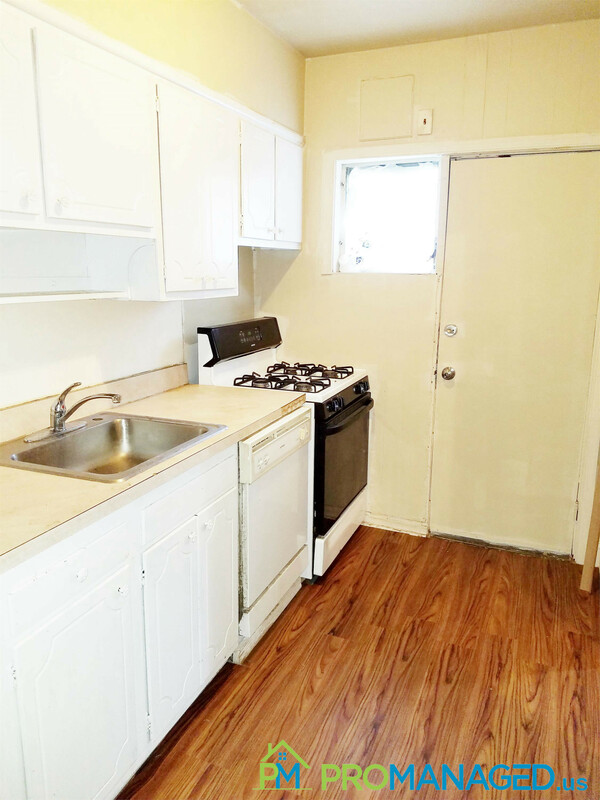 It features 2 bedrooms, 2 bathrooms, a large kitchen with appliances and a window seat, a washer and dryer, and a spacious living room. 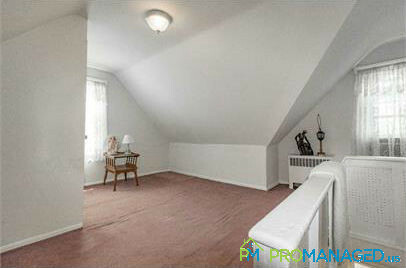 The third floor/attic is a bonus room! 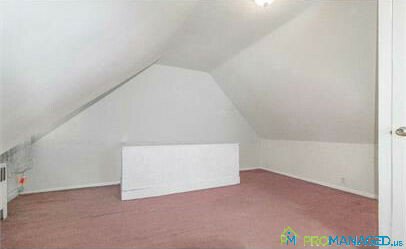 It's a great finished loft space, could be used as an extra play area or for storage. Schedule a showing to make this your new home today! 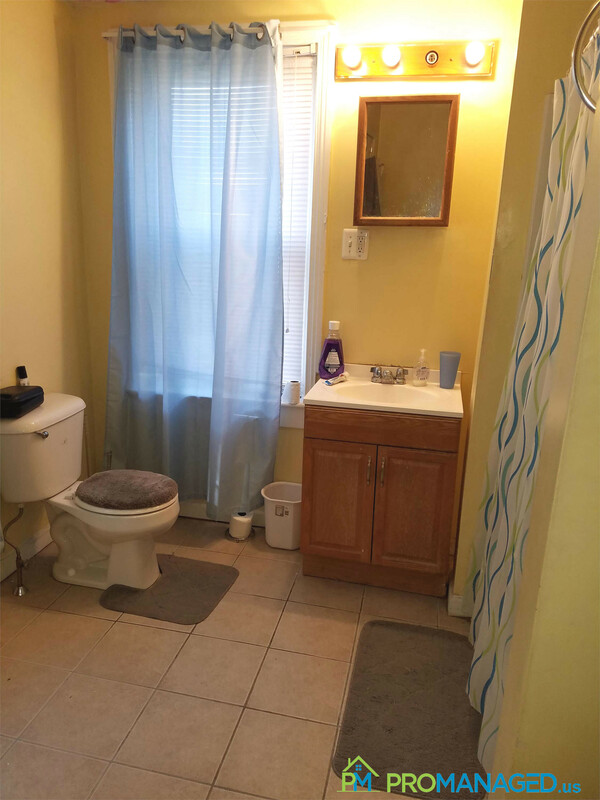 To schedule a showing for this property, click this link: http://tour.promanaged.us/schedule/?p= - Move in cost: $ for first and last month's rent and security deposit. - Pet-friendly. $250 pet fee. Some dog breed restrictions. - 600 credit score required. Lower score may be accepted along with a co-signer. - No Section 8 - Utilities not included Questions? 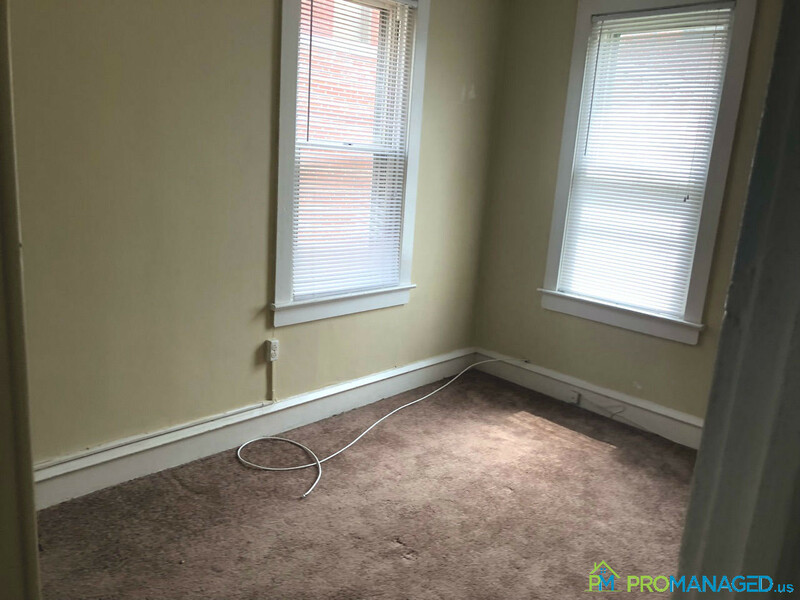 Call or text us at 856-222-1220 or email us at Promanagedinc@gmail.com Be sure to mention the address of the property! 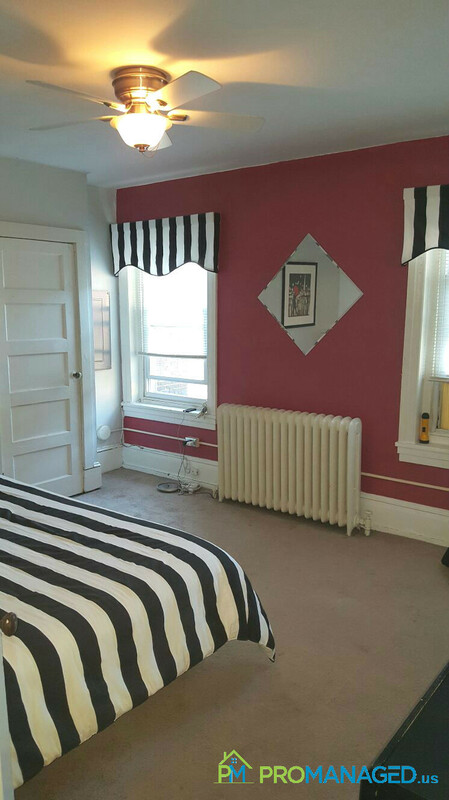 Check out this spacious 1 bedroom, 1 bathroom apartment in Historic Bristol Borough! 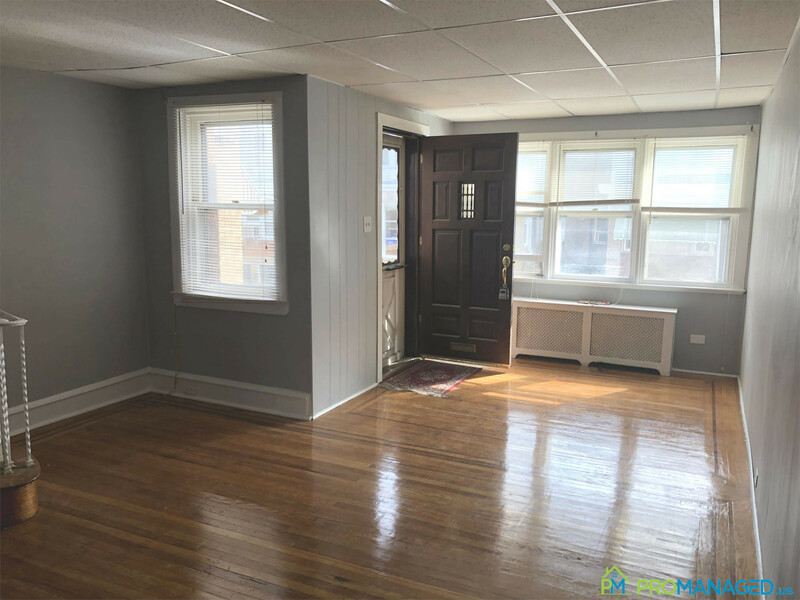 This apartment features wall to wall carpet, a large shared yard space, and is located across the street from the Delaware River and a short walk from great shopping and dining on Mill Street. No pets allowed. 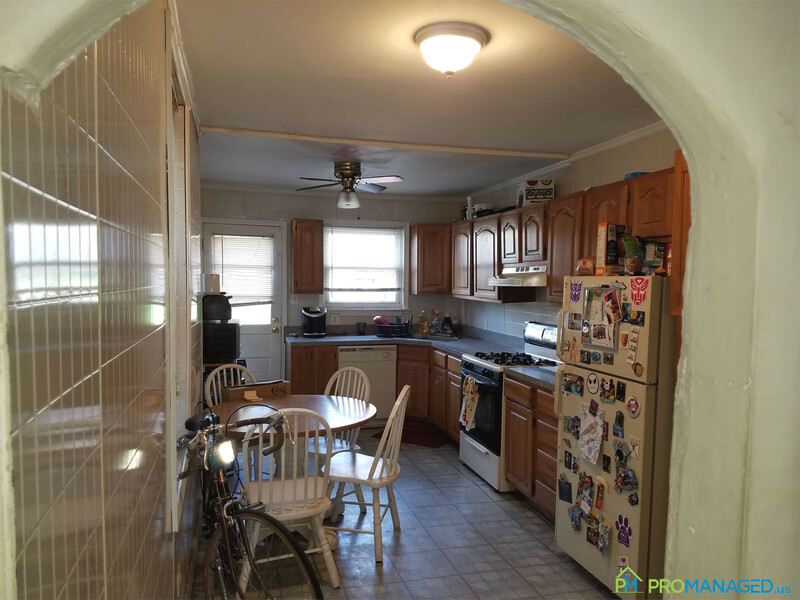 To schedule a showing for this property, click this link: http://tour.promanaged.us/schedule/?p=212 - Move in cost: first and last month's rent and security deposit. - Pet-friendly. $250 pet fee. Some dog breed restrictions. - 600 credit score required. Lower score may be accepted along with a co-signer. - No Section 8 - Utilities not included Questions? 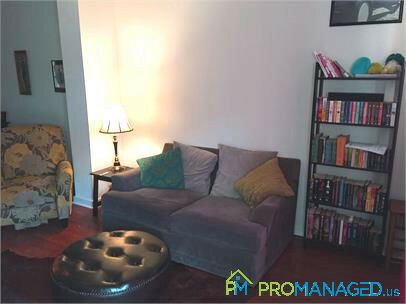 Call or text us at 856-222-1220 or email us at Promanagedinc@gmail.com Be sure to mention the address of the property! 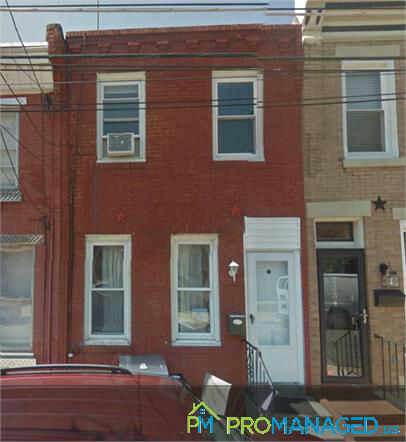 This single family home for rent is located in the Port Richmond neighborhood of Philadelphia. 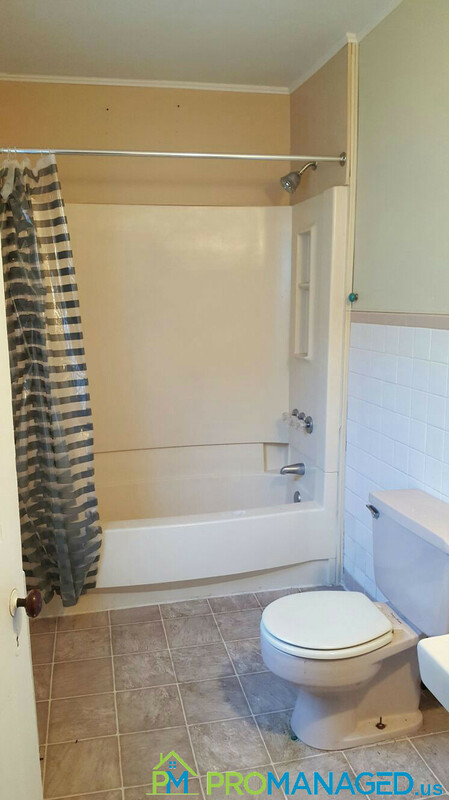 It features 2 bedrooms, 1 bathroom, and is approximately 825 square feet. 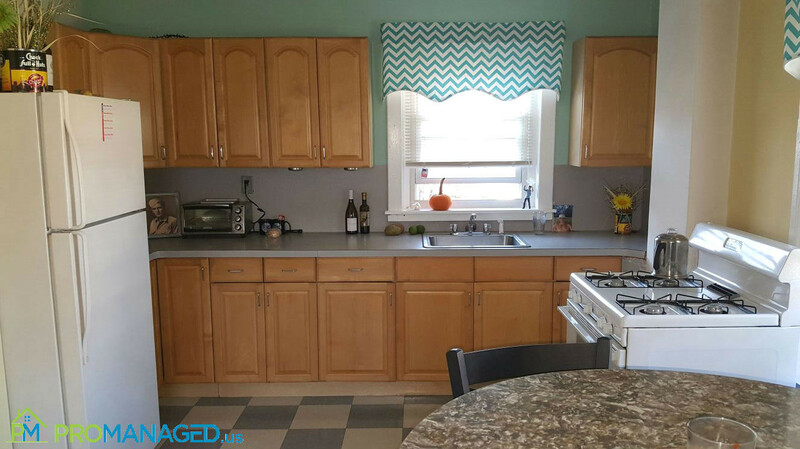 The home has been freshly painted and updated with newer kitchen appliances and other finishing touches. 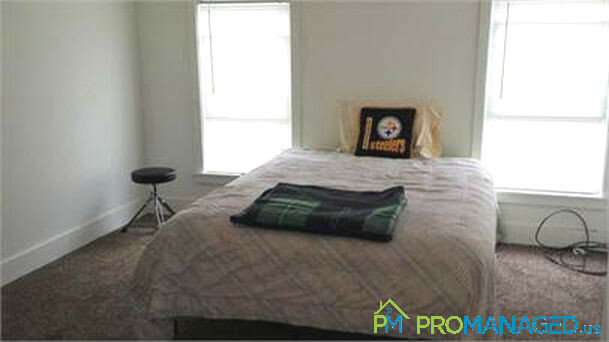 To schedule a showing, please follow this link: http://tour.promanaged.us/schedule/?p=24 - Move in cost: $3,225 for first and last month's rent and security deposit. - Pet-friendly. $250 pet fee. Some dog breed restrictions. - 600 credit score required. Lower score may be accepted along with a co-signer. - No Section 8 - Utilities not included Questions? 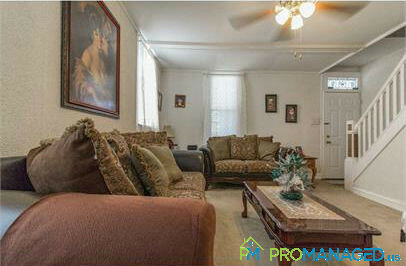 Call or text us at 856-222-1220 or email us at Promanagedinc@gmail.com Be sure to mention the address of the property! 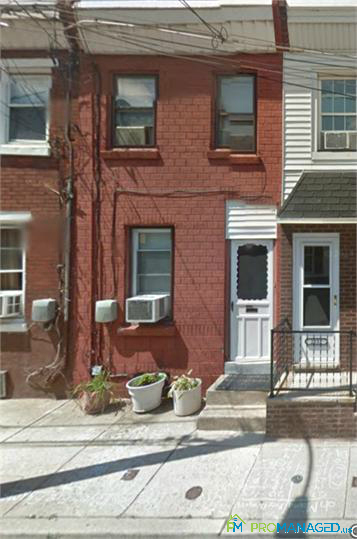 Come check out thie renovated home in the highly sought-after Fishtown neighborhood of Philadelphia. This propoerty is surrounded by new development and revitalization. 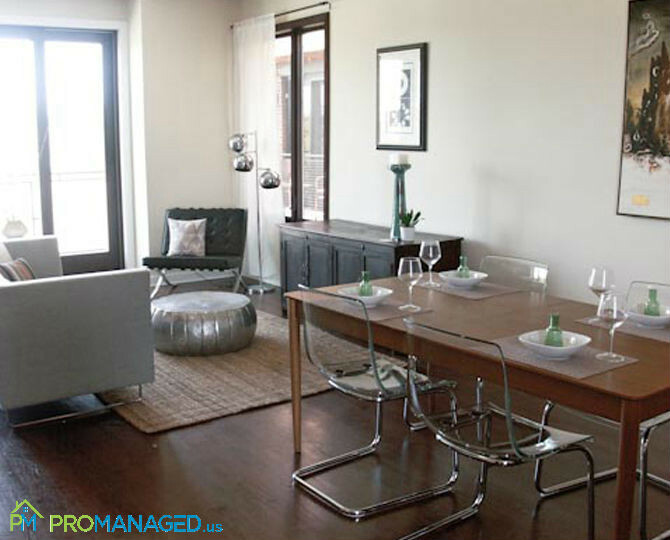 Entering you will find a bright and beautiful living area with new floors, newer windows and fresh paint throughout. 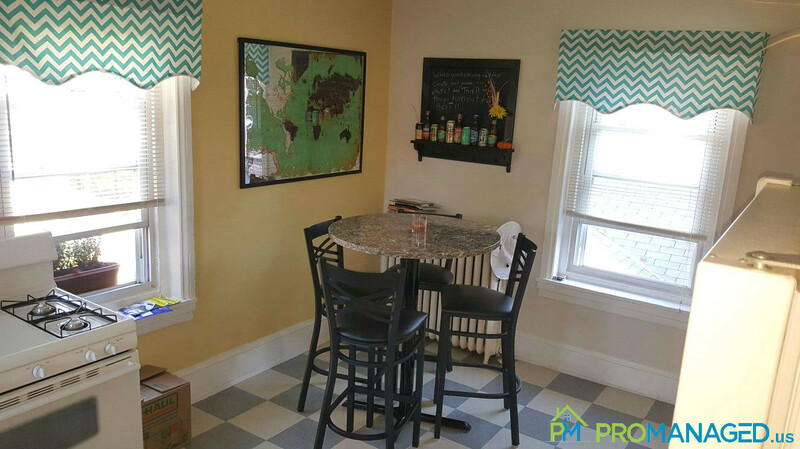 Make your way through the dining room and into the kitchen, which has been completely remodeled as well. Heading upstairs you'll find 2 bedrooms and a large full bathroom. The basement is full and unfinished, but it stays dry and is great for storage. 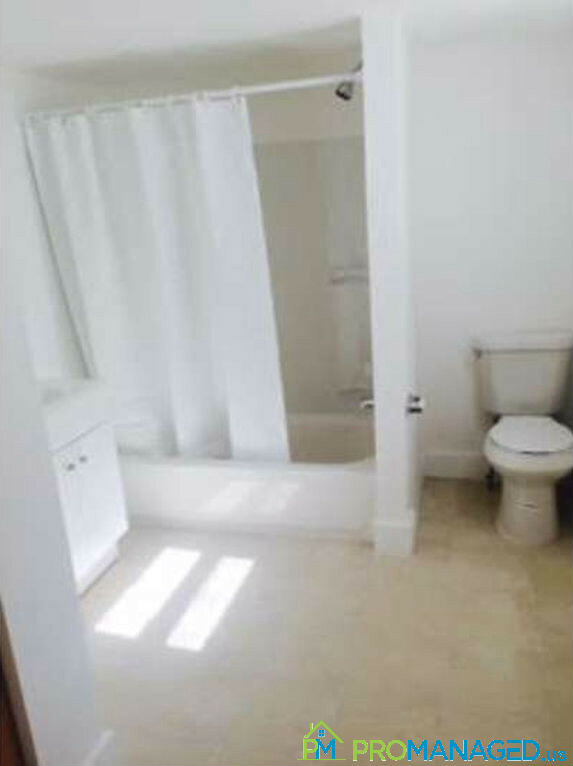 It also has a separate laundry area. The fenced in rear yard is accessible through the kitchen. GREAT for BBQing with friends and family. Schedule your showing today! 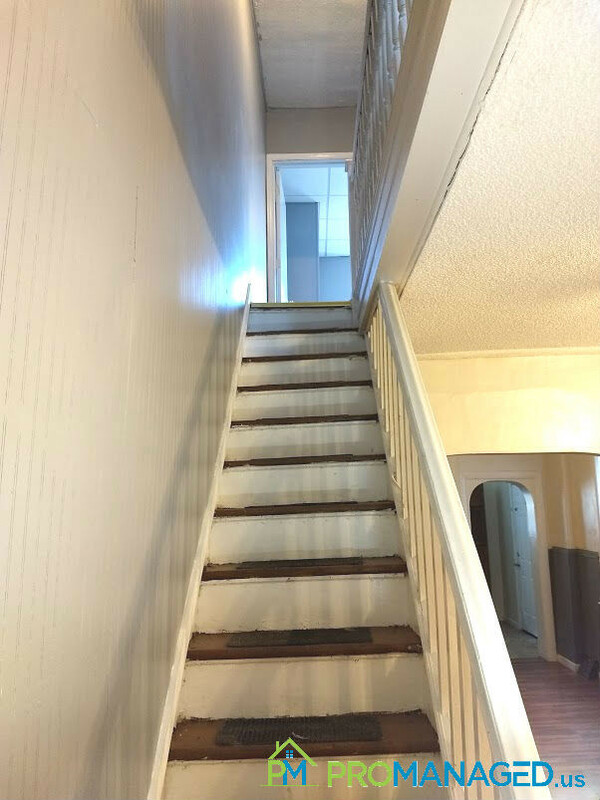 To schedule a showing for this property, click this link: http://tour.promanaged.us/schedule/?p=32 - Move in cost: $4,200 for first and last month's rent and security deposit. - Pet-friendly. $250 pet fee. Some dog breed restrictions. - 600 credit score required. Lower score may be accepted along with a co-signer. - No Section 8 - Utilities not included Questions? 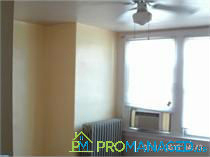 Call or text us at 856-222-1220 or email us at Promanagedinc@gmail.com Be sure to mention the address of the property! 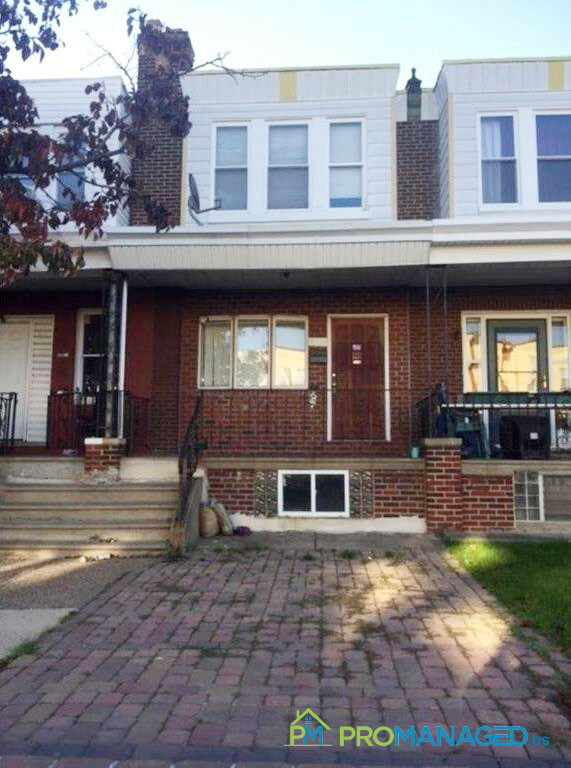 This well maintained 2 bedroom, 1 bathroom townhome in the Tacony section of Philadelphia can be your new home!. Just feet away from Disston City Park and minutes away from all the highways for easy commuting. 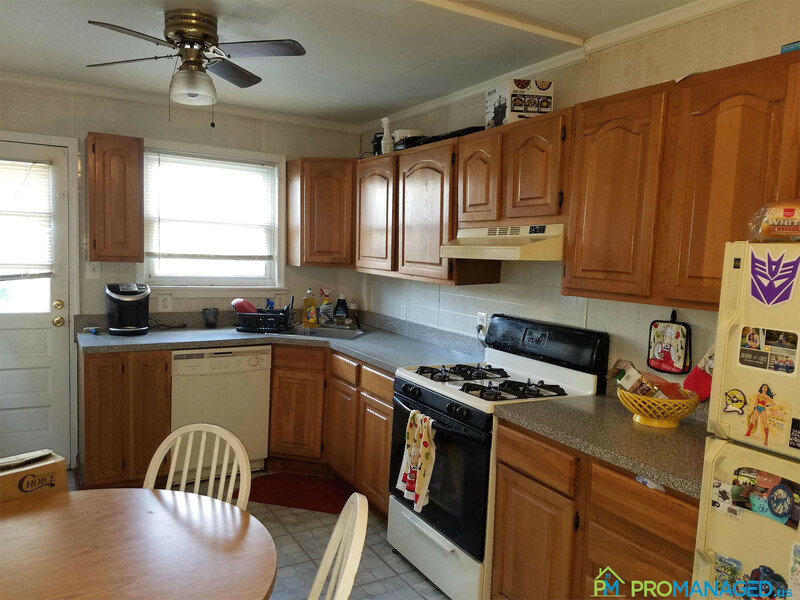 The home features a large eat-in kitchen with lots of cabinet space for storage. 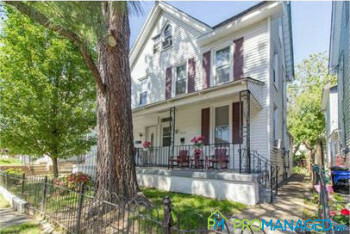 To schedule a showing for this property, click this link: http://tour.promanaged.us/schedule/?p=78 - Move in cost: $3,000 for first and last month's rent and security deposit. - Pet-friendly. $250 pet fee. Some dog breed restrictions. - 600 credit score required. Lower score may be accepted along with a co-signer. - No Section 8 - Utilities not included Questions? 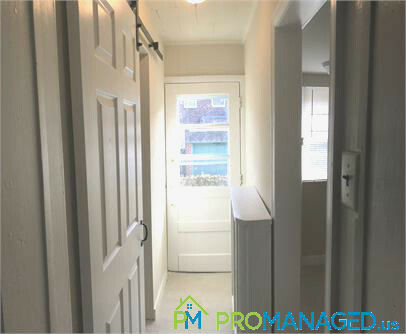 Call or text us at 856-222-1220 or email us at Promanagedinc@gmail.com Be sure to mention the address of the property! 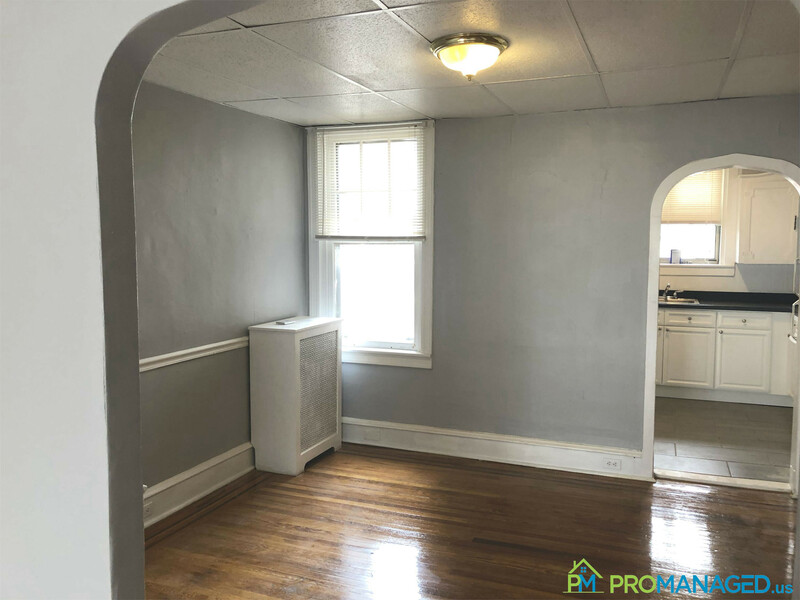 This spacious 3 bedroom, 1 bathroom home in the Tacony section of Philadelphia is undergoing renovations complete with a brand new kitchen with an All New Appliance Package, a new bathroom, fresh paint throughout the home, laminate hardwood look flooring, and a new washer and dryer. Be the first to call 4106 Stirling Street your home! Ready to make this your new home? Schedule a showing here: http://tour.promanaged.us/schedule/?p=101 - Move in cost: $3,600 for first and last month's rent and security deposit. - Pet-friendly. $250 pet fee. Some dog breed restrictions. - 600 credit score required. Lower score may be accepted along with a co-signer. - No Section 8 - Utilities not included Questions? Call or text us at 856-222-1220 or email us at Promanagedinc@gmail.com Be sure to mention the address of the property! 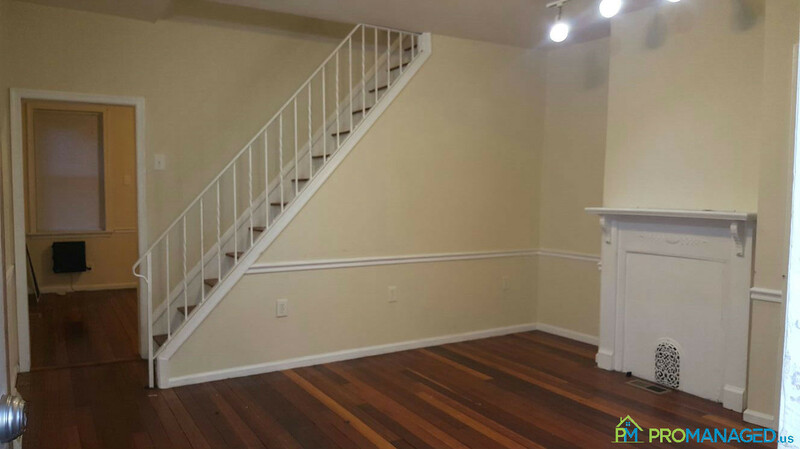 This quaint 2-story townhouse could be your new home! Come see this newly renovated property in the Tacony section of Philadelphia with it's inviting front porch and fenced in property. This home features 2 bedrooms, 1 bathroom, an eat-in kitchen, dining room, second-floor laundry, and a basement. 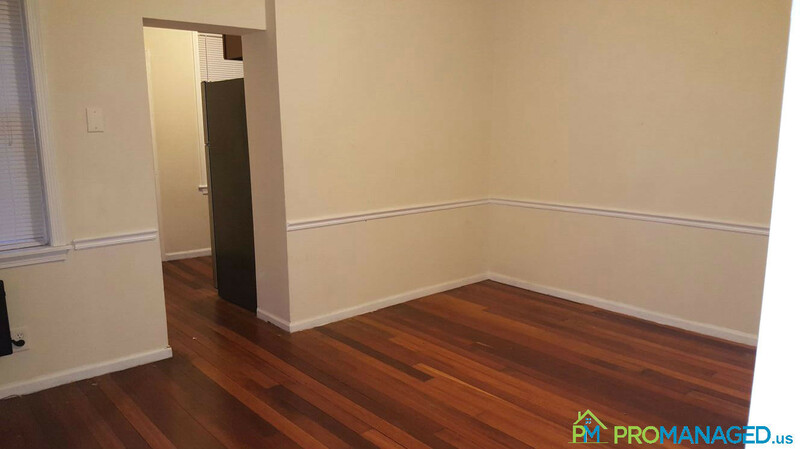 With gas heat and ample street parking, this property has all of the comforts you're looking for! Available now. Ready to make this your new home? Schedule a showing here: http://tour.promanaged.us/schedule/?p=118 - Move in cost: $3,000 for first and last month's rent and security deposit. - Pet-friendly. $250 pet fee. Some dog breed restrictions. - 600 credit score required. Lower score may be accepted along with a co-signer. - No Section 8 - Utilities not included Questions? 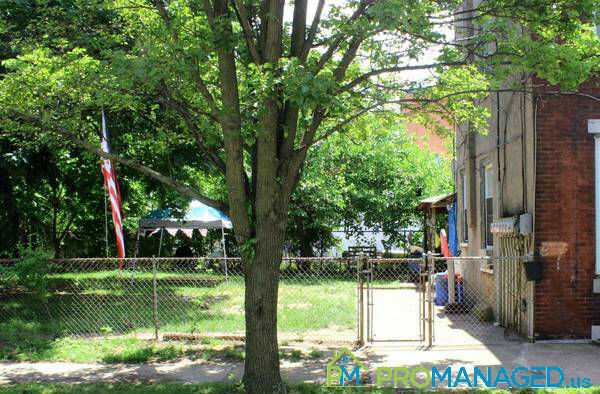 Call or text us at 856-222-1220 or email us at Promanagedinc@gmail.com Be sure to mention the address of the property! 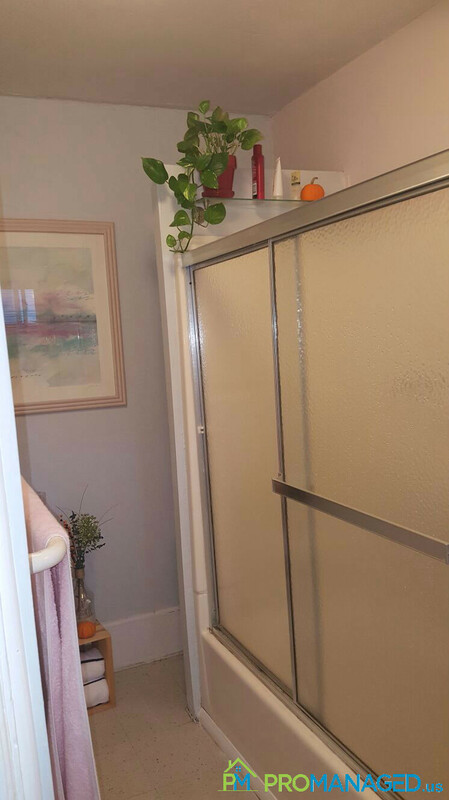 Come and see this nice 3 bedroom, 1 bathroom townhome in East Mayfair! 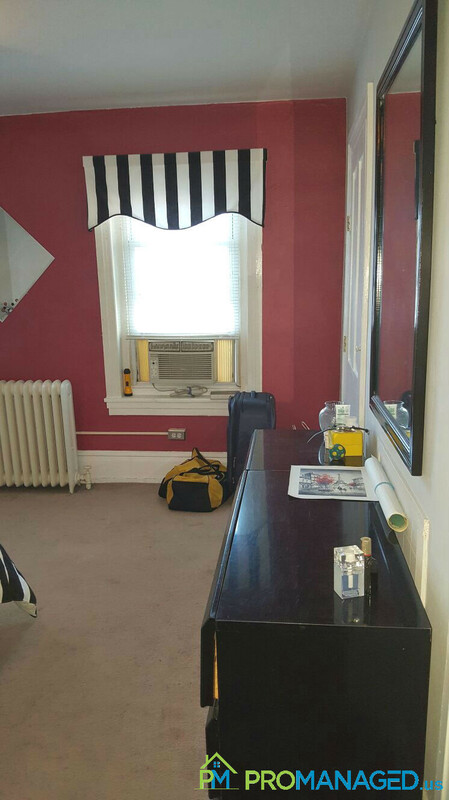 It's located on a quiet block within walking distance of public transportation, shopping, schools and more. It's also extremely convenient to all major roadways. 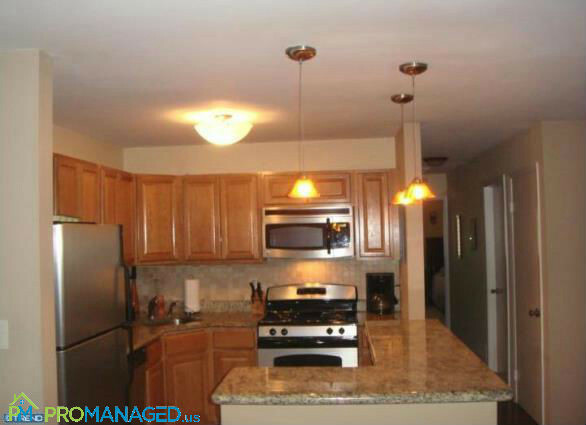 This home is newly renovated and includes an All New Kitchen Appliance Package. Ready to make this your new home? Schedule a showing here: http://tour.promanaged.us/schedule/?p=137 - Move in cost: $3,300 for first and last month's rent and security deposit. - Pet-friendly. $250 pet fee. Some dog breed restrictions. - 600 credit score required. Lower score may be accepted along with a co-signer. - No Section 8 - Utilities not included Questions? 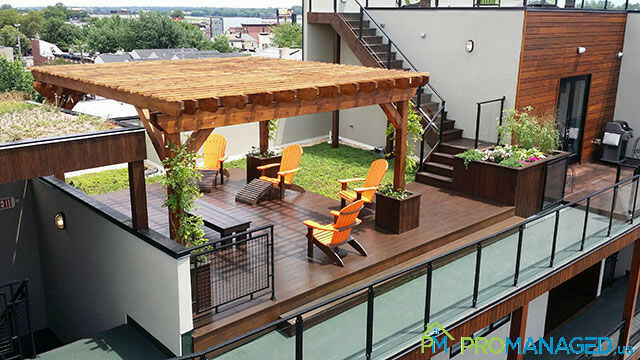 Call or text us at 856-222-1220 or email us at Promanagedinc@gmail.com Be sure to mention the address of the property! 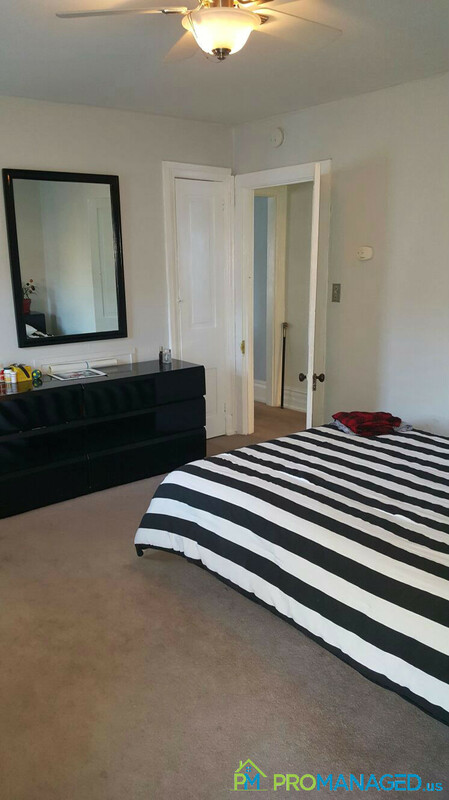 This spacious first floor apartment has 2 bedrooms, 1 bathroom. It also features a welcoming entryway and eat-in kitchen. 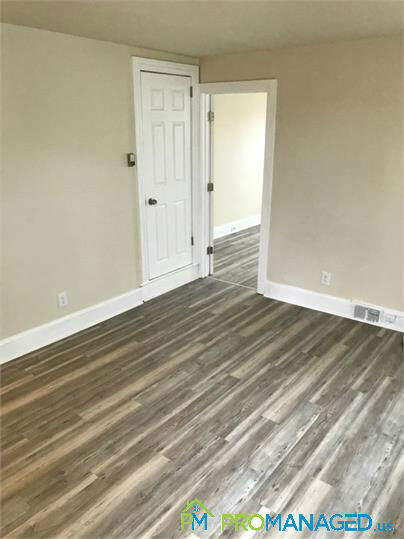 It is currently undergoing renovations and will feature brand new vinyl hardwood look plank flooring, fresh paint, and kitchen appliances. A coin operated laundry room is located on-site for your convenience. This property will be available September 1st. 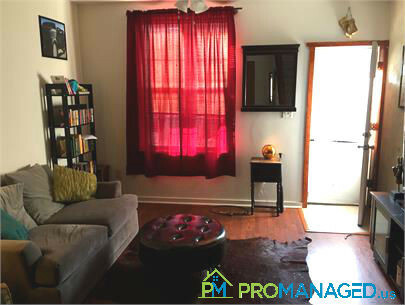 If you're ready to call 601 Morton Avenue home, you can schedule a showing here: http://tour.promanaged.us/schedule/?p=154 - Move in cost: $3,300 for first and last month's rent and security deposit. - Pet-friendly. $250 pet fee. Some dog breed restrictions. - 600 credit score required. Lower score may be accepted along with a co-signer. - No Section 8 - Utilities not included Questions? 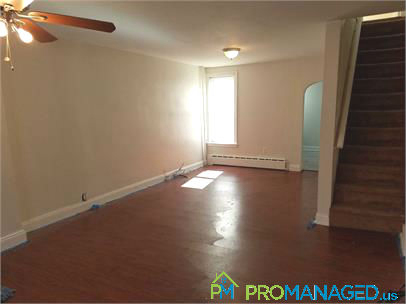 Call or text us at 856-222-1220 or email us at Promanagedinc@gmail.com Be sure to mention the address of the property! 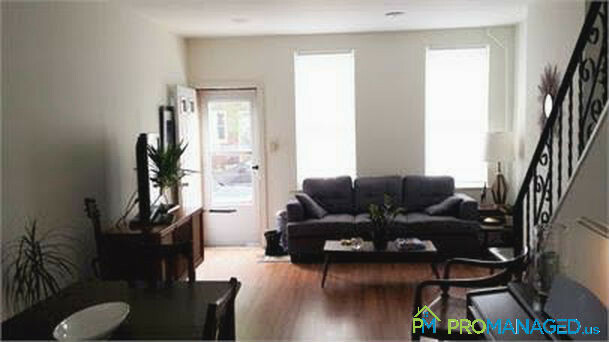 This property features 3 bedrooms, 1 bathroom, and 950 sq ft of living space. 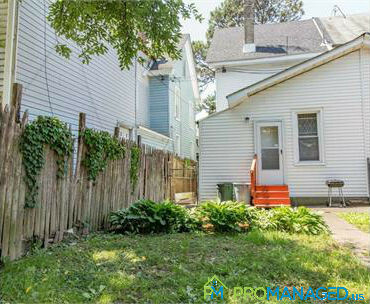 This home also has a rear yard, basement, and laundry. 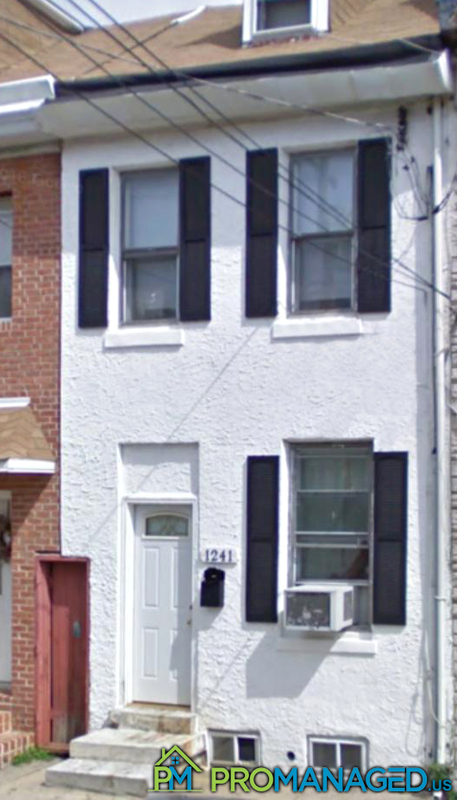 320 Cantrell St is in the Queen Village/ Pennsport neighborhood in Philadelphia, PA. 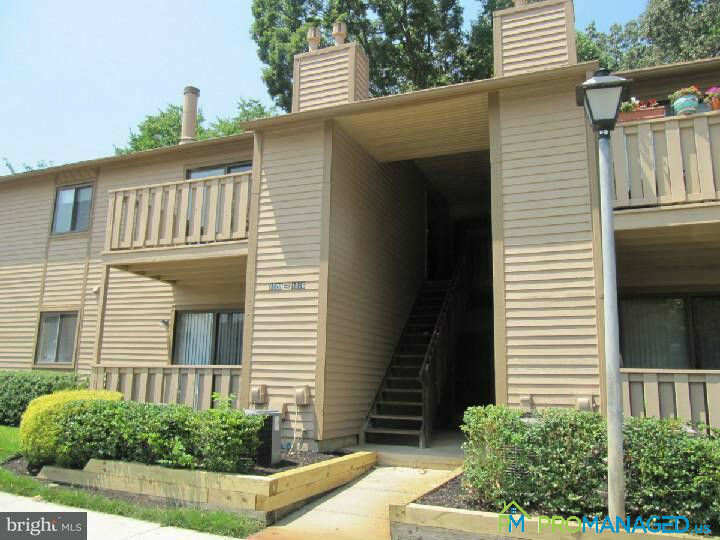 Follow this link to schedule a showing: http://tour.promanaged.us/schedule/?p=22 - Move in cost: $3,600 for first and last month's rent and security deposit. - Pet-friendly. $250 pet fee. Some dog breed restrictions. - 600 credit score required. Lower score may be accepted along with a co-signer. - No Section 8 - Utilities not include Questions? 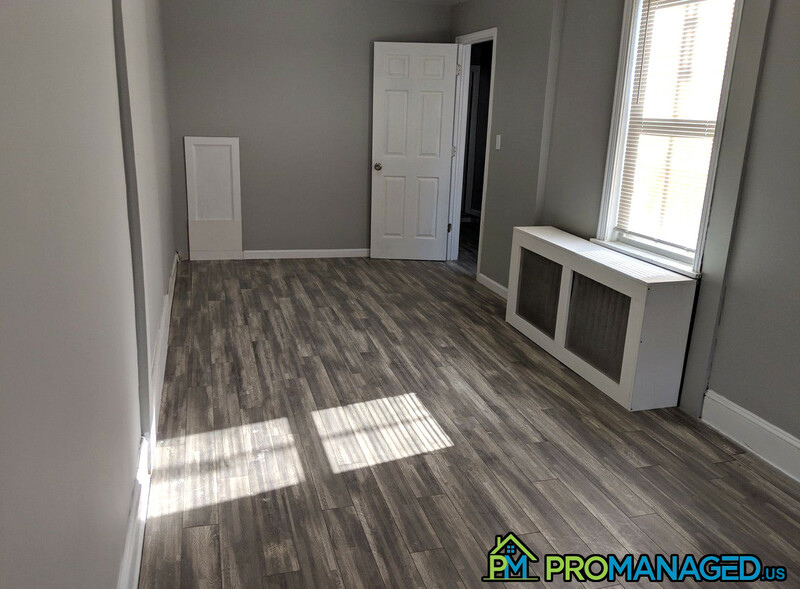 Call or text us at 856-222-1220 or email us at Promanagedinc@gmail.com Be sure to mention the address of the property! 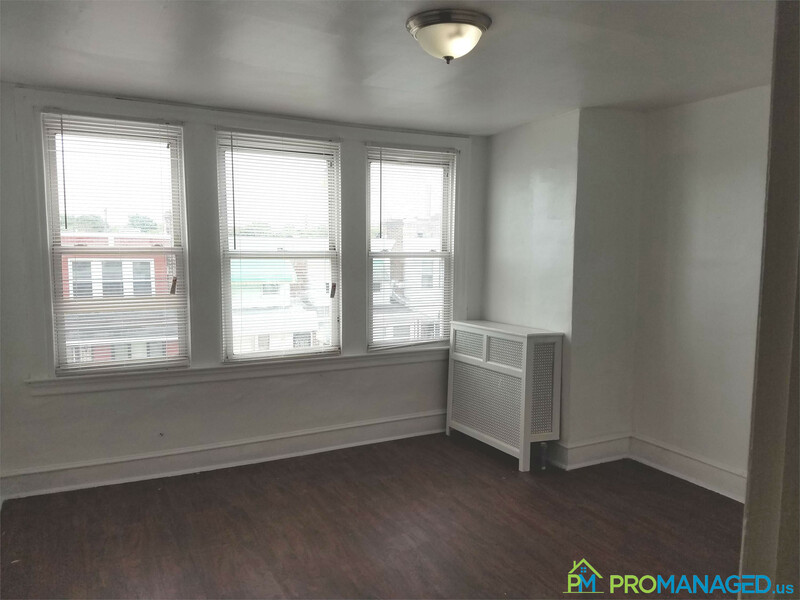 This 3 bedroom, 1 bathroom single-family home for rent is located in Philadelphia's Fishtown neighborhood and features an All-New Appliance Package. 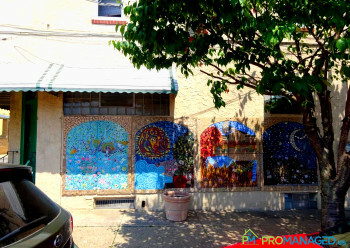 Fishtown is Philadelphia's hottest up and coming neighborhood and features a vibrant nightlife full of hip bistros, beer gardens and a variety of entertainment options. Rental homes in this area are extremely popular, so don't hesitate to schedule a showing for this property today. It won't last long! Ready to make this your new home? 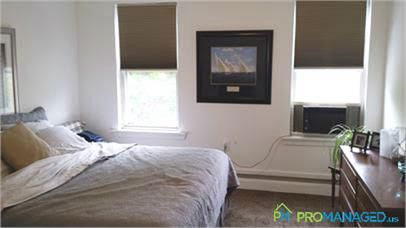 Schedule a showing here: http://tour.promanaged.us/schedule/?p=33 - Move in cost: first and last month's rent and security deposit. - Pet-friendly. $250 pet fee. Some dog breed restrictions. - 600 credit score required. Lower score may be accepted along with a co-signer. - No Section 8 - Utilities not include Questions? 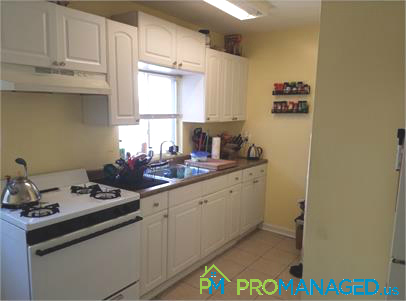 Call or text us at 856-222-1220 or email us at Promanagedinc@gmail.com Be sure to mention the address of the property! Get ready to call this Port Richmond gem your new home! 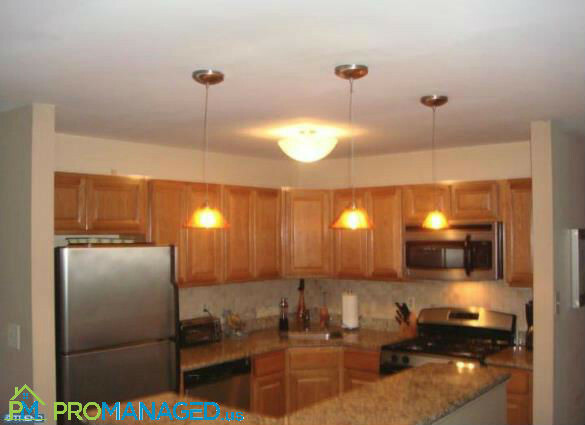 This rental property features 3 bedrooms and 1 bathroom and is a spacious 1,400 square feet. 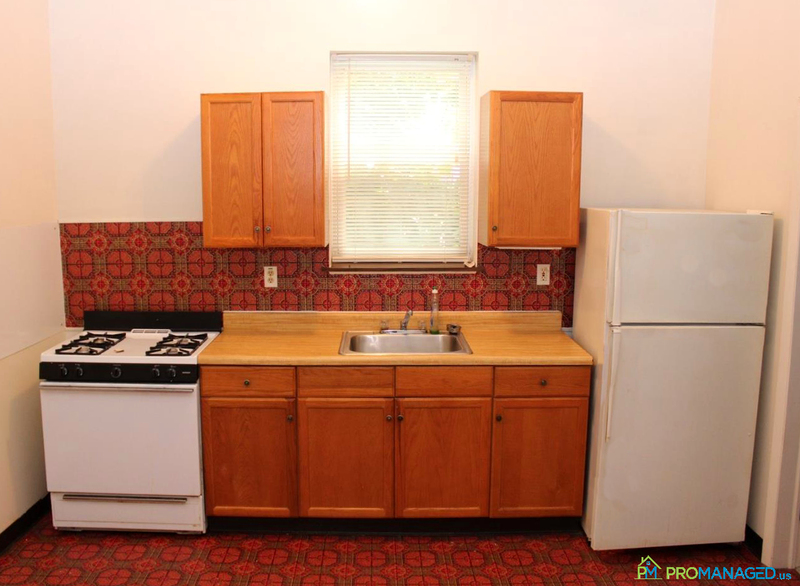 The home also includes newer kitchen appliances, a washer/dryer, and a fenced in backyard. If you're interested in making this pet-friendly property your new home, schedule a showing today! To schedule a showing for this property, click this link: http://tour.promanaged.us/schedule/?p=38 - Move in cost: first and last month's rent and security deposit. - Pet-friendly. $250 pet fee. Some dog breed restrictions. - 600 credit score required. Lower score may be accepted along with a co-signer. - No Section 8 - Utilities not included Questions? Call or text us at 856-222-1220 or email us at Promanagedinc@gmail.com Be sure to mention the address of the property! Welcome to 2645 Hobson! 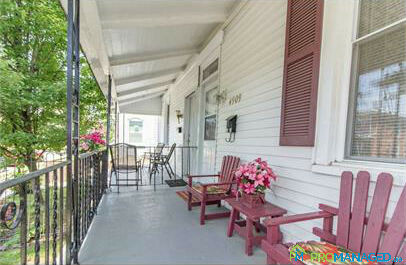 This well-maintained home features a covered front porch and covered rear deck as additional living and entertaining space. 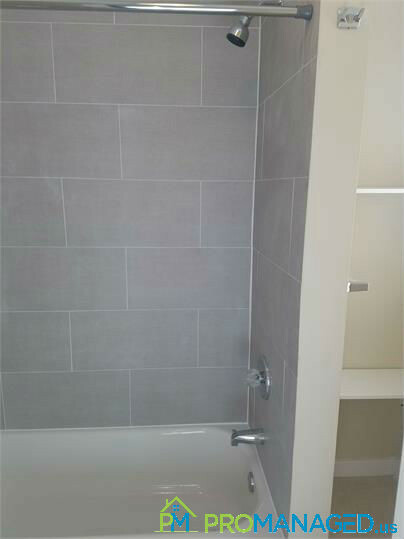 The second floor features 3 large bedrooms and a bathroom in the hall bath. 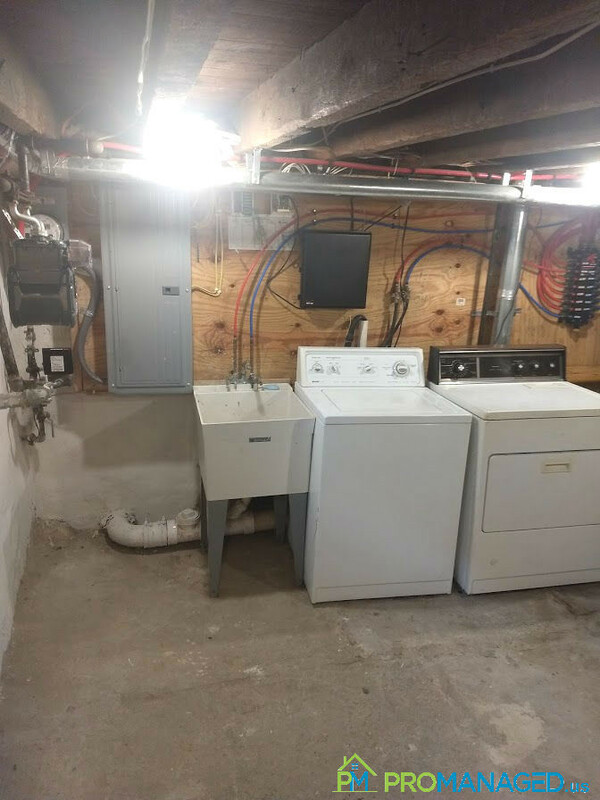 The unfinished basement offers additional space for storage ad laundry. Ready to make this your new home? 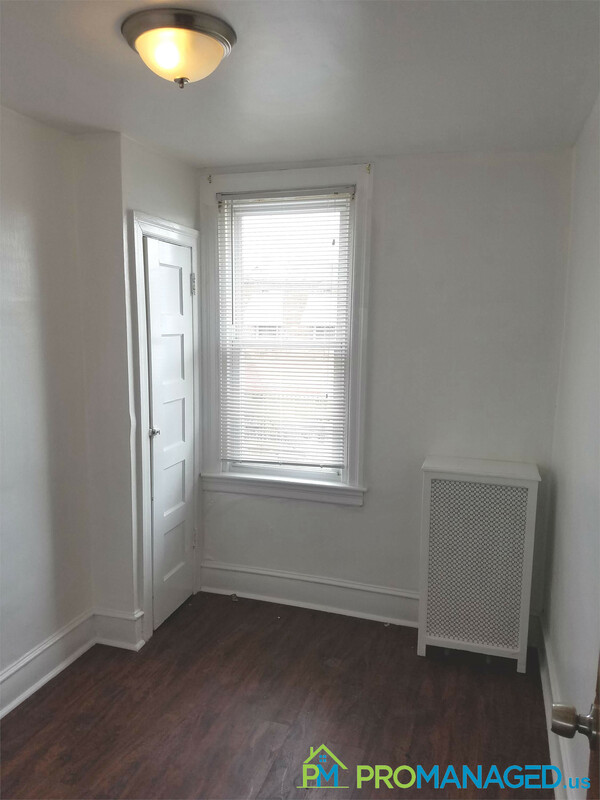 Schedule a showing here: http://tour.promanaged.us/schedule/?p=76 - Move in cost: $3,000 for first and last month's rent and security deposit. - Pet-friendly. $250 pet fee. Some dog breed restrictions. - 600 credit score required. Lower score may be accepted along with a co-signer. - No Section 8 - Utilities not included Questions? 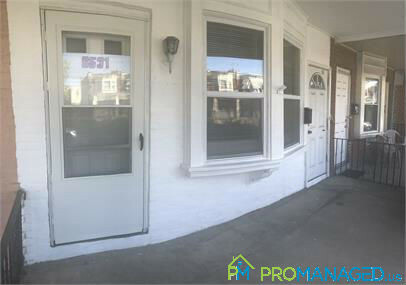 Call or text us at 856-222-1220 or email us at Promanagedinc@gmail.com Be sure to mention the address of the property! 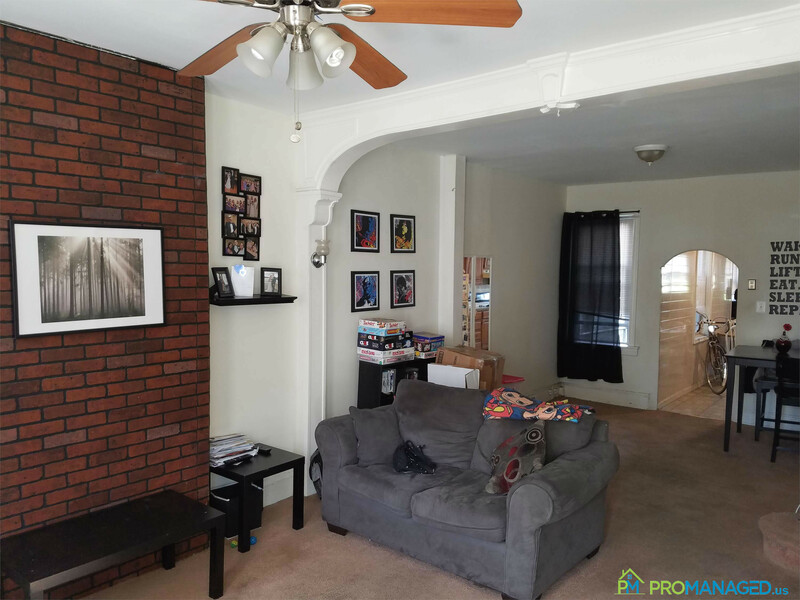 This three bedroom, 1 bathroom Tacony townhome features a living room, dining room, kitchen, a basement for storage, and a spacious back yard. 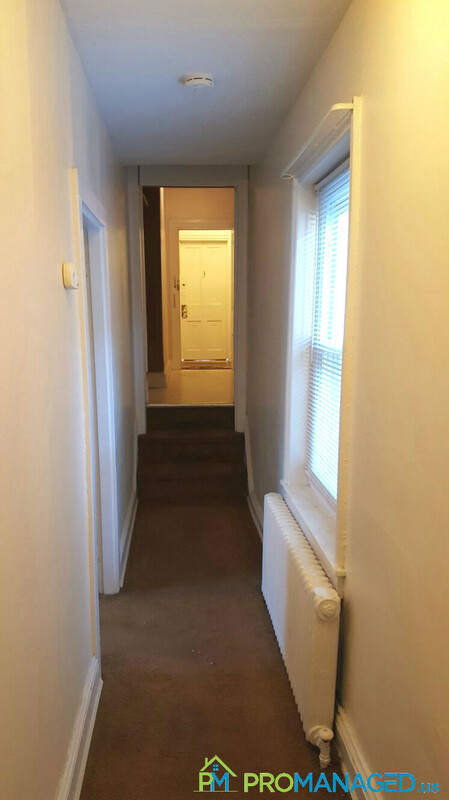 There is also carpeted floors throughout, a washer and dryer and kitchen appliances included. 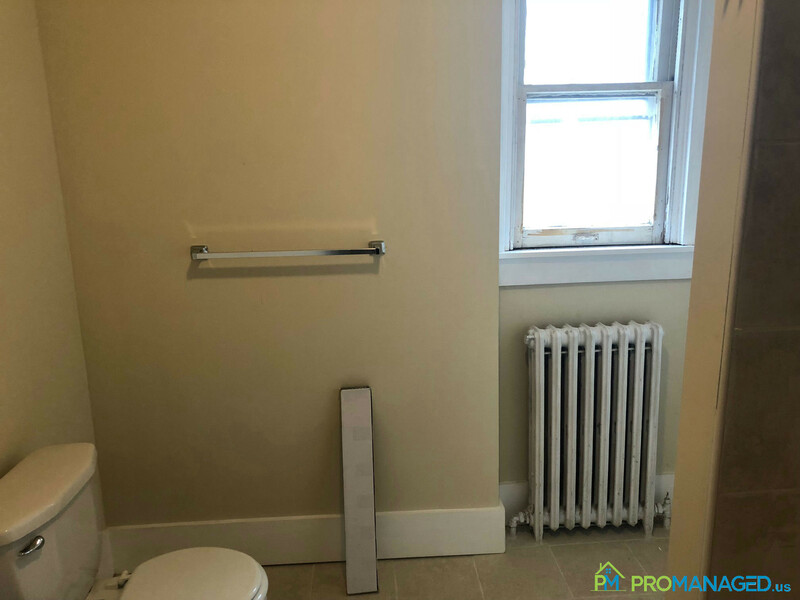 To schedule a showing for this property, click this link: http://tour.promanaged.us/schedule/?p=88 - Move in cost: first and last month's rent and security deposit. - Pet-friendly. $250 pet fee. Some dog breed restrictions. - 600 credit score required. Lower score may be accepted along with a co-signer. - No Section 8 - Utilities not included Questions? 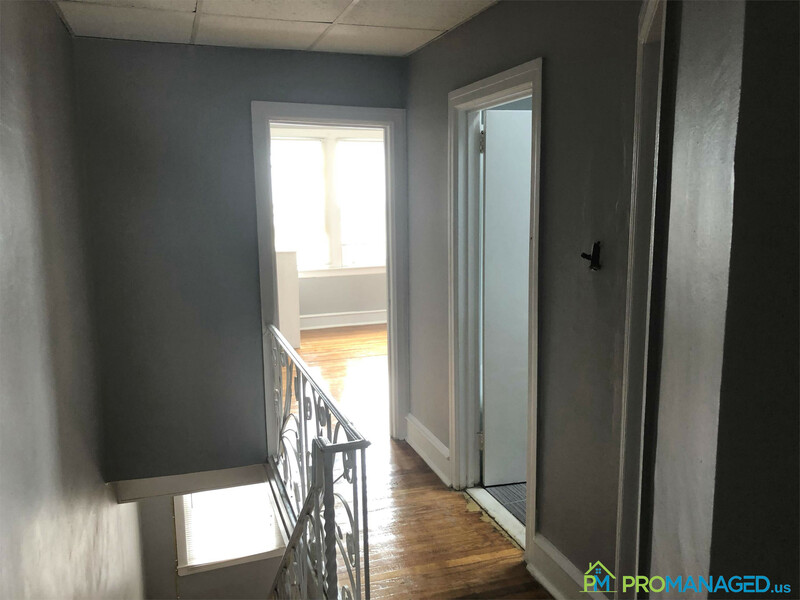 Call or text us at 856-222-1220 or email us at Promanagedinc@gmail.com Be sure to mention the address of the property! 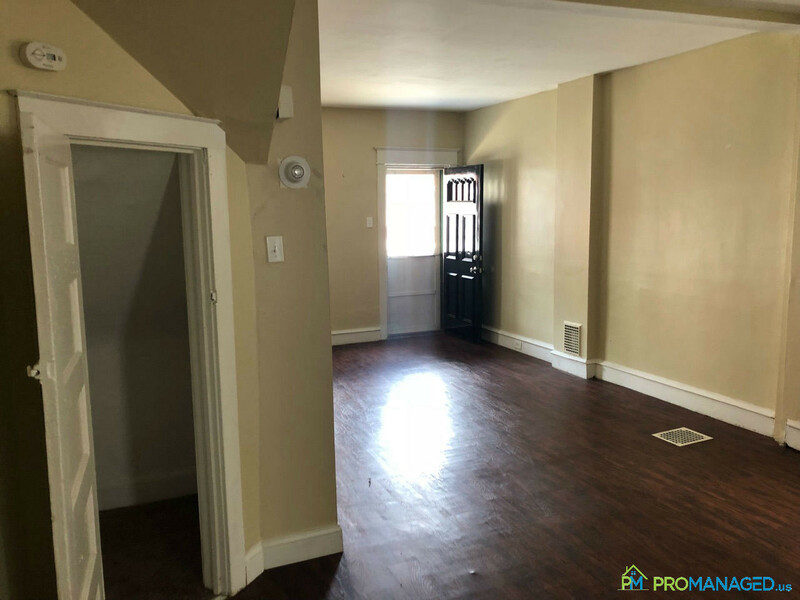 This 2 bedroom, 1 bathroom first-floor apartment is located in the Tacony neighborhood of Northeast Philadelphia very close to Frankford, Torresdale, and Cottman Avenues. Public transportation is available within walking distance and it's only 2 minutes from I-95. It's been completely renovated with all new flooring, fresh paint, a new kitchen with brand new stainless steel appliances and a beautiful new bathroom. AVAILABLE MAY 1st! Ready to make this your new home? 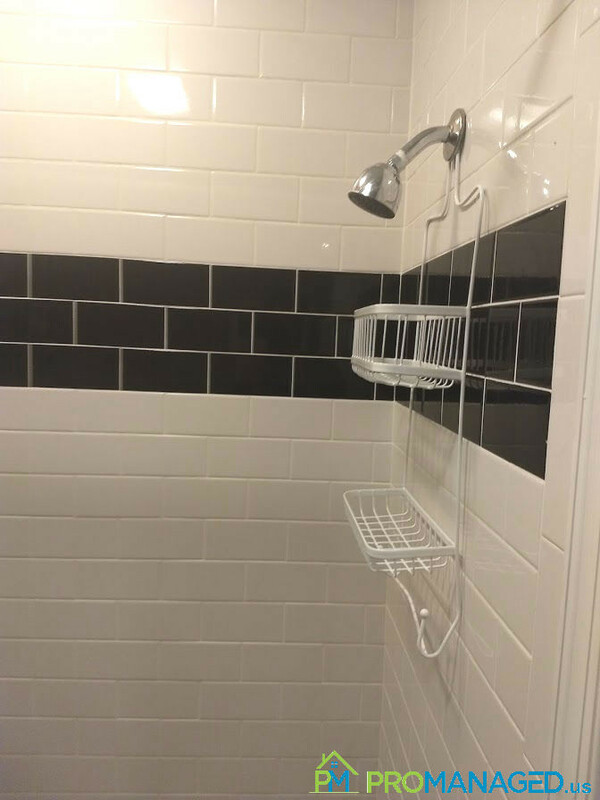 Schedule a showing here: http://tour.promanaged.us/schedule/?p=108 - Move in cost: $2,700 for first and last month's rent and security deposit. - Pet-friendly. $250 pet fee. Some dog breed restrictions. - 600 credit score required. Lower score may be accepted along with a co-signer. - No Section 8 - Utilities not included Questions? 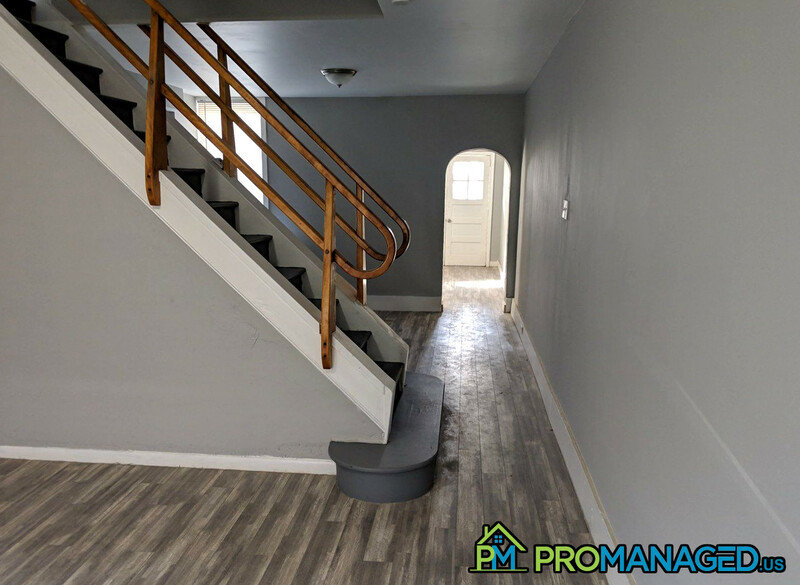 Call or text us at 856-222-1220 or email us at Promanagedinc@gmail.com Be sure to mention the address of the property! Welcome to 601 Morton Avenue! 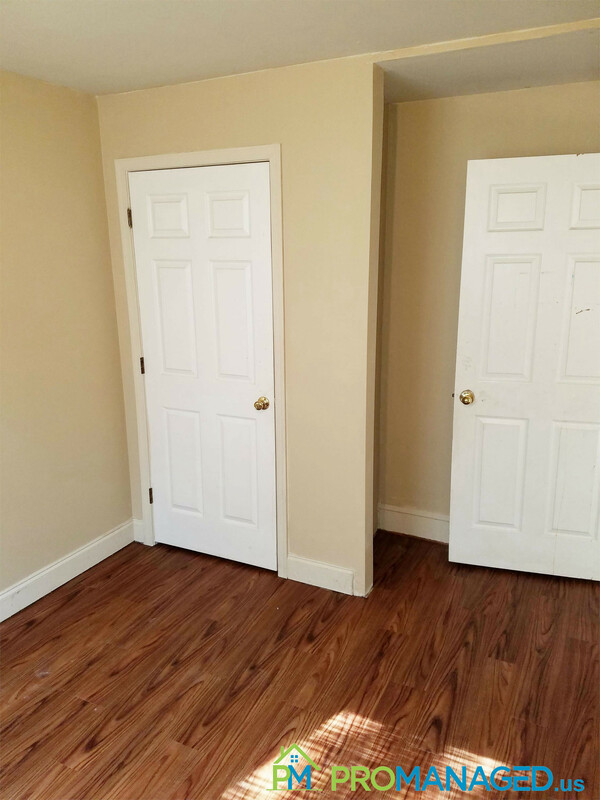 This 2nd floor apartment has 2 bedrooms and 1 bathroom. It is currently undergoing renovations and will feature brand new faux-hardwood plank flooring, fresh paint, and kitchen appliances. 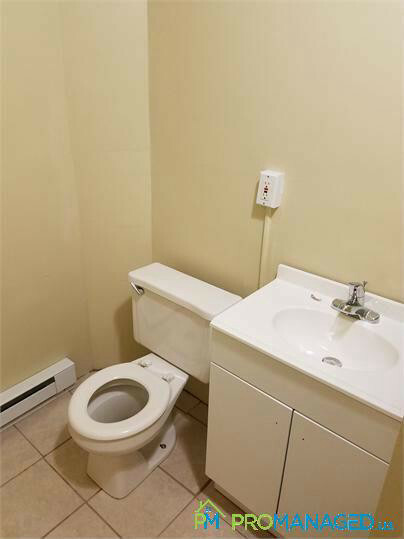 A coin operated laundry room is located on-site for your convenience. This property will be available now. Ready to make this your new home? 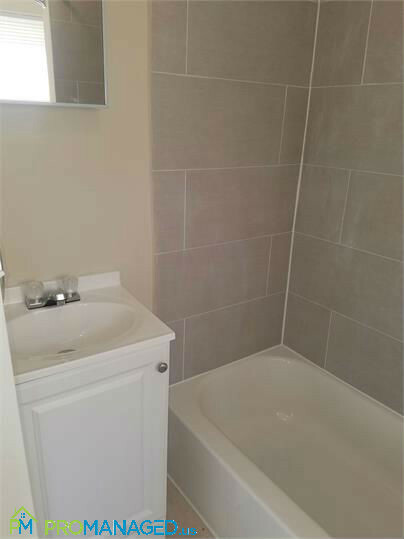 Schedule a showing here: http://tour.promanaged.us/schedule/?p=143 - Move in cost: $2,985 for first and last month's rent and security deposit. - Pet-friendly. $250 pet fee. Some dog breed restrictions. - 600 credit score required. Lower score may be accepted along with a co-signer. - No Section 8 - Utilities not included Questions? 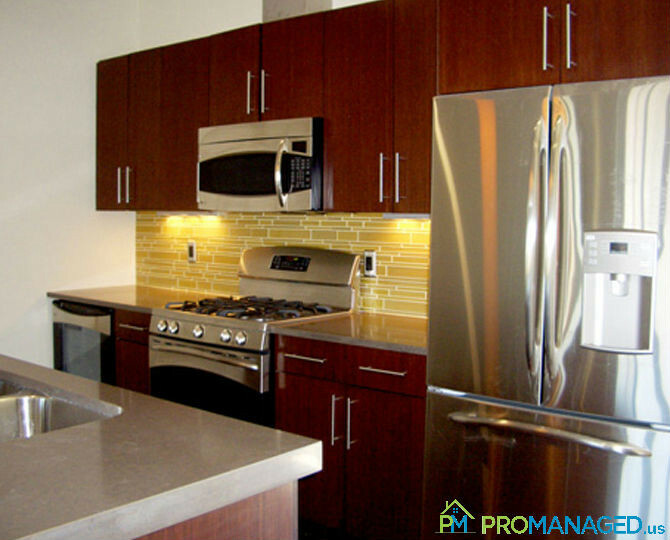 Call or text us at 856-222-1220 or email us at Promanagedinc@gmail.com Be sure to mention the address of the property! 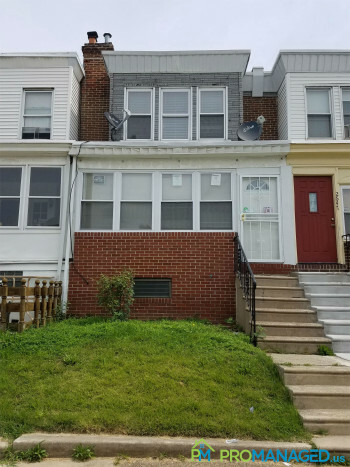 This Tacony townhome features 3 bedrooms, 1 bathroom, living room, dining room, a kitchen with an appliance package and a full basement with a washer and dryer. This is the perfect home for you and your family. To schedule a showing for this property, click this link: http://tour.promanaged.us/schedule/?p=172 - Move in cost: first and last month's rent and security deposit. - Pet-friendly. $250 pet fee. Some dog breed restrictions. - 600 credit score required. Lower score may be accepted along with a co-signer. - No Section 8 - Utilities not included Questions? 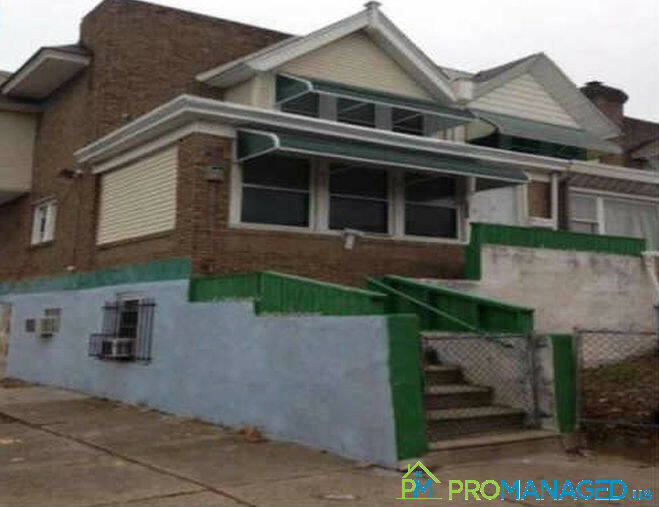 Call or text us at 856-222-1220 or email us at Promanagedinc@gmail.com Be sure to mention the address of the property! 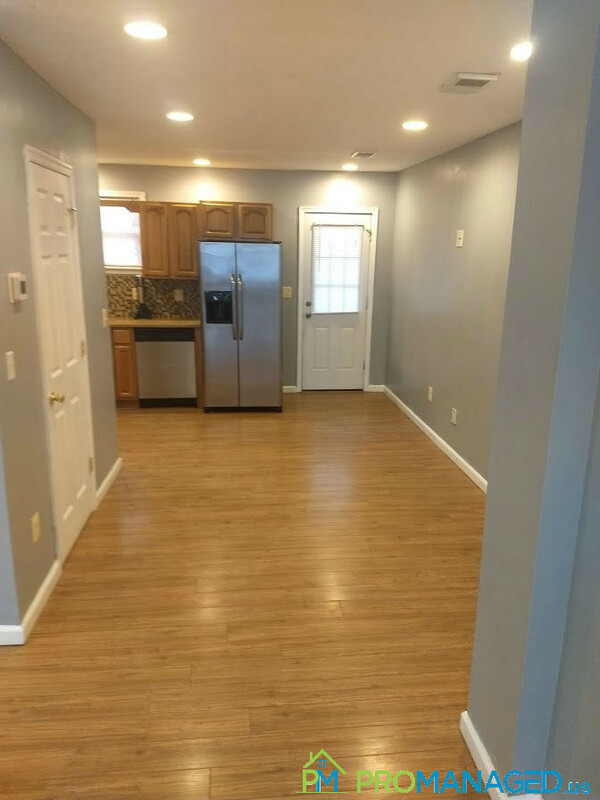 Come take a look at this newly renovated home for rent! 2548 S Dewey Street is in the Eastwick-Southwest Philadelphia neighborhood This home has 3 beds, 1 bath, and approximately 960 square feet. Brand new floors, freshly repainted with some newer additions. To schedule a showing for this property, click this link: http://tour.promanaged.us/schedule/?p=36 - Move in cost: $3,300 for first and last month's rent and security deposit. - Pet-friendly. $250 pet fee. Some dog breed restrictions. - 600 credit score required. Lower score may be accepted along with a co-signer. - No Section 8 - Utilities not included Questions? 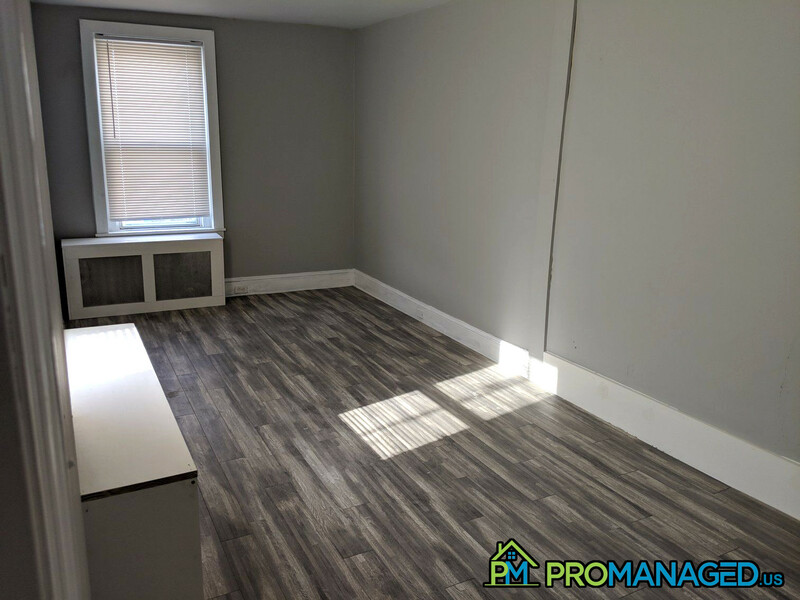 Call or text us at 856-222-1220 or email us at Promanagedinc@gmail.com Be sure to mention the address of the property! Welcome to 601 Morton Avenue! 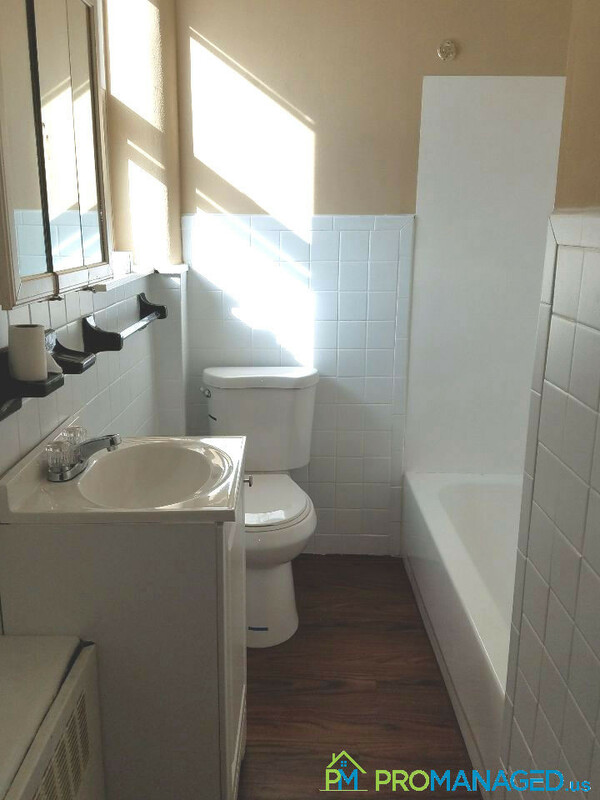 This third-floor apartment has 1 bedroom and 1 bathroom. It is currently undergoing renovations and will feature brand new faux-hardwood plank flooring, fresh paint, and kitchen appliances. A coin-operated laundry room is located on-site for your convenience. This apartment will be available October 1st. 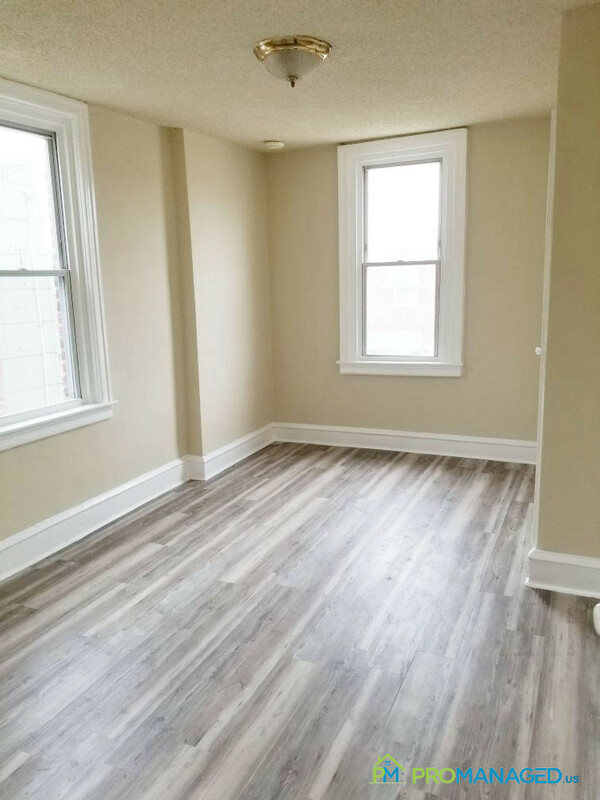 If you're ready to call 601 Morton Avenue home, you can schedule a showing here: http://tour.promanaged.us/schedule/?p=146 - Move in cost: $2,775 for first and last month's rent and security deposit. - Pet-friendly. $250 pet fee. Some dog breed restrictions. - 600 credit score required. Lower score may be accepted along with a co-signer. - No Section 8 - Utilities not included Questions? 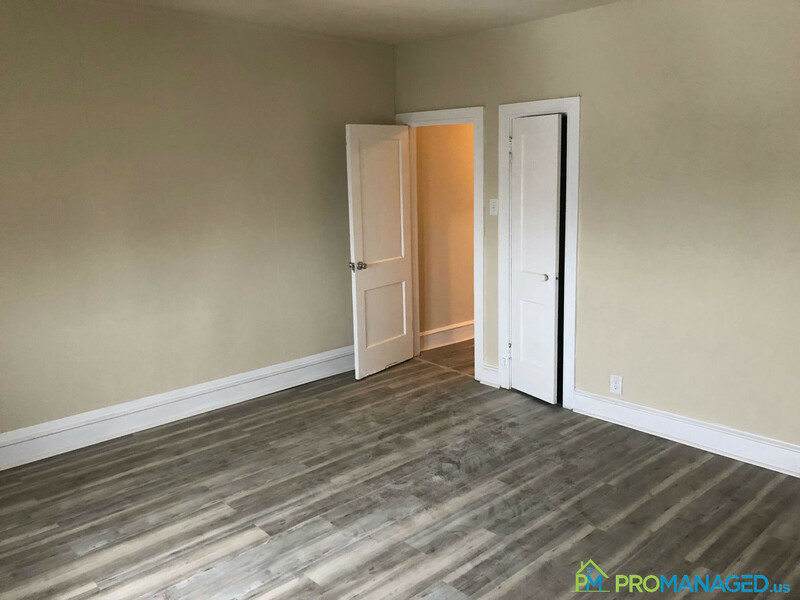 Call or text us at 856-222-1220 or email us at Promanagedinc@gmail.com Be sure to mention the address of the property! 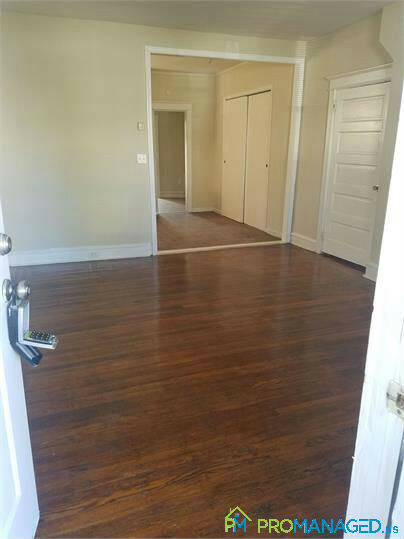 Check out this spacious 1 bedroom, 1 bathroom apartment in Historic Bristol Borough! 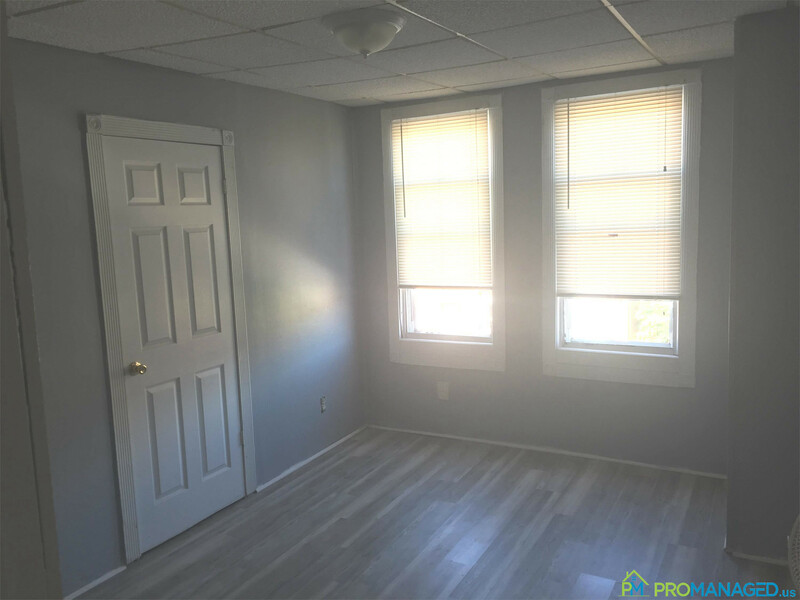 This apartment features wall to wall carpet, a large shared yard space, and is located across the street from the Delaware River and a short walk from great shopping and dining on Mill Street. No pets allowed. 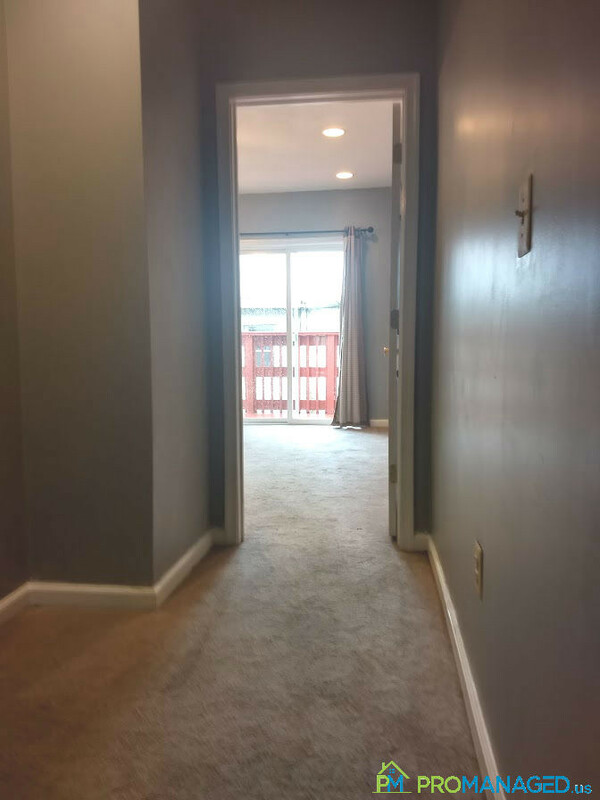 To schedule a showing for this property, click this link: http://tour.promanaged.us/schedule/?p=209 - Move in cost: first and last month's rent and security deposit. - Pet-friendly. $250 pet fee. Some dog breed restrictions. - 600 credit score required. Lower score may be accepted along with a co-signer. - No Section 8 - Utilities not included Questions? 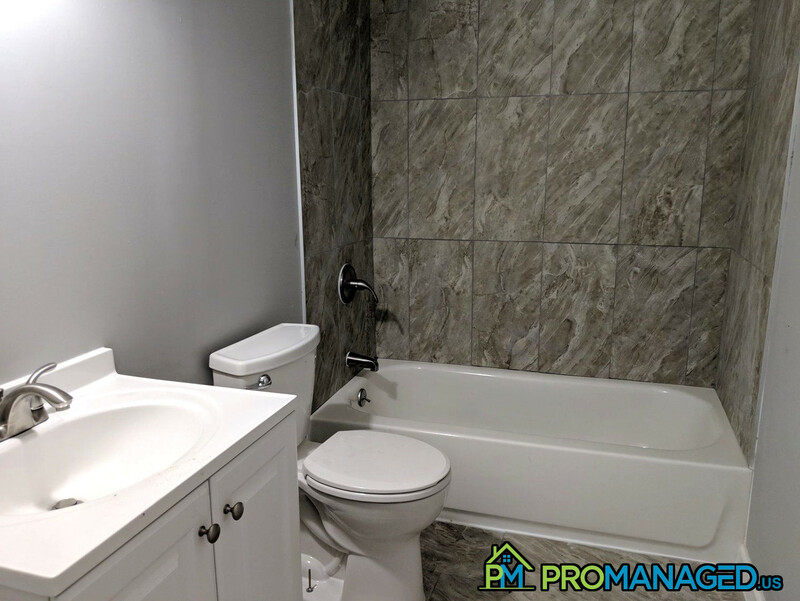 Call or text us at 856-222-1220 or email us at Promanagedinc@gmail.com Be sure to mention the address of the property! 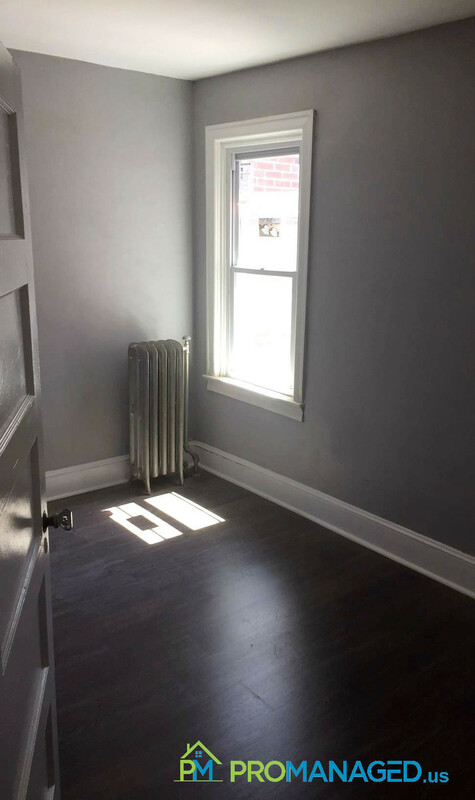 This single-family home for rent is located in Philadelphia's Fishtown neighborhood and features 2 bedrooms, 1 bathroom, and All-New Appliance Package with gas cooking and heating. 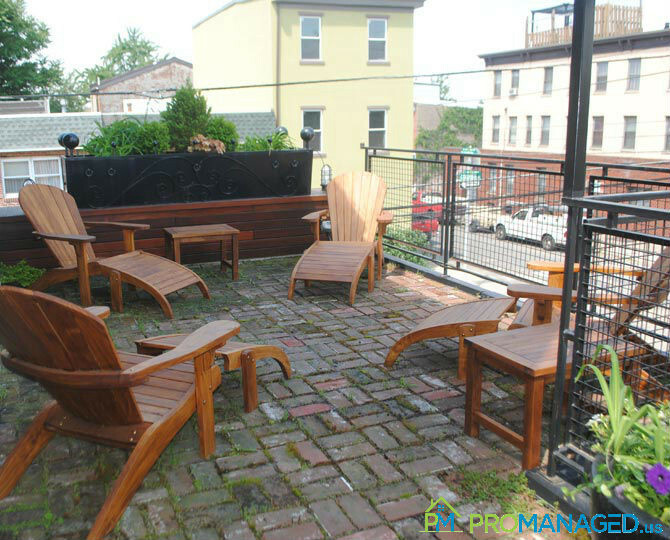 Fishtown is Philadelphia's hottest up and coming neighborhood and features a vibrant nightlife full of hip bistros, beer gardens and a variety of entertainment options. Rental homes in this area are extremely popular, so don't hesitate to schedule a showing for this property today. It won't last long! Available December 1st. To schedule a showing for this property, click this link: http://tour.promanaged.us/schedule/?p=28 - Move in cost: $3,600 for first and last month's rent and security deposit. - Pet-friendly. $250 pet fee. Some dog breed restrictions. - 600 credit score required. Lower score may be accepted along with a co-signer. - No Section 8 - Utilities not included Questions? 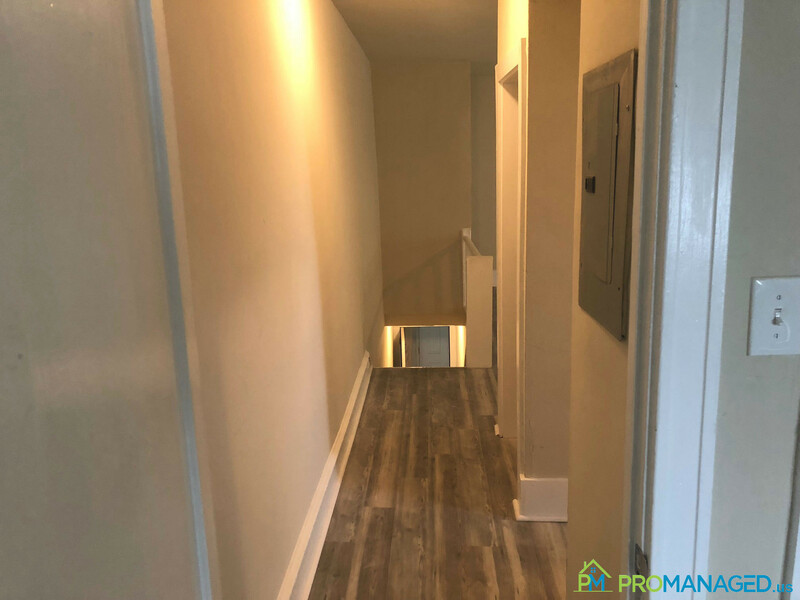 Call or text us at 856-222-1220 or email us at Promanagedinc@gmail.com Be sure to mention the address of the property! 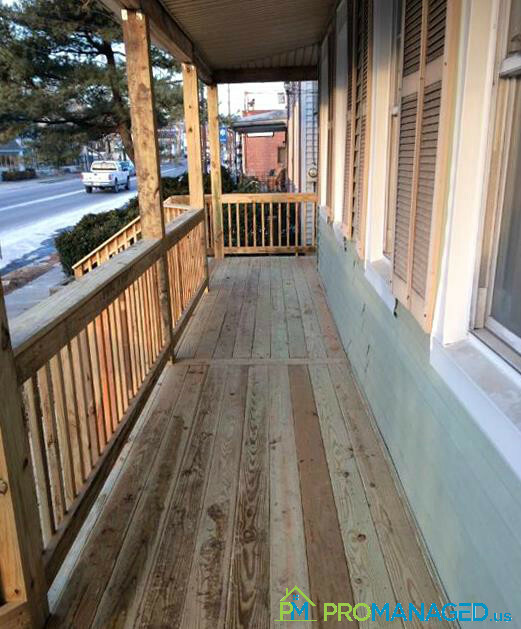 Check out this spacious 1 bedroom, 2nd-floor apartment in Historic Bristol Borough! 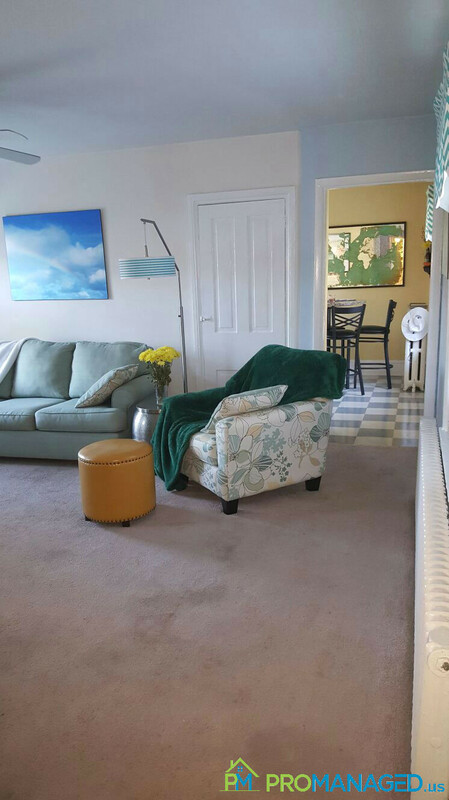 This apartment features wall to wall carpet, a large shared yard space, and is located across the street from the Delaware River and a short walk from great shopping and dining on Mill Street. No pets allowed. AVAILABLE NOW! 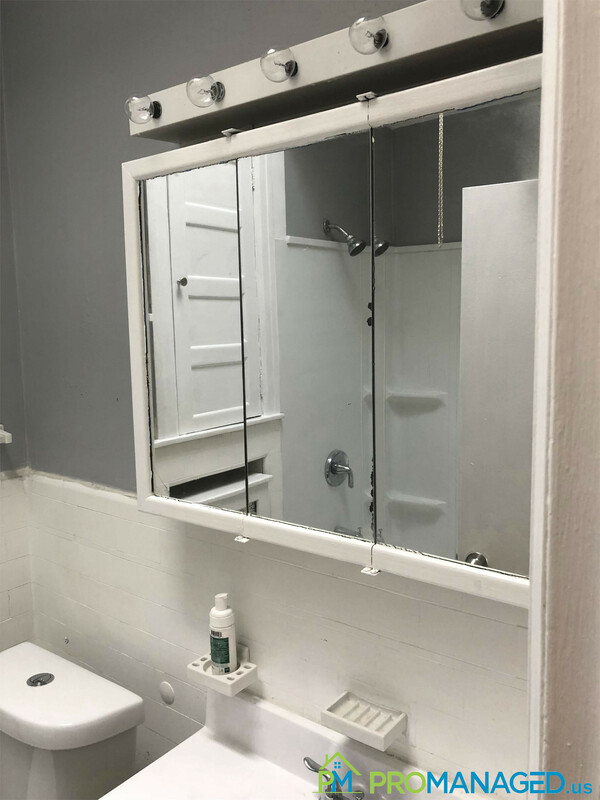 To schedule a showing for this property, click this link: http://tour.promanaged.us/schedule/?p=194 - Move in cost: $2,700 for first and last month's rent and security deposit. - Pet-friendly. $250 pet fee. Some dog breed restrictions. - 600 credit score required. Lower score may be accepted along with a co-signer. - No Section 8 - Utilities not included Questions? 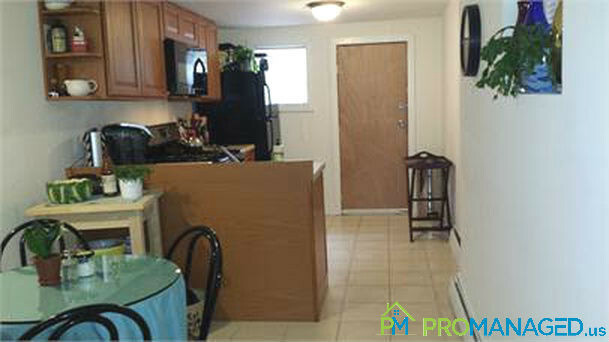 Call or text us at 856-222-1220 or email us at Promanagedinc@gmail.com Be sure to mention the address of the property! 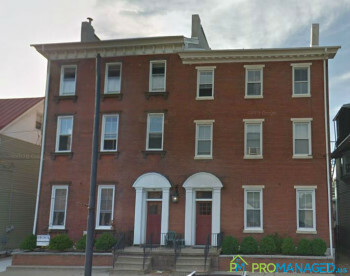 Check out this spacious 2 bedroom, 1 bathroom apartment in Historic Bristol Borough! 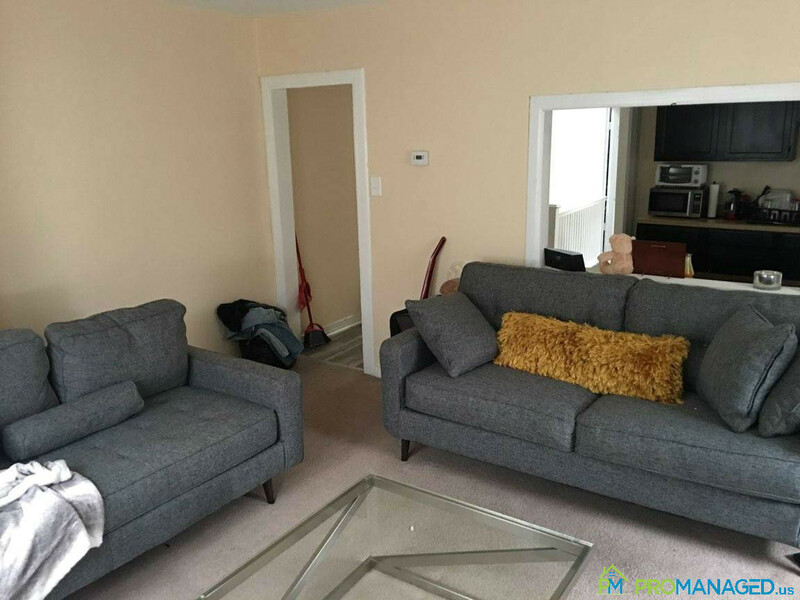 This apartment features wall to wall carpet, a large shared yard space, and is located across the street from the Delaware River and a short walk from great shopping and dining on Mill Street. No pets allowed. 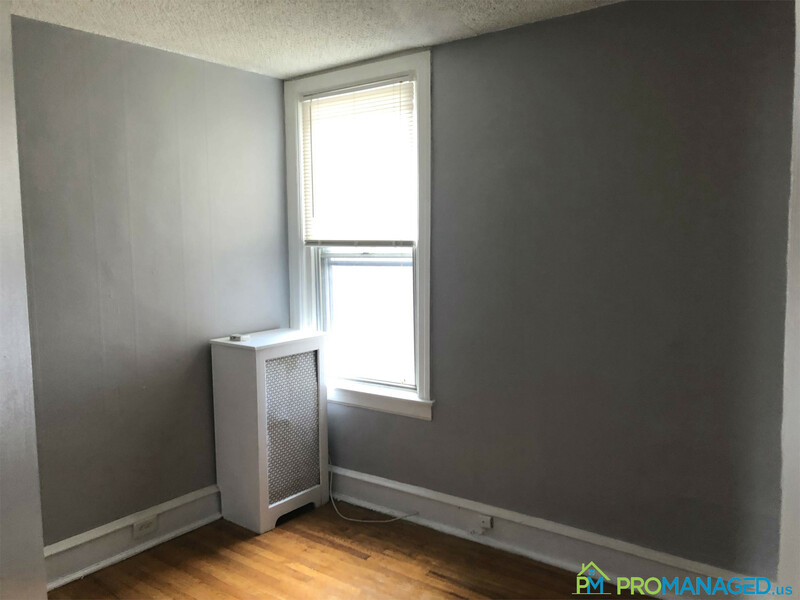 To schedule a showing for this property, click this link: http://tour.promanaged.us/schedule/?p=206 - Move in cost: first and last month's rent and security deposit. - Pet-friendly. $250 pet fee. Some dog breed restrictions. - 600 credit score required. Lower score may be accepted along with a co-signer. - No Section 8 - Utilities not included Questions? 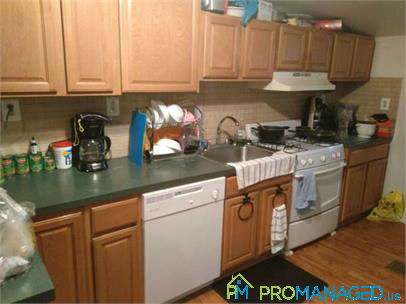 Call or text us at 856-222-1220 or email us at Promanagedinc@gmail.com Be sure to mention the address of the property! 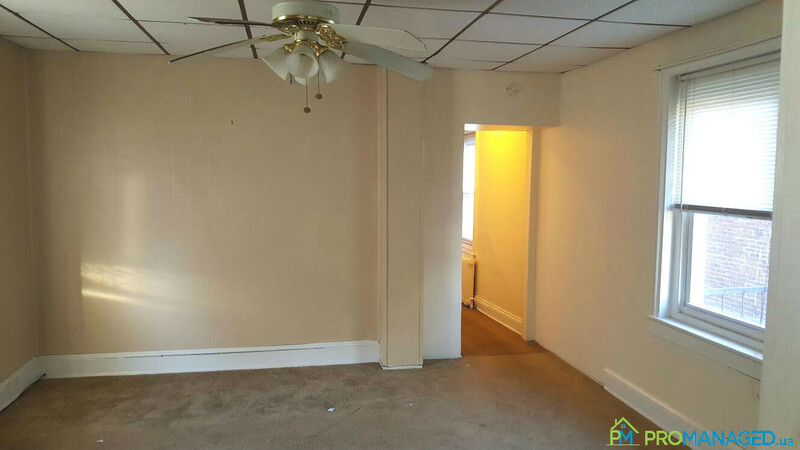 This 1 bedroom, 1 bathroom apartment is part of a tri-plex located in Tacony, Philadelphia. 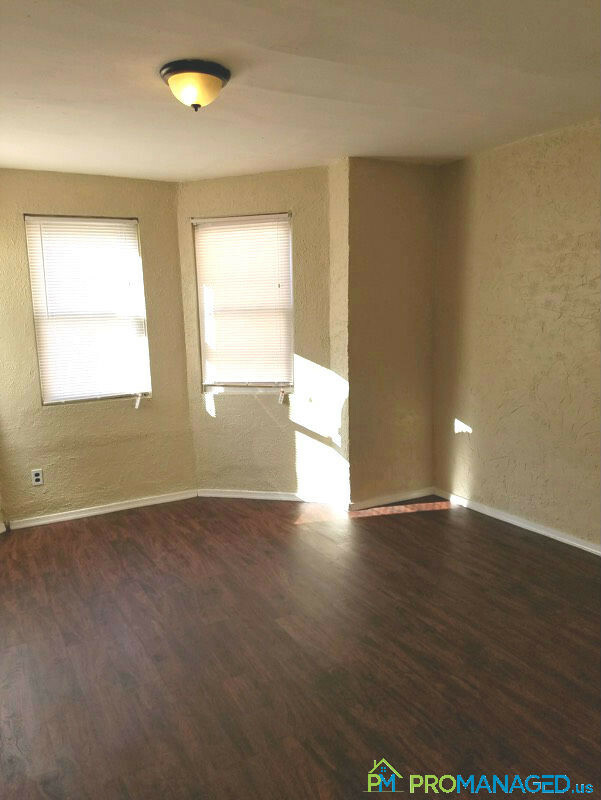 The unit features a good sized living room and bedrooms with ample closet space. 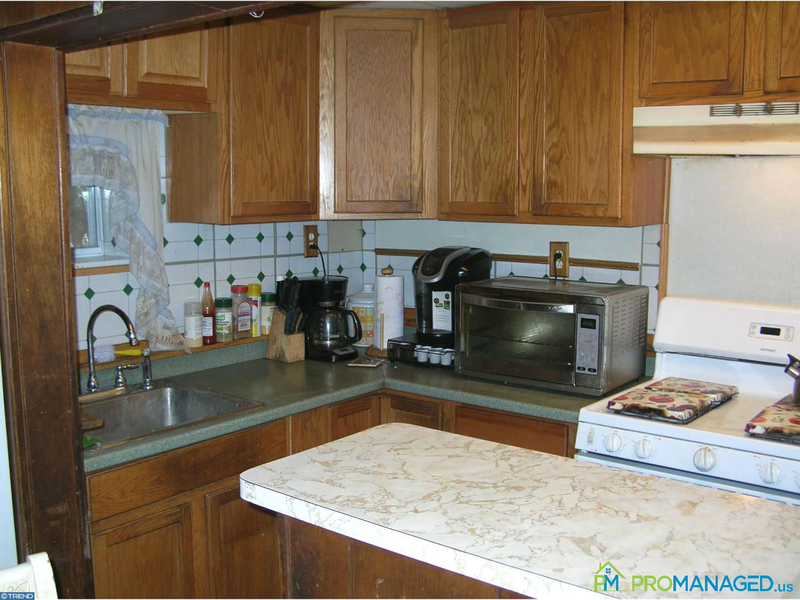 The kitchen has a lot of space to work and plenty of cabinets. There is also a fenced rear yard. 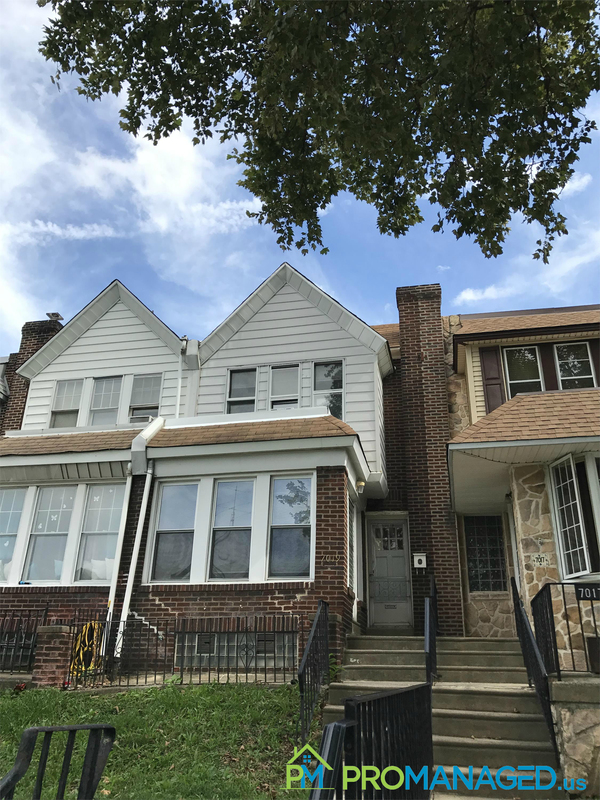 The building is within walking distance to all Torresdale Avenue has to offer such as schools, shopping, and public transportation. Its minutes from I-95, Rt 1 and the bridges to New Jersey. 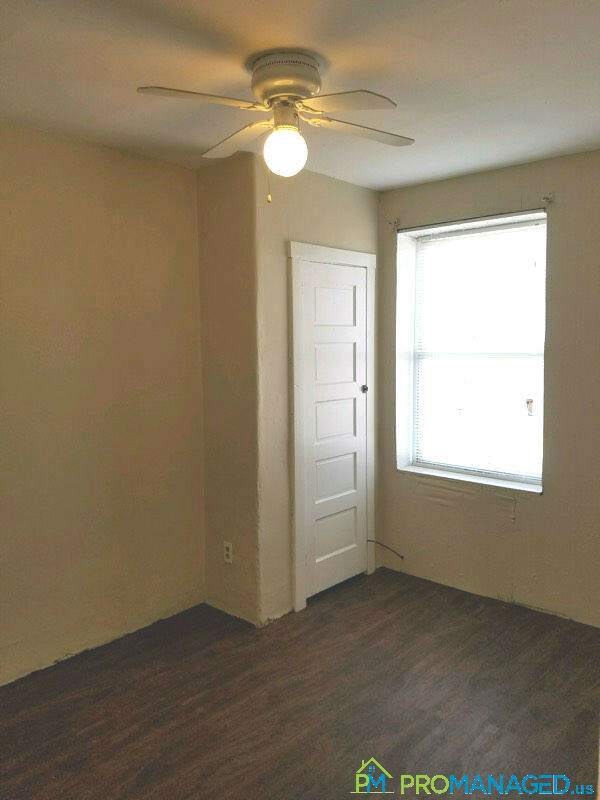 To schedule a showing for this property, click this link: http://tour.promanaged.us/schedule/?p=226 - Move in cost: first and last month's rent and security deposit. - 600 credit score required. Lower score may be accepted along with a co-signer. - No Section 8 - Utilities not included Questions? 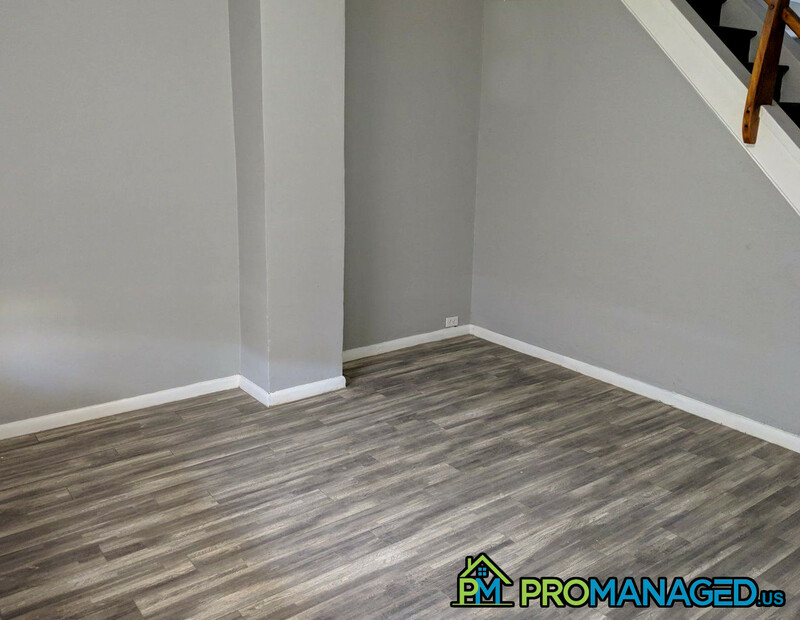 Call or text us at 856-222-1220 or email us at Promanagedinc@gmail.com Be sure to mention the address of the property! 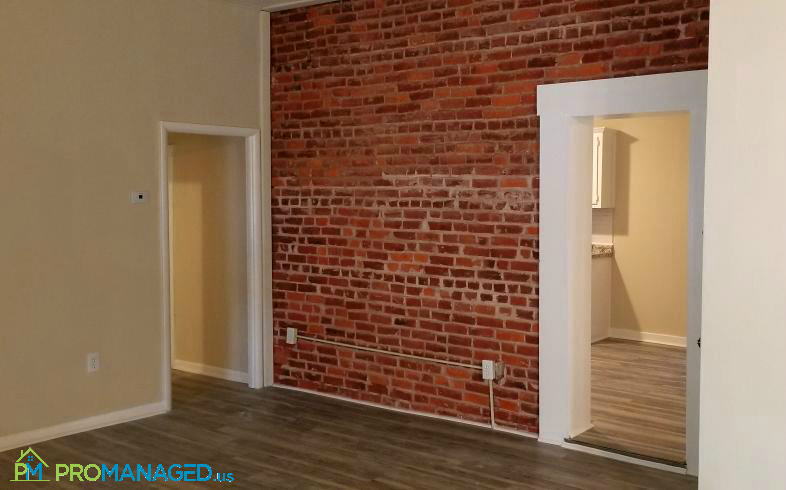 Check out this spacious 1 bedroom, 2nd-floor apartment in Historic Bristol Borough! 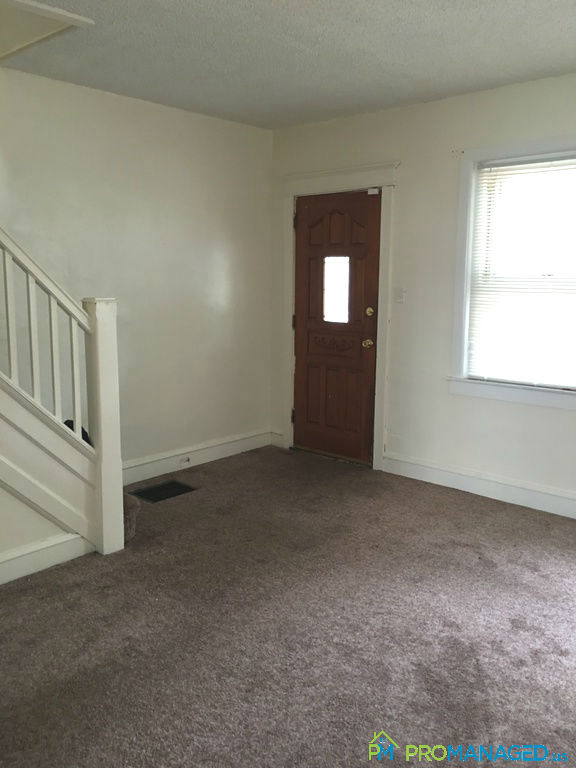 This apartment features wall to wall carpet, a large shared yard space, and is located across the street from the Delaware River and a short walk from great shopping and dining on Mill Street. No pets allowed. To schedule a showing for this property, click this link: http://tour.promanaged.us/schedule/?p=196 - Move in cost: $2,850 for first and last month's rent and security deposit. - Pet-friendly. $250 pet fee. Some dog breed restrictions. - 600 credit score required. Lower score may be accepted along with a co-signer. - No Section 8 - Utilities not included Questions? 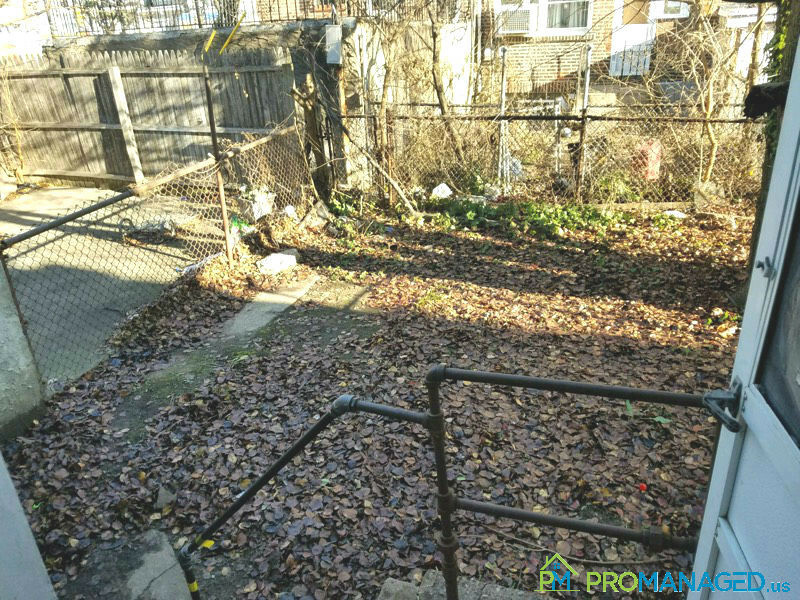 Call or text us at 856-222-1220 or email us at Promanagedinc@gmail.com Be sure to mention the address of the property! This 3 bedroom, 1 bathroom end of row Tacony townhome features an updated kitchen with newer cabinets and tile floor, updated full bathroom, finished basement, gas heat, and newer doors and windows. 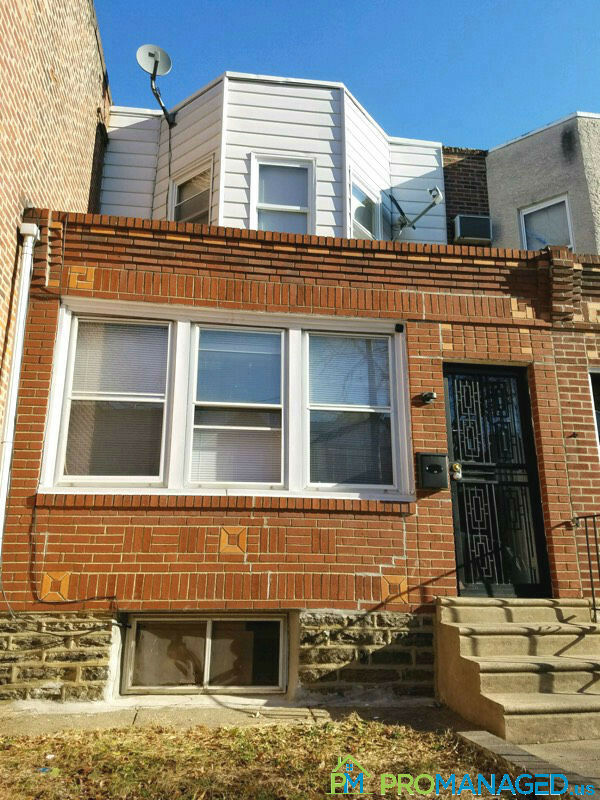 Off street parking is available and the home is within walking distance to Tacony park, shops, and restaurants. 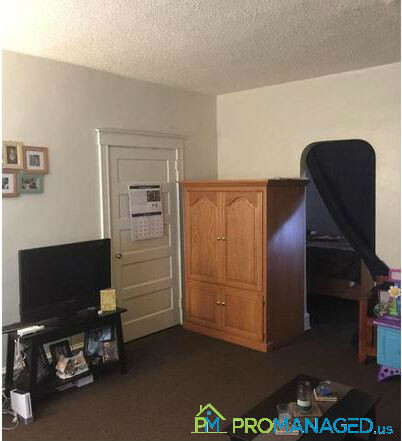 To schedule a showing for this property, click this link: http://tour.promanaged.us/schedule/?p= - Move in cost: $ for first and last month's rent and security deposit. - Pet-friendly. $250 pet fee. Some dog breed restrictions. - 600 credit score required. Lower score may be accepted along with a co-signer. - No Section 8 - Utilities not included Questions? Call or text us at 856-222-1220 or email us at Promanagedinc@gmail.com Be sure to mention the address of the property! Come see this lovely, newly renovated 3 bedroom home in the Southwest section of Philadelphia! This home features a brand new kitchen, formal living room, and dining room on the first level. It also has a basement with a private entrance. Don't miss your opportunity to call 2648 Massey Street your new home! Ready to make this your new home? 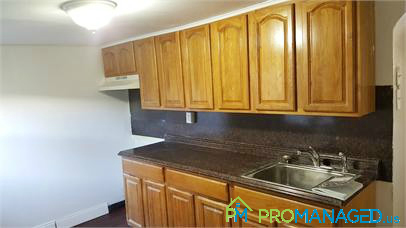 Schedule a showing here: http://tour.promanaged.us/schedule/?p=49 - Move in cost: first and last month's rent and security deposit. - Pet-friendly. $250 pet fee. Some dog breed restrictions. - 600 credit score required. Lower score may be accepted along with a co-signer. - No Section 8 - Utilities not included Questions? 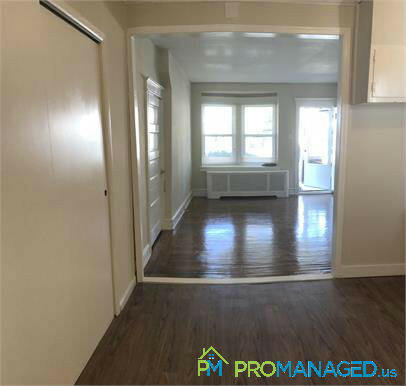 Call or text us at 856-222-1220 or email us at Promanagedinc@gmail.com Be sure to mention the address of the property! 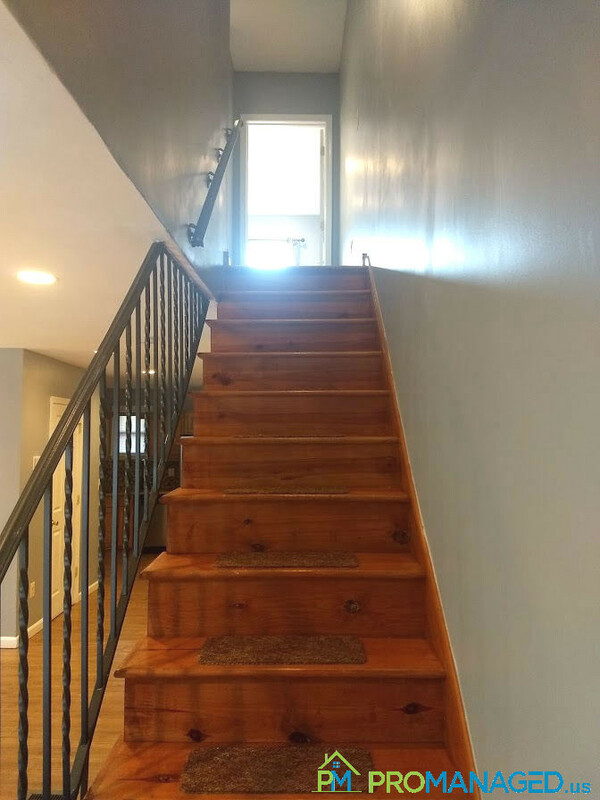 This two-story straight-thru home features 3 good-sized bedrooms, 1 full bath, 1 half bath in the basement and spacious living room and dining room areas. 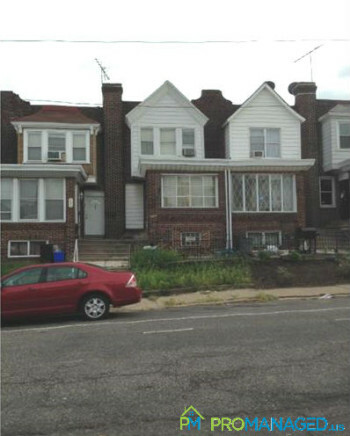 It is located in the Tacony neighborhood of Philadelphia near local shopping, major roadways, and public transportation. This home also features a new hot water heater, gas cooking, and an attached 1 car garage and driveway at the back of the property. Don't miss your opportunity to make this property your new home! Available March 1st. 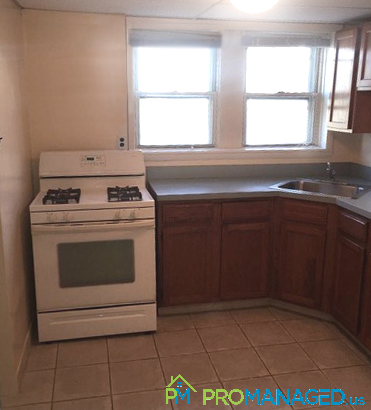 To schedule a showing for this property, click this link: http://tour.promanaged.us/schedule/?p=90 - Move in cost: $3,600 for first and last month's rent and security deposit. - Pet-friendly. $250 pet fee. Some dog breed restrictions. - 600 credit score required. Lower score may be accepted along with a co-signer. - No Section 8 - Utilities not included Questions? 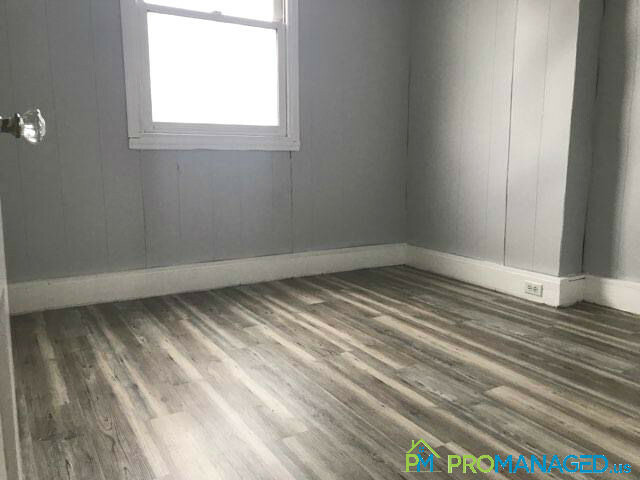 Call or text us at 856-222-1220 or email us at Promanagedinc@gmail.com Be sure to mention the address of the property! 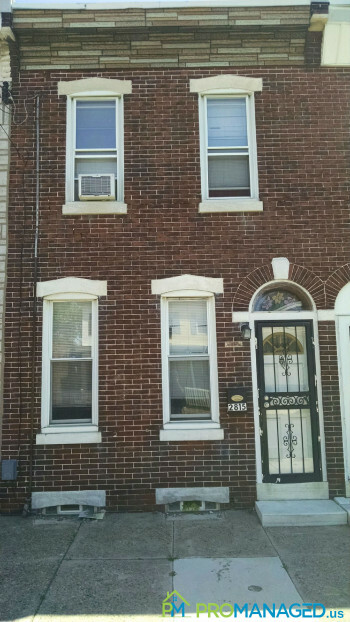 This 3 bedroom, 1 bathroom Tacony townhouse can be your new home in the New Year! Completely renovated with fresh paint, new flooring and new kitchen appliances, this home will be completely transformed into a modern, comfortable retreat. In addition to the great indoor space, this home also features a cozy fenced in backyard perfect for kids to play or for outdoor entertaining. This property will be available March 1st. 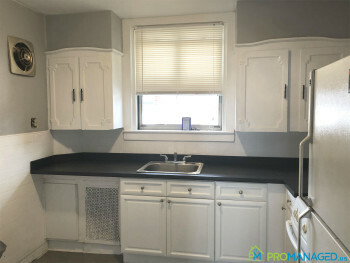 To schedule a showing for this property, click this link: http://tour.promanaged.us/schedule/?p=93 - Move in cost: $3,600 for first and last month's rent and security deposit. - Pet-friendly. $250 pet fee. Some dog breed restrictions. - 600 credit score required. Lower score may be accepted along with a co-signer. - No Section 8 - Utilities not included Questions? 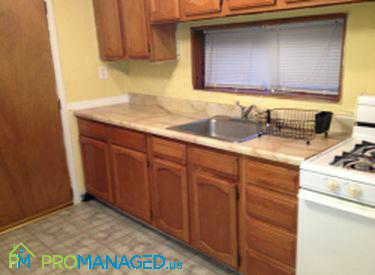 Call or text us at 856-222-1220 or email us at Promanagedinc@gmail.com Be sure to mention the address of the property! This 2 bedroom, 1 bathroom second floor apartment is located in the Tacony neighborhood of Northeast Philadelphia very close to Frankford, Torresdale, and Cottman Avenues. Public transportation is available within walking distance and it's only 2 minutes from I-95. 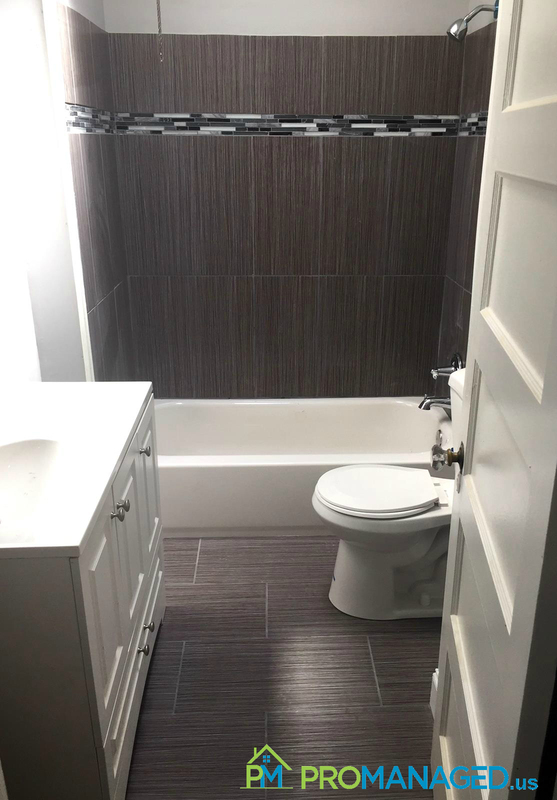 It's been completely renovated with all new flooring, fresh paint, a new kitchen with brand new stainless steel appliances and a beautiful new bathroom. Ready to make this your new home? Schedule a showing here: http://tour.promanaged.us/schedule/?p=98 - Move in cost: $2,550 for first and last month's rent and security deposit. - Pet-friendly. $250 pet fee. Some dog breed restrictions. - 600 credit score required. Lower score may be accepted along with a co-signer. - No Section 8 - Utilities not included Questions? 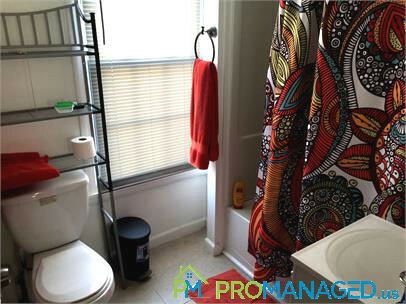 Call or text us at 856-222-1220 or email us at Promanagedinc@gmail.com Be sure to mention the address of the property! 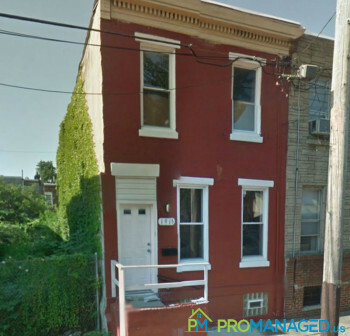 Come see this 1 bedroom, 1 bathroom apartment for rent located in Tacony. 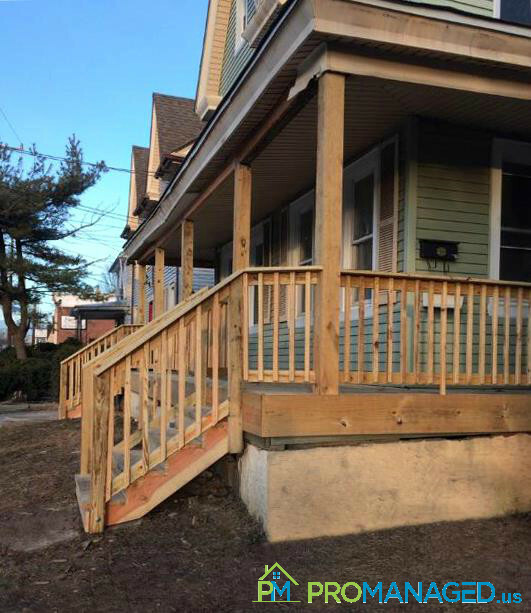 It is currently undergoing a complete renovation and will be an amazing place to call your new home. 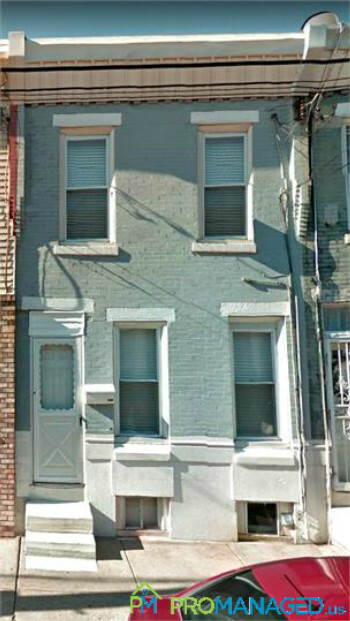 Apartment F is within walking distance of the Tacony train station, minutes from two area bridges and blocks from I-95. 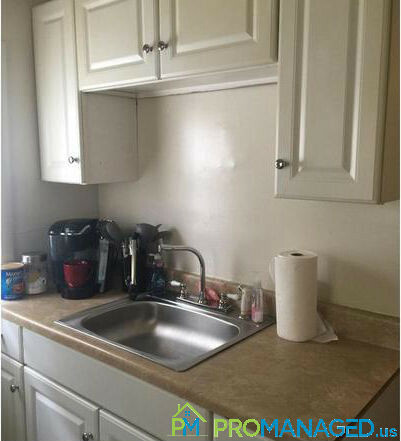 To schedule a showing for this property, click this link: http://tour.promanaged.us/schedule/?p=158 - Move in cost: $2,175 for first and last month's rent and security deposit. - Pet-friendly. $250 pet fee. Some dog breed restrictions. - 600 credit score required. Lower score may be accepted along with a co-signer. - No Section 8 - Utilities not included Questions? Call or text us at 856-222-1220 or email us at Promanagedinc@gmail.com Be sure to mention the address of the property! This single-family home for rent is located in Philadelphia's Fishtown neighborhood and features an All New Appliance Package. 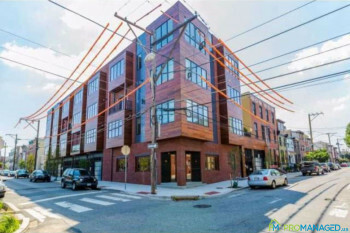 Fishtown is Philadelphia's hottest up and coming neighborhood and features a vibrant nightlife full of hip bistros, beer gardens and a variety of entertainment options. Rental homes in this area are extremely popular, so don't hesitate to schedule a showing for this property today. It won't last long! AVAILABLE NOW! Ready to make this your new home? Schedule a showing here: http://tour.promanaged.us/schedule/?p=25 - Move in cost: $3,900 for first and last month's rent and security deposit. - Pet-friendly. $250 pet fee. Some dog breed restrictions. - 600 credit score required. Lower score may be accepted along with a co-signer. - No Section 8 - Utilities not include Questions? 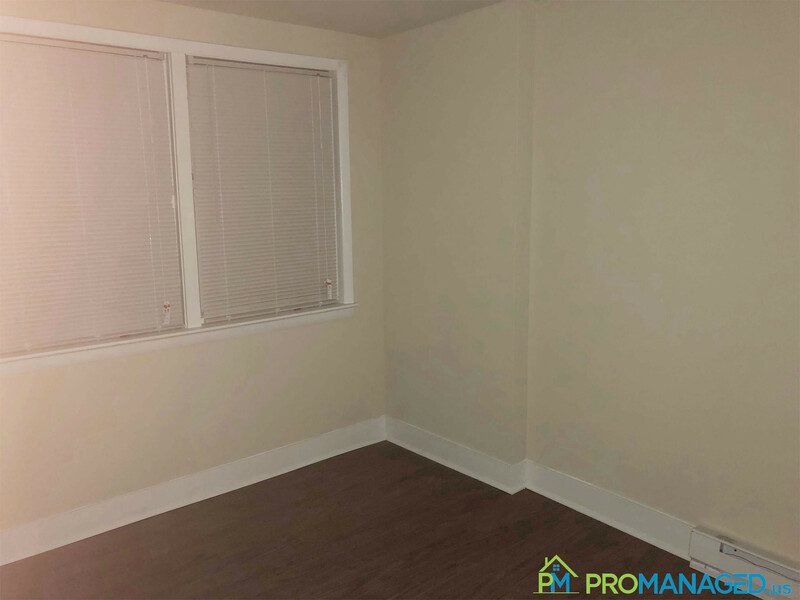 Call or text us at 856-222-1220 or email us at Promanagedinc@gmail.com Be sure to mention the address of the property! 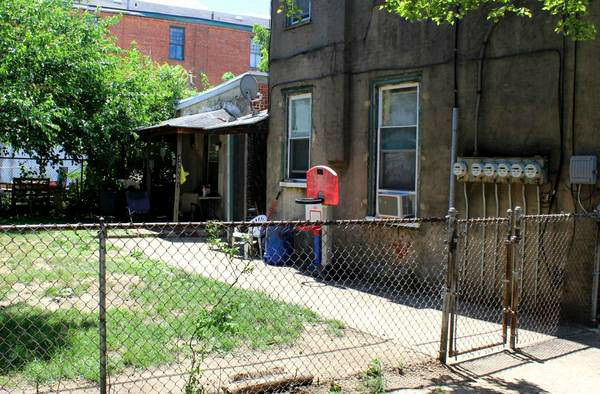 This 2 bedroom 1.5 bathroom home is very spacious with a huge fenced in yard. This walker's paradise is less than a 10-minute walk from the Girard Station of the Market Frankford El, Sugar House Casino, Penn Treaty Park, Johnny Brenda's, Sketch Burger, Art of Pizza, Milk Crate Coffee House and much more. The 3rd floor has one bedroom and the 2nd floor has 1 bedroom and a full bath. 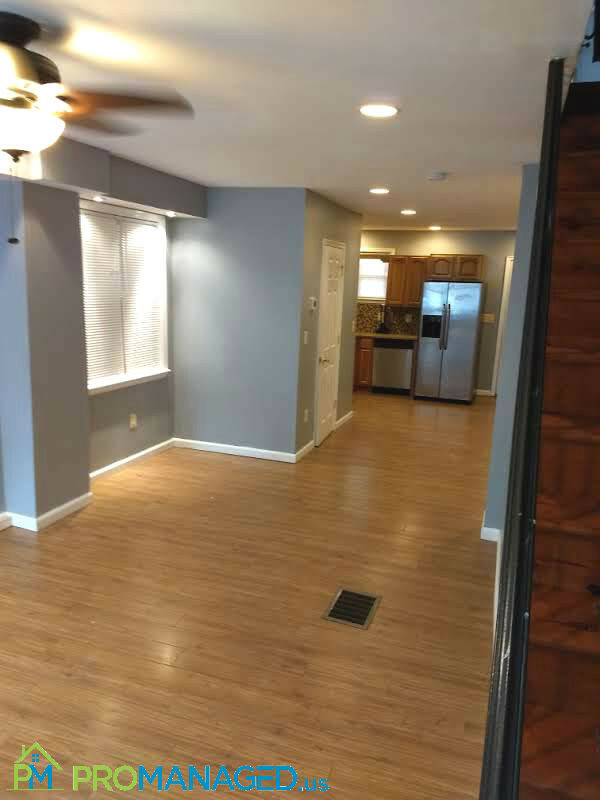 The first floor had a large open layout with tons of space! 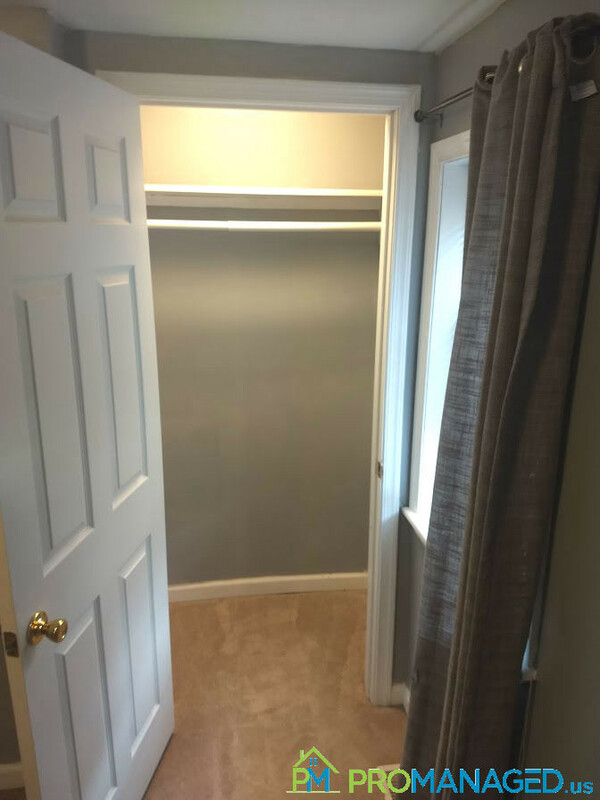 The hall bath has just been remodeled and there is plenty of closet space! Ready to make this your new home? 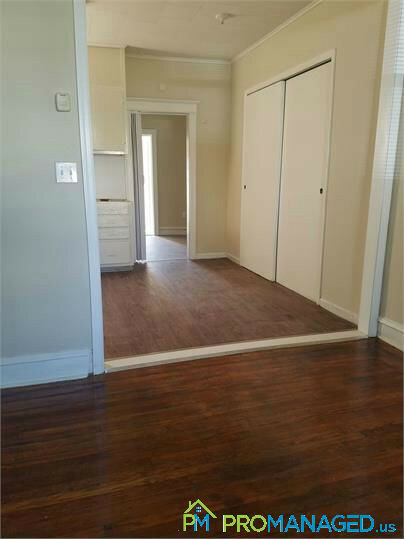 Schedule a showing here: http://tour.promanaged.us/schedule/?p=44 - Move in cost: $4,950 for first and last month's rent and security deposit. - Pet-friendly. $250 pet fee. Some dog breed restrictions. - 600 credit score required. Lower score may be accepted along with a co-signer. - No Section 8 - Utilities not included Questions? 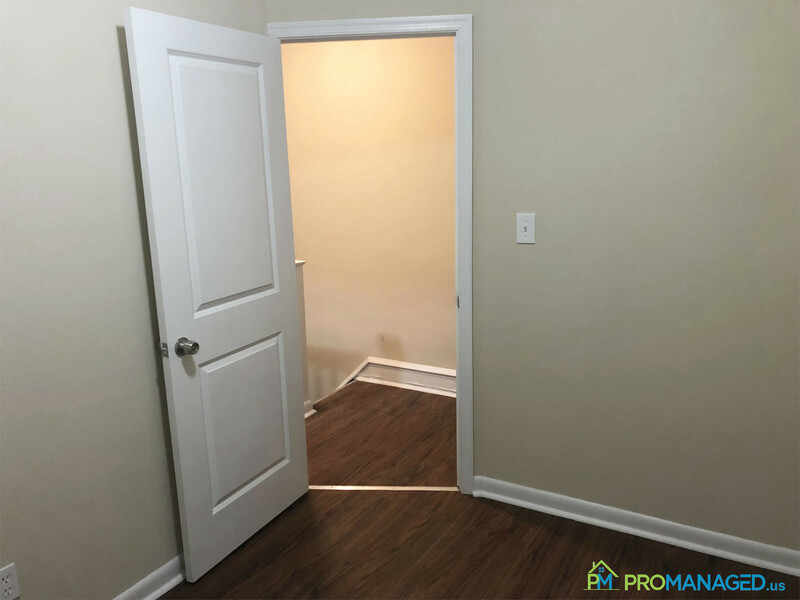 Call or text us at 856-222-1220 or email us at Promanagedinc@gmail.com Be sure to mention the address of the property! 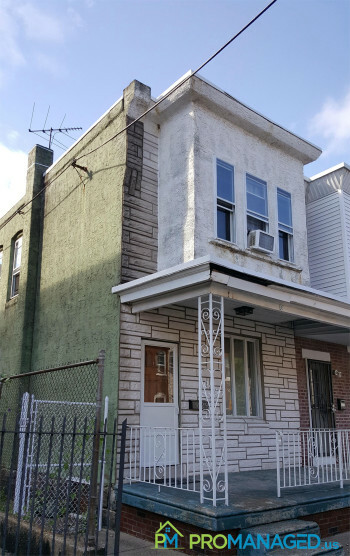 This 1,200 square foot house sits on a 1,601 square foot lot in the Tacony neighborhood of Philadelphia and features 3 bedrooms and 1 bathroom. 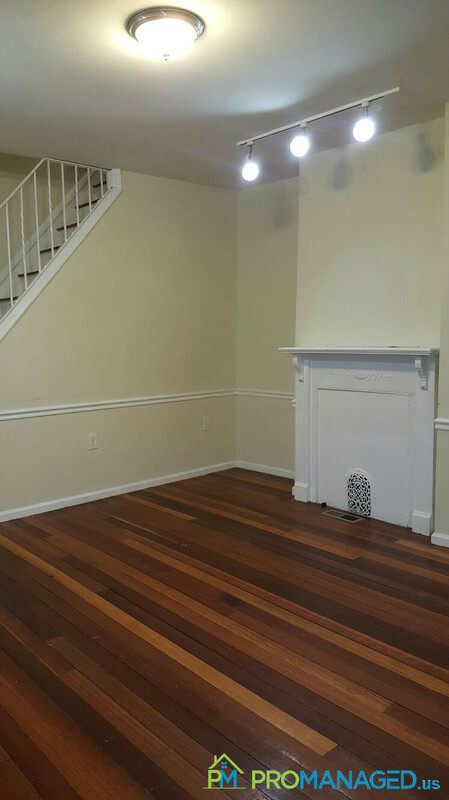 The home also has central air, hardwood floors, a washer and dryer, and fresh paint throughout. This home will be available March 15th. 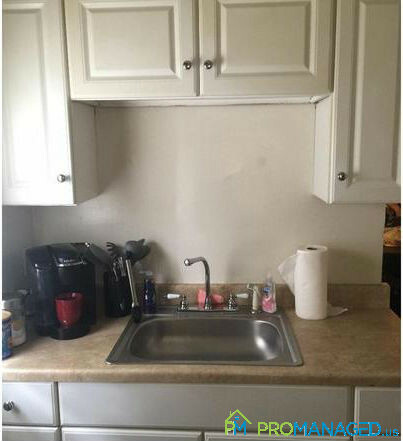 To schedule a showing for this property, click this link: http://tour.promanaged.us/schedule/?p=39 - Move in cost: $3,300 for first and last month's rent and security deposit. - Pet-friendly. $250 pet fee. Some dog breed restrictions. - 600 credit score required. Lower score may be accepted along with a co-signer. - No Section 8 - Utilities not included Questions? 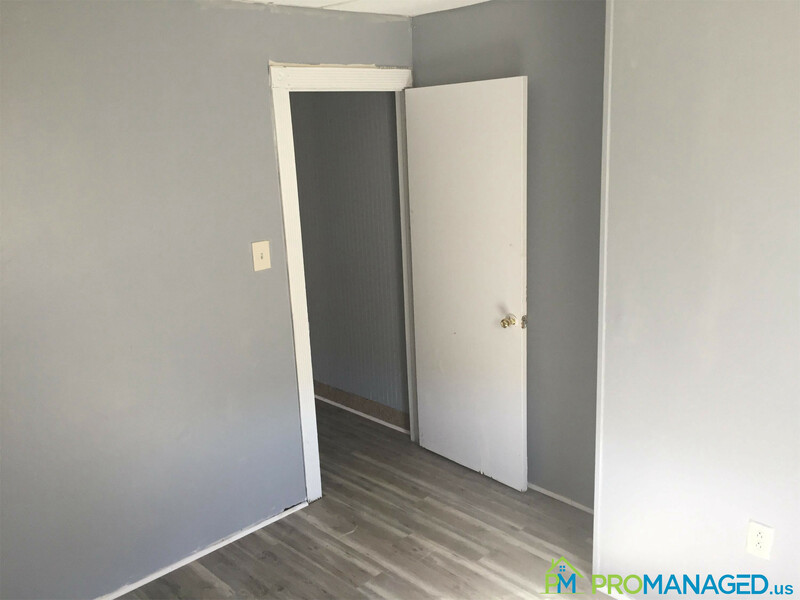 Call or text us at 856-222-1220 or email us at Promanagedinc@gmail.com Be sure to mention the address of the property! 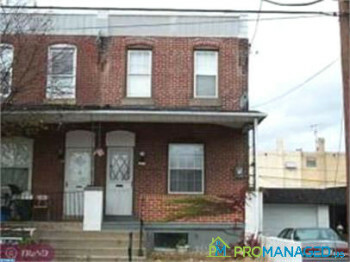 This spacious 3 bedroom, 1 bathroom home is located in the Mayfair neighborhood of Philadelphia. It features an updated kitchen with an All-New Appliance Package and gas cooking. 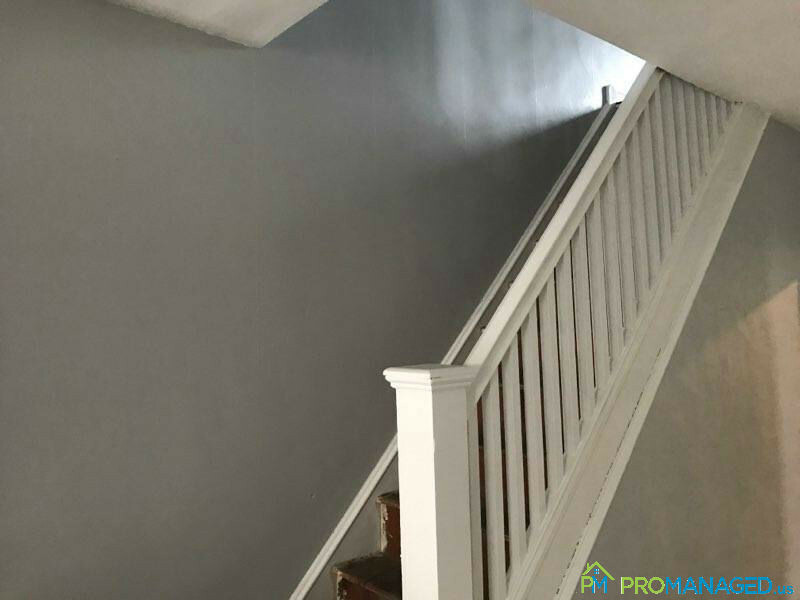 You'll love spending time in this home's freshly painted living room on the first floor and cozy bedrooms on the second floor. There is also a full basement, and a 1 car driveway and garage accessible from the back of the property. 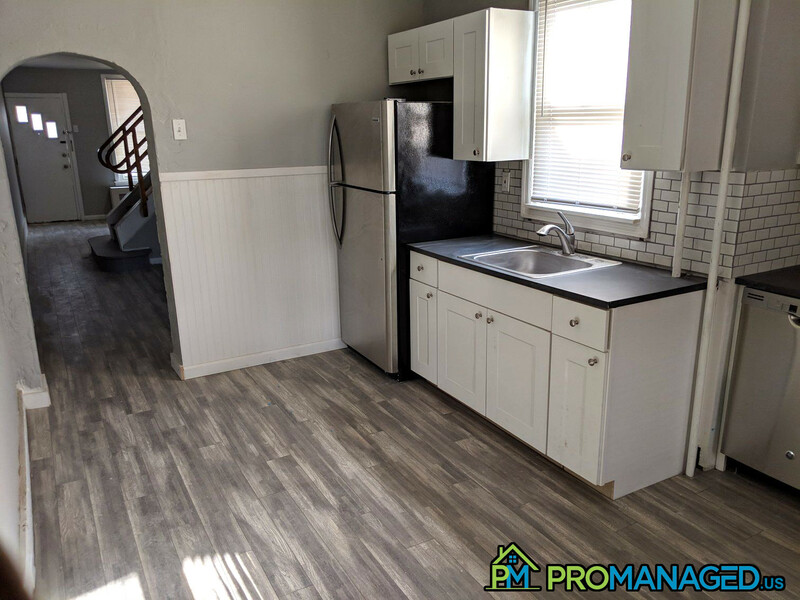 To schedule a showing for this property, click this link: http://tour.promanaged.us/schedule/?p=91 - Move in cost: $3,600 for first and last month's rent and security deposit. - Pet-friendly. $250 pet fee. Some dog breed restrictions. - 600 credit score required. Lower score may be accepted along with a co-signer. - No Section 8 - Utilities not included Questions? 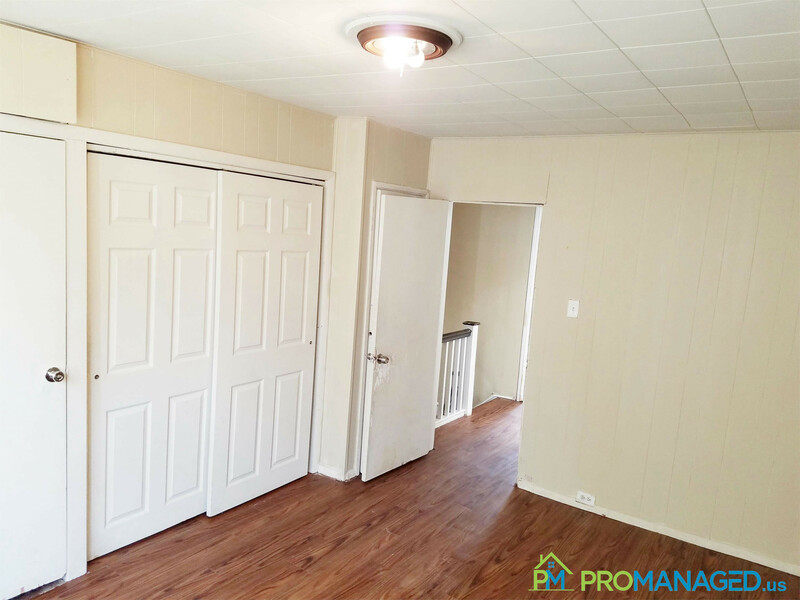 Call or text us at 856-222-1220 or email us at Promanagedinc@gmail.com Be sure to mention the address of the property! 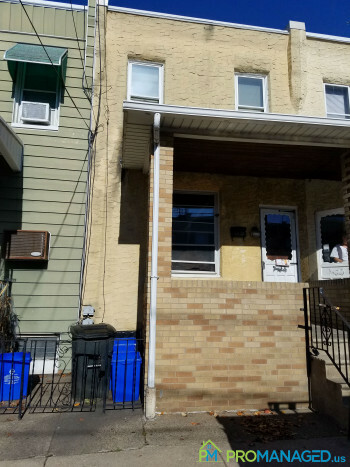 This second-floor apartment is located in the Tacony neighborhood of Northeast Philadelphia very close to Frankford, Torresdale, and Cottman Avenues. Public transportation is available within walking distance and it's only 2 minutes from I-95. 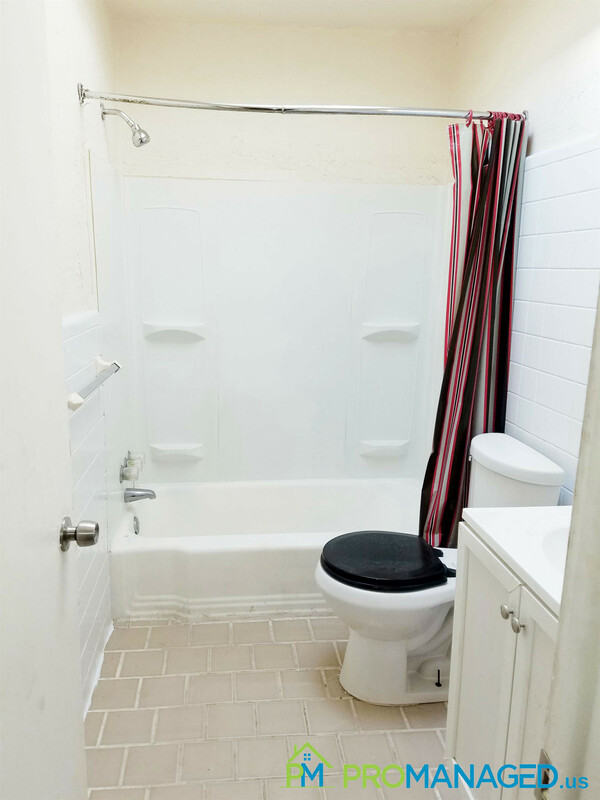 The apartment features a private entrance and a washer and dryer in unit. Ready to make this your new home? 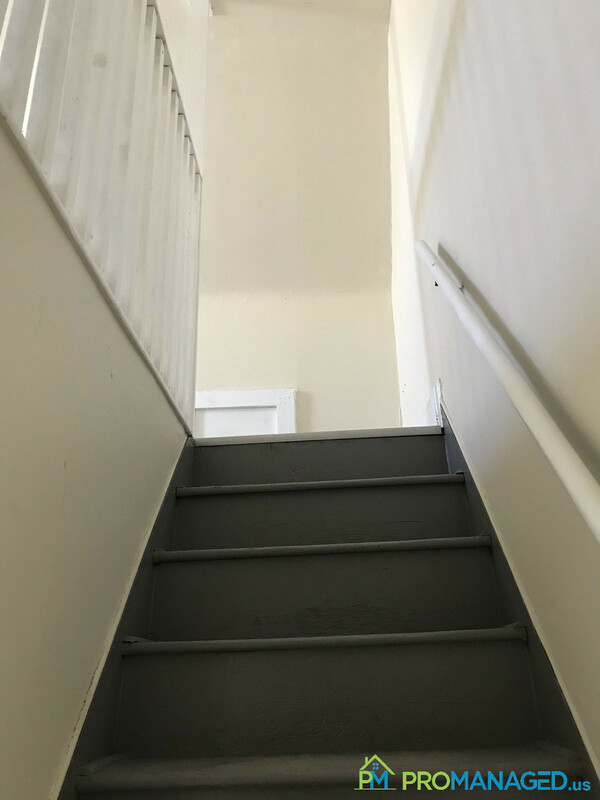 Schedule a showing here: http://tour.promanaged.us/schedule/?p=97 - Move in cost: $2,250 for first and last month's rent and security deposit. - Pet-friendly. $250 pet fee. Some dog breed restrictions. - 600 credit score required. Lower score may be accepted along with a co-signer. - No Section 8 - Utilities not included Questions? 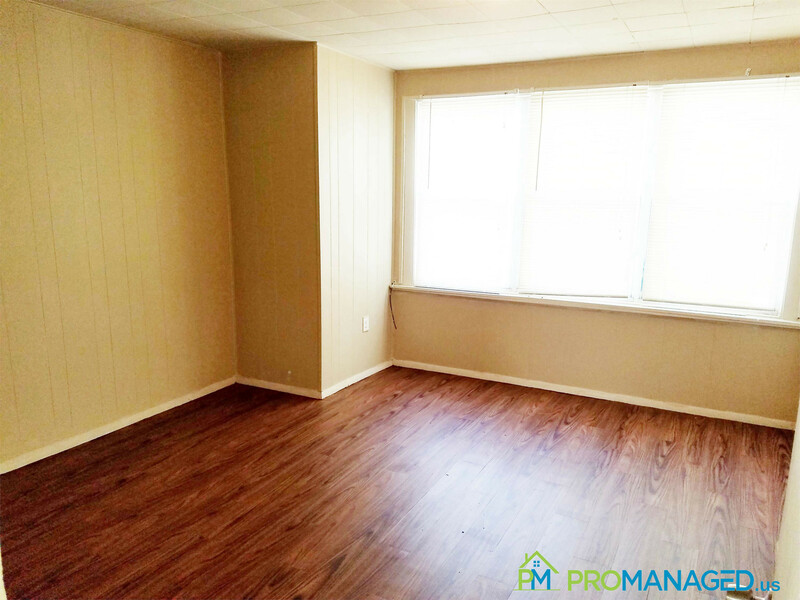 Call or text us at 856-222-1220 or email us at Promanagedinc@gmail.com Be sure to mention the address of the property! 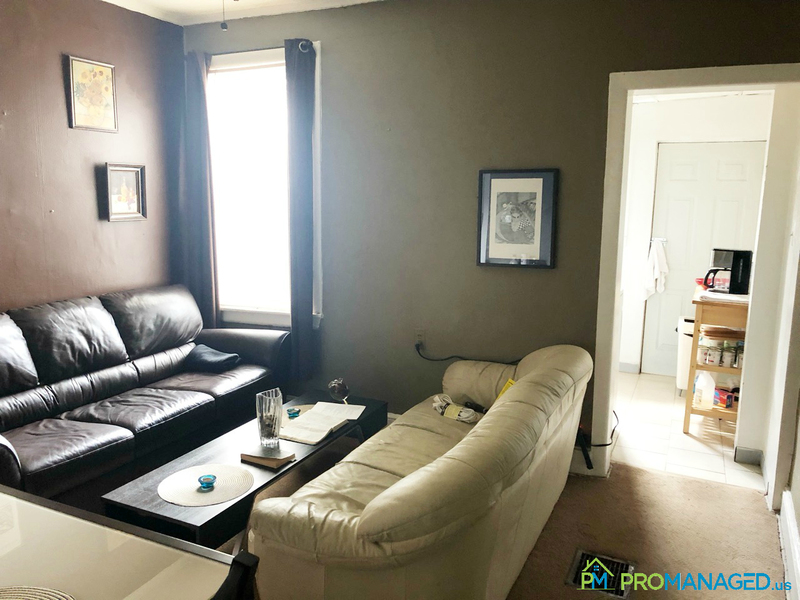 This 1 bedroom, 1 bathroom first floor unit in an end row home features a bright and open entrance into a spacious living room and is decorated with fresh paint and plush carpet. 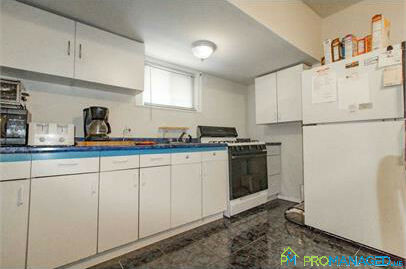 The kitchen features new appliances and an plenty of cabinet space to meet your needs. 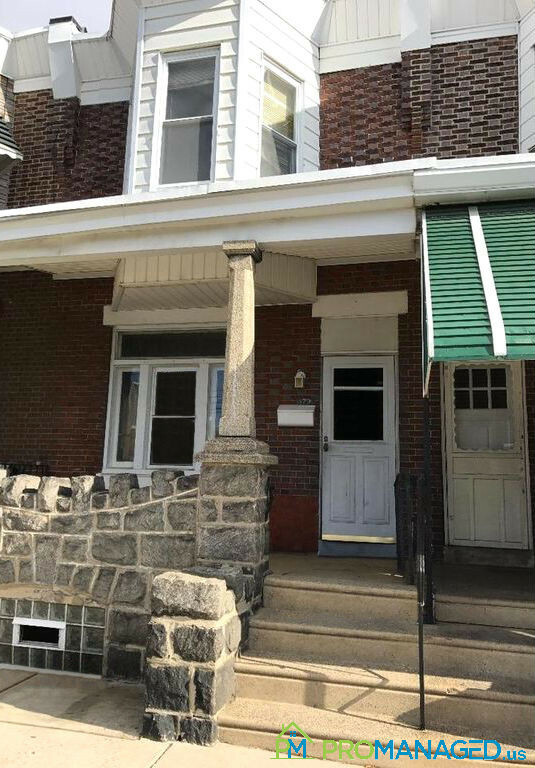 Located in the Tacony neighborhood of Philadelphia, this home is in close proximity to shopping, public transportation, dining, entertainment and more! Make this your new home today! 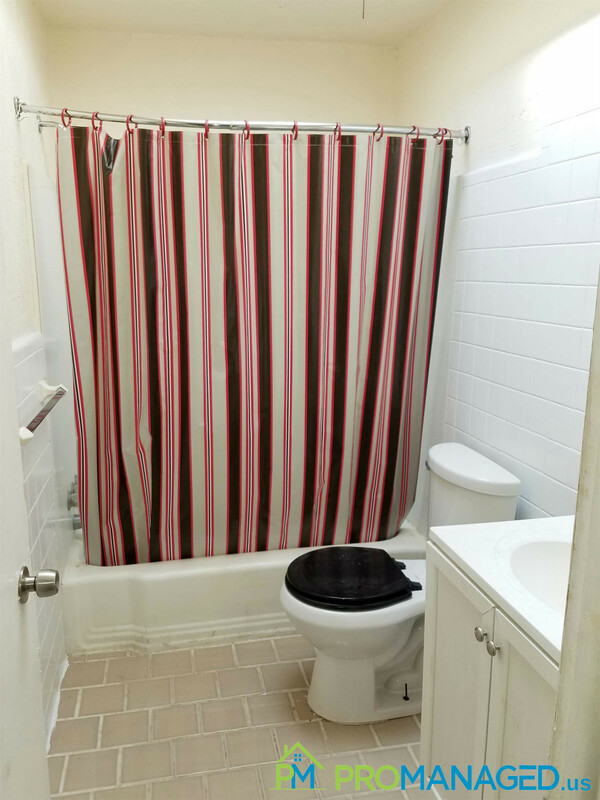 To schedule a showing for this property, click this link: http://tour.promanaged.us/schedule/?p=129 - Move in cost: $2,400 for first and last month's rent and security deposit. - Pet-friendly. $250 pet fee. Some dog breed restrictions. - 600 credit score required. Lower score may be accepted along with a co-signer. - No Section 8 - Utilities not included Questions? 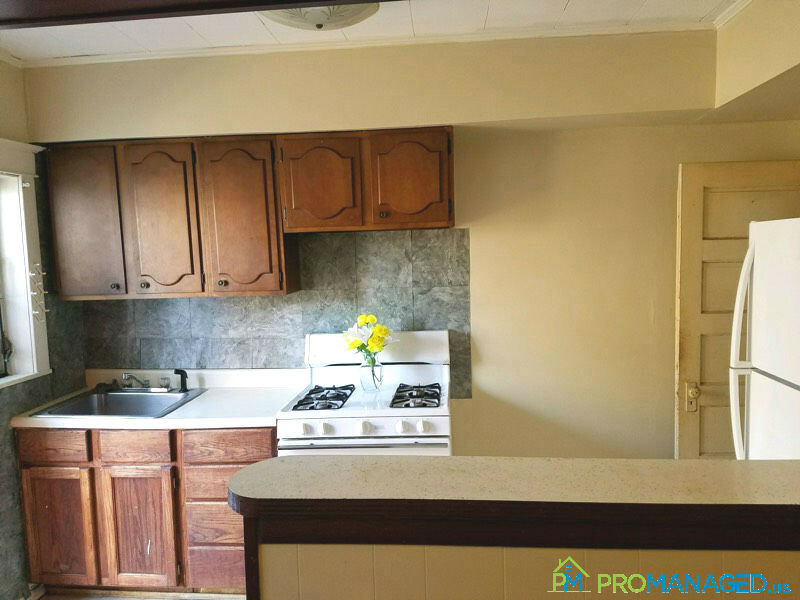 Call or text us at 856-222-1220 or email us at Promanagedinc@gmail.com Be sure to mention the address of the property! Welcome to 601 Morton Avenue! 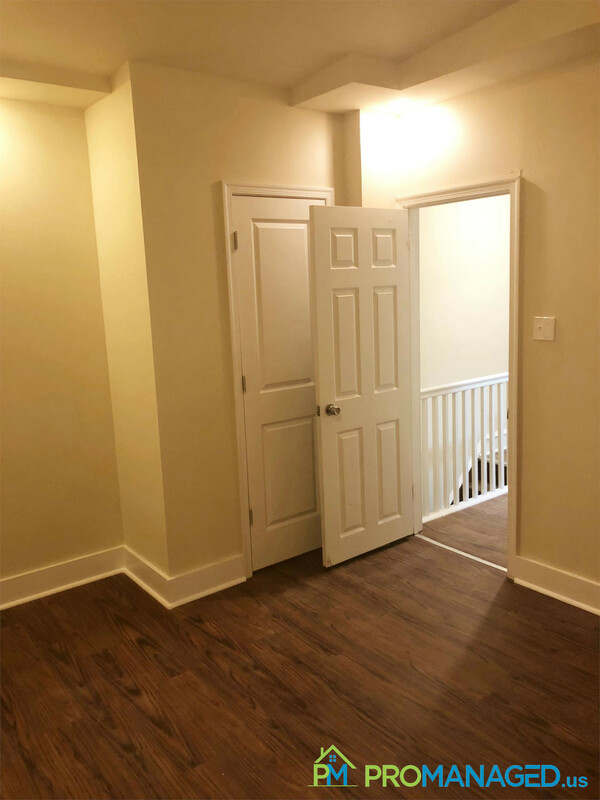 This second-floor apartment has 1 bedroom, 1 bathroom. 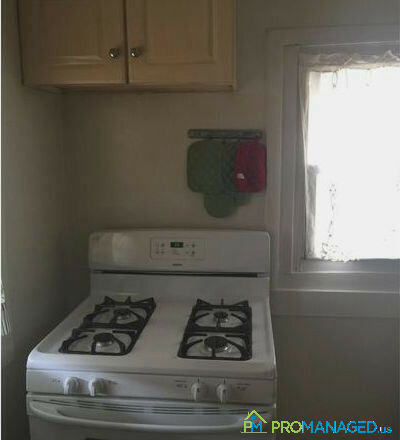 It features standard upgrades, fresh paint, and kitchen appliances. A coin-operated laundry room is located on-site for your convenience. Available NOW! Ready to make this your new home? 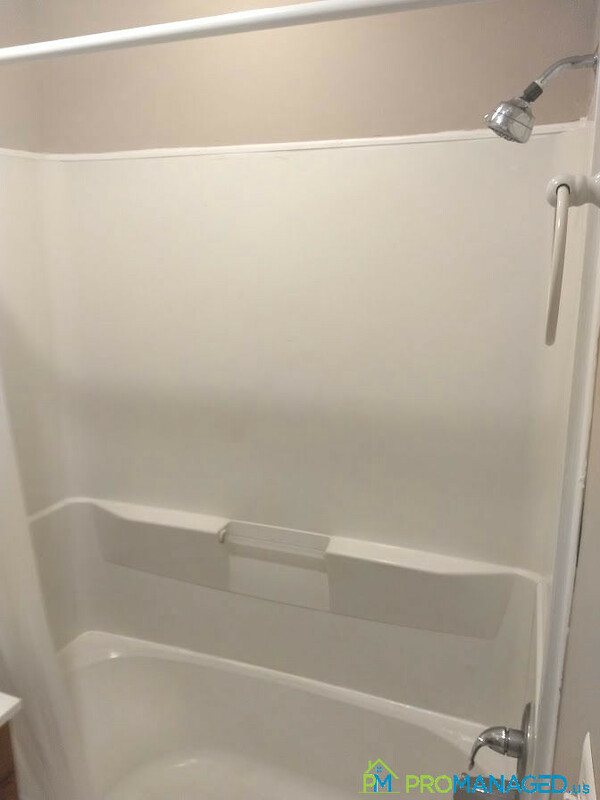 Schedule a showing here: http://tour.promanaged.us/schedule/?p=145 - Move in cost: $2,550 for first and last month's rent and security deposit. - Pet-friendly. $250 pet fee. Some dog breed restrictions. - 600 credit score required. Lower score may be accepted along with a co-signer. - No Section 8 - Utilities not included Questions? 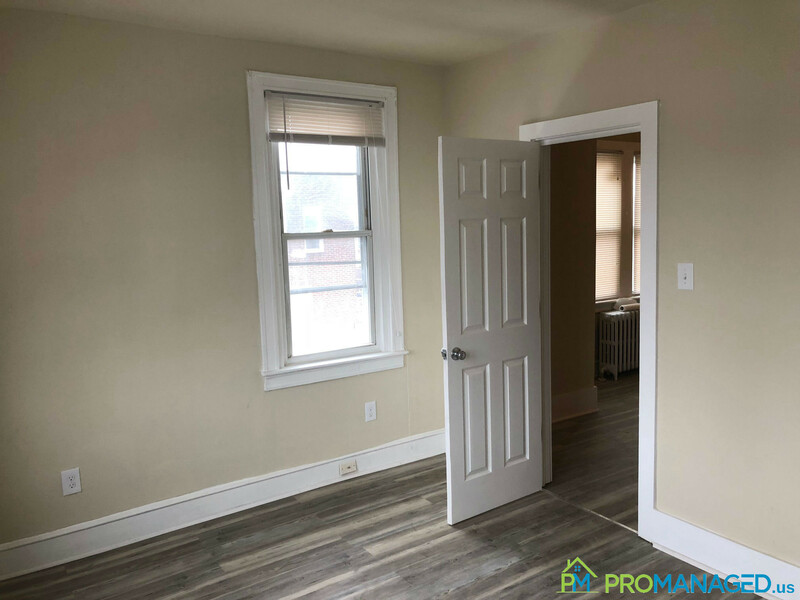 Call or text us at 856-222-1220 or email us at Promanagedinc@gmail.com Be sure to mention the address of the property! 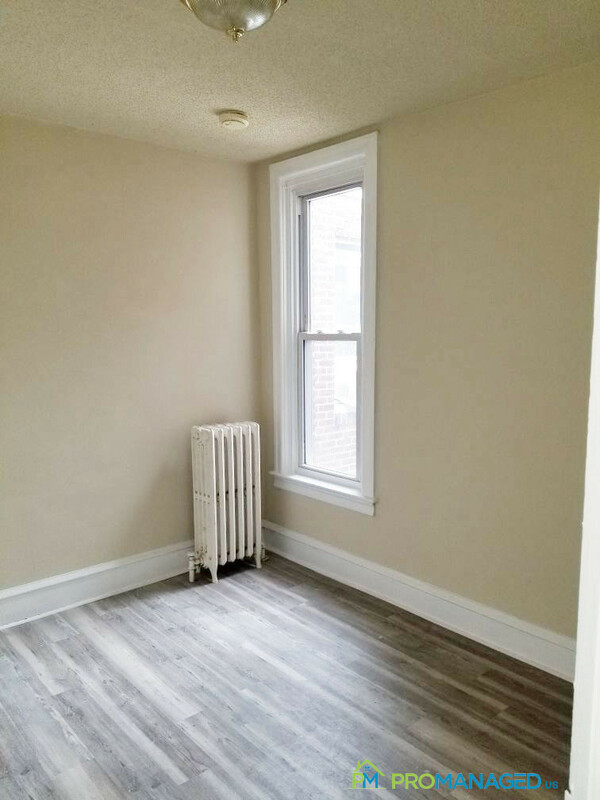 This 2 bedroom, 1 bathroom unit in an end row home features a bright and spacious living room and is decorated with fresh paint and flooring. 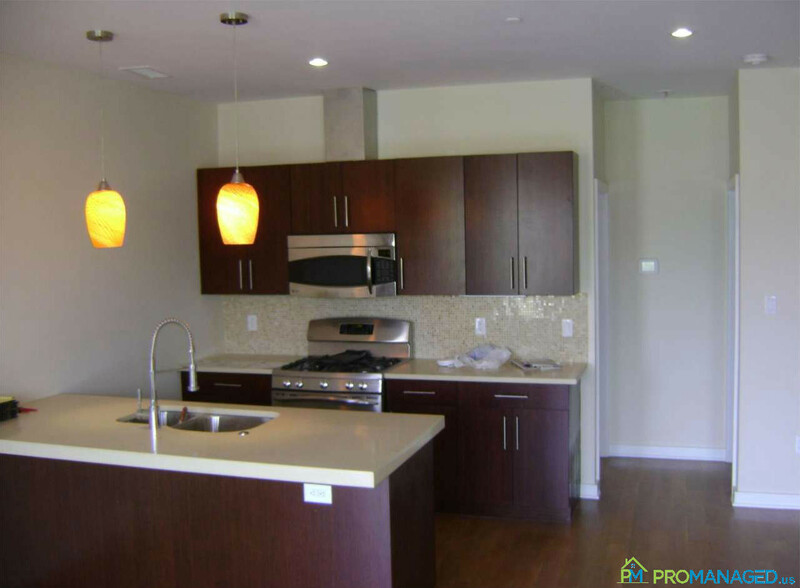 The kitchen features new appliances and plenty of cabinet space to meet your needs. 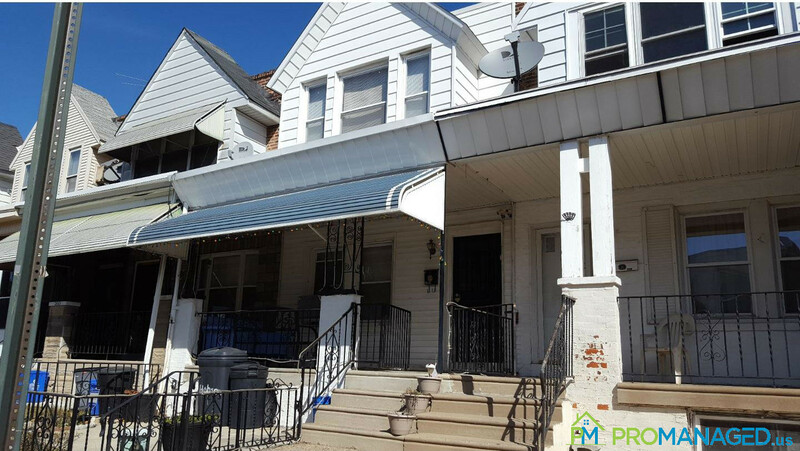 Located in the Tacony neighborhood of Philadelphia, this home is in close proximity to shopping, public transportation, dining, entertainment and more. There is also a fenced-in yard, and a 200 square foot garage for storage or a workspace. Make this your new home today! 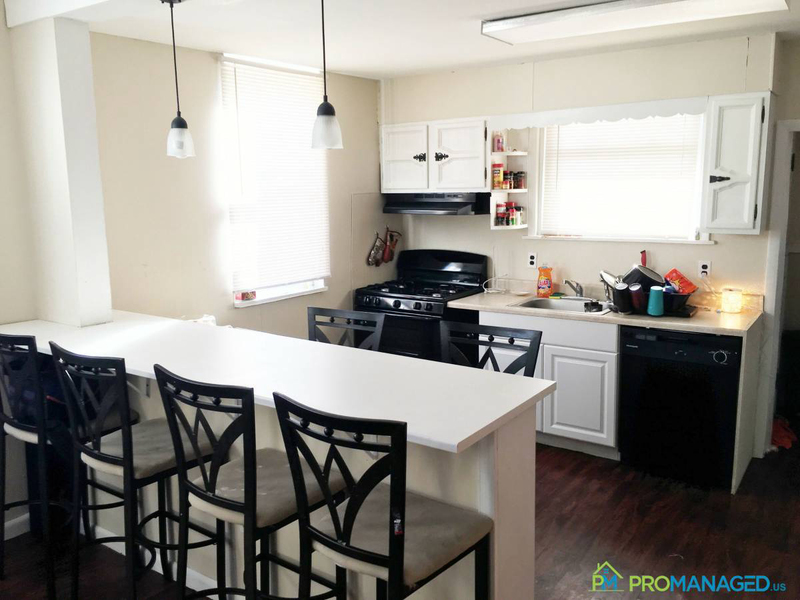 To schedule a showing for this property, click this link: http://tour.promanaged.us/schedule/?p=183 - Move in cost: $2,925 for first and last month's rent and security deposit. - Pet-friendly. $250 pet fee. Some dog breed restrictions. - 600 credit score required. Lower score may be accepted along with a co-signer. - No Section 8 - Utilities not included Questions? 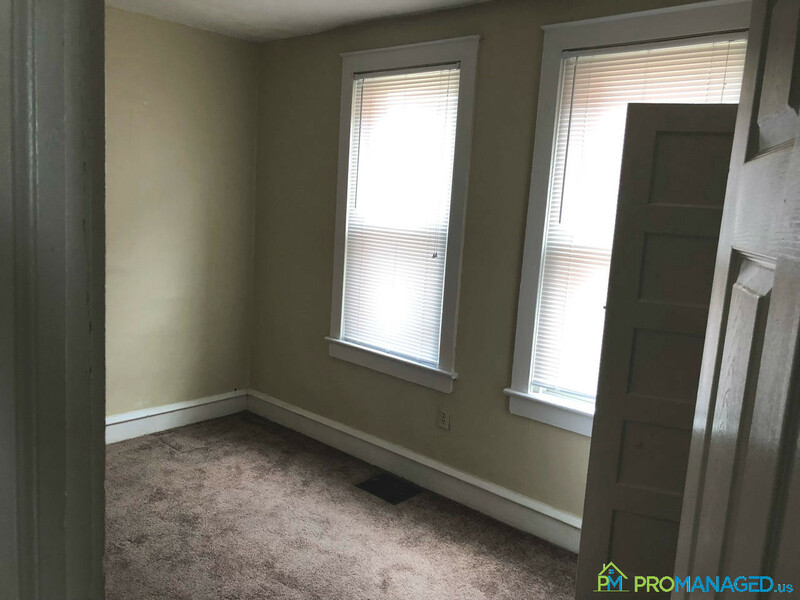 Call or text us at 856-222-1220 or email us at Promanagedinc@gmail.com Be sure to mention the address of the property! 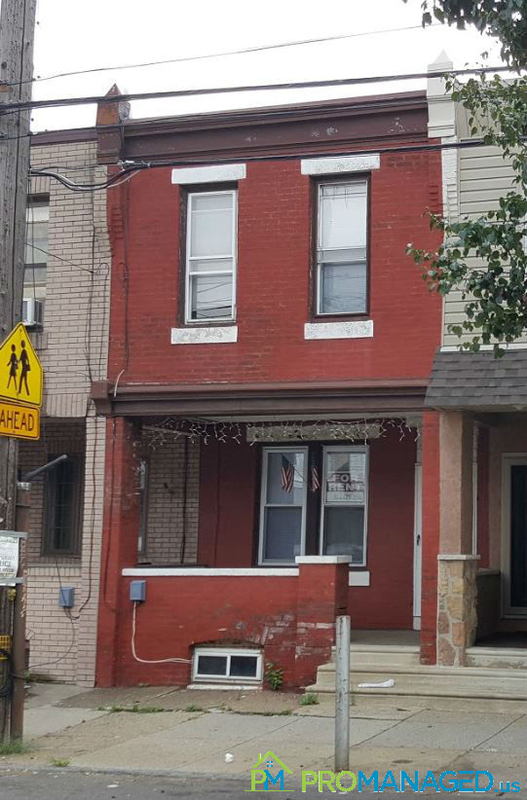 This 1 bedroom, 1 bathroom apartment is part of a tri-plex located in Tacony, Philadelphia. 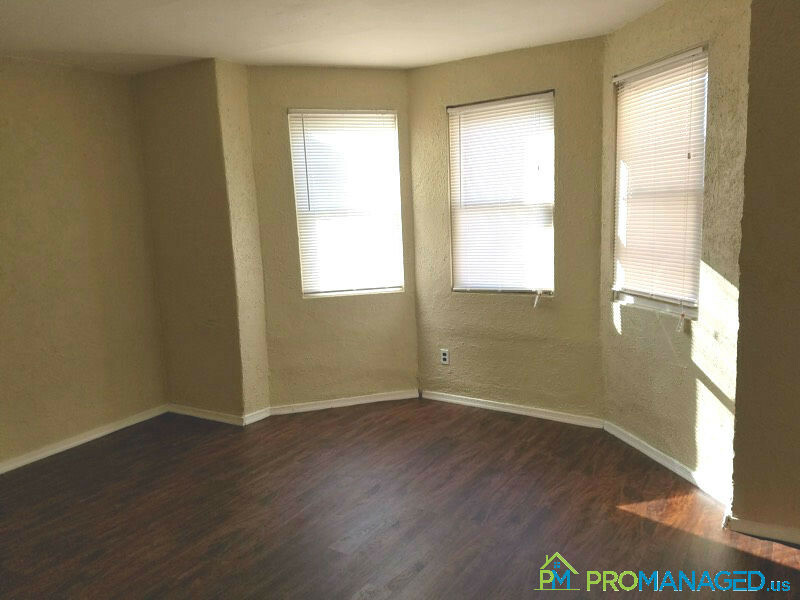 The unit features a good sized living room and bedrooms with ample closet space. 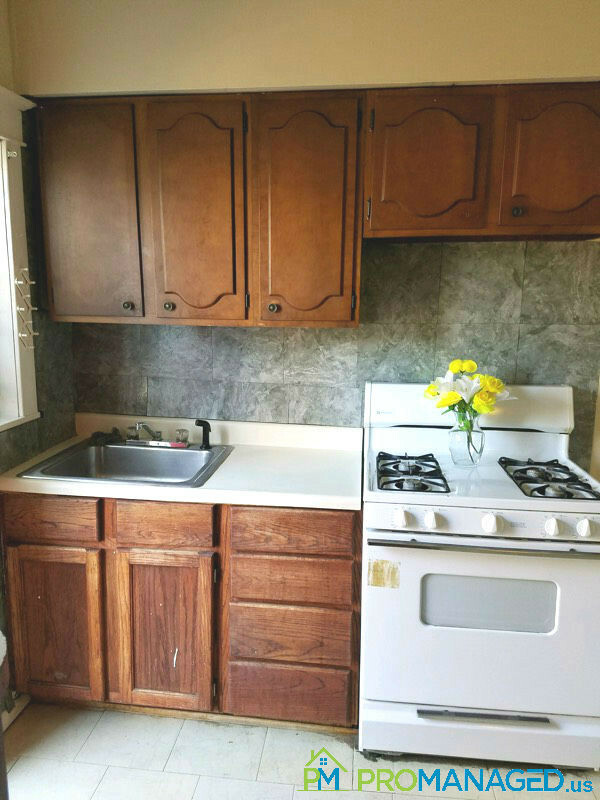 The kitchen has a lot of space to work and plenty of cabinets. 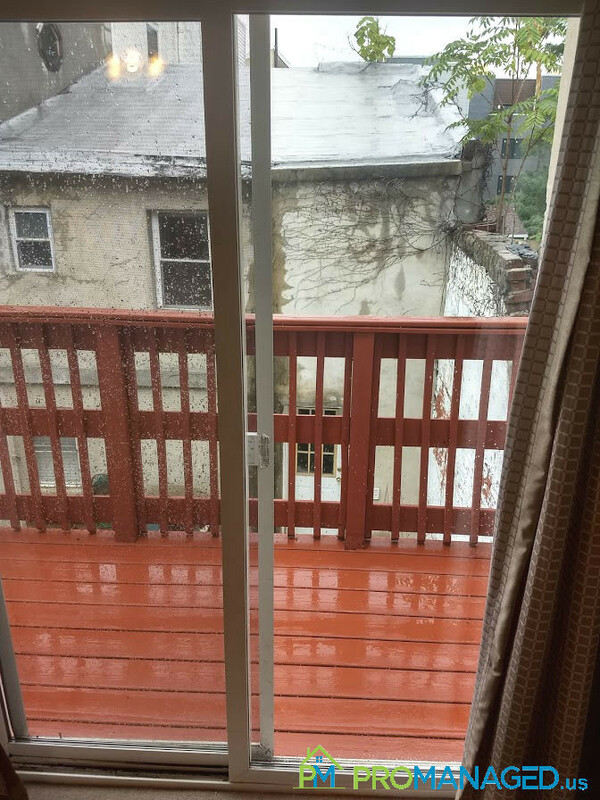 There is also a fenced rear yard. 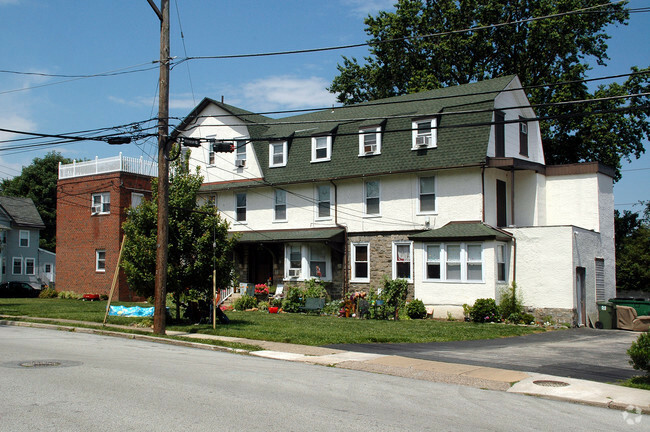 The building is within walking distance to all Torresdale Avenue has to offer such as schools, shopping, and public transportation. Its minutes from I95, Rt 1 and the bridges to New Jersey. 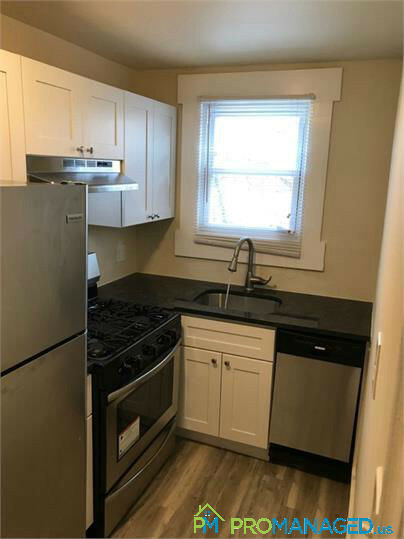 To schedule a showing for this property, click this link: http://tour.promanaged.us/schedule/?p=187 - Move in cost: $2,100 for first and last month's rent and security deposit. - Pet-friendly. $250 pet fee. Some dog breed restrictions. - 600 credit score required. Lower score may be accepted along with a co-signer. - No Section 8 - Utilities not included Questions? 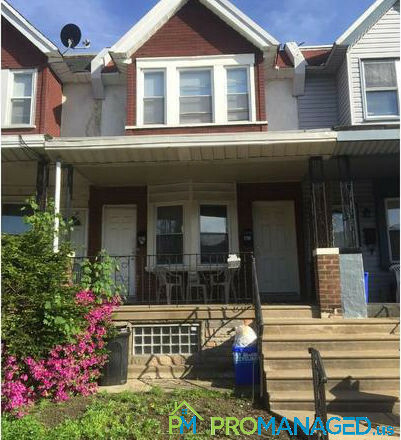 Call or text us at 856-222-1220 or email us at Promanagedinc@gmail.com Be sure to mention the address of the property! Need some extra space for storage? This garage is the answer you've been looking for! With 200 square feet of space, there's plenty of room for storing home furnishing, rarely used items, tools, and more. To schedule a showing for this garage, click this link: http://tour.promanaged.us/schedule/?p=201 To submit an application for this garage, click this link: https://docs.google.com/forms/d/e/1FAIpQLSeX4a-7IwqU9a06yXI7hsEQ7vdFjKLNOW85m0MYJNdbi8KJfw/viewform - Move in cost: $375 for first and last month's rent and security deposit. - 600 credit score required. Lower score may be accepted along with a co-signer. - No Section 8 - Utilities not included Questions? 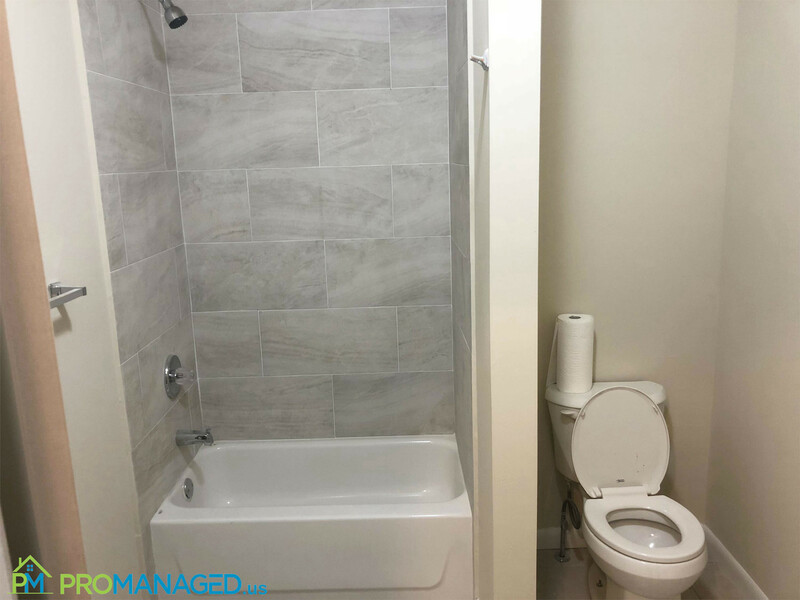 Call or text us at 856-222-1220 or email us at Promanagedinc@gmail.com Be sure to mention the address of the property! Check out this spacious 1 bedroom, 2nd-floor apartment in Historic Bristol Borough! 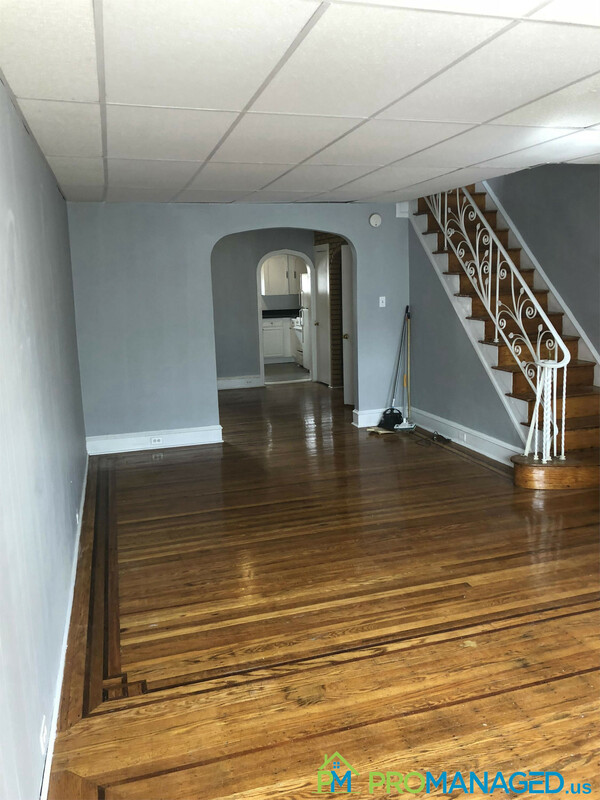 This apartment features wall to wall carpet, a large shared yard space, and is located across the street from the Delaware River and a short walk from great shopping and dining on Mill Street. No pets allowed. 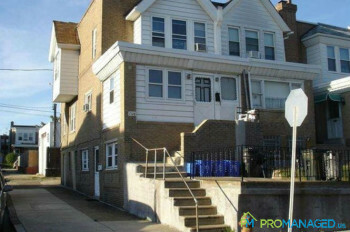 To schedule a showing for this property, click this link: http://tour.promanaged.us/schedule/?p=203 - Move in cost: $3,000 for first and last month's rent and security deposit. - Pet-friendly. $250 pet fee. Some dog breed restrictions. - 600 credit score required. Lower score may be accepted along with a co-signer. - No Section 8 - Utilities not included Questions? 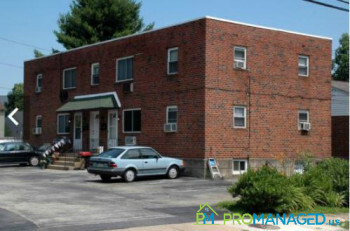 Call or text us at 856-222-1220 or email us at Promanagedinc@gmail.com Be sure to mention the address of the property! 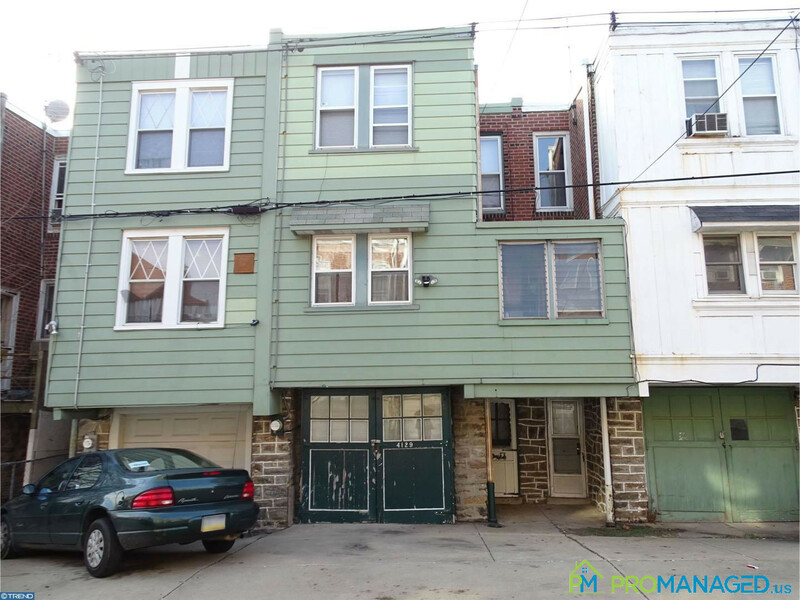 This 3 bedroom, 1.5 bathroom townhome is located in the Tacony neighborhood of Philadelphia. It features a straight-through layout with an eat-in kitchen, living room, dining room, powder room in the basement, and a large yard. 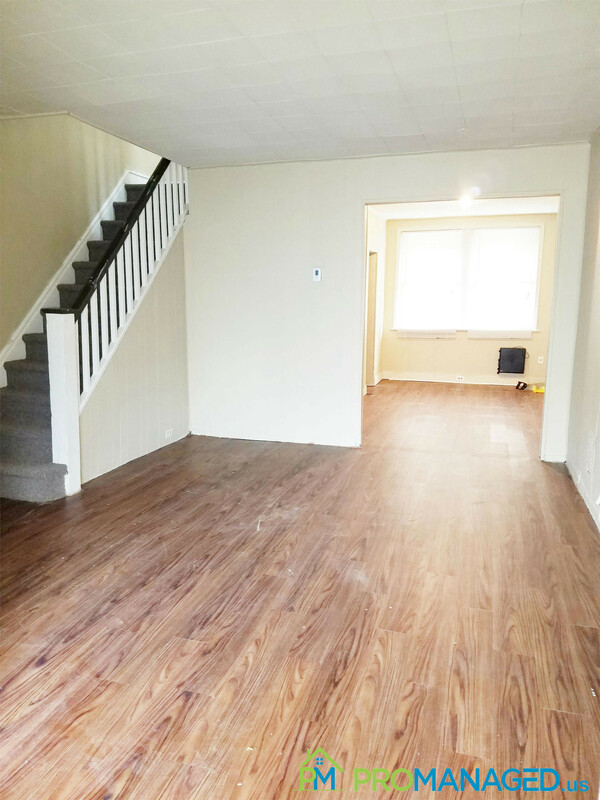 7128 Edmund is available NOW for you to call home! 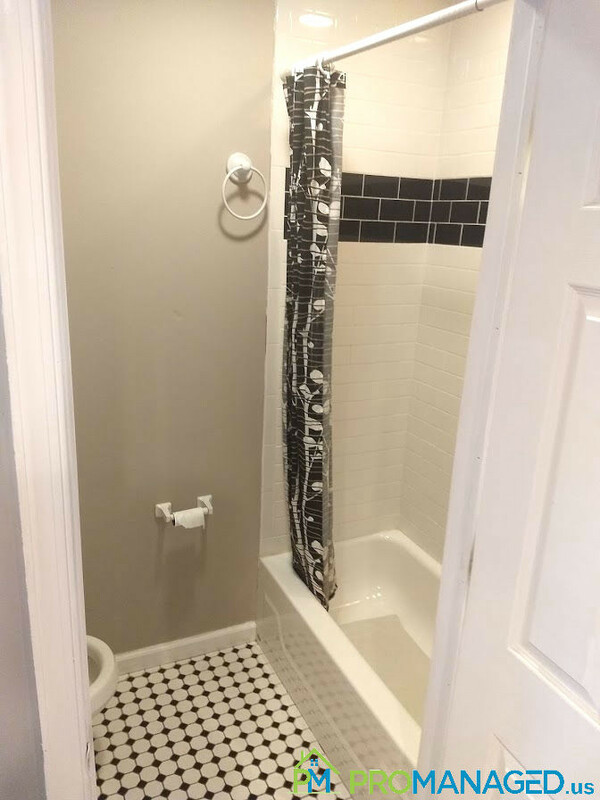 To schedule a showing for this property, click this link: http://tour.promanaged.us/schedule/?p=219 - Move in cost: $3,000 for first and last month's rent and security deposit. - Pet-friendly. $250 pet fee. Some dog breed restrictions. - 600 credit score required. Lower score may be accepted along with a co-signer. - No Section 8 - Utilities not included Questions? 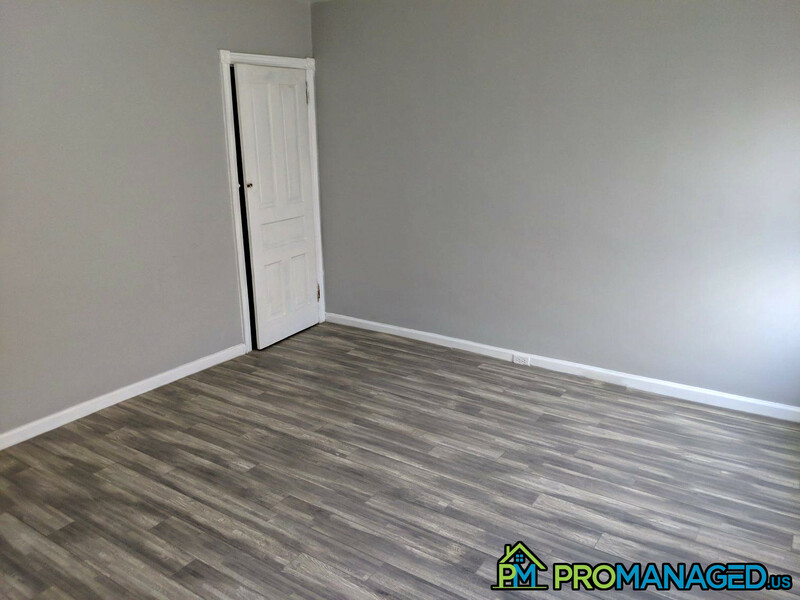 Call or text us at 856-222-1220 or email us at Promanagedinc@gmail.com Be sure to mention the address of the property! 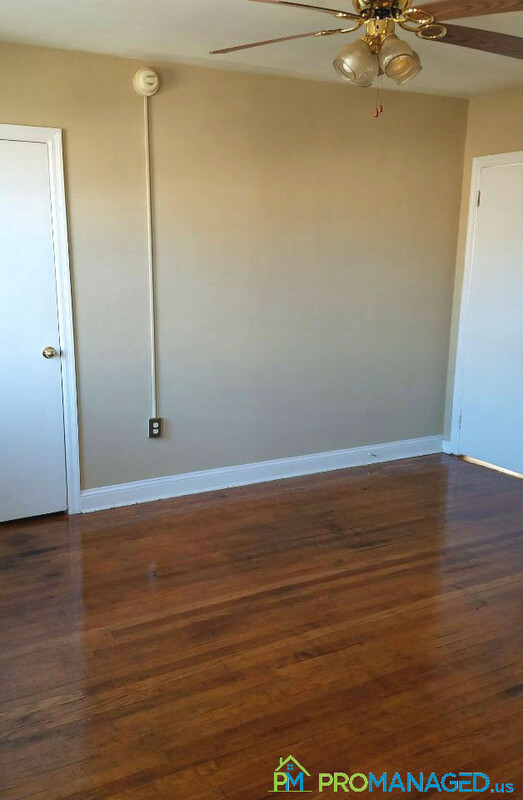 This studio apartment has everything you need! There's a built-in wall air conditioner already installed so no need to buy your own! There's also a refrigerator and oven/range included. 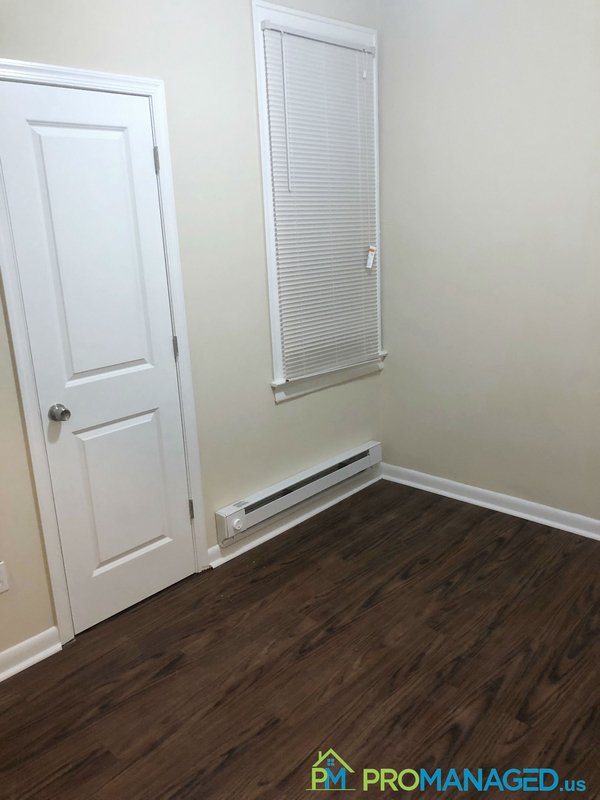 To schedule a showing for this property, click this link: http://tour.promanaged.us/schedule/?p= - Move in cost: $1,200 for first and last month's rent and security deposit. - Pet-friendly. $250 pet fee. Some dog breed restrictions. - 600 credit score required. Lower score may be accepted along with a co-signer. - No Section 8 - Utilities not included Questions? Call or text us at 856-222-1220 or email us at Promanagedinc@gmail.com Be sure to mention the address of the property! 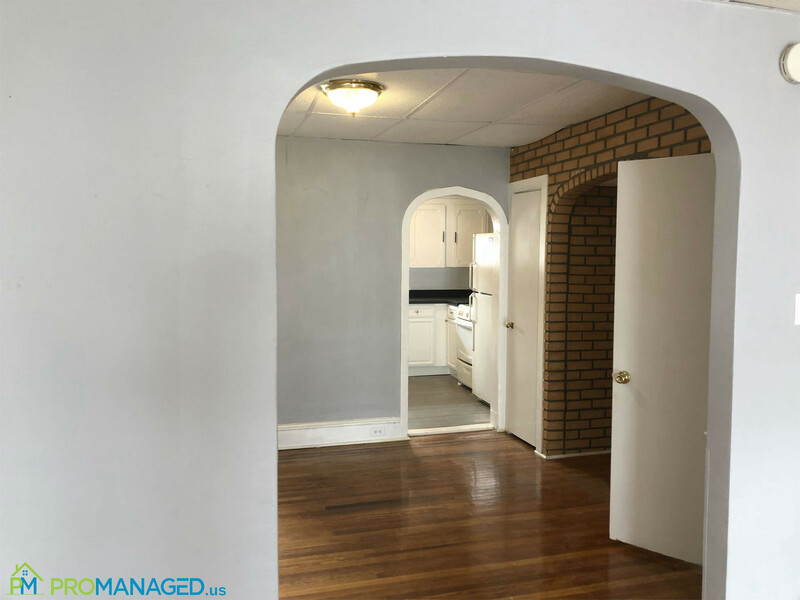 Come see our NEWLY updated 1 bedroom apartment for rent in the heart of Tacony. 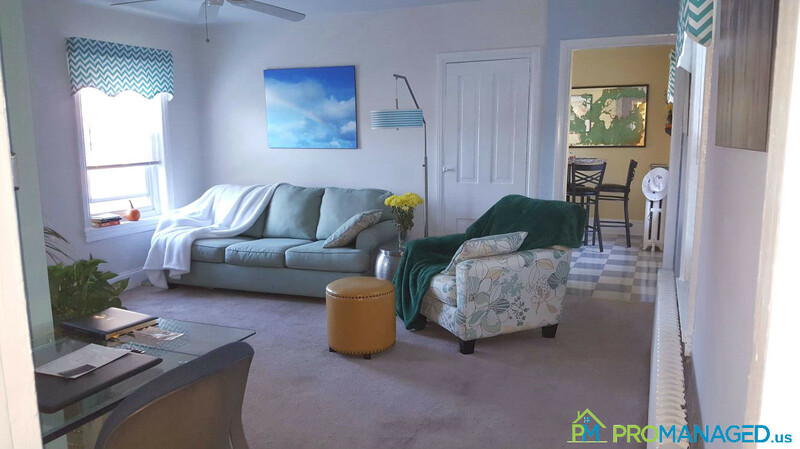 Apartment 1R is within walking distance of many restaurants, public transportation, and conveniently located near major roads like I-95. Ready to make this your new home? Schedule a showing here: http://tour.promanaged.us/schedule/?p=104 - Move in cost: $2,550 for first and last month's rent and security deposit. - Pet-friendly. $250 pet fee. Some dog breed restrictions. - 600 credit score required. Lower score may be accepted along with a co-signer. - No Section 8 - Utilities not included Questions? 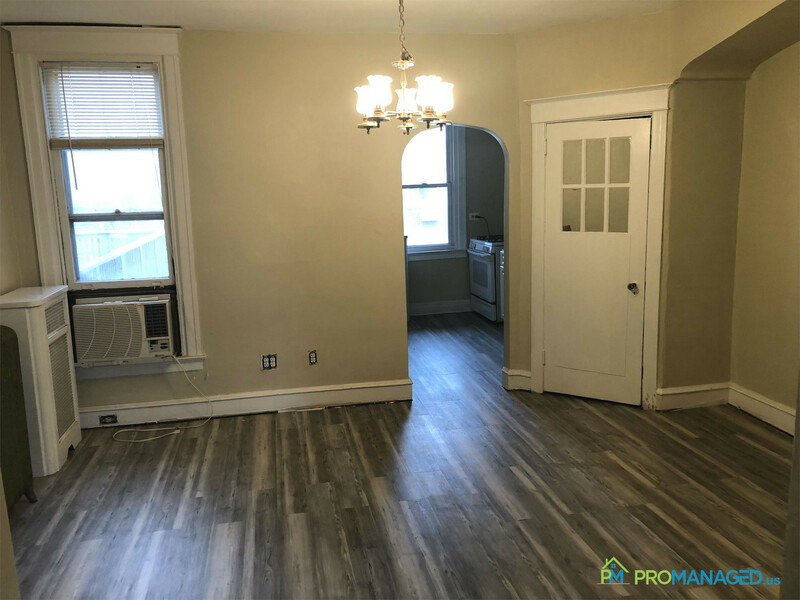 Call or text us at 856-222-1220 or email us at Promanagedinc@gmail.com Be sure to mention the address of the property! 7145 Gillespie Street is a two-story, single family home located in the Mayfair section of Philadelphia. 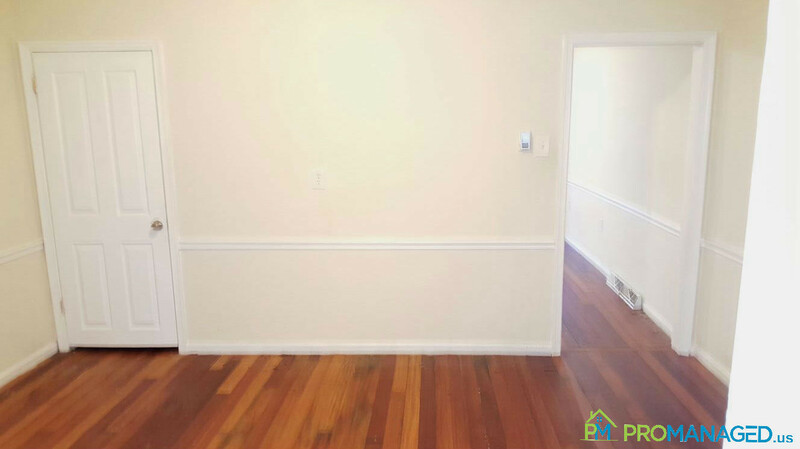 This newly remodeled home features 3 bedrooms, 1 bathroom, an eat-in kitchen with all new appliances, a basement and an attached garage. This is the perfect home for you and your family! 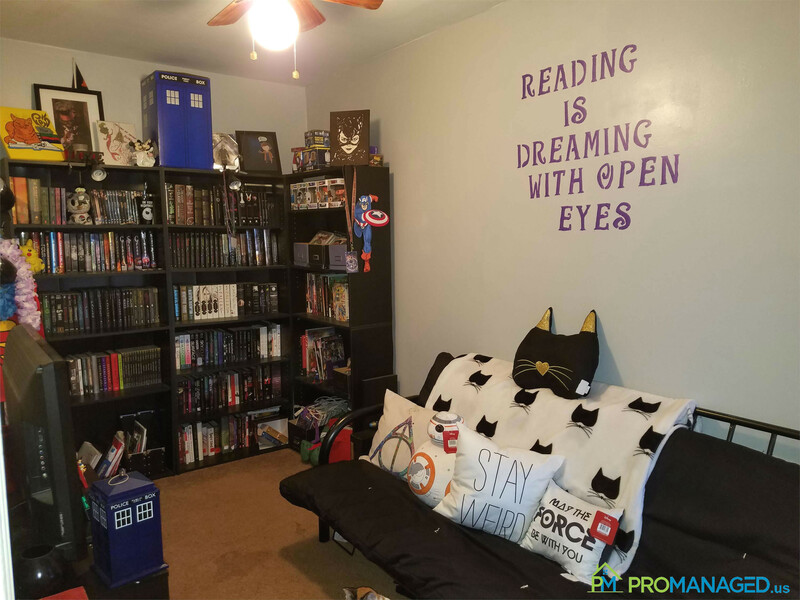 Ready to make this your new home? Schedule a showing here: http://tour.promanaged.us/schedule/?p=117 - Move in cost: $3,600 for first and last month's rent and security deposit. - Pet-friendly. $250 pet fee. Some dog breed restrictions. - 600 credit score required. Lower score may be accepted along with a co-signer. - No Section 8 - Utilities not included Questions? 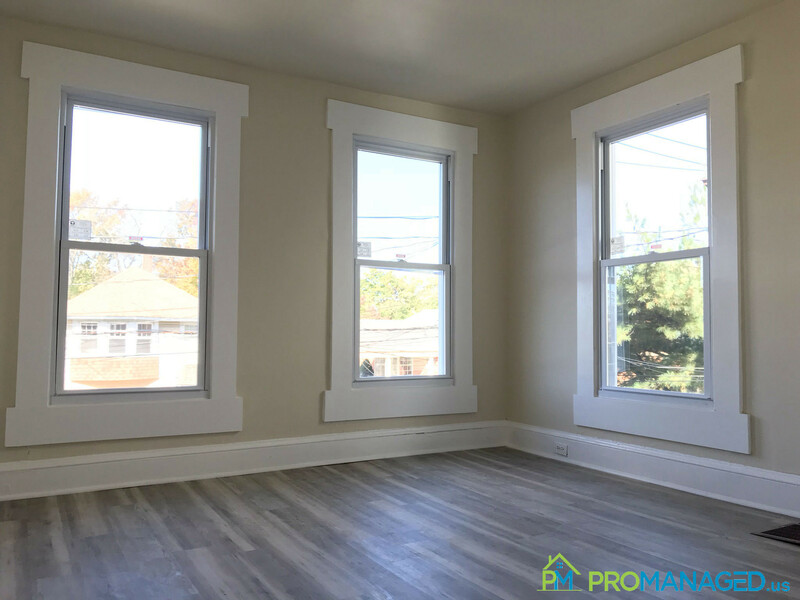 Call or text us at 856-222-1220 or email us at Promanagedinc@gmail.com Be sure to mention the address of the property! Do you dream of operating your own business, but need a great commercial space in order to do so? 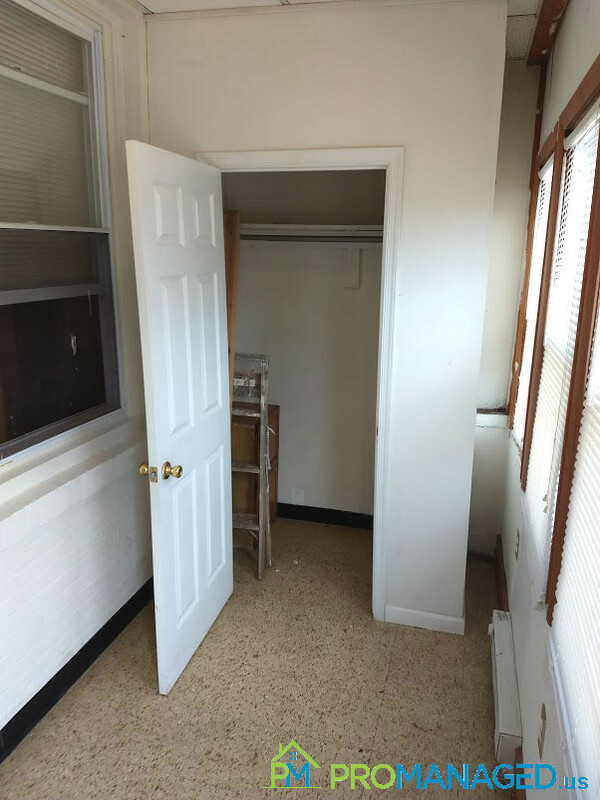 This affordable commercial space is perfect for you! Located in the heart of Tacony at the intersection of Edmund and Friendship street, you'll get plenty of exposure for your business. It's also within walking distance of many restaurants, public transportation, and is conveniently located near major roads like I-95. AVAILABLE NOW! Ready to make your business dreams a reality? Schedule a showing of the property here: http://tour.promanaged.us/schedule/?p=103 - Move in cost: $2,250 for first and last month's rent and security deposit. - Pet-friendly. $250 pet fee. Some dog breed restrictions. - 600 credit score required. Lower score may be accepted along with a co-signer. - No Section 8 - Utilities not included Questions? Call or text us at 856-222-1220 or email us at Promanagedinc@gmail.com Be sure to mention the address of the property! 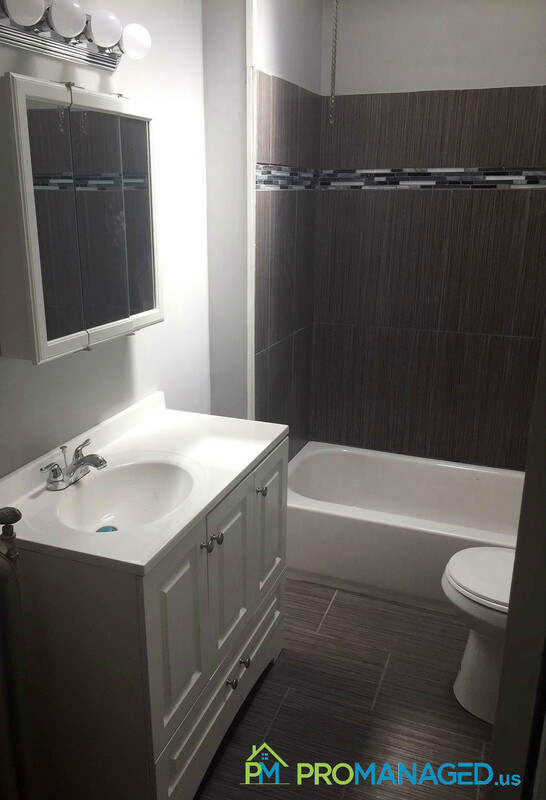 Newly renovated 1 bedroom for rent!! 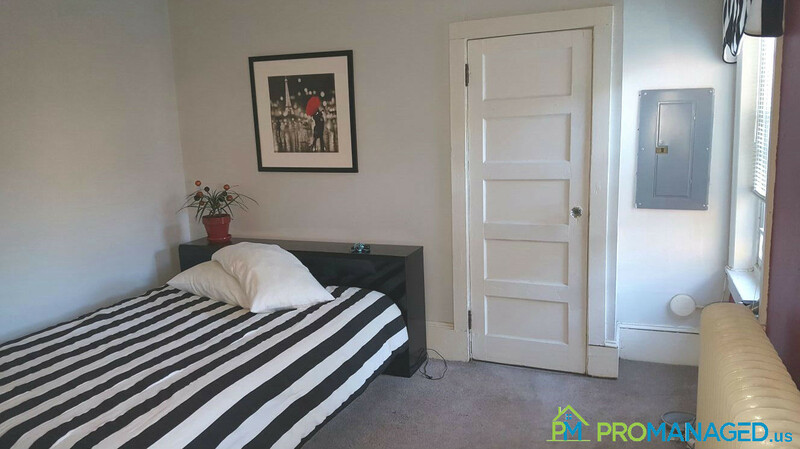 This unit is in an excellent location, close to 95, two bridges and only a 15-minute ride into town! This unit won't last, make an appointment today! 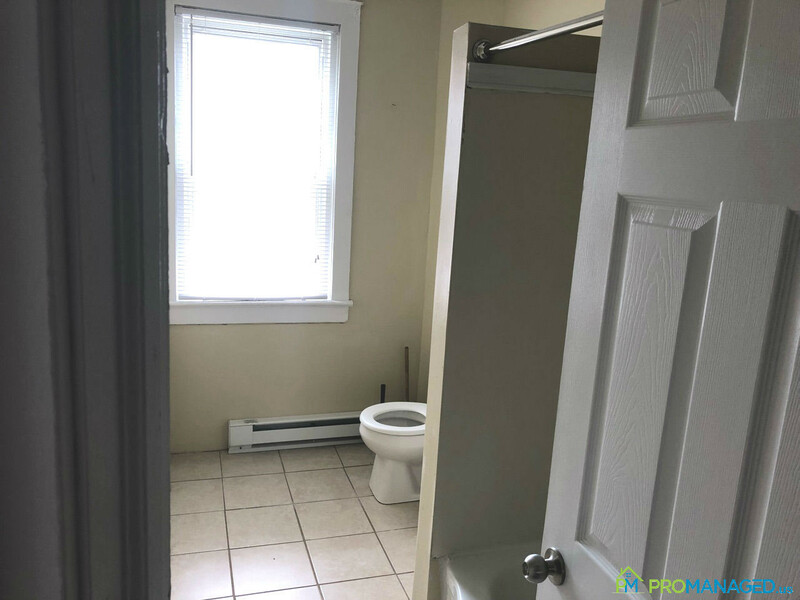 To schedule a showing for this property, click this link: http://tour.promanaged.us/schedule/?p= - Move in cost: $ for first and last month's rent and security deposit. - Pet-friendly. $250 pet fee. Some dog breed restrictions. - 600 credit score required. Lower score may be accepted along with a co-signer. - No Section 8 - Utilities not included Questions? 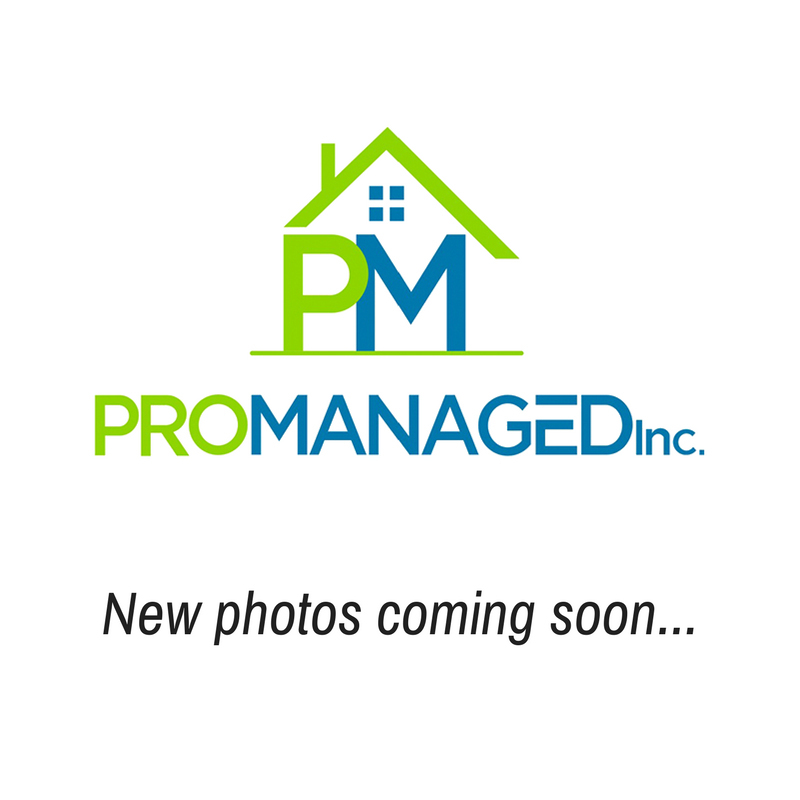 Call or text us at 856-222-1220 or email us at Promanagedinc@gmail.com Be sure to mention the address of the property! 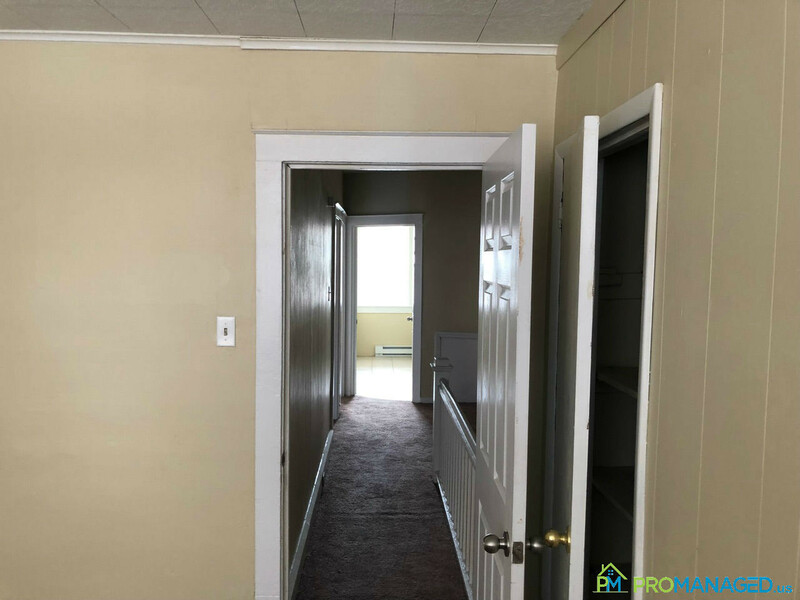 This unit is in an excellent location, close to 95, two bridges and only a 15-minute ride into town! 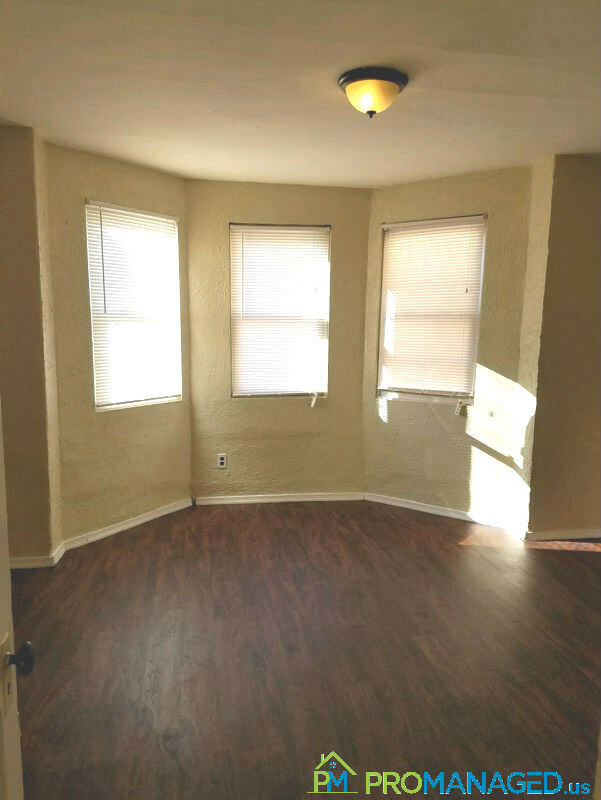 This unit features an open layout with a living room, kitchen, and full bath. This unit won't last, so make an appointment today! 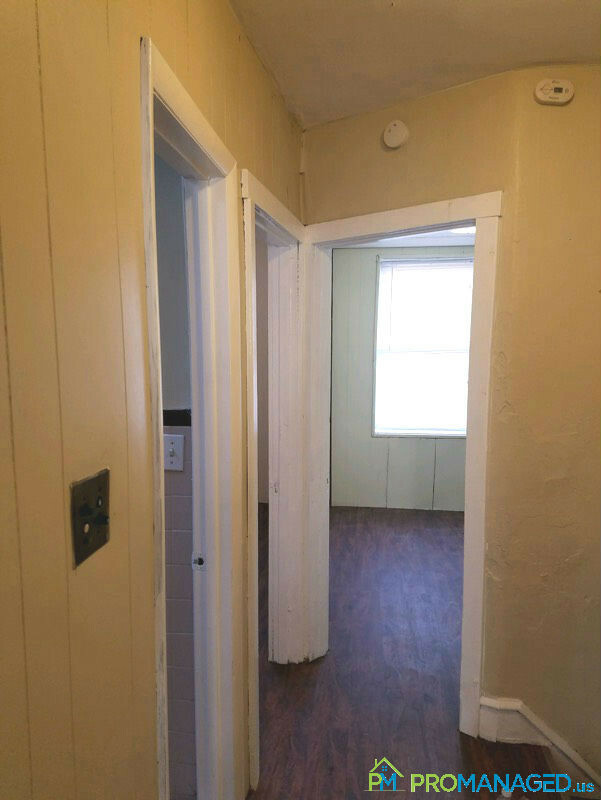 To schedule a showing for this property, click this link: http://tour.promanaged.us/schedule/?p= - Move in cost: $ for first and last month's rent and security deposit. - Pet-friendly. $250 pet fee. Some dog breed restrictions. - 600 credit score required. Lower score may be accepted along with a co-signer. - No Section 8 - Utilities not included Questions? 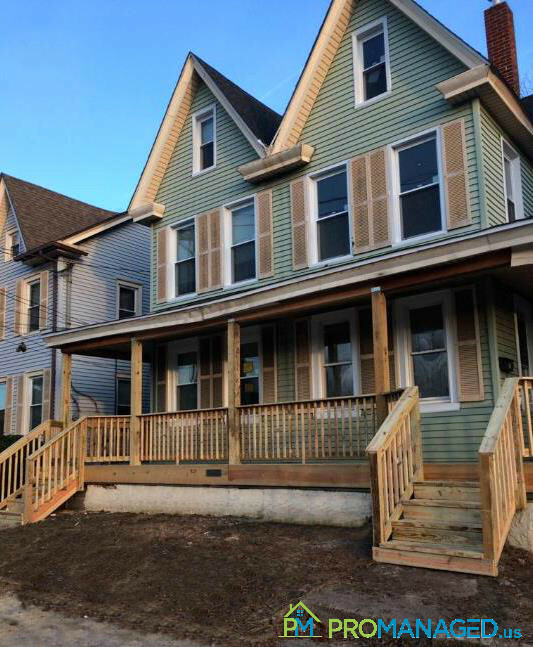 Call or text us at 856-222-1220 or email us at Promanagedinc@gmail.com Be sure to mention the address of the property! Need some extra space for storage? This garage is the answer you've been looking for! With 200 square feet of space, there's plenty of room for storing home furnishing, rarely used items, tools, and more. To submit an application for this garage, click this link: https://docs.google.com/forms/d/e/1FAIpQLSeX4a-7IwqU9a06yXI7hsEQ7vdFjKLNOW85m0MYJNdbi8KJfw/viewform - Move in cost: $ for first and last month's rent and security deposit. - 600 credit score required. Lower score may be accepted along with a co-signer. - No Section 8 - Utilities not included Questions? 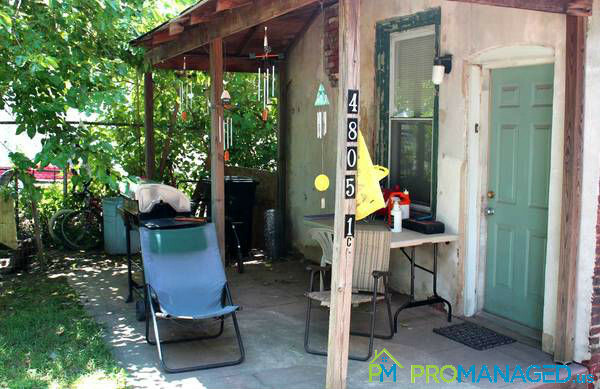 Call or text us at 856-222-1220 or email us at Promanagedinc@gmail.com Be sure to mention the address of the property! 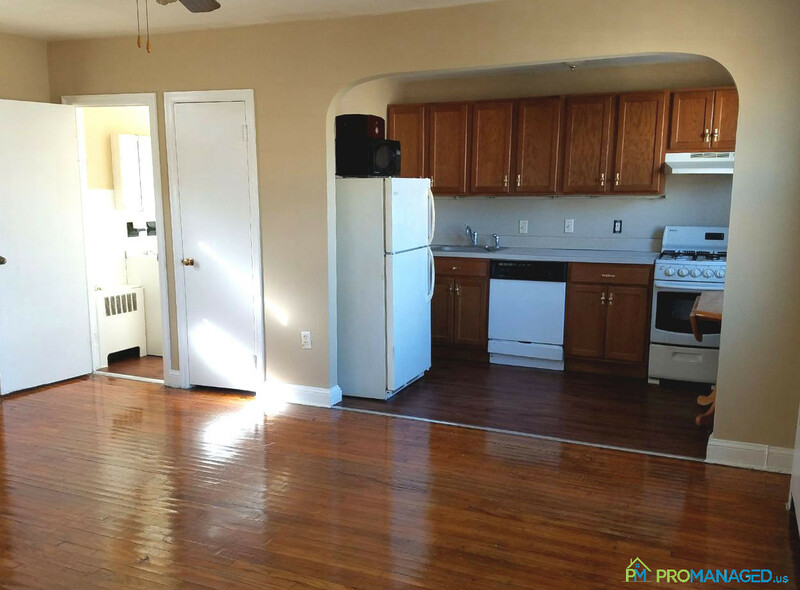 This 1 bedroom, 1 bathroom first-floor apartment is located in Southwest Philadelphia. 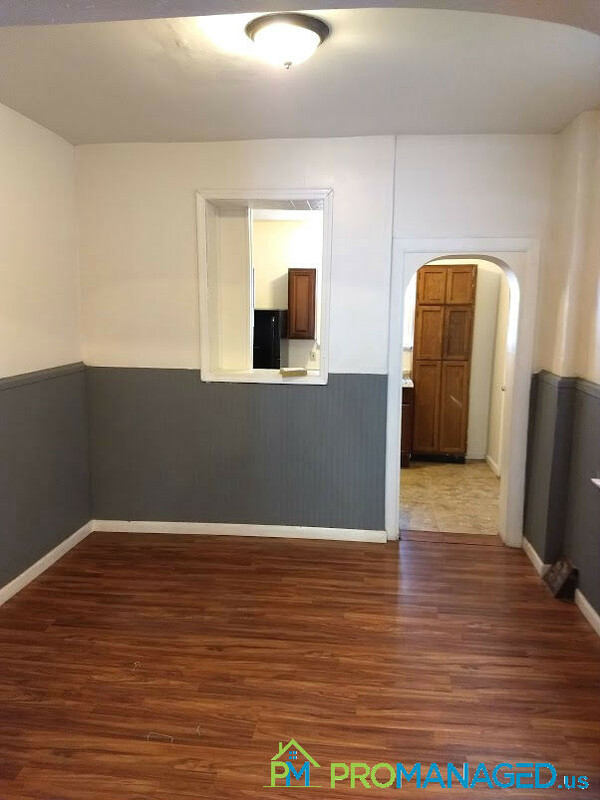 It features a living room, kitchen with appliances, and fresh paint. 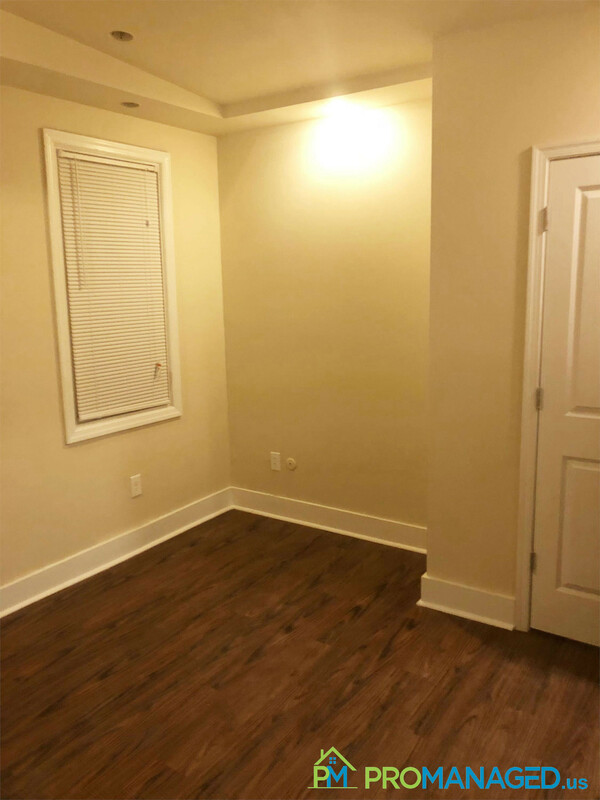 Get ready to call this your new home today! 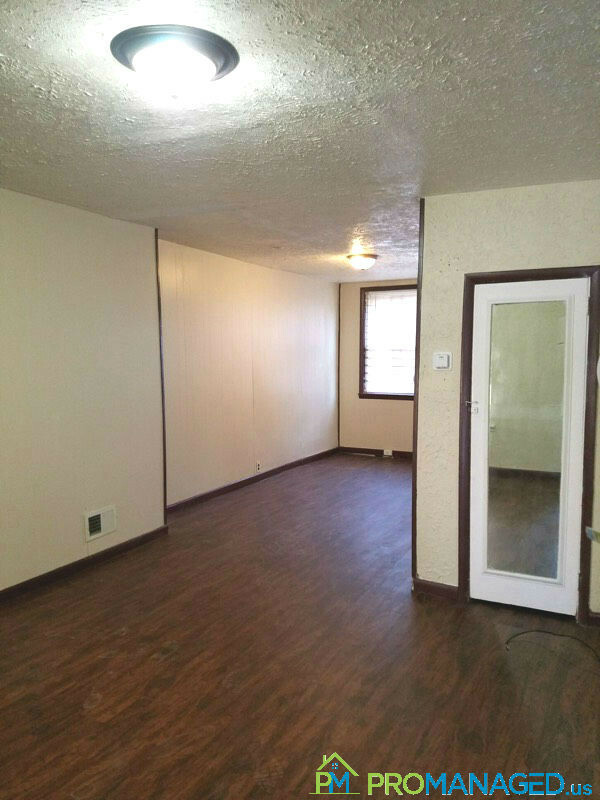 To schedule a showing for this property, click this link: http://tour.promanaged.us/schedule/?p= - Move in cost: $ for first and last month's rent and security deposit. - Pet-friendly. $250 pet fee. Some dog breed restrictions. - 600 credit score required. Lower score may be accepted along with a co-signer. - No Section 8 - Utilities not included Questions? 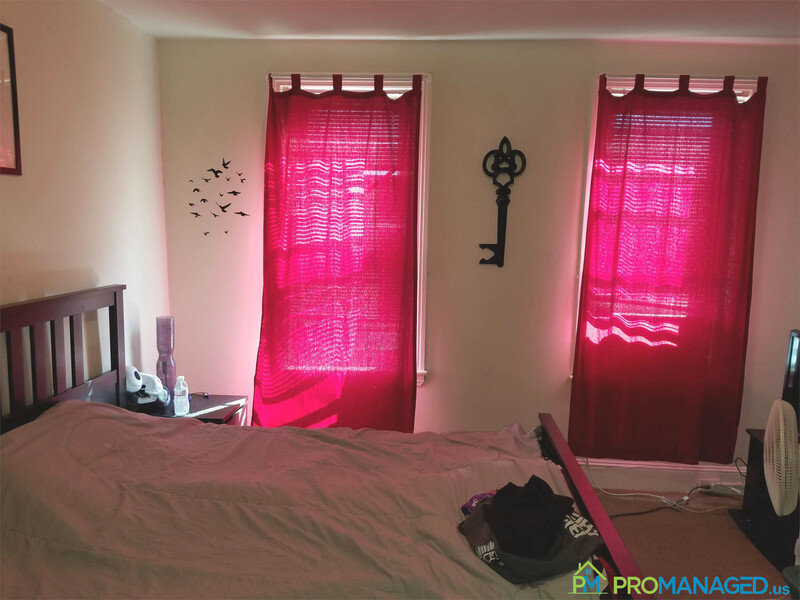 Call or text us at 856-222-1220 or email us at Promanagedinc@gmail.com Be sure to mention the address of the property! 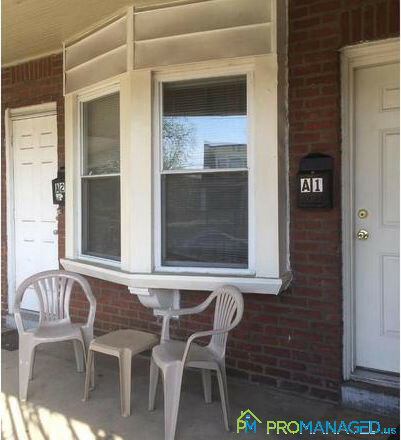 This 1 bedroom, 1 bathroom second-floor apartment is located in Southwest Philadelphia. 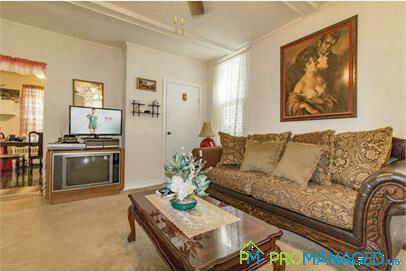 It features a living room, kitchen with appliances, and fresh paint. 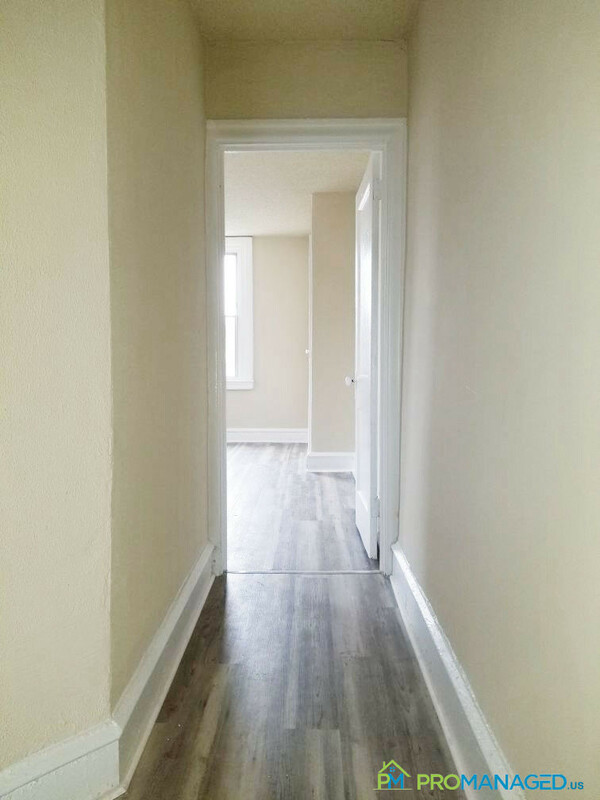 Get ready to call this your new home today! 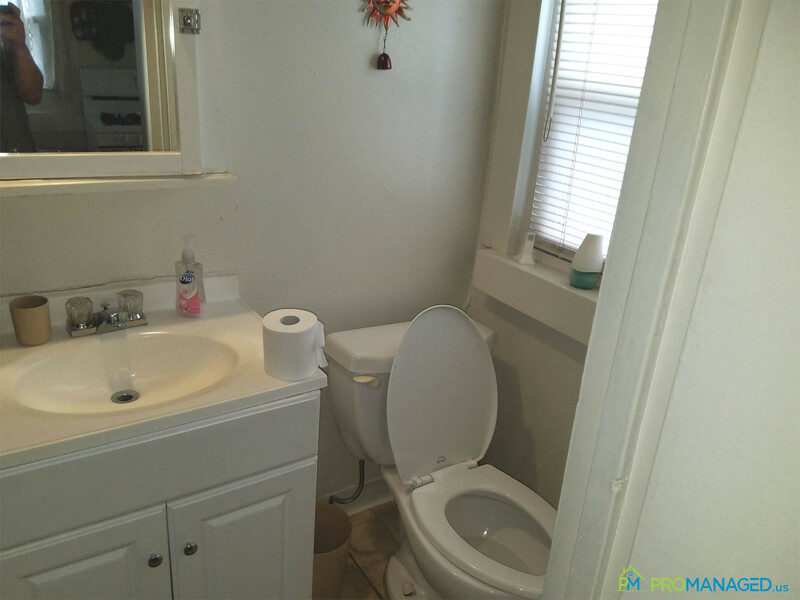 To schedule a showing for this property, click this link: http://tour.promanaged.us/schedule/?p= - Move in cost: $ for first and last month's rent and security deposit. - Pet-friendly. $250 pet fee. Some dog breed restrictions. - 600 credit score required. Lower score may be accepted along with a co-signer. - No Section 8 - Utilities not included Questions? 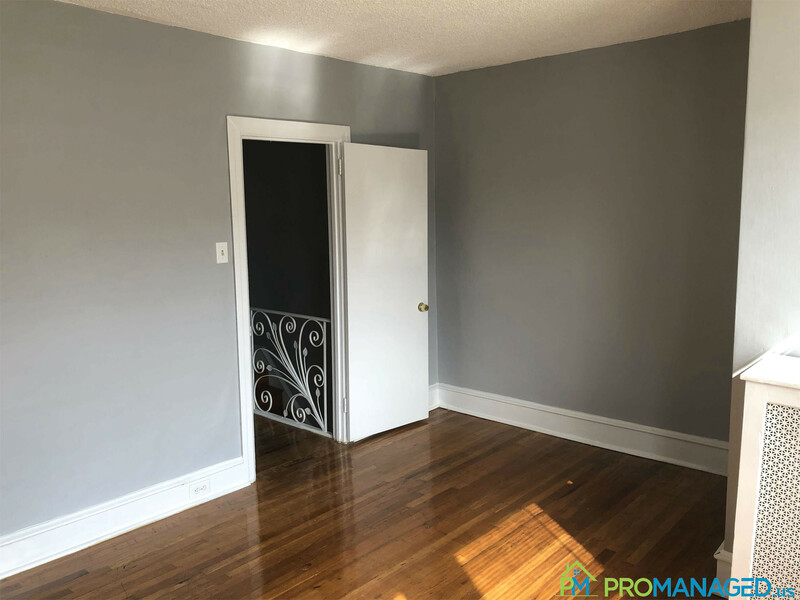 Call or text us at 856-222-1220 or email us at Promanagedinc@gmail.com Be sure to mention the address of the property! 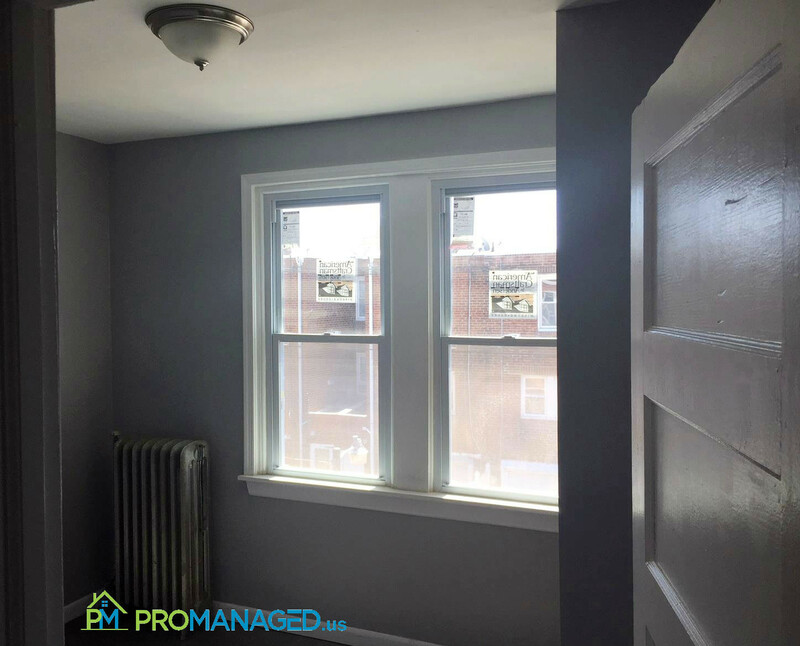 This 1 bedroom, 1 bathroom ground-floor apartment is located in Southwest Philadelphia. 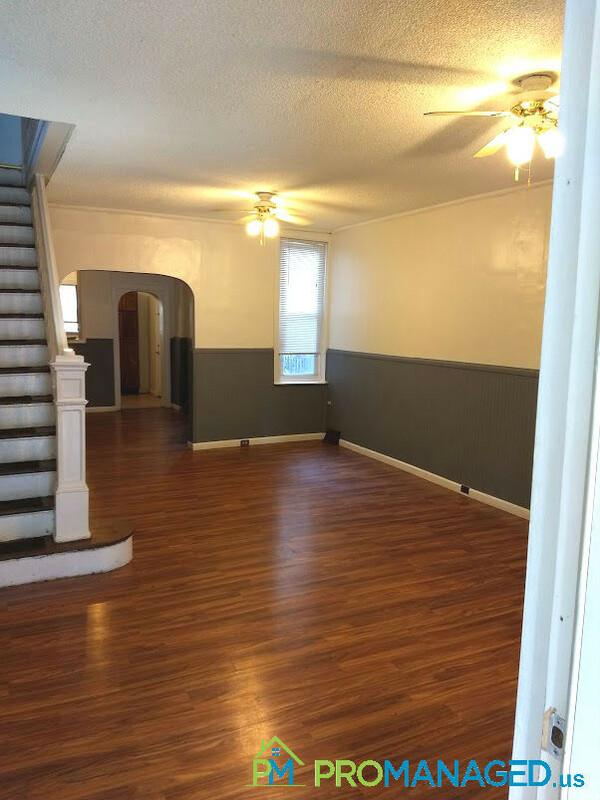 It features a living room, kitchen with appliances, and fresh paint. Get ready to call this your new home today! 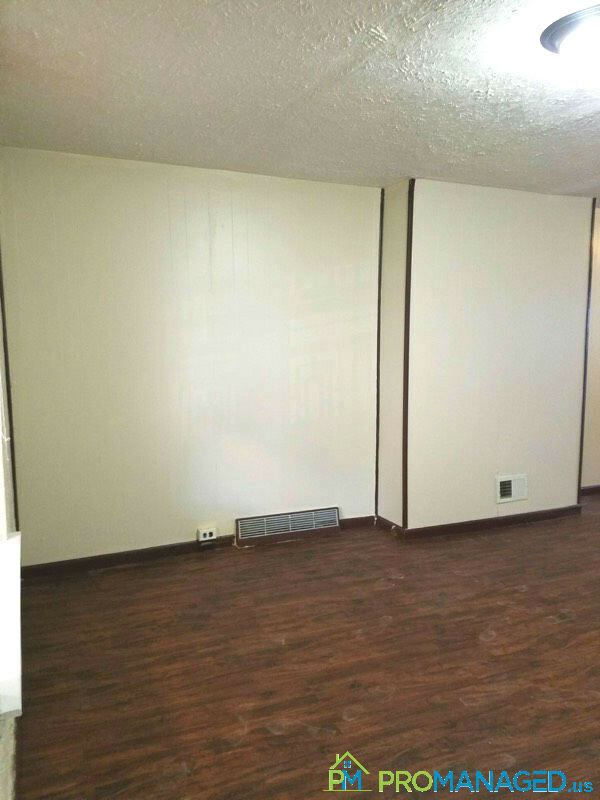 To schedule a showing for this property, click this link: http://tour.promanaged.us/schedule/?p= - Move in cost: $ for first and last month's rent and security deposit. - Pet-friendly. $250 pet fee. Some dog breed restrictions. - 600 credit score required. Lower score may be accepted along with a co-signer. - No Section 8 - Utilities not included Questions? 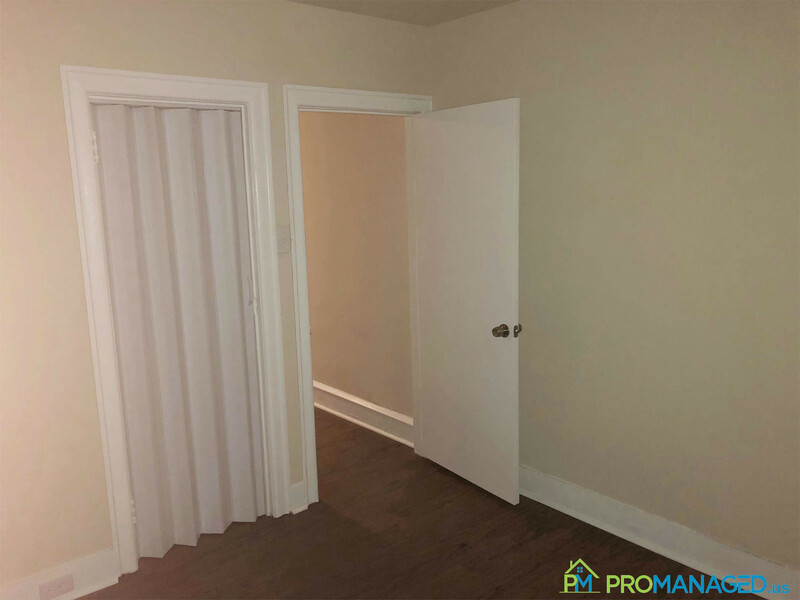 Call or text us at 856-222-1220 or email us at Promanagedinc@gmail.com Be sure to mention the address of the property! Need some extra space for storage? This garage is the answer you've been looking for! With 200 square feet of space, there's plenty of room for storing home furnishing, rarely used items, tools, and more. 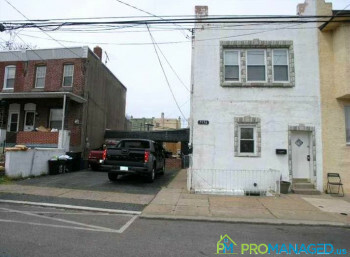 To schedule a showing for this garage, click this link: http://tour.promanaged.us/schedule/?p=181 To submit an application for this garage, click this link: https://docs.google.com/forms/d/e/1FAIpQLSeX4a-7IwqU9a06yXI7hsEQ7vdFjKLNOW85m0MYJNdbi8KJfw/viewform - Move in cost: $375 for first and last month's rent and security deposit. - 600 credit score required. Lower score may be accepted along with a co-signer. - No Section 8 - Utilities not included Questions? 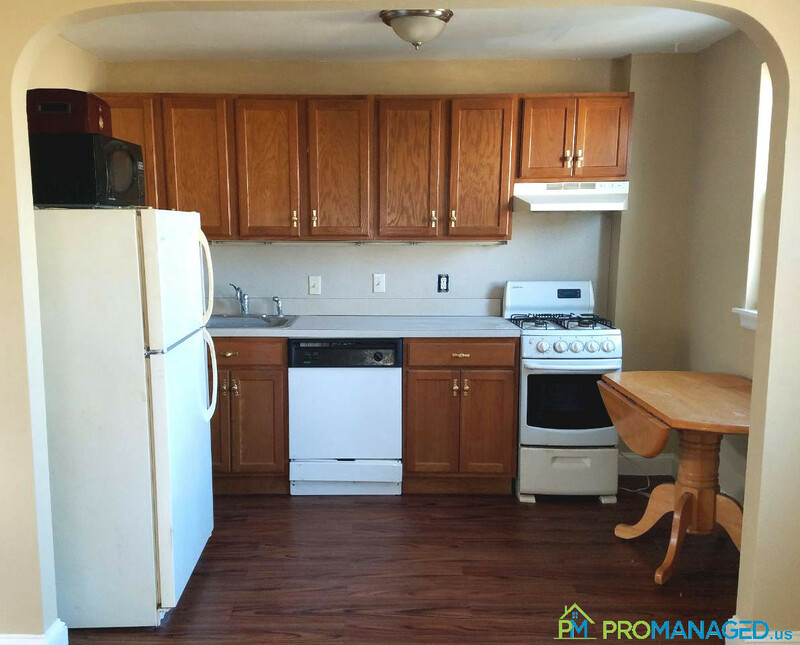 Call or text us at 856-222-1220 or email us at Promanagedinc@gmail.com Be sure to mention the address of the property! 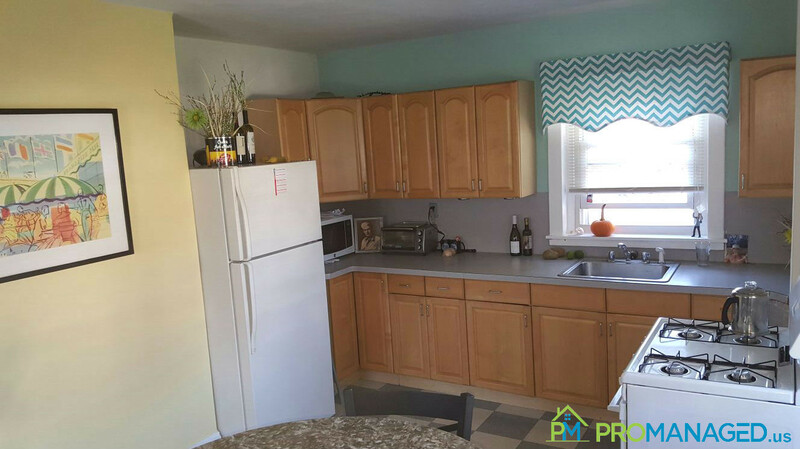 Check out this spacious 1 bedroom, 1 bathroom apartment in Historic Bristol Borough! 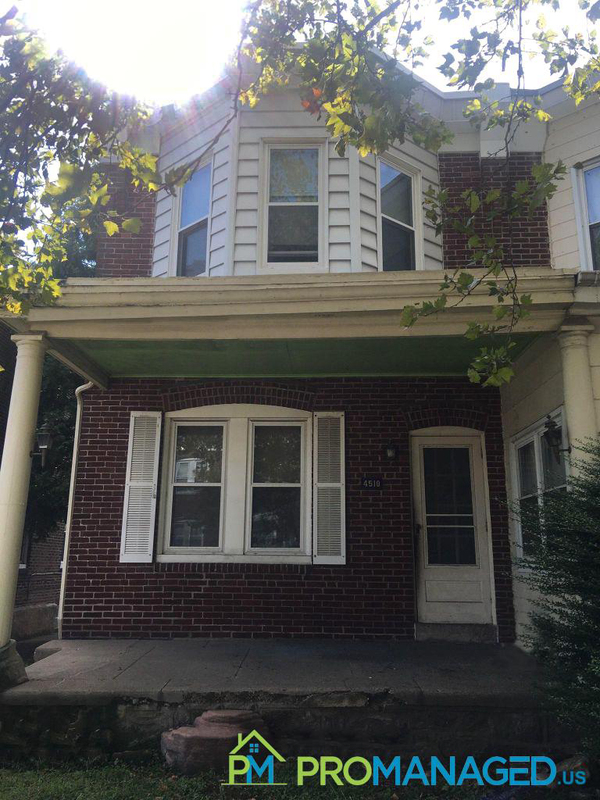 This apartment features wall to wall carpet, a large shared yard space, and is located across the street from the Delaware River and a short walk from great shopping and dining on Mill Street. No pets allowed. 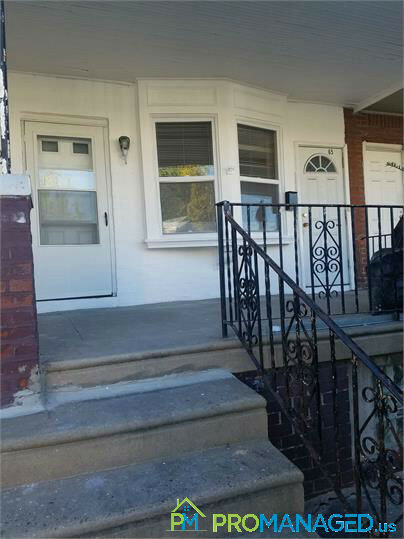 To schedule a showing for this property, click this link: http://tour.promanaged.us/schedule/?p=205 - Move in cost: first and last month's rent and security deposit. - Pet-friendly. $250 pet fee. Some dog breed restrictions. - 600 credit score required. Lower score may be accepted along with a co-signer. - No Section 8 - Utilities not included Questions? 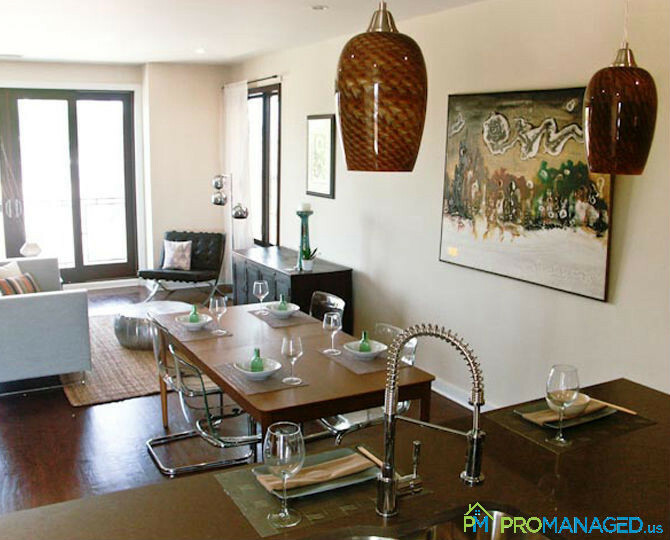 Call or text us at 856-222-1220 or email us at Promanagedinc@gmail.com Be sure to mention the address of the property! 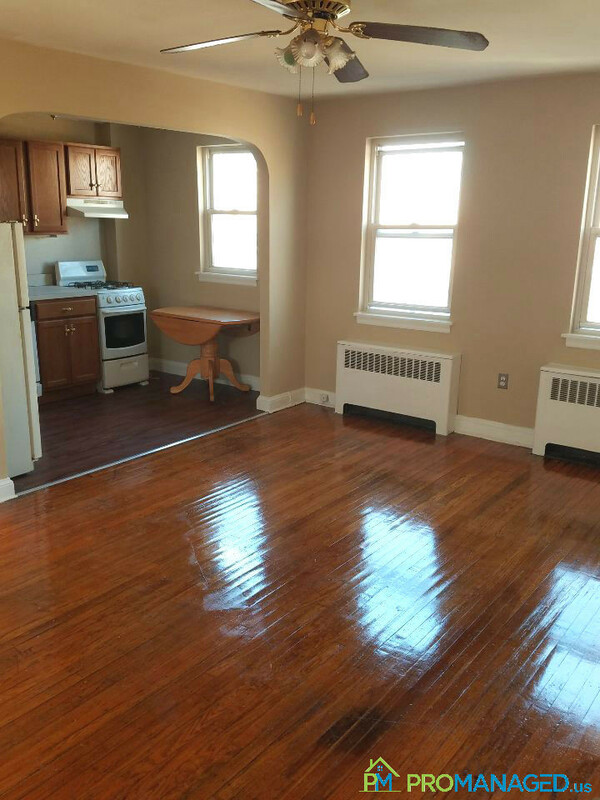 Check out this spacious 1 bedroom, 1 bathroom apartment in Historic Bristol Borough! 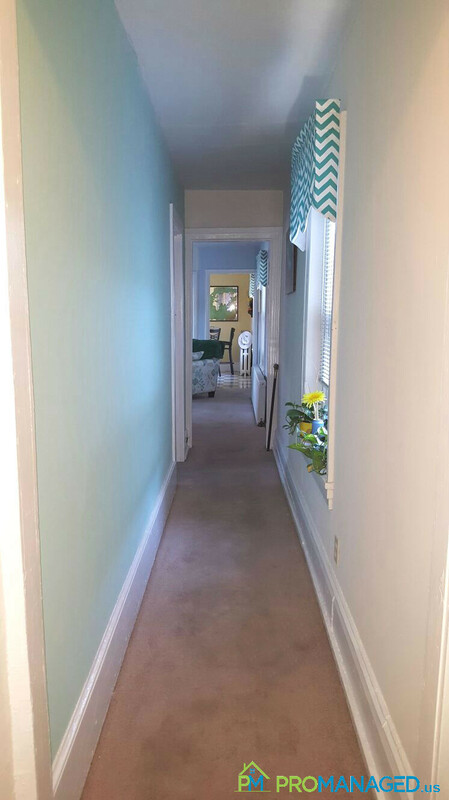 This apartment features wall to wall carpet, a large shared yard space, and is located across the street from the Delaware River and a short walk from great shopping and dining on Mill Street. No pets allowed. 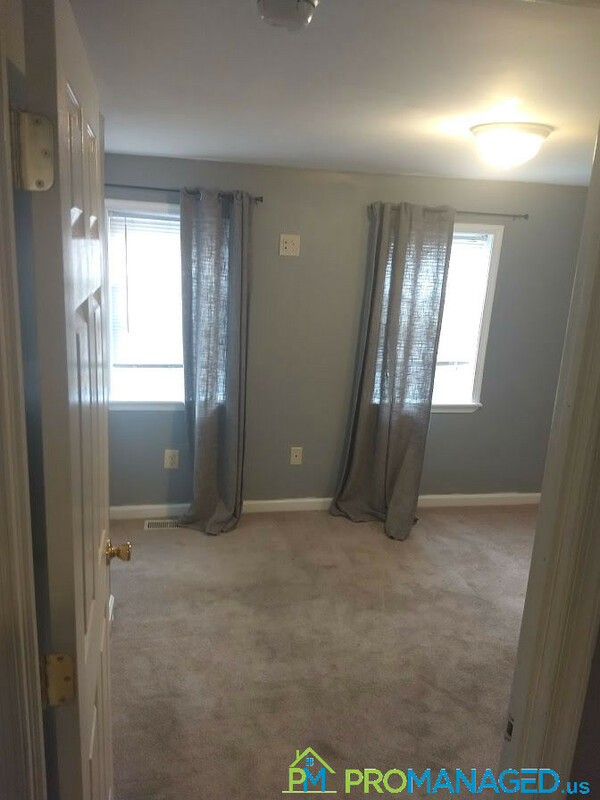 To schedule a showing for this property, click this link: http://tour.promanaged.us/schedule/?p=207 - Move in cost: first and last month's rent and security deposit. - Pet-friendly. $250 pet fee. Some dog breed restrictions. - 600 credit score required. Lower score may be accepted along with a co-signer. - No Section 8 - Utilities not included Questions? 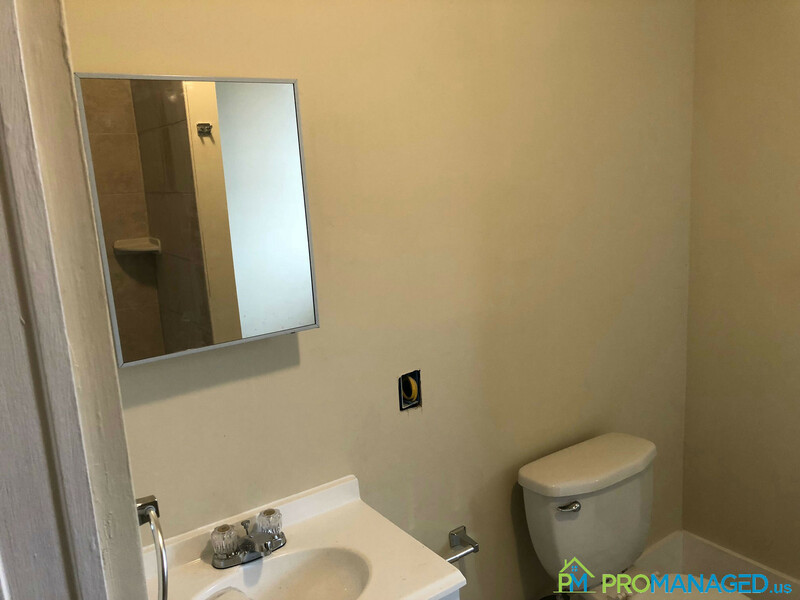 Call or text us at 856-222-1220 or email us at Promanagedinc@gmail.com Be sure to mention the address of the property! 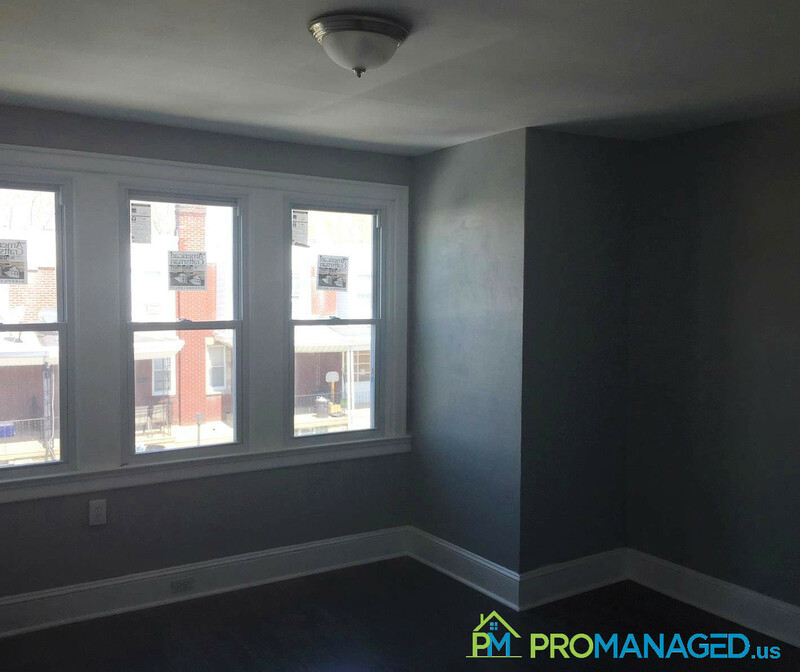 Check out this spacious 1 bedroom, 1 bathroom apartment in Historic Bristol Borough! This apartment features wall to wall carpet, a large shared yard space, and is located across the street from the Delaware River and a short walk from great shopping and dining on Mill Street. No pets allowed. 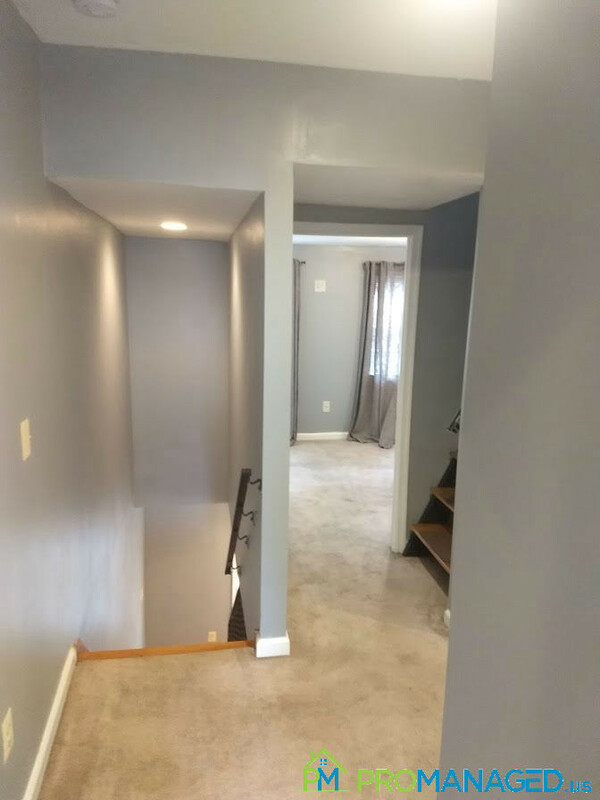 To schedule a showing for this property, click this link: http://tour.promanaged.us/schedule/?p=208 - Move in cost: first and last month's rent and security deposit. - Pet-friendly. $250 pet fee. Some dog breed restrictions. - 600 credit score required. Lower score may be accepted along with a co-signer. - No Section 8 - Utilities not included Questions? 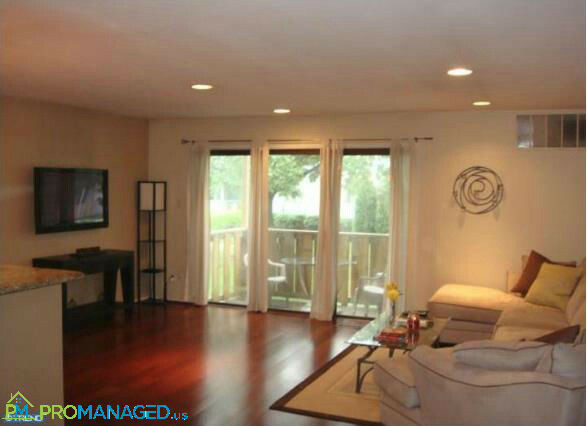 Call or text us at 856-222-1220 or email us at Promanagedinc@gmail.com Be sure to mention the address of the property! 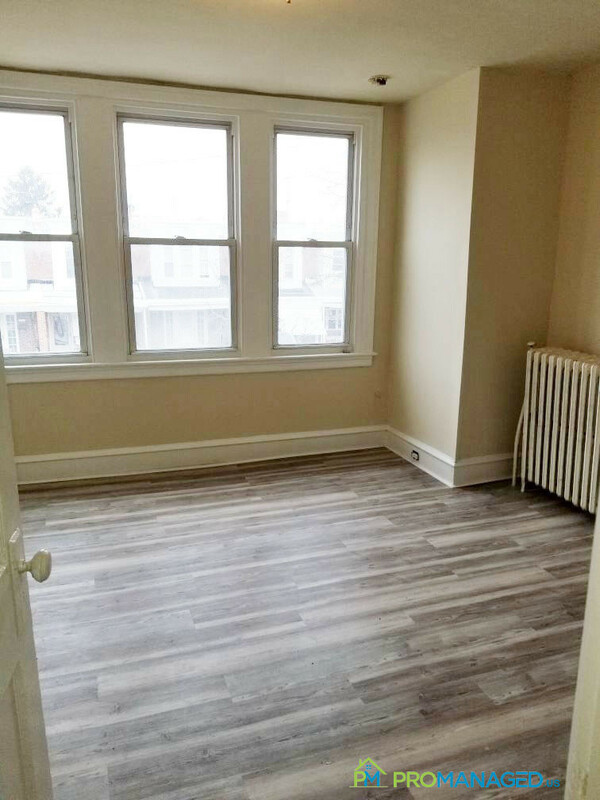 Check out this spacious 1 bedroom, 1 bathroom apartment in Historic Bristol Borough! 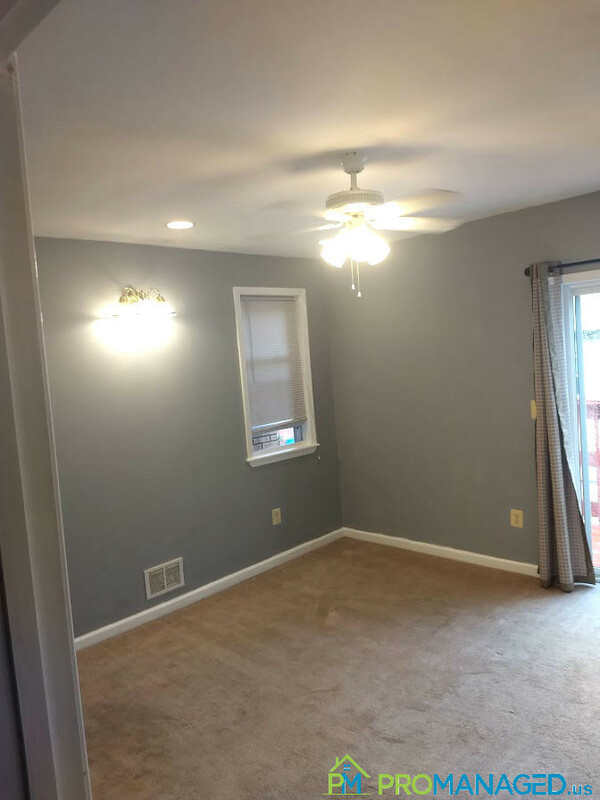 This apartment features wall to wall carpet, a large shared yard space, and is located across the street from the Delaware River and a short walk from great shopping and dining on Mill Street. No pets allowed. 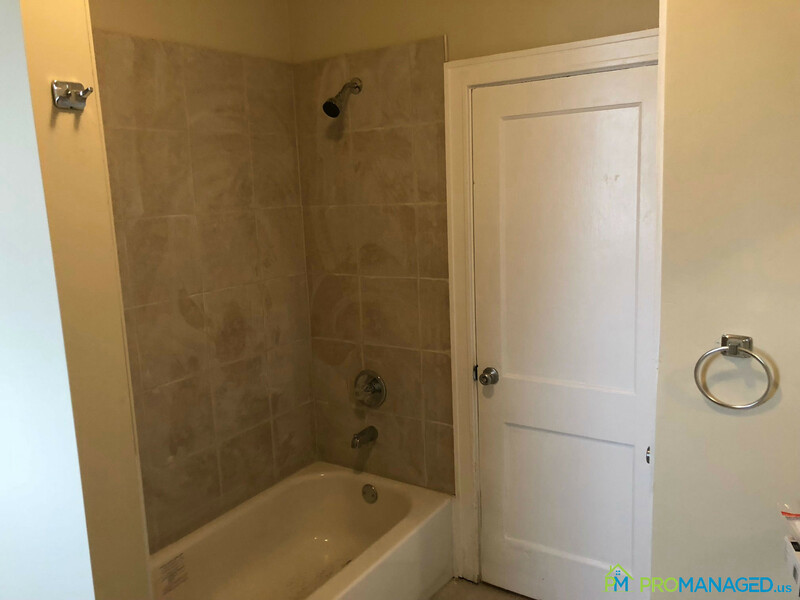 To schedule a showing for this property, click this link: http://tour.promanaged.us/schedule/?p=210 - Move in cost: first and last month's rent and security deposit. - Pet-friendly. $250 pet fee. Some dog breed restrictions. - 600 credit score required. Lower score may be accepted along with a co-signer. - No Section 8 - Utilities not included Questions? 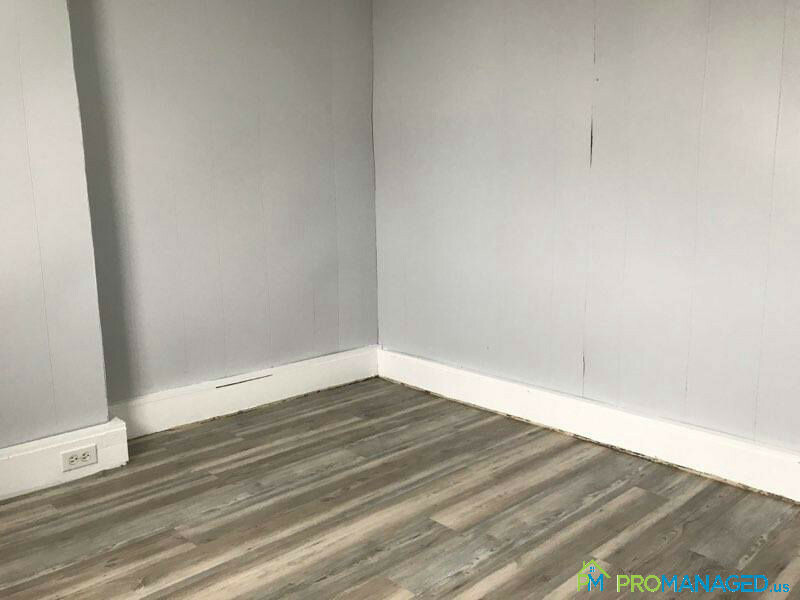 Call or text us at 856-222-1220 or email us at Promanagedinc@gmail.com Be sure to mention the address of the property! 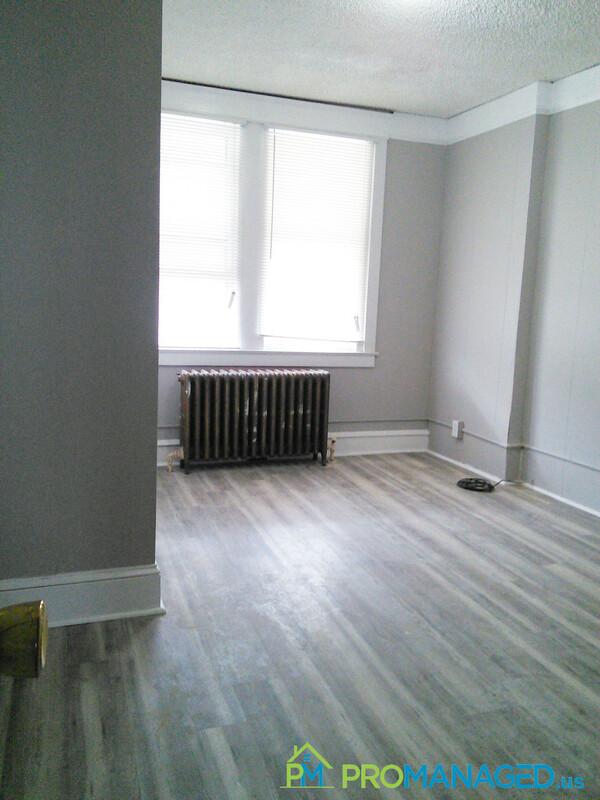 Check out this spacious 1 bedroom, 1 bathroom apartment in Historic Bristol Borough! 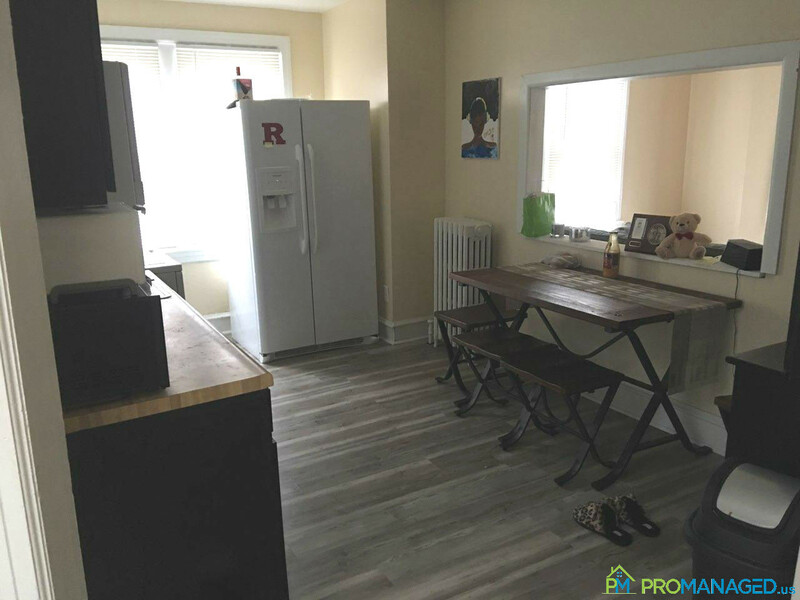 This apartment features wall to wall carpet, a large shared yard space, and is located across the street from the Delaware River and a short walk from great shopping and dining on Mill Street. No pets allowed. 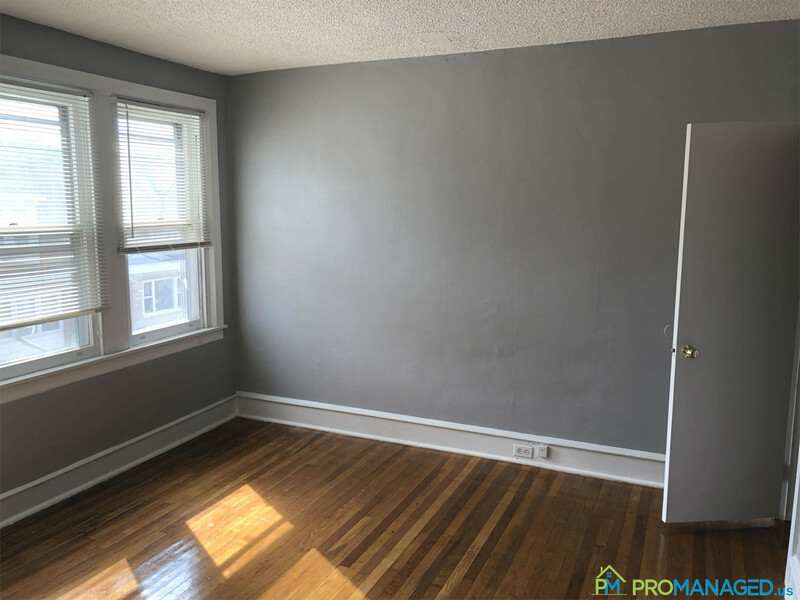 To schedule a showing for this property, click this link: http://tour.promanaged.us/schedule/?p=211 - Move in cost: first and last month's rent and security deposit. - Pet-friendly. $250 pet fee. Some dog breed restrictions. - 600 credit score required. Lower score may be accepted along with a co-signer. - No Section 8 - Utilities not included Questions? 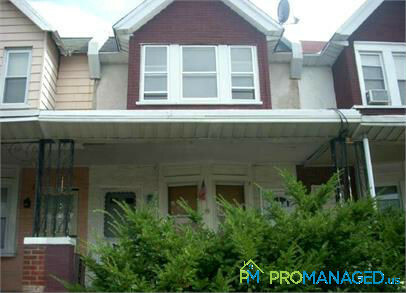 Call or text us at 856-222-1220 or email us at Promanagedinc@gmail.com Be sure to mention the address of the property! 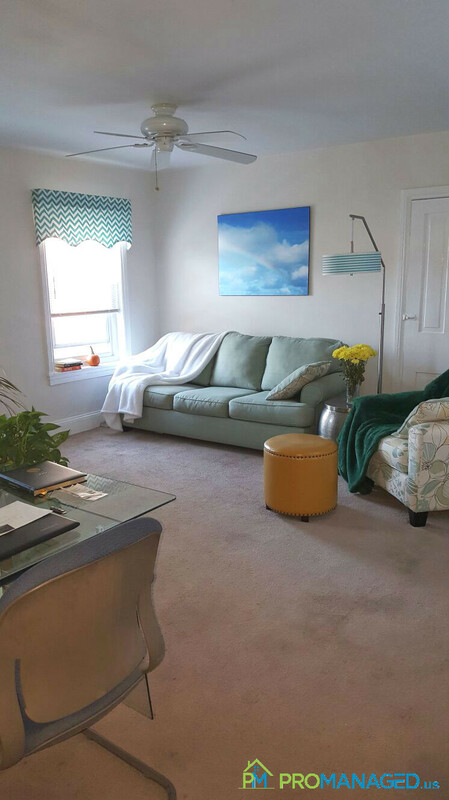 Check out this spacious 1 bedroom, 1 bathroom apartment in Historic Bristol Borough! 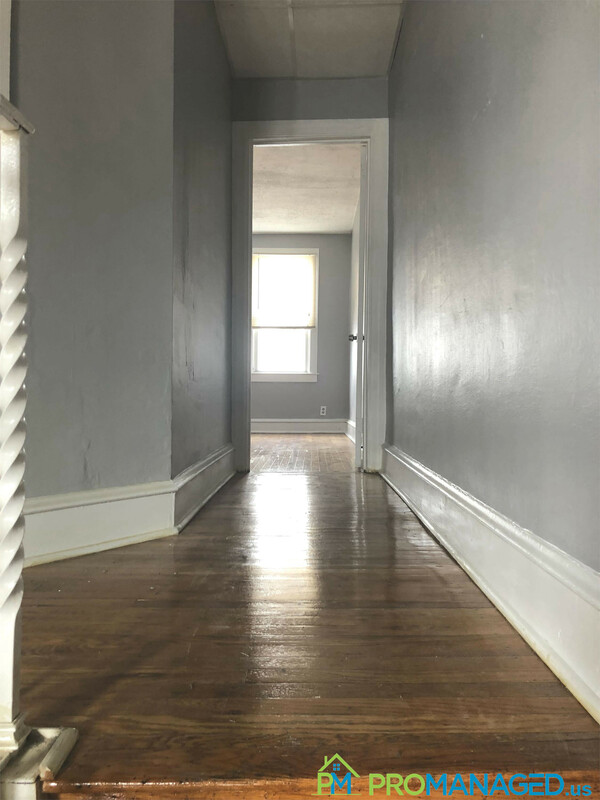 This apartment features wall to wall carpet, a large shared yard space, and is located across the street from the Delaware River and a short walk from great shopping and dining on Mill Street. No pets allowed. 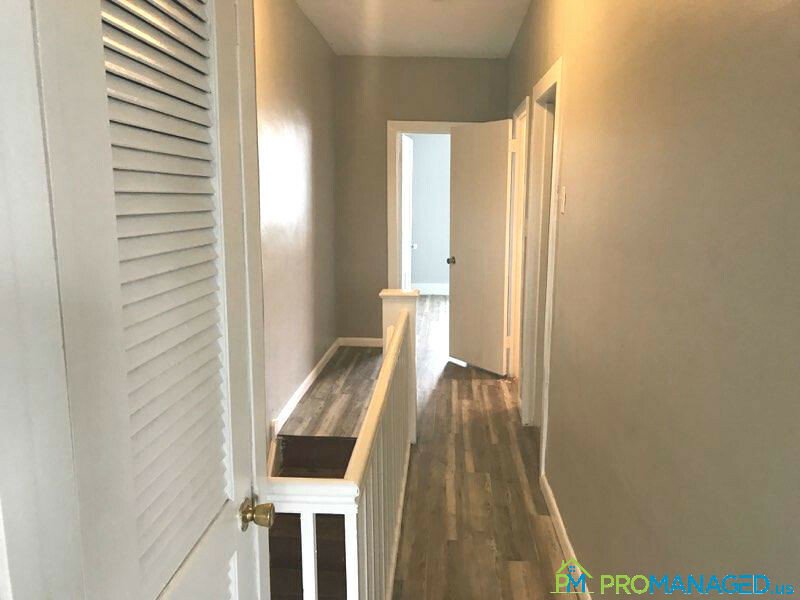 To schedule a showing for this property, click this link: http://tour.promanaged.us/schedule/?p=213 - Move in cost: first and last month's rent and security deposit. - Pet-friendly. $250 pet fee. Some dog breed restrictions. - 600 credit score required. Lower score may be accepted along with a co-signer. - No Section 8 - Utilities not included Questions? 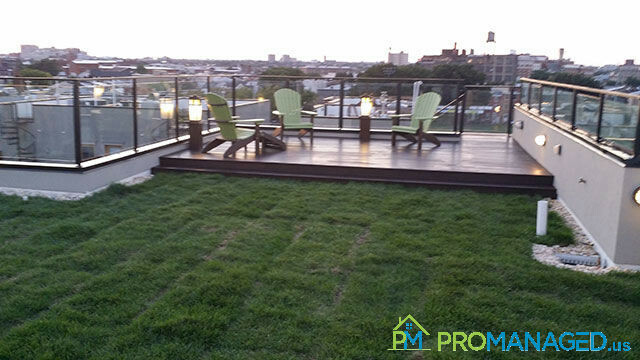 Call or text us at 856-222-1220 or email us at Promanagedinc@gmail.com Be sure to mention the address of the property! 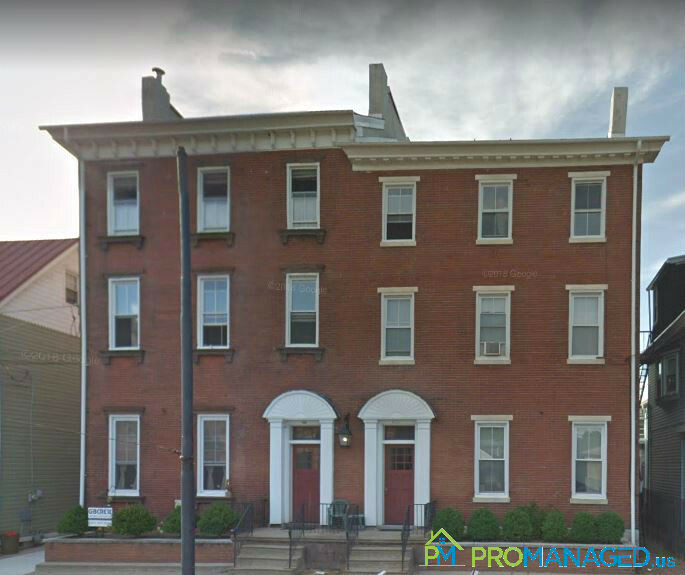 Check out this spacious 2 bedroom, 1 bathroom apartment in Historic Bristol Borough! 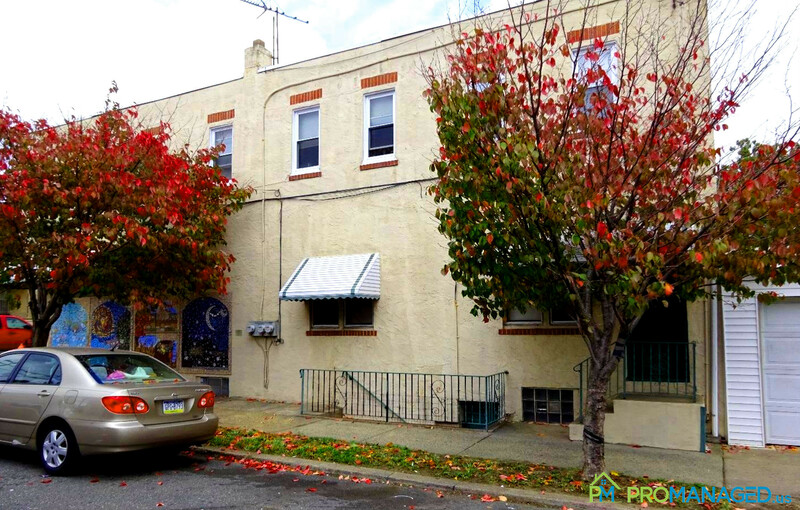 This apartment features wall to wall carpet, a large shared yard space, and is located across the street from the Delaware River and a short walk from great shopping and dining on Mill Street. No pets allowed. 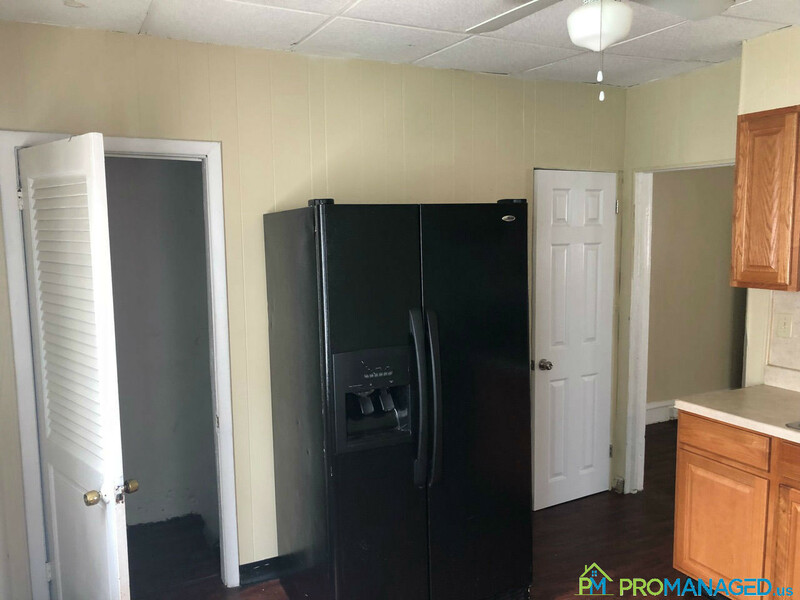 To schedule a showing for this property, click this link: http://tour.promanaged.us/schedule/?p=214 - Move in cost: first and last month's rent and security deposit. - Pet-friendly. $250 pet fee. Some dog breed restrictions. - 600 credit score required. Lower score may be accepted along with a co-signer. - No Section 8 - Utilities not included Questions? 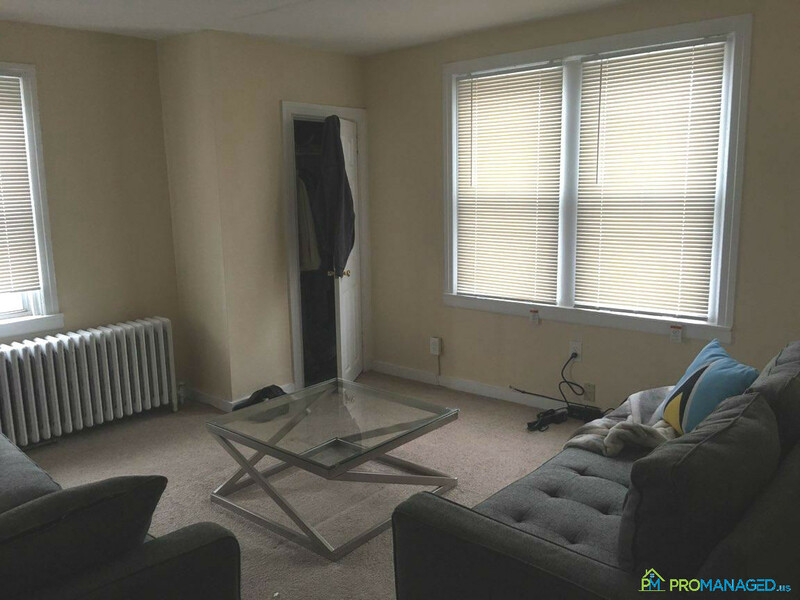 Call or text us at 856-222-1220 or email us at Promanagedinc@gmail.com Be sure to mention the address of the property! Need some extra space for storage? This garage is the answer you've been looking for! With 200 square feet of space, there's plenty of room for storing home furnishing, rarely used items, tools, and more. 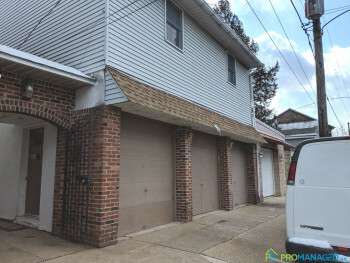 To schedule a showing for this garage, click this link: http://tour.promanaged.us/schedule/?p=215 To submit an application for this garage, click this link: https://docs.google.com/forms/d/e/1FAIpQLSeX4a-7IwqU9a06yXI7hsEQ7vdFjKLNOW85m0MYJNdbi8KJfw/viewform - Move in cost: $375 for first and last month's rent and security deposit. - 600 credit score required. Lower score may be accepted along with a co-signer. - No Section 8 - Utilities not included Questions? 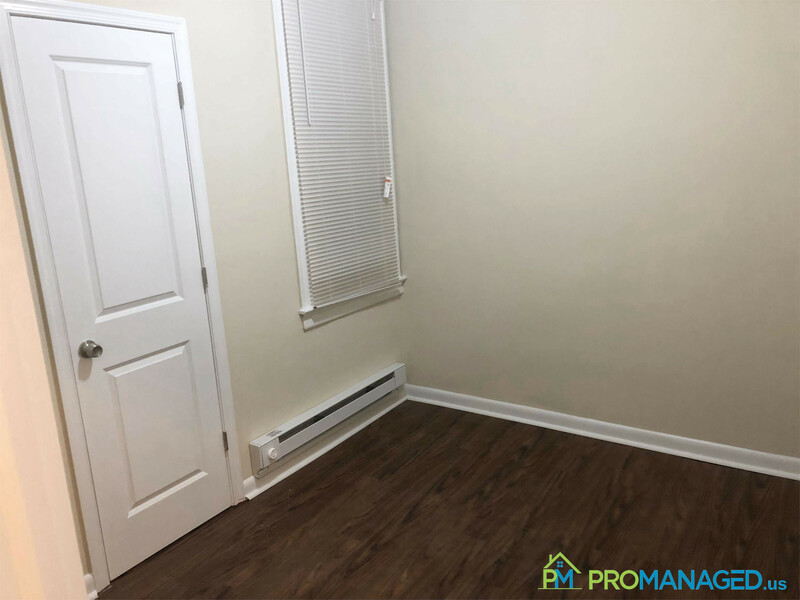 Call or text us at 856-222-1220 or email us at Promanagedinc@gmail.com Be sure to mention the address of the property! Need some extra space for storage? This garage is the answer you've been looking for! With 200 square feet of space, there's plenty of room for storing home furnishing, rarely used items, tools, and more. 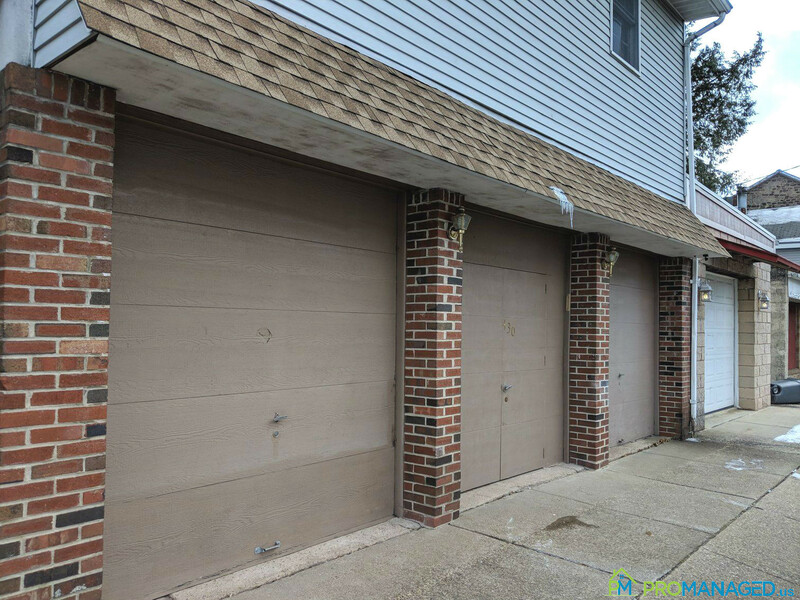 To schedule a showing for this garage, click this link: http://tour.promanaged.us/schedule/?p=216 To submit an application for this garage, click this link: https://docs.google.com/forms/d/e/1FAIpQLSeX4a-7IwqU9a06yXI7hsEQ7vdFjKLNOW85m0MYJNdbi8KJfw/viewform - Move in cost: $375 for first and last month's rent and security deposit. - 600 credit score required. Lower score may be accepted along with a co-signer. - No Section 8 - Utilities not included Questions? 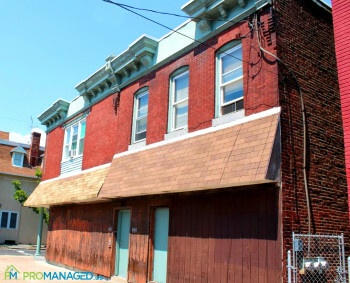 Call or text us at 856-222-1220 or email us at Promanagedinc@gmail.com Be sure to mention the address of the property! Need some extra space for storage? This garage is the answer you've been looking for! With 200 square feet of space, there's plenty of room for storing home furnishing, rarely used items, tools, and more. To schedule a showing for this garage, click this link: http://tour.promanaged.us/schedule/?p=217 To submit an application for this garage, click this link: https://docs.google.com/forms/d/e/1FAIpQLSeX4a-7IwqU9a06yXI7hsEQ7vdFjKLNOW85m0MYJNdbi8KJfw/viewform - Move in cost: $375 for first and last month's rent and security deposit. - 600 credit score required. Lower score may be accepted along with a co-signer. - No Section 8 - Utilities not included Questions? 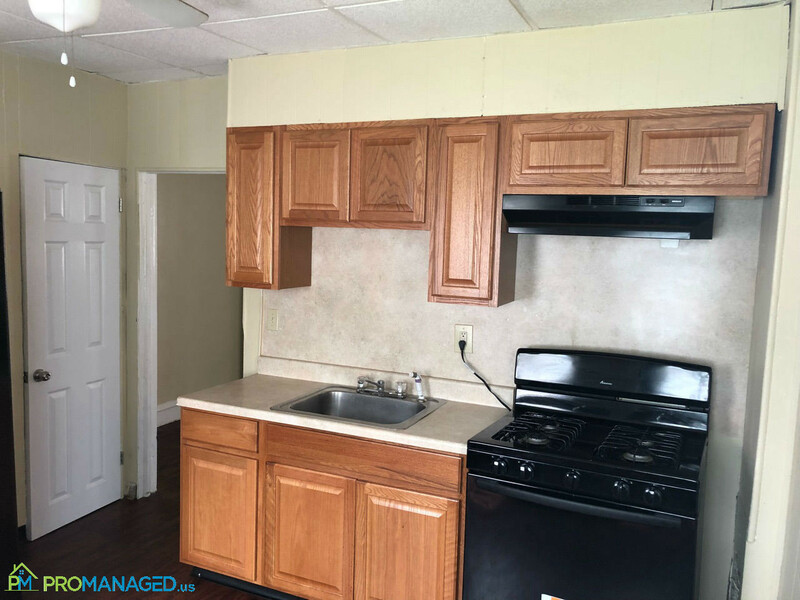 Call or text us at 856-222-1220 or email us at Promanagedinc@gmail.com Be sure to mention the address of the property! Need some extra space for storage? This garage is the answer you've been looking for! With 200 square feet of space, there's plenty of room for storing home furnishing, rarely used items, tools, and more. 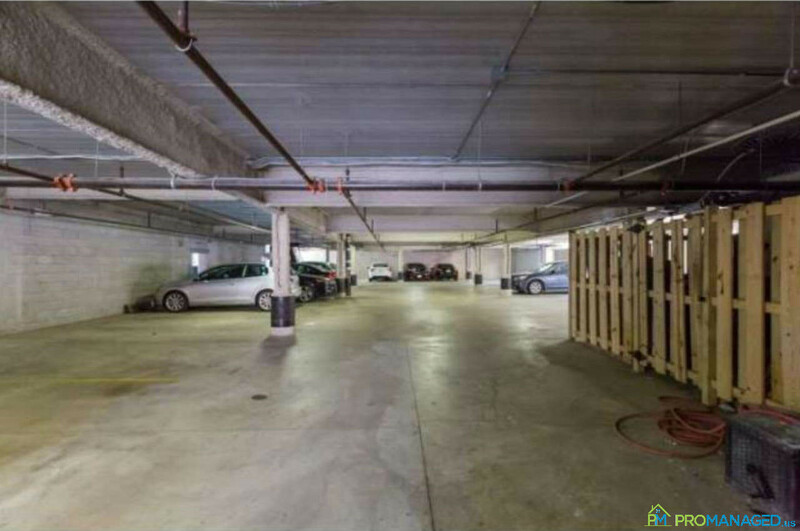 To schedule a showing for this garage, click this link: http://tour.promanaged.us/schedule/?p=218 To submit an application for this garage, click this link: https://docs.google.com/forms/d/e/1FAIpQLSeX4a-7IwqU9a06yXI7hsEQ7vdFjKLNOW85m0MYJNdbi8KJfw/viewform - Move in cost: $375 for first and last month's rent and security deposit. - 600 credit score required. Lower score may be accepted along with a co-signer. - No Section 8 - Utilities not included Questions? 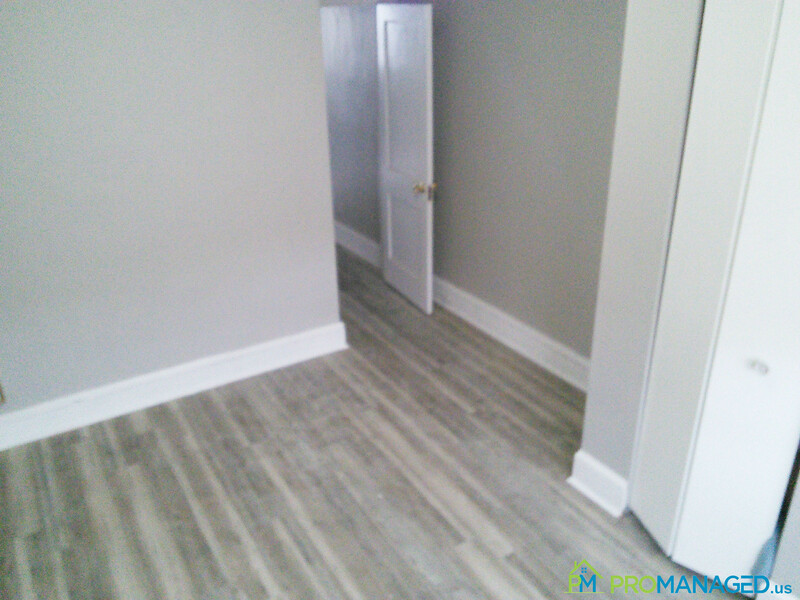 Call or text us at 856-222-1220 or email us at Promanagedinc@gmail.com Be sure to mention the address of the property! Come see this 2 bedroom, 1 bathroom apartment for rent located in Tacony. Apartment E is within walking distance of the Tacony train station, minutes from two area bridges and blocks from I-95. . To schedule a showing for this property, click this link: http://tour.promanaged.us/schedule/?p=157 - Move in cost: $2,250 for first and last month's rent and security deposit. - Pet-friendly. $250 pet fee. Some dog breed restrictions. - 600 credit score required. Lower score may be accepted along with a co-signer. - No Section 8 - Utilities not included Questions? 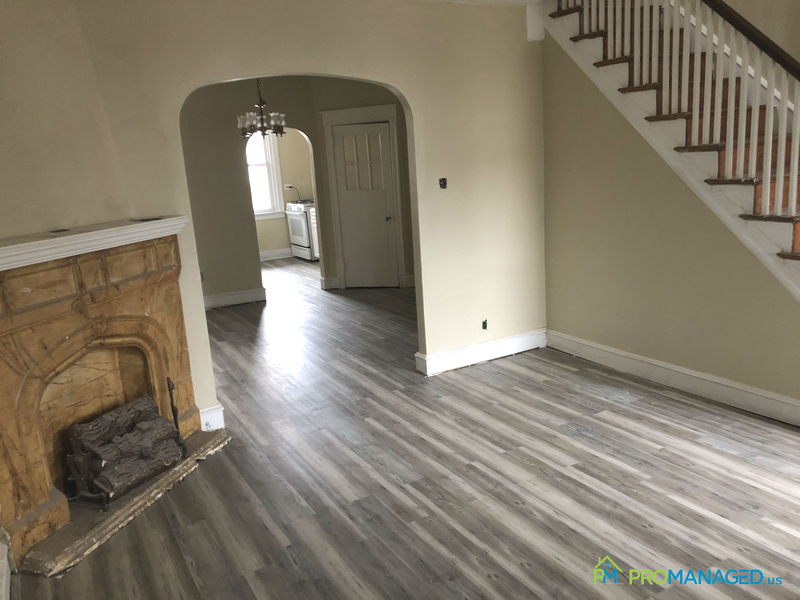 Call or text us at 856-222-1220 or email us at Promanagedinc@gmail.com Be sure to mention the address of the property! 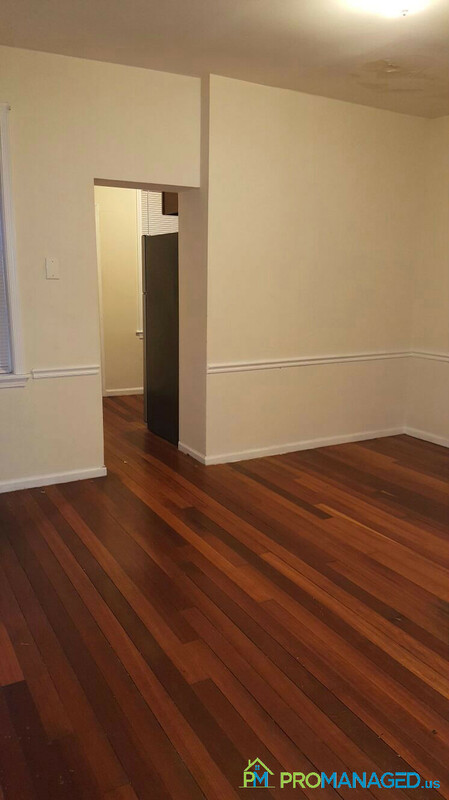 Come check out this newly updated and spacious 3 bedroom rental! 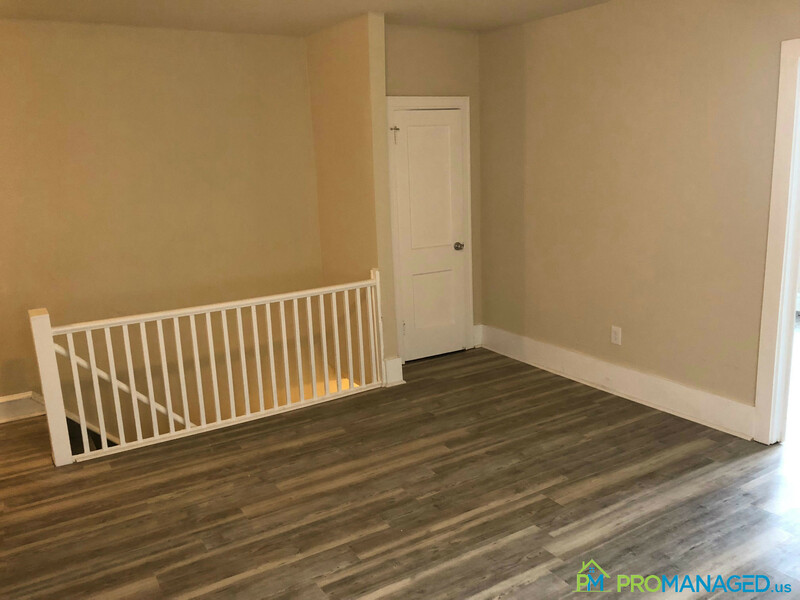 This is a conveniently located, end-of-row, Mayfair townhome featuring an enclosed front porch which opens into a freshly painted living-room. 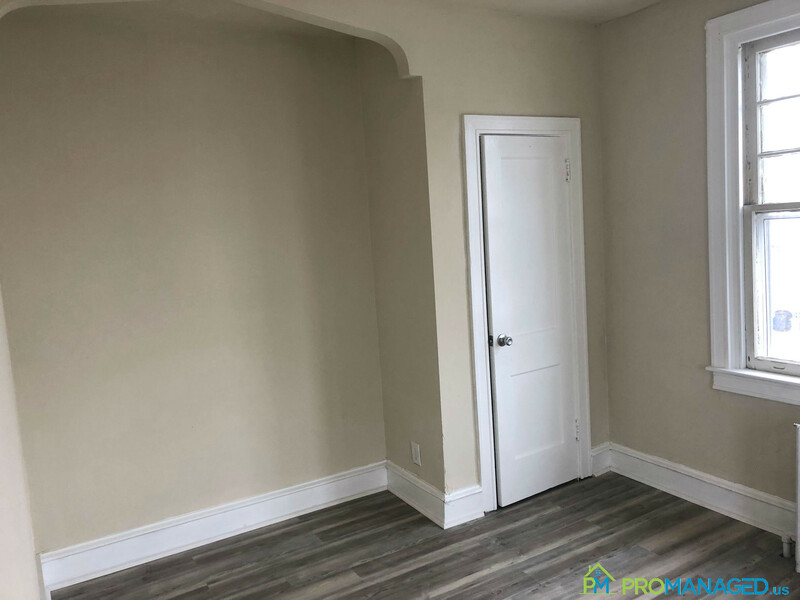 Also on this floor, you will find the formal dining room with extra-large closet space and an eat-in- kitchen with pantry and an All New Appliance Package. The upper level has three bedrooms and a hall bath. 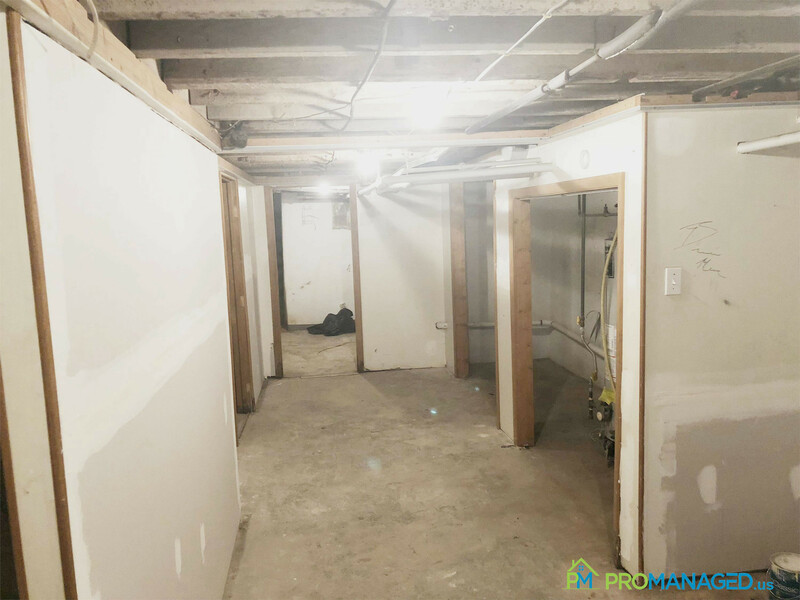 The expanded basement allows for ample storage space. 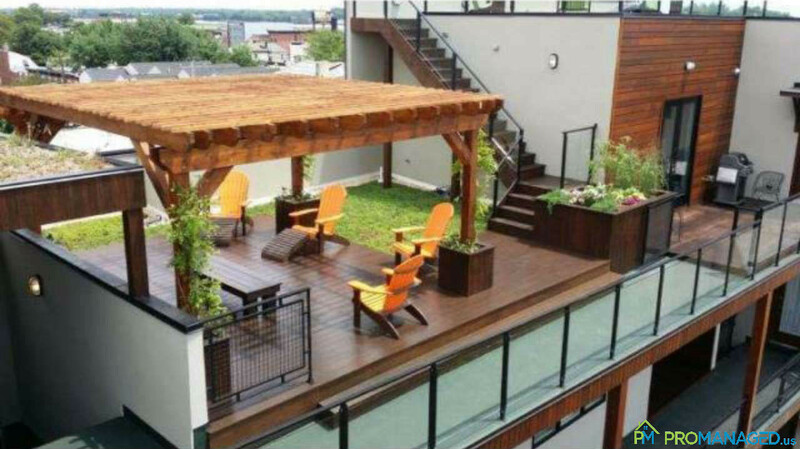 There is fenced front patio that is great for summertime bbq's. There is also a shared driveway in the rear of the property for additional parking if needed. Ready to make this your new home? Schedule a showing here: http://tour.promanaged.us/schedule/?p=53 - Move in cost: $3,750 for first and last month's rent and security deposit. - Pet-friendly. $250 pet fee. Some dog breed restrictions. - 600 credit score required. Lower score may be accepted along with a co-signer. - No Section 8 - Utilities not included Questions? 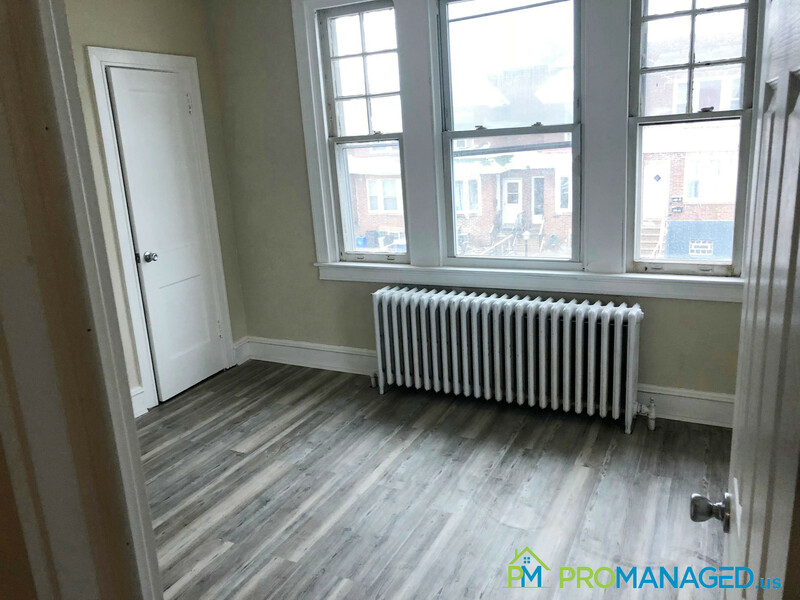 Call or text us at 856-222-1220 or email us at Promanagedinc@gmail.com Be sure to mention the address of the property! 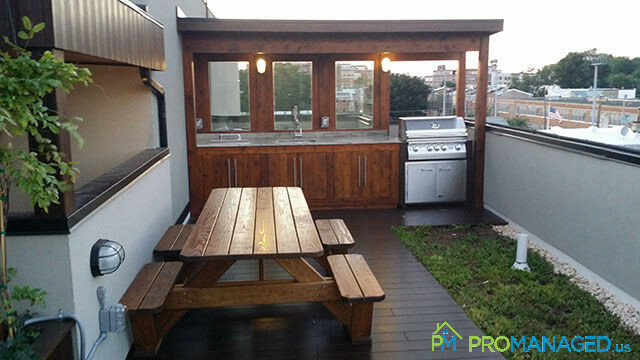 This premier Fishtown first-floor unit is available offers a spectacular private green roof, tankless hot water heater, fresh paint, and was built using sustainable and locally sourced materials and no construction waste! 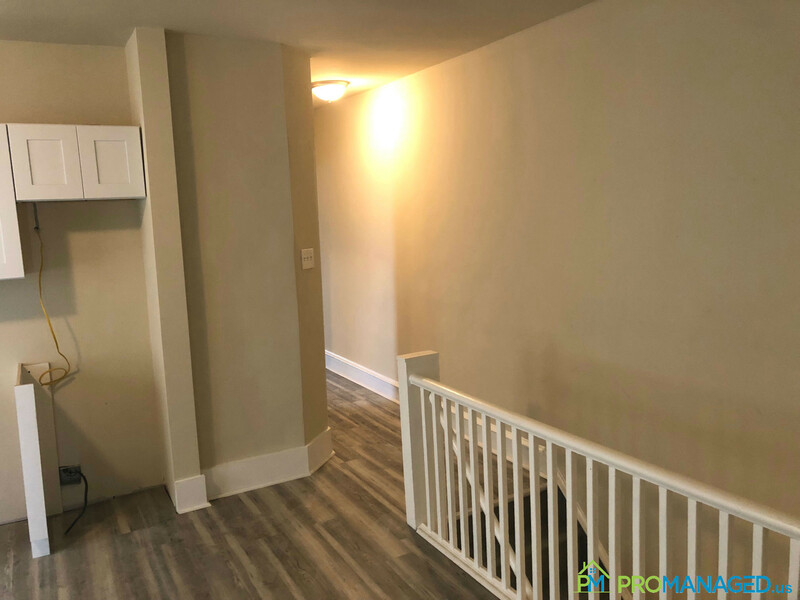 This 1 bedroom 1 bath condo features, oak floors throughout, stunning floating steel stairs, large casement windows, custom kitchen with upscale stainless appliances, Slider doors lead to a deck off of the dining area. There are incredible panoramic rooftop views of Center City and the river. 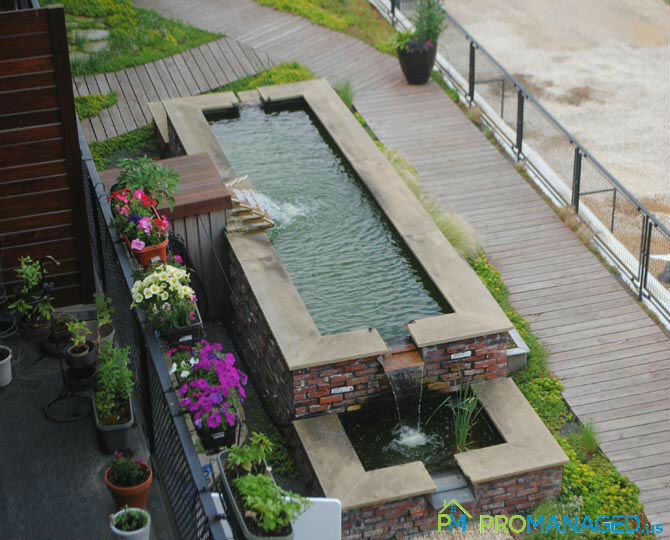 The common grounds include a beautiful fountain serviced by the property's runoff management system. 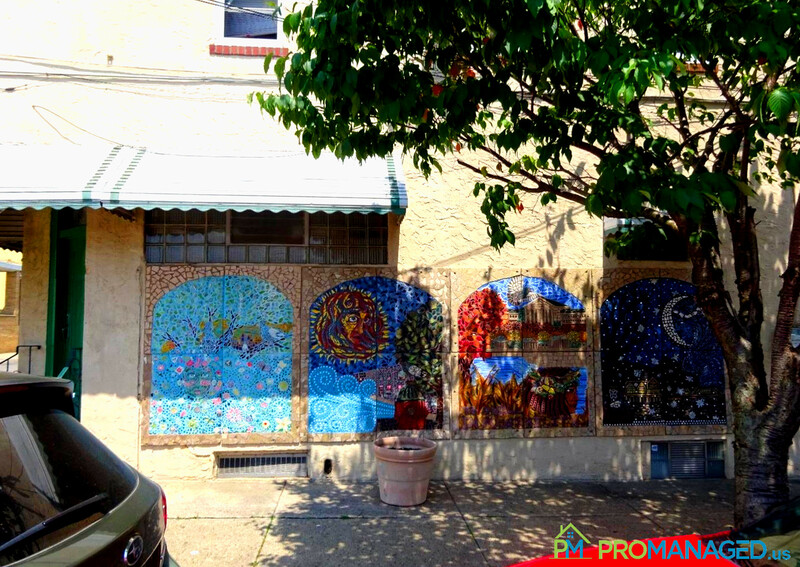 Located within walking distance to everything the Frankford Arts and Girard Avenue corridors have to offer including cafes, shopping, fitness, restaurants, and galleries. 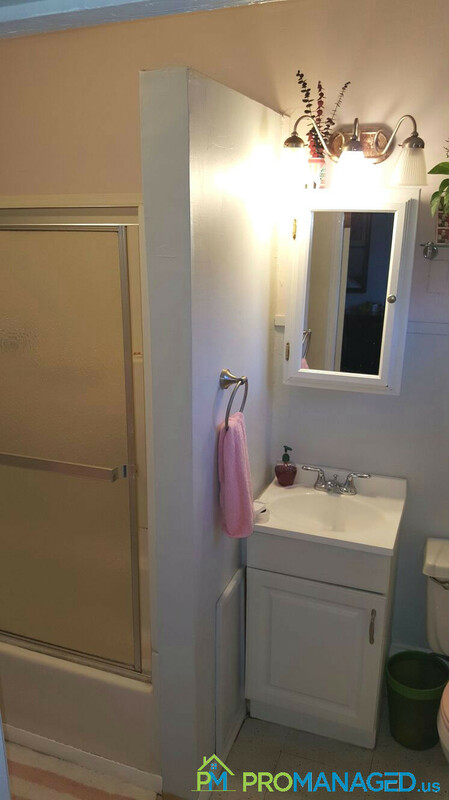 To schedule a showing for this property, click this link: http://tour.promanaged.us/schedule/?p=160 - Move in cost: $5,100 for first and last month's rent and security deposit. - Pet-friendly. $250 pet fee. Some dog breed restrictions. - 600 credit score required. Lower score may be accepted along with a co-signer. - No Section 8 - Utilities not included Questions? 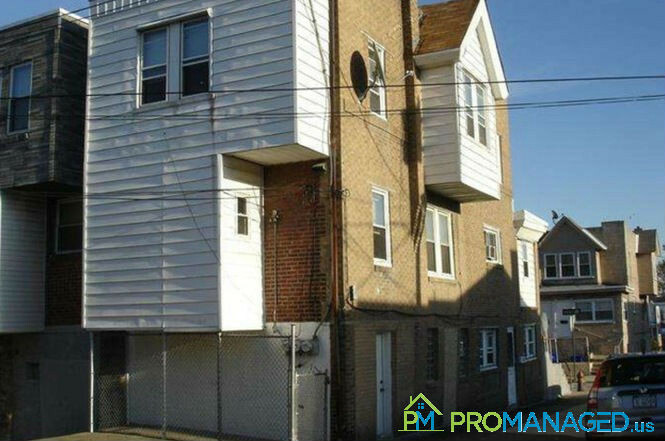 Call or text us at 856-222-1220 or email us at Promanagedinc@gmail.com Be sure to mention the address of the property! Would you like to tour this property by yourself (self-tour) or with one of our agents? Please note: Self-Tours will require you to provide a photo of a government issued ID with your picture. 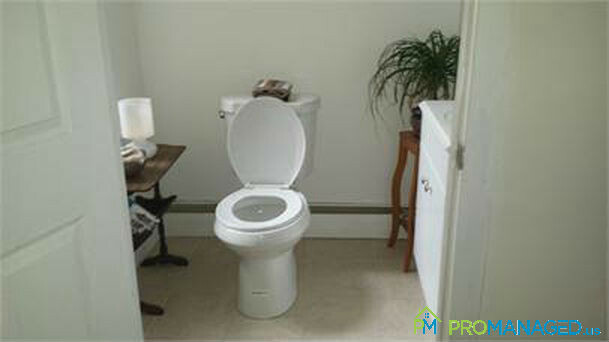 A "Self-Tour" allows you to tour a vacant home at your own leisure. After selecting a convenient date and time, we'll approve your request and send instructions on how to retrieve the keys from a lockbox. When you are finished touring, you'll lock up the property and return the keys to the box. It's that easy! Please provide the following information for each Adult contributing to rent. *Are you enrolled in a housing assistance program (such as Section 8)? *Name of housing assistance program? *How will the program assist (please include dollar amount)? *Why is your credit score below 650? *What is your gross monthly verifiable income (amount before taxes are removed)? Please ensure you are entering your gross monthly income, not yearly. *Have you had eviction proceedings started or executed against you? *When did the eviction(s) take place? *What was the reason for eviction(s)? *Can you provide a co-signer with a credit score of 600 or higher? *We require the equivalent of 3 months rent at the time of a lease signing, can you provide this amount? *When are you looking to move? *Will any pets be moving in with you? *How many pets? If your pets are dogs, please specify the breed. *How did you find out about this property? *If we need to reschedule the showing, which other days and times are you available? i.e. Thursday all day, Weekdays before noon, Saturday at 12pm, etc. This can be a Driver's License, State-issued Identification Card, or Passport. We don't share your information - it's only used to check your identity. I agree to the self-tour waiver. Read waiver. Thanks for requesting to tour at . Our team is now reviewing your qualifying questionnaire and will let you know if your are eligible to tour this property. You should receive a response within 24-48 hours during normal business days.